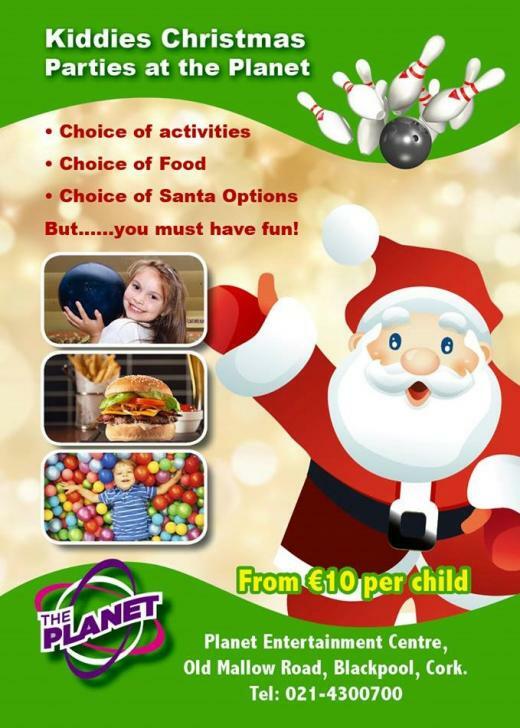 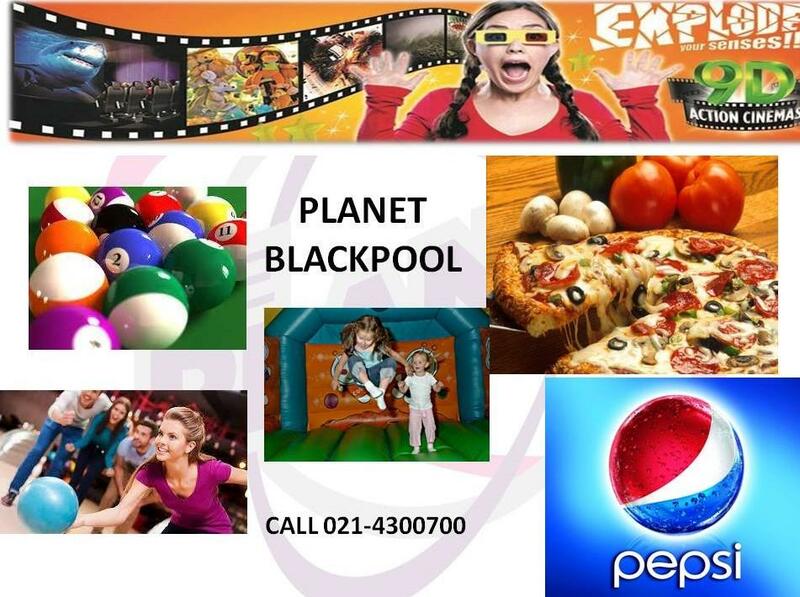 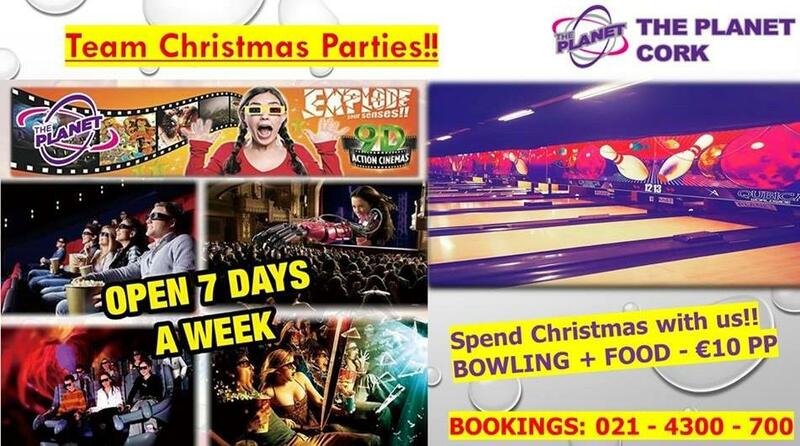 Book your Kiddies Christmas parties at the Planet Blackpool - our CSL Website sponsors! 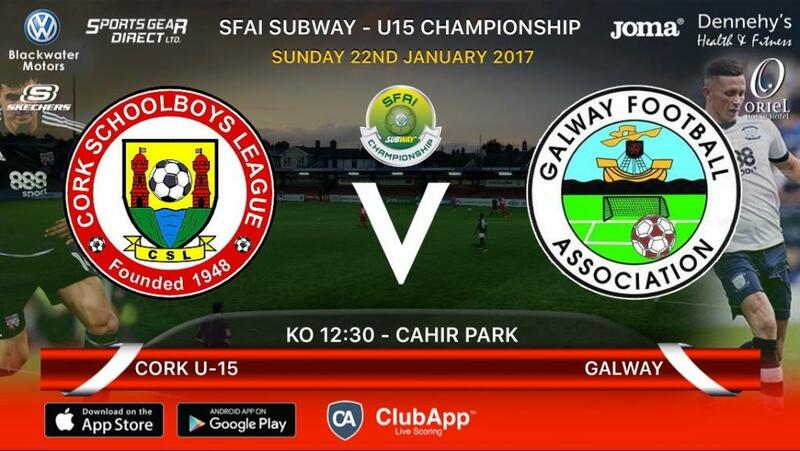 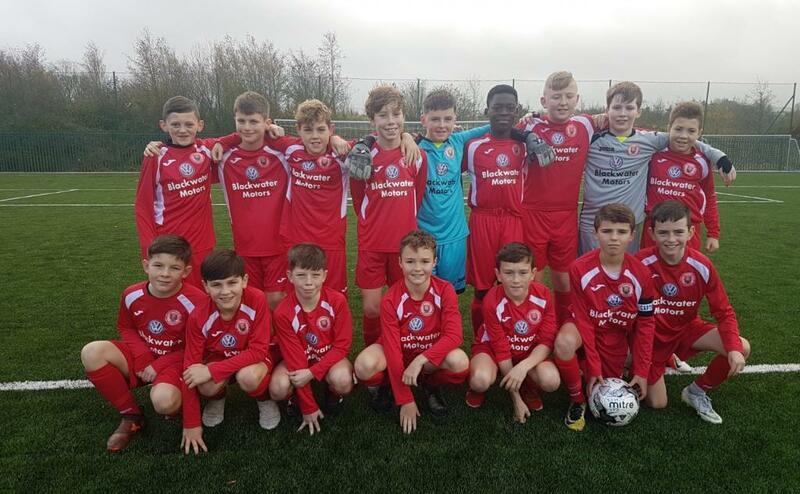 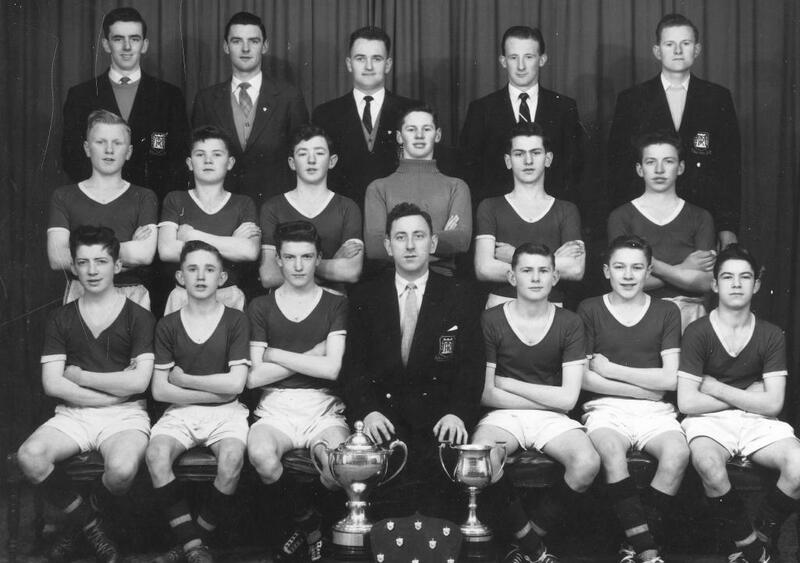 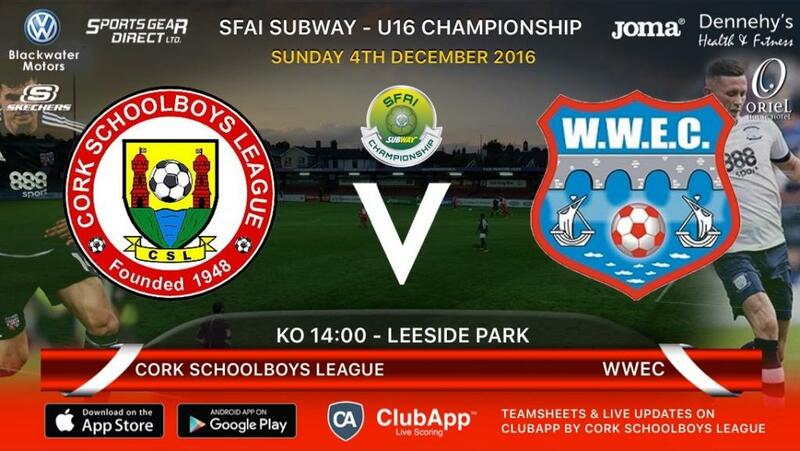 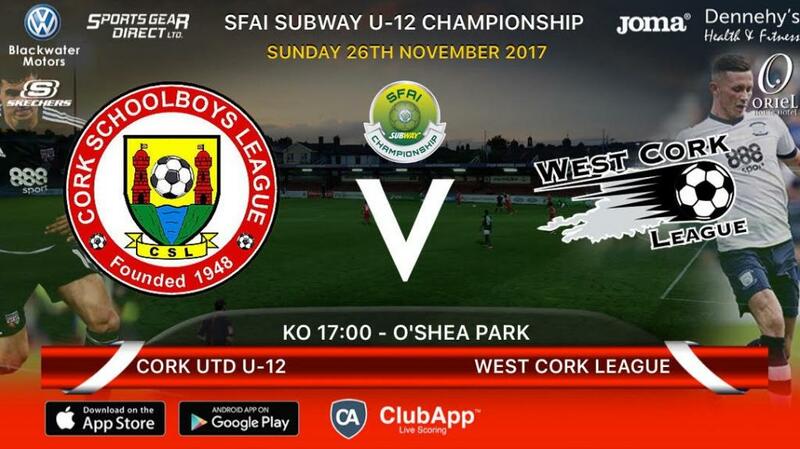 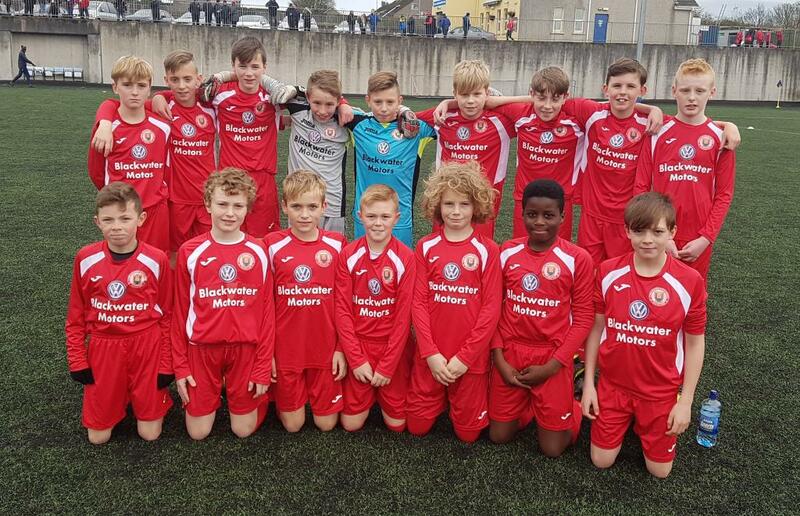 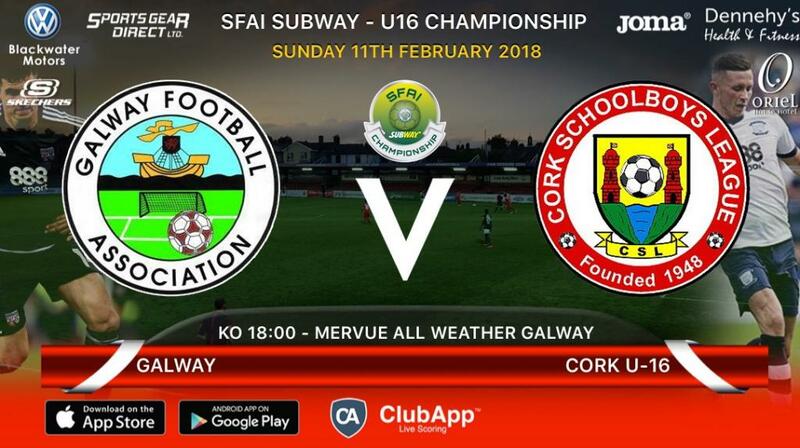 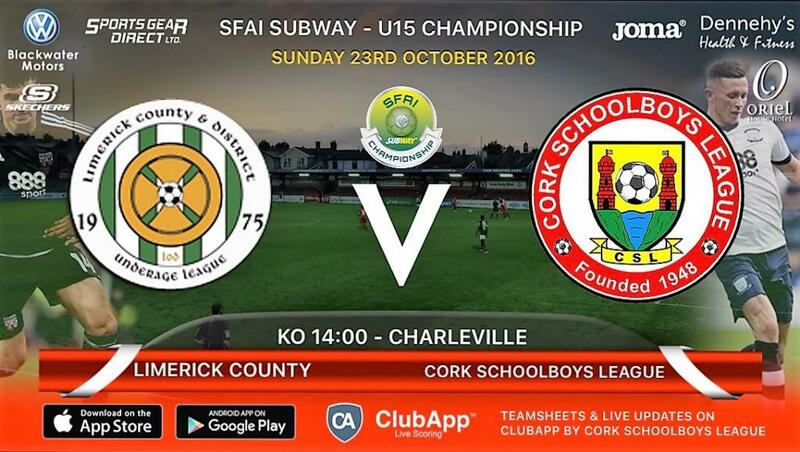 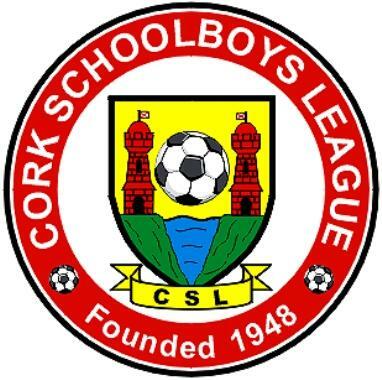 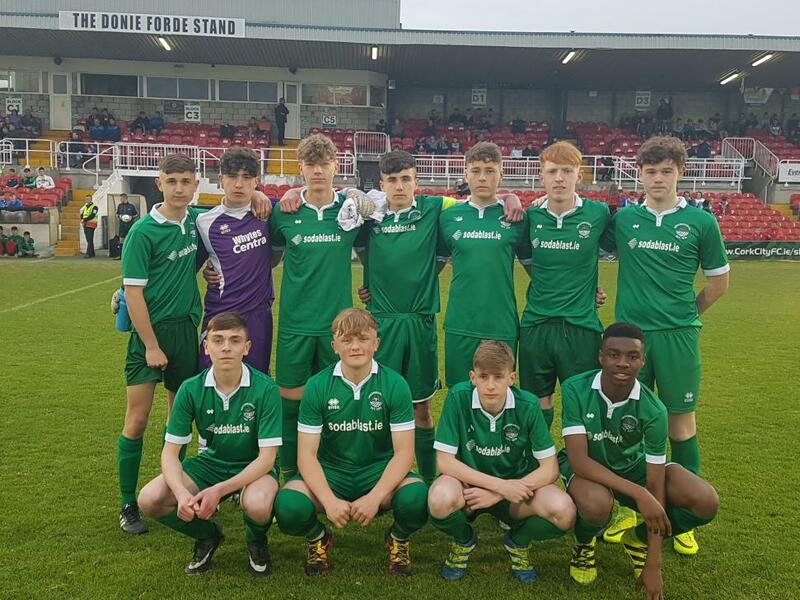 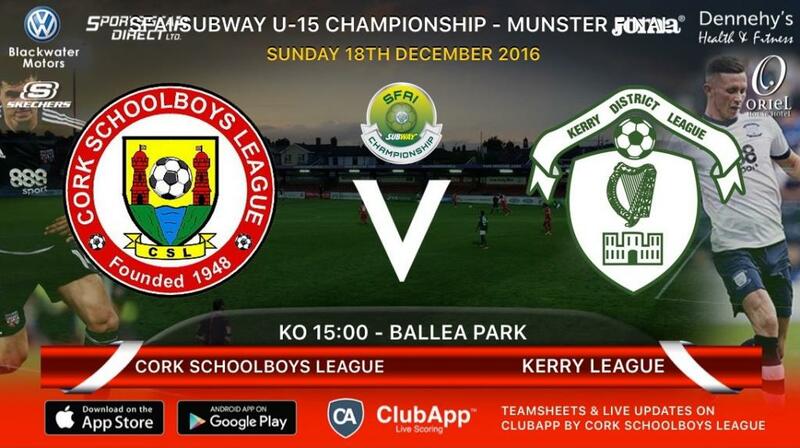 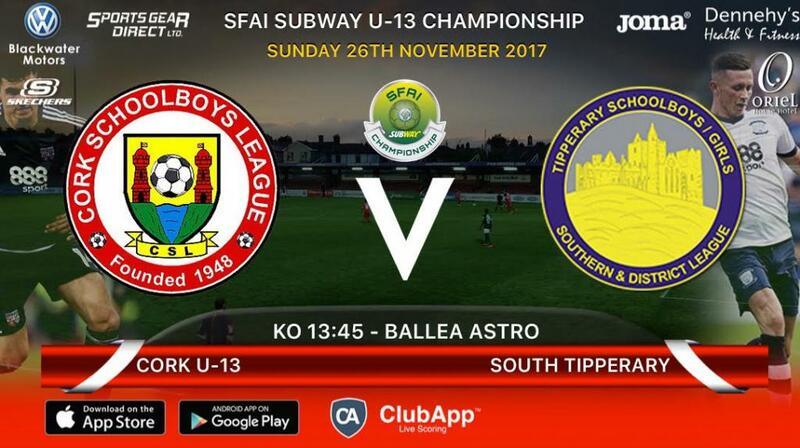 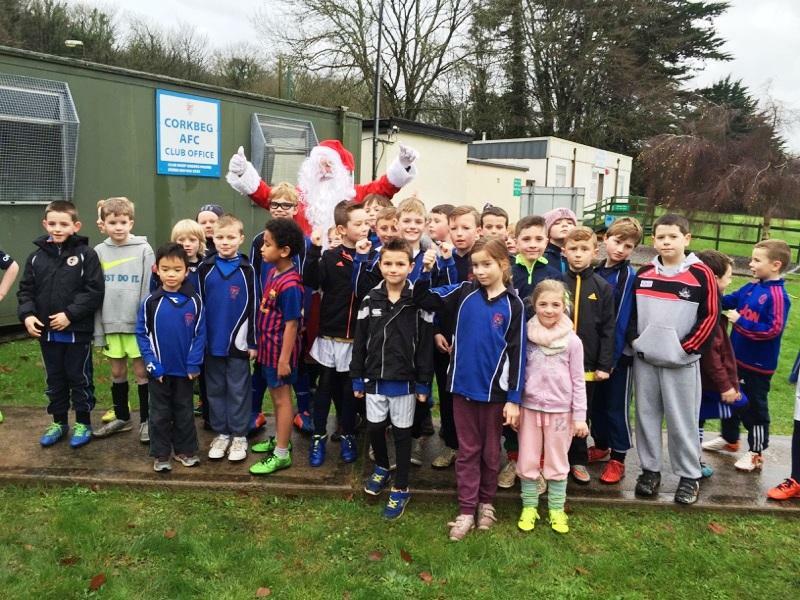 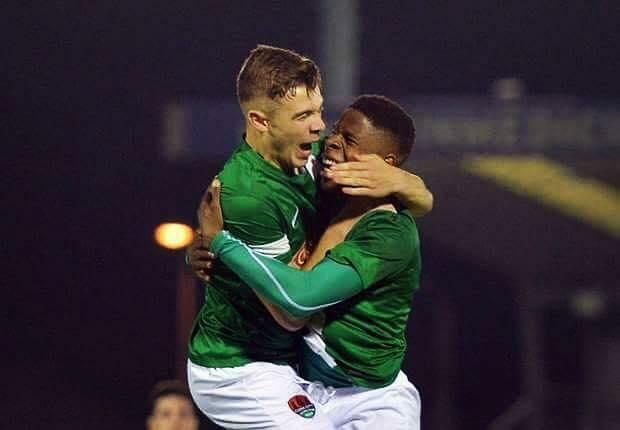 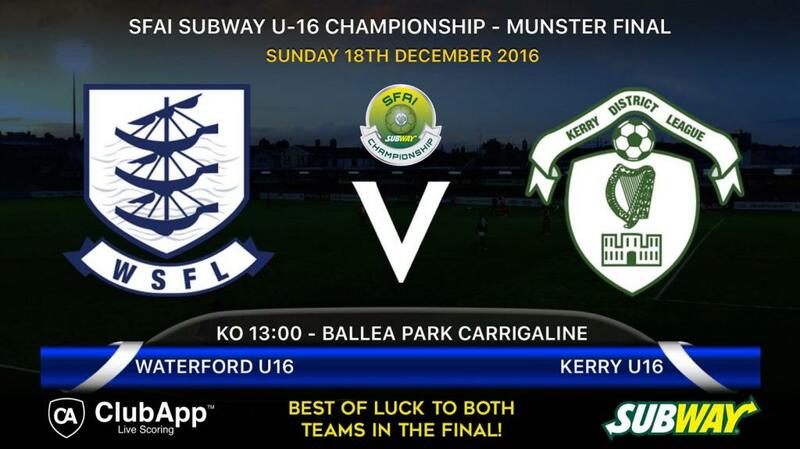 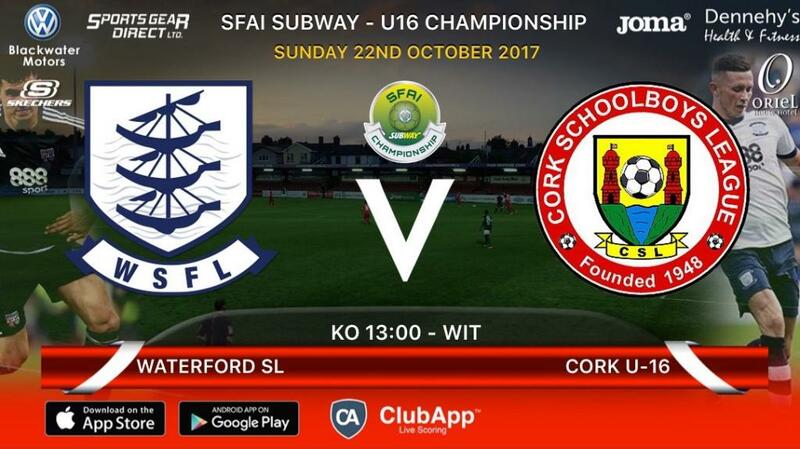 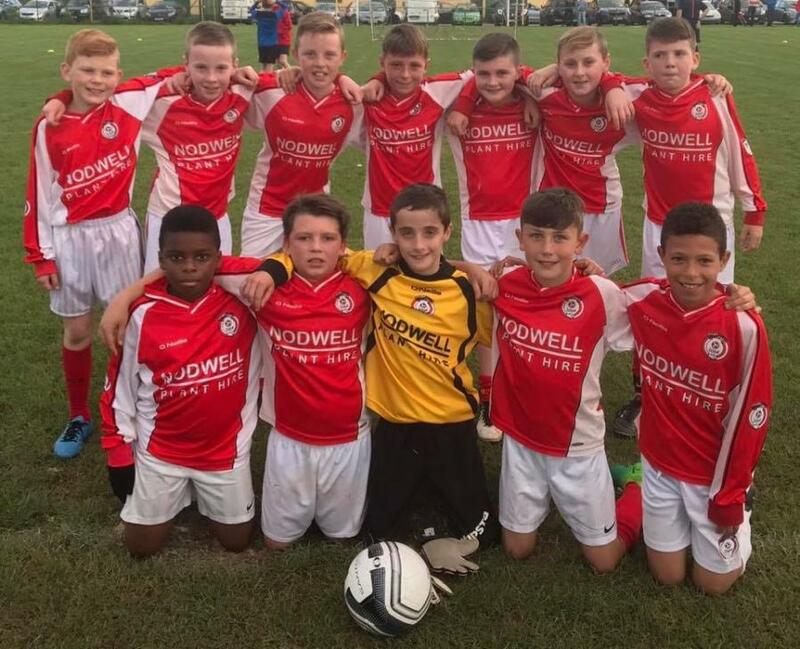 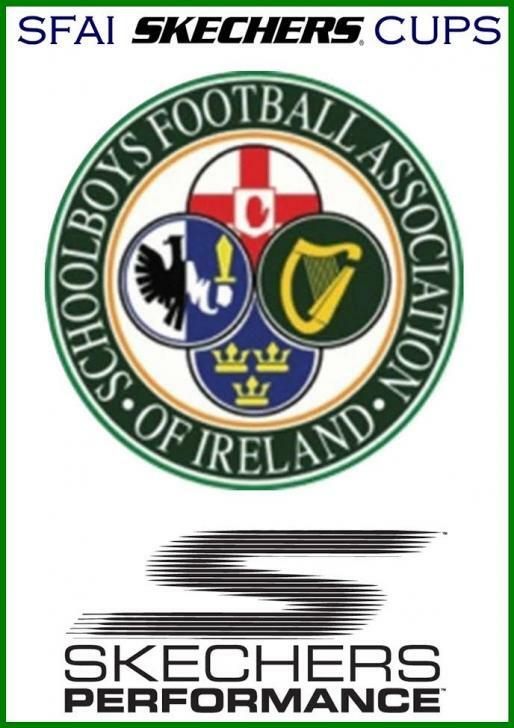 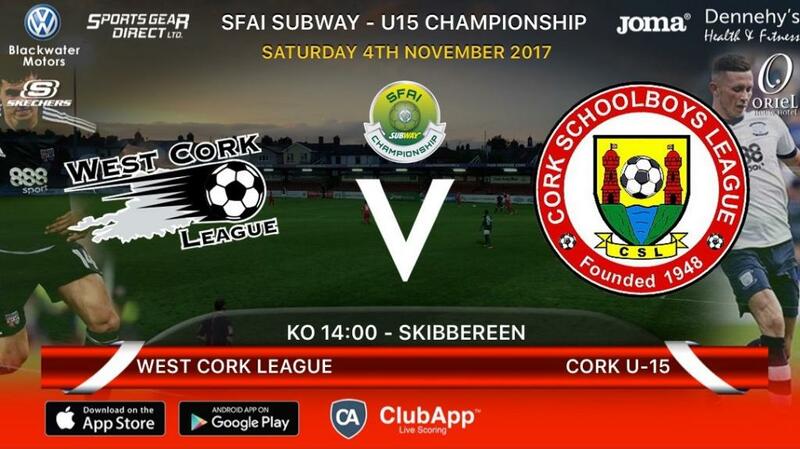 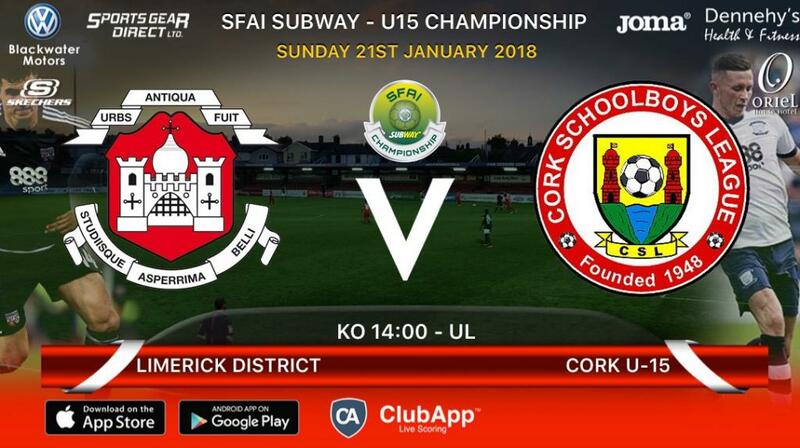 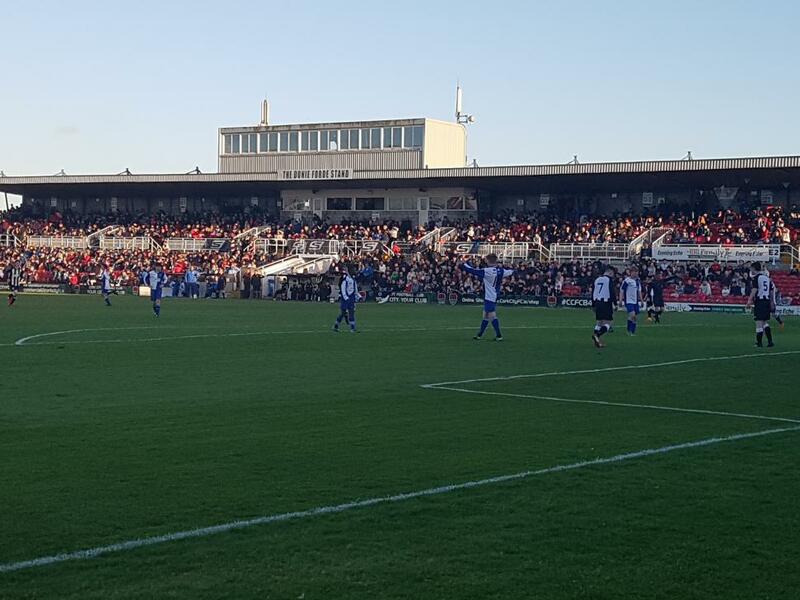 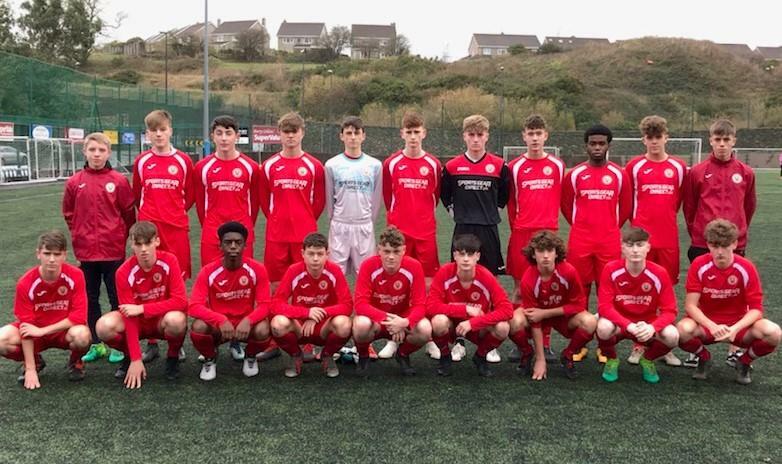 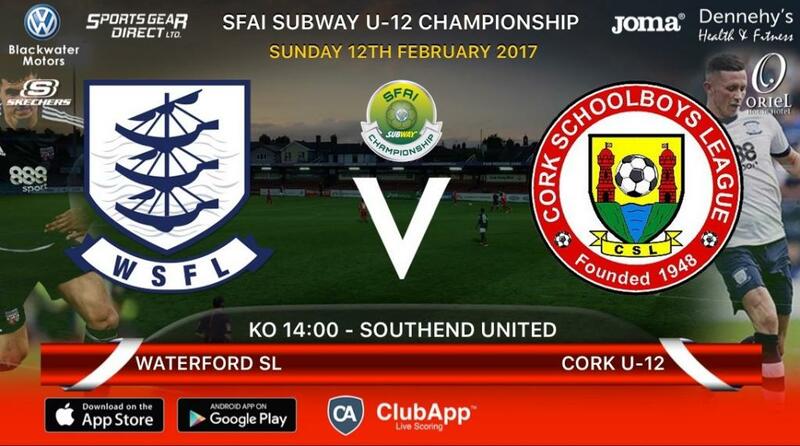 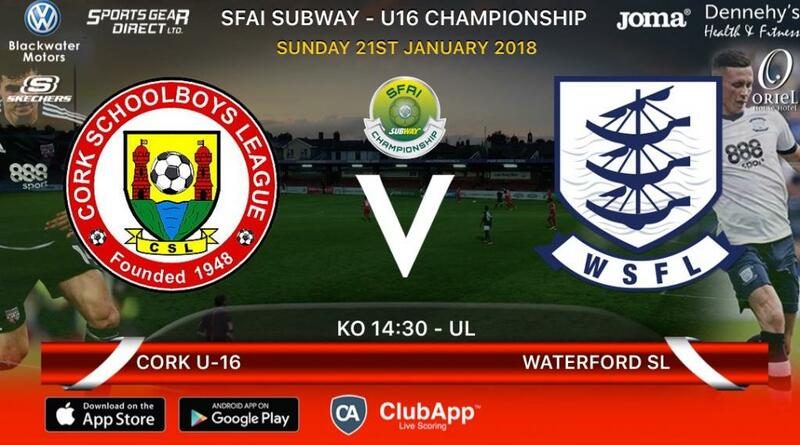 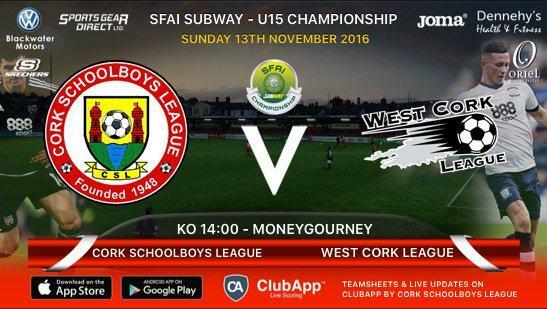 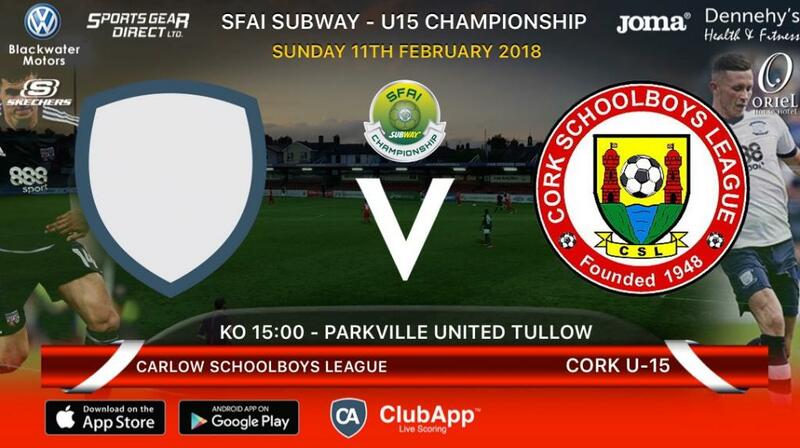 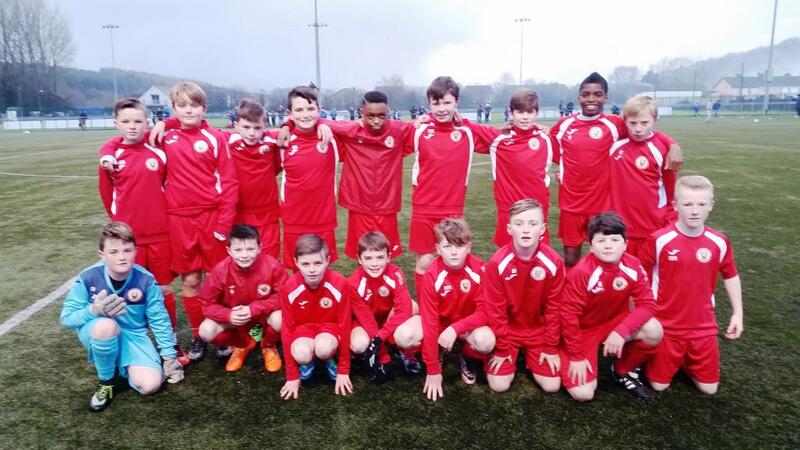 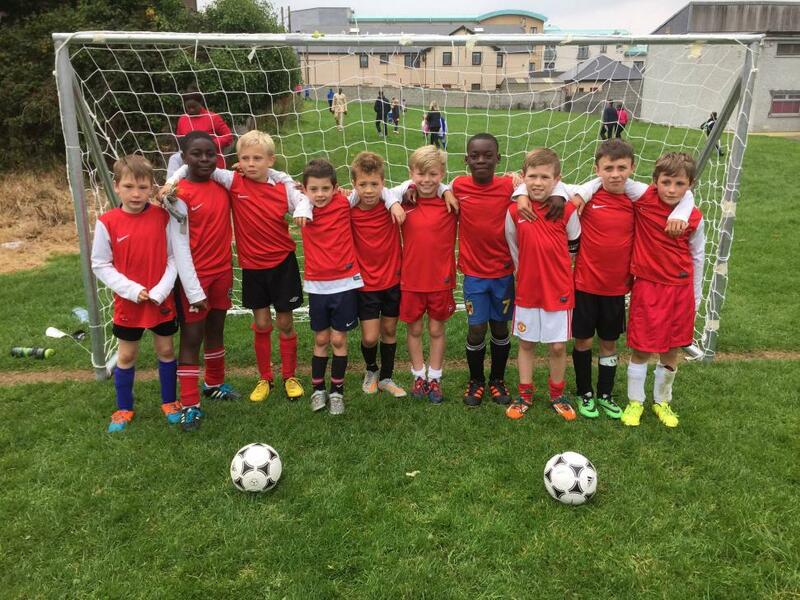 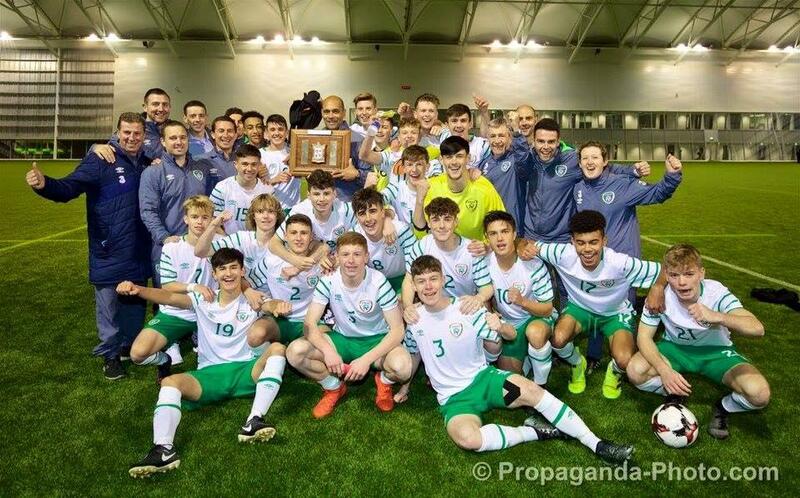 To everyone involved in any way in schoolboys football in Cork, have a Happy and Safe Christmas and a Prosperous New Year. 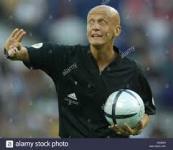 Major shortage of Refs in the CSL. 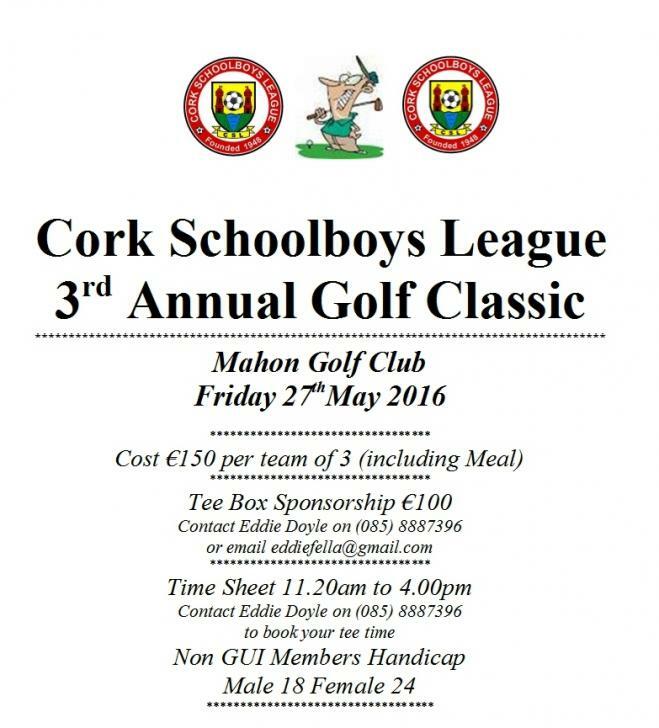 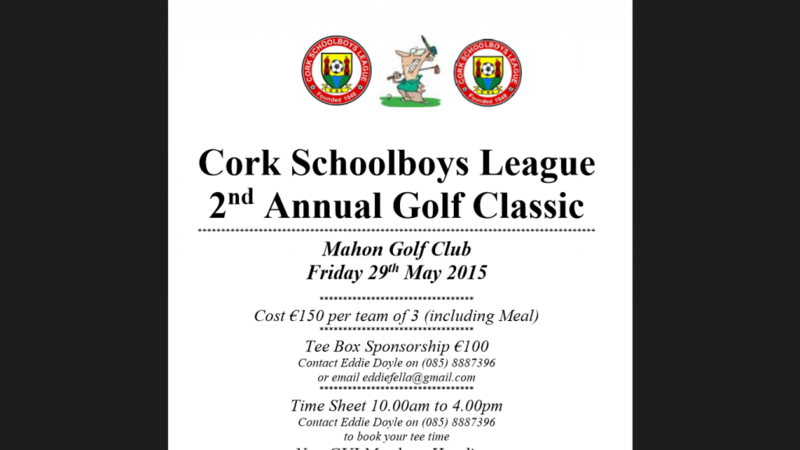 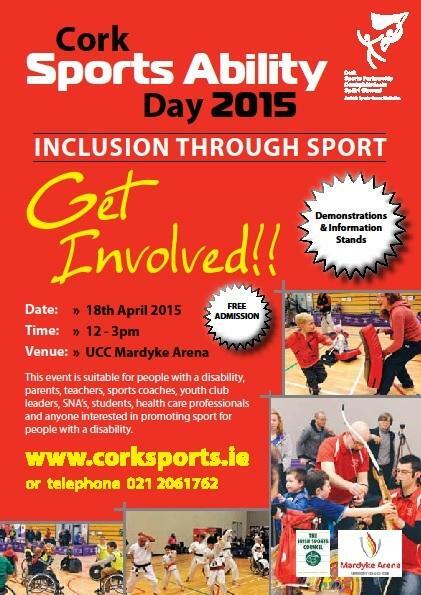 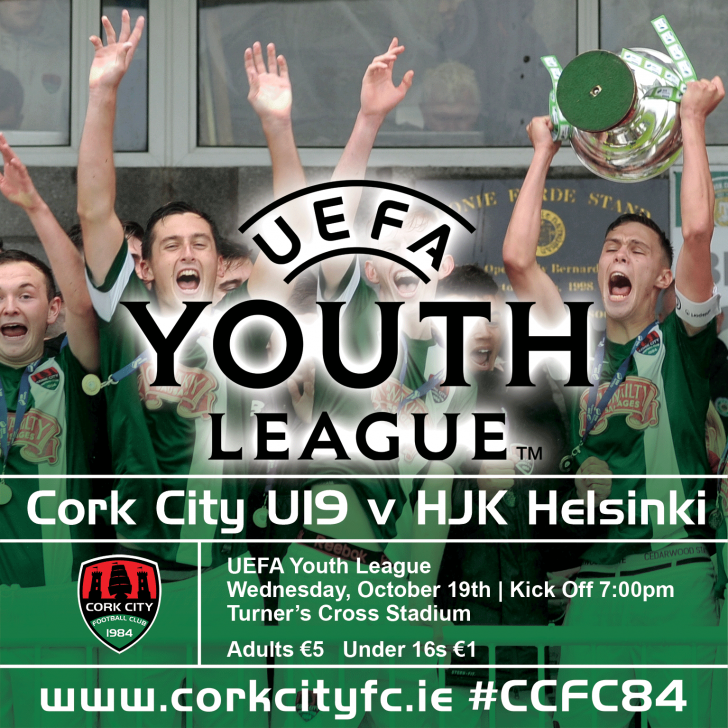 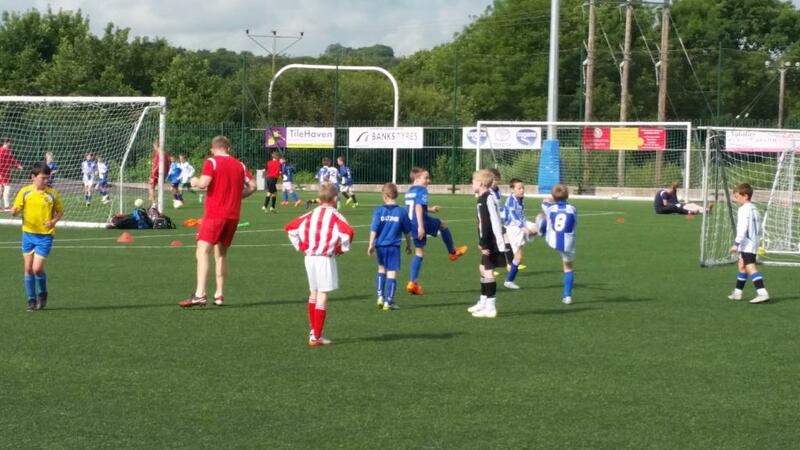 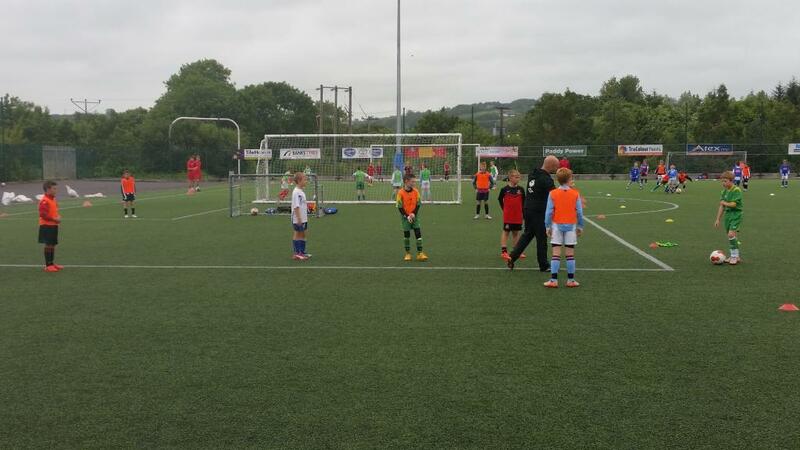 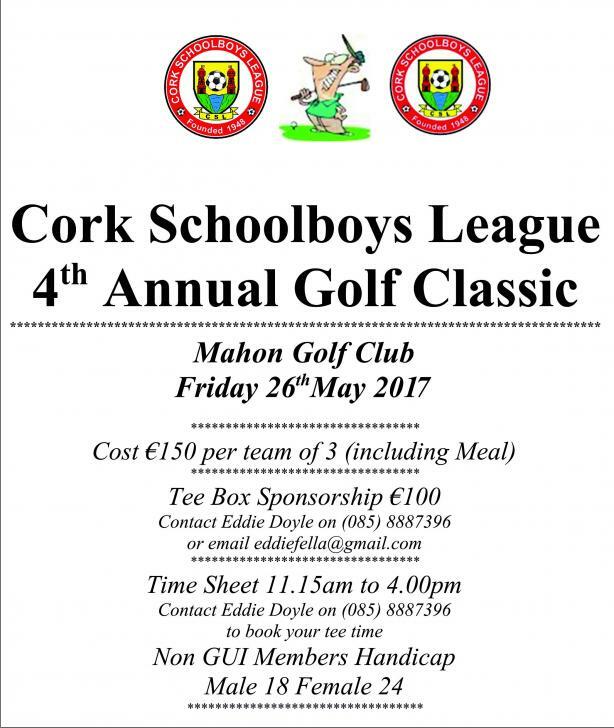 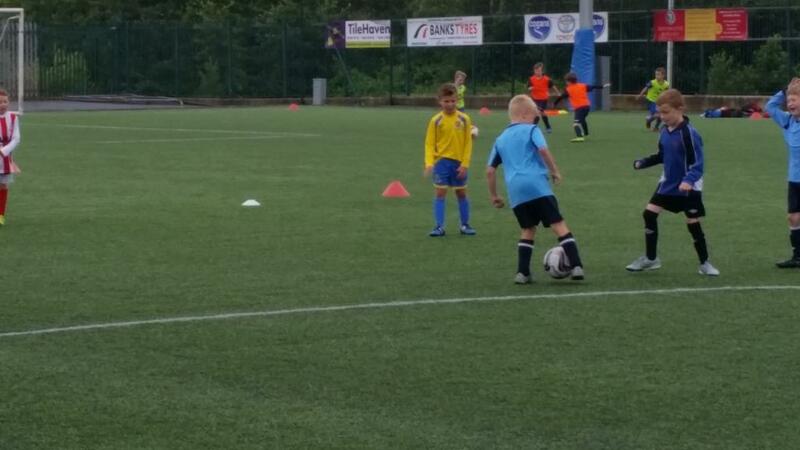 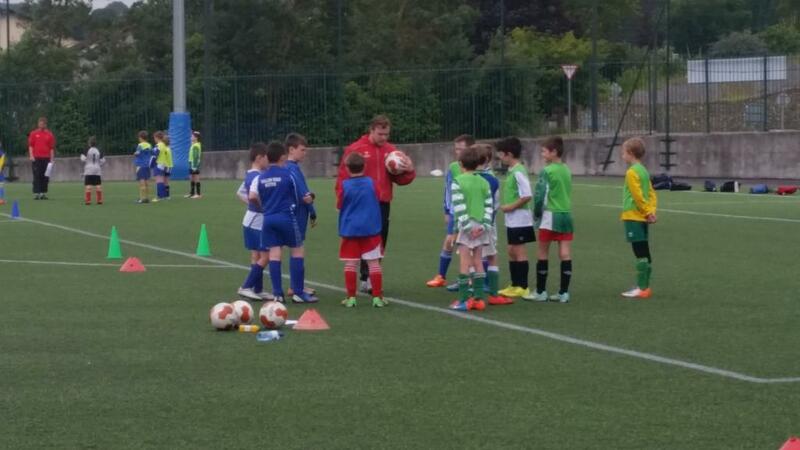 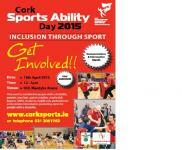 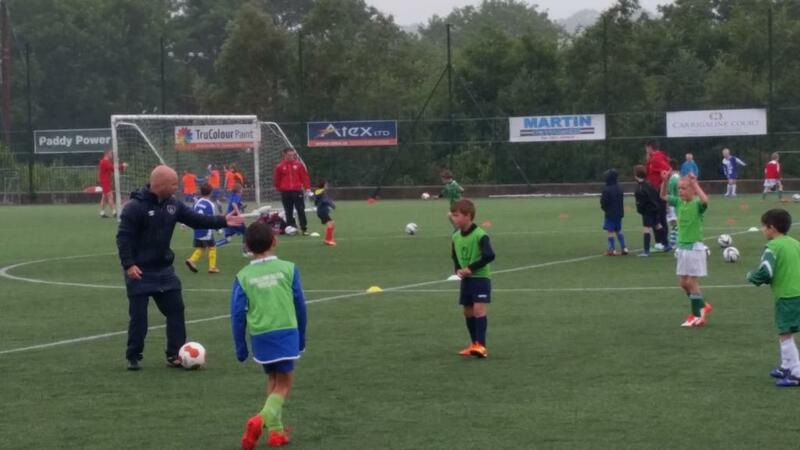 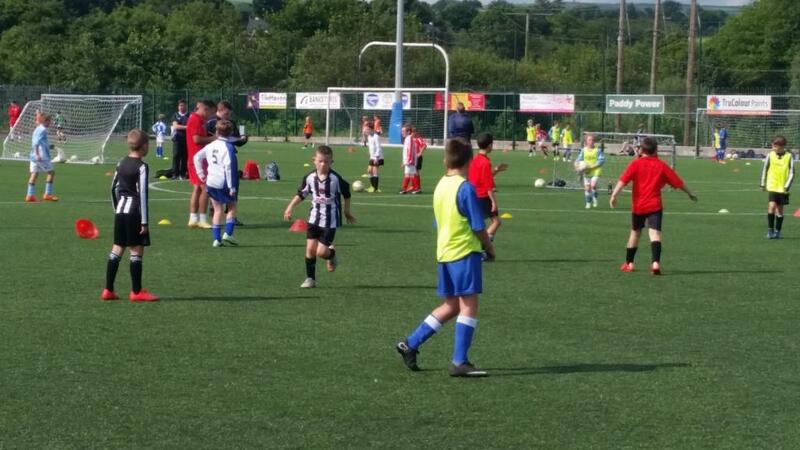 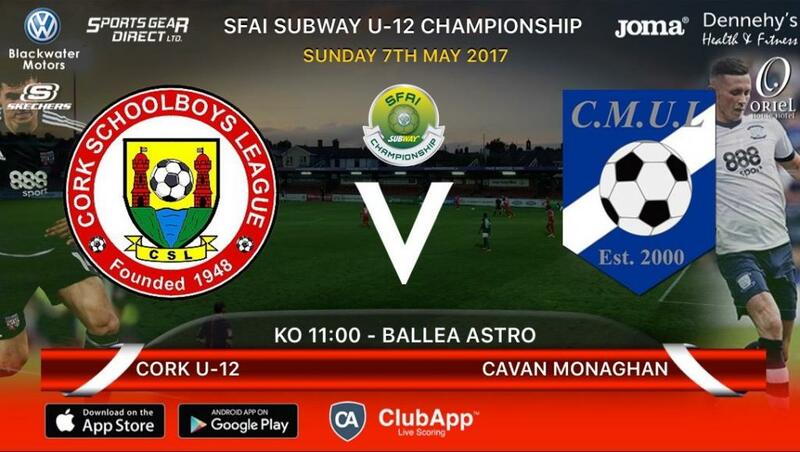 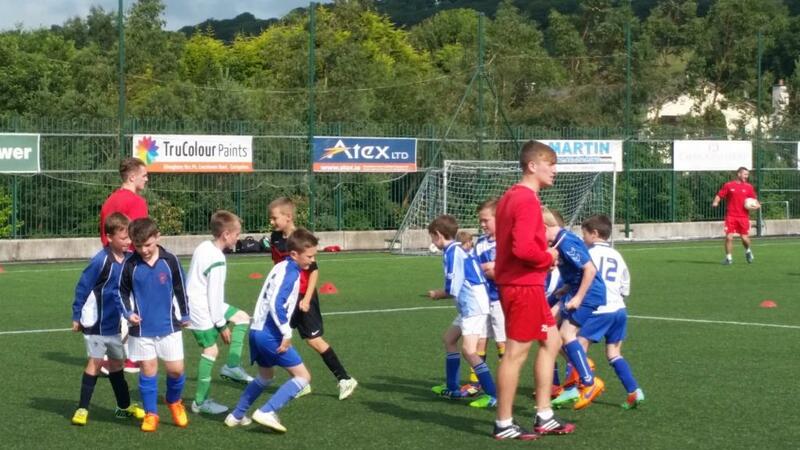 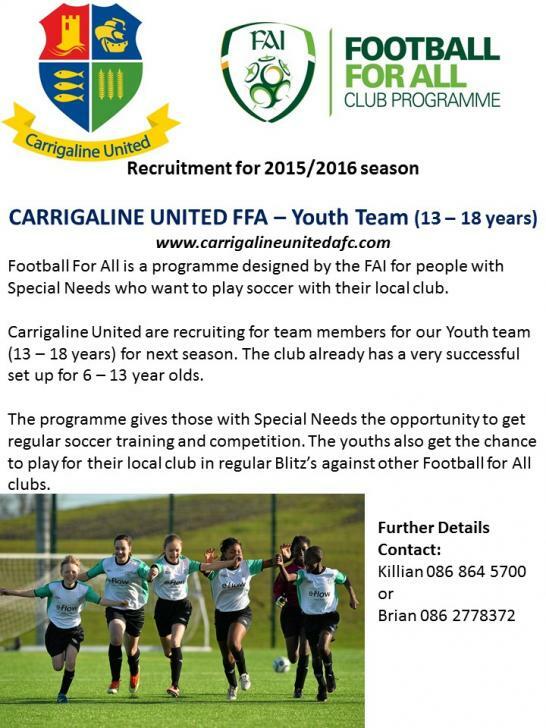 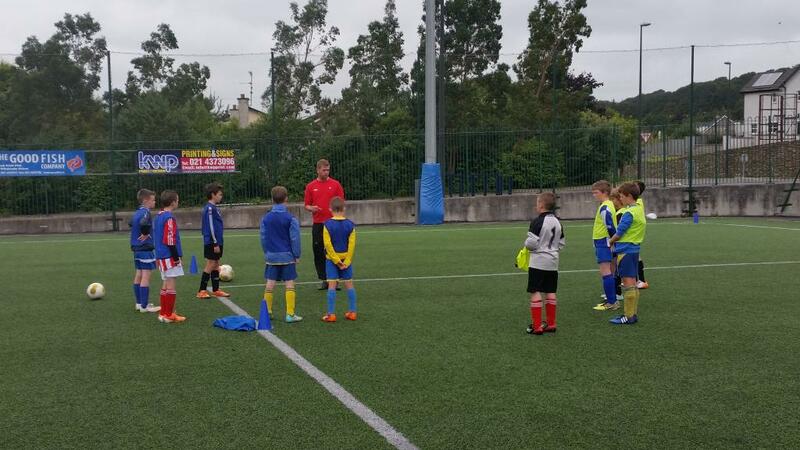 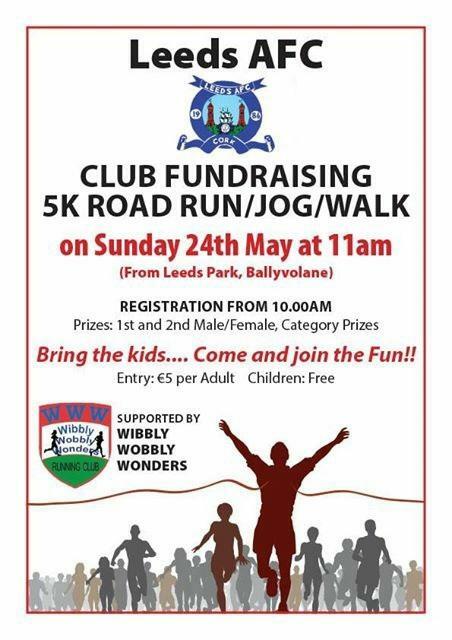 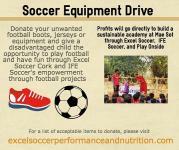 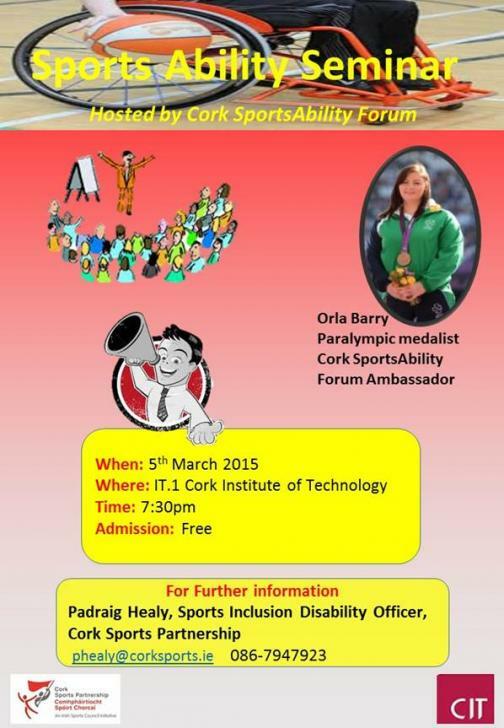 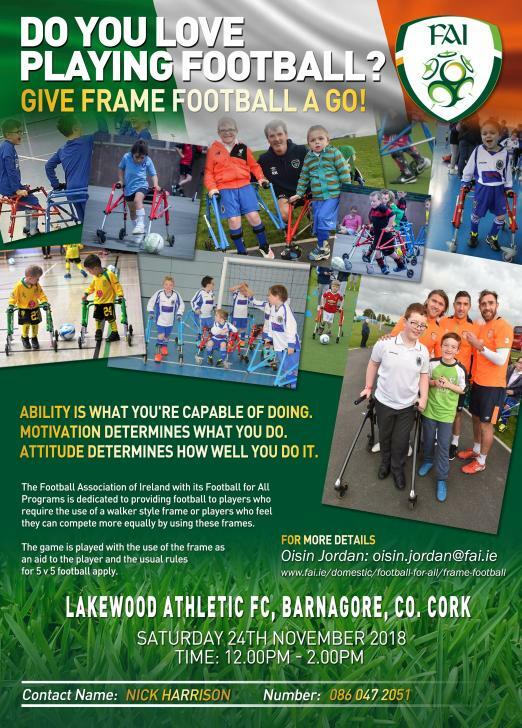 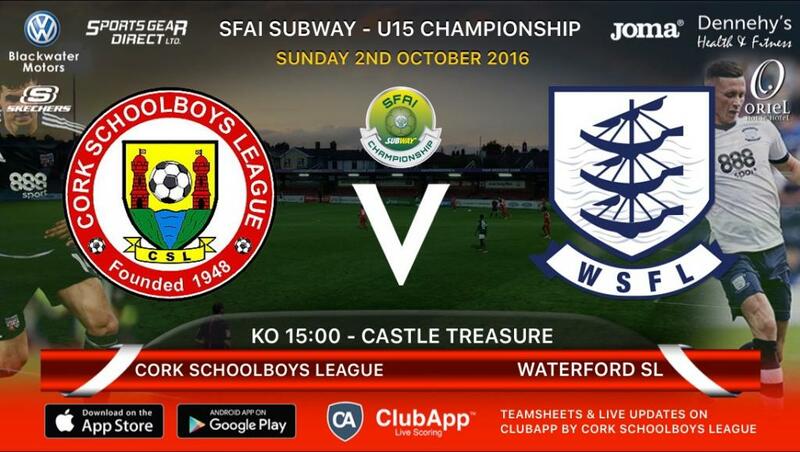 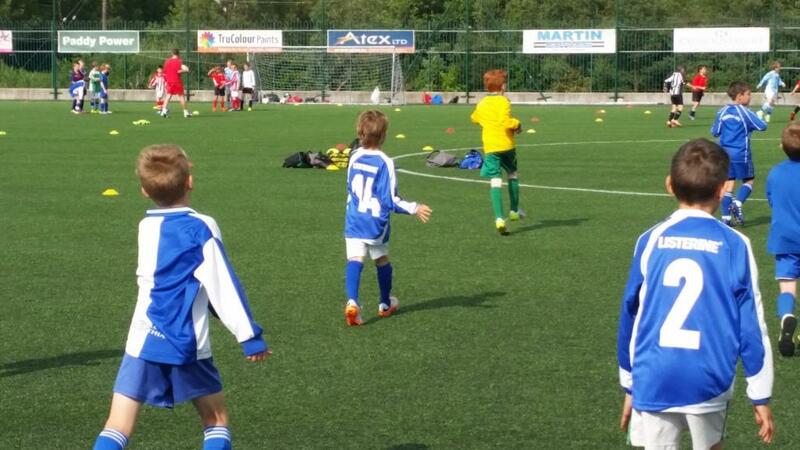 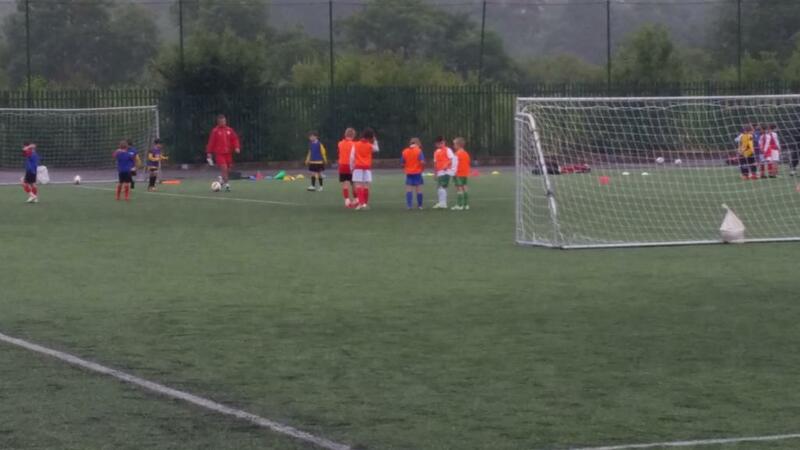 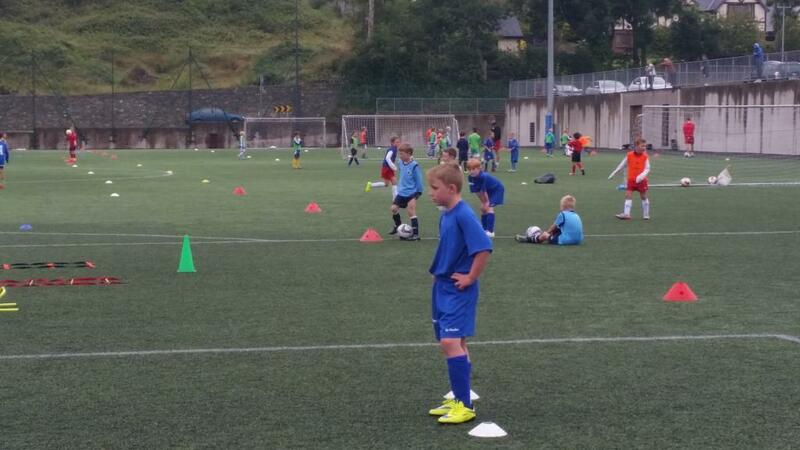 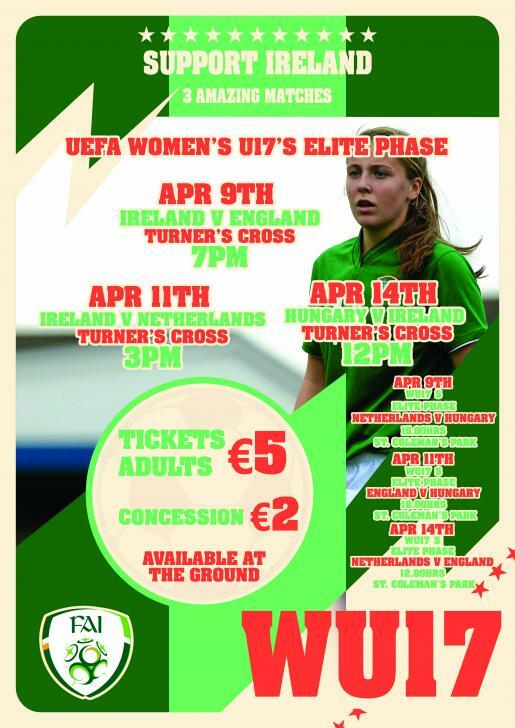 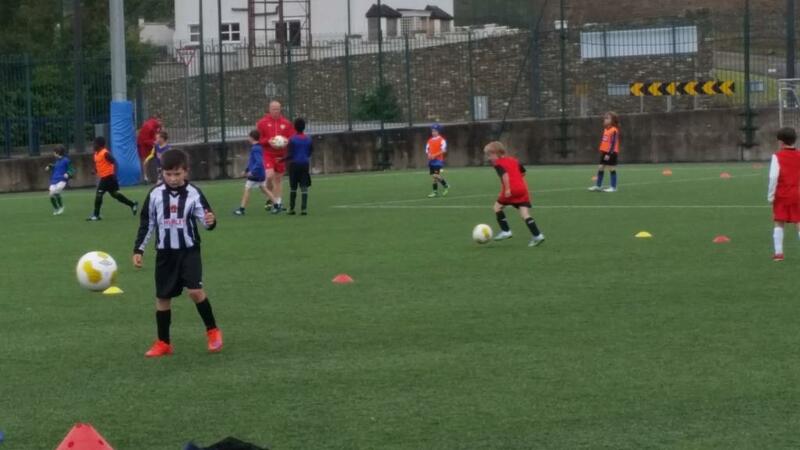 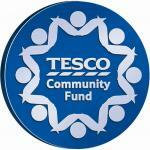 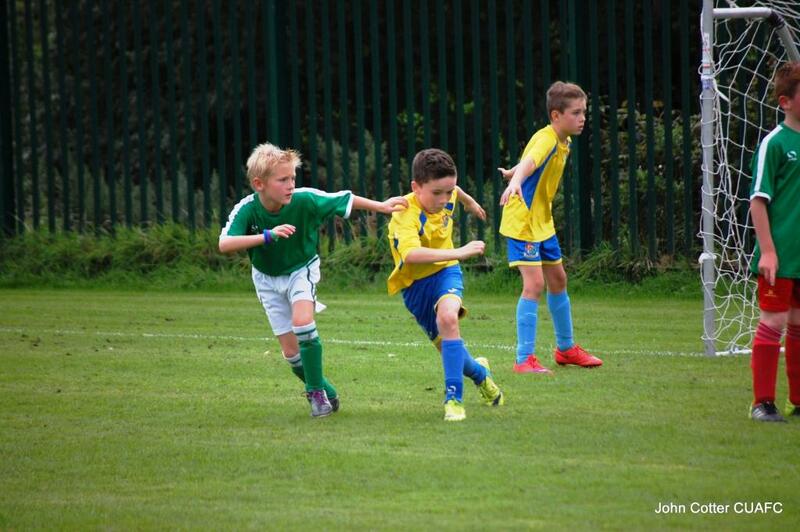 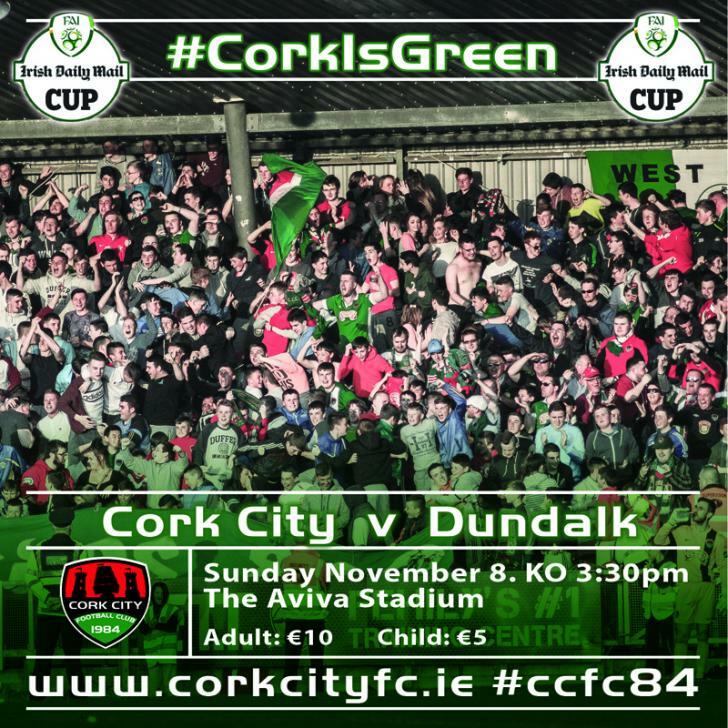 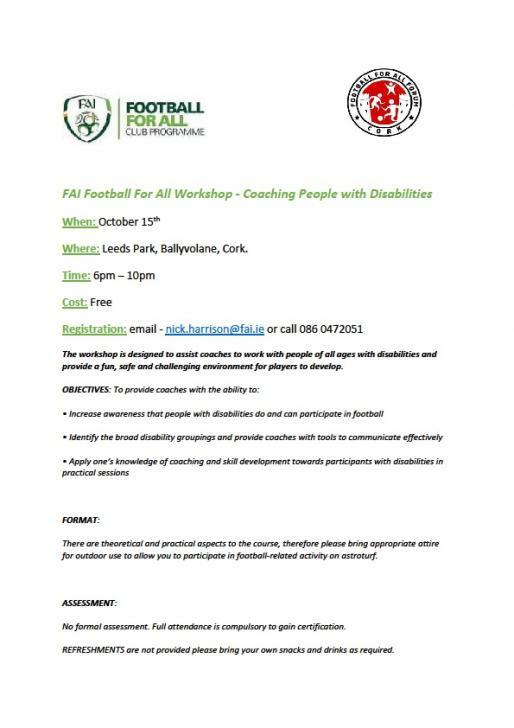 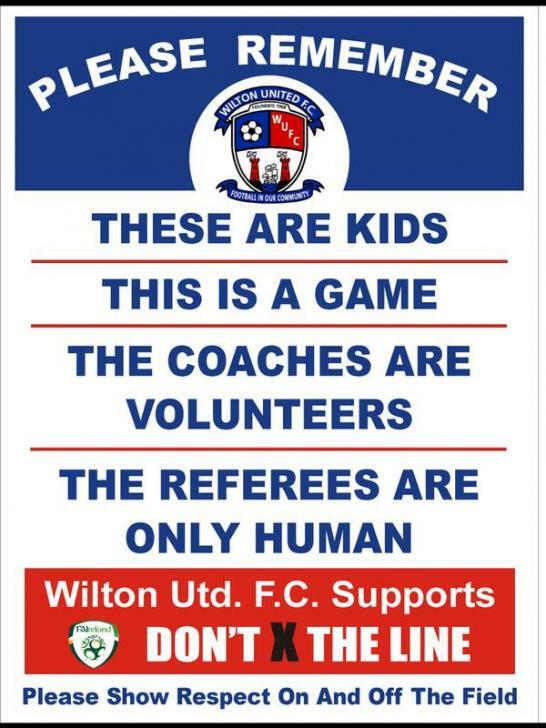 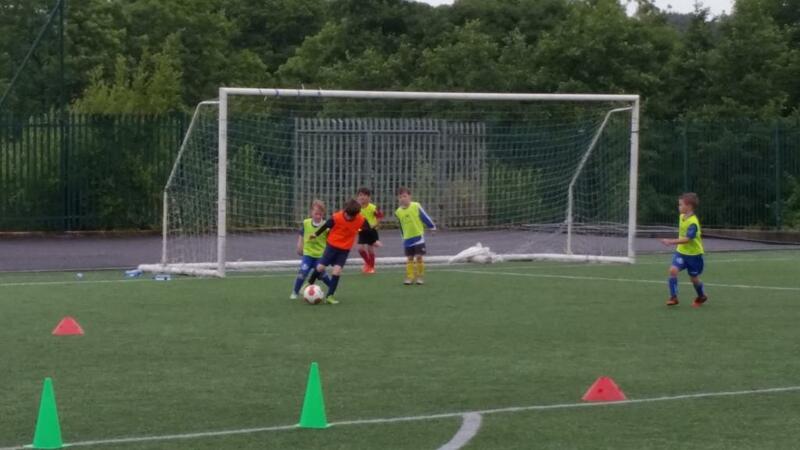 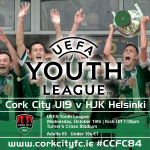 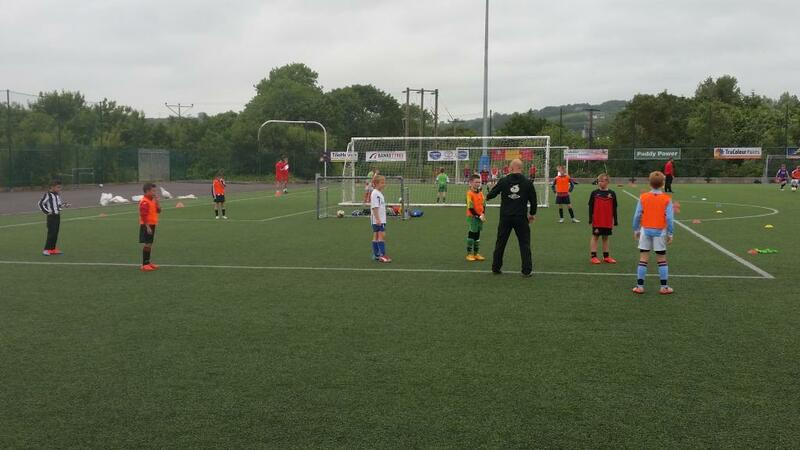 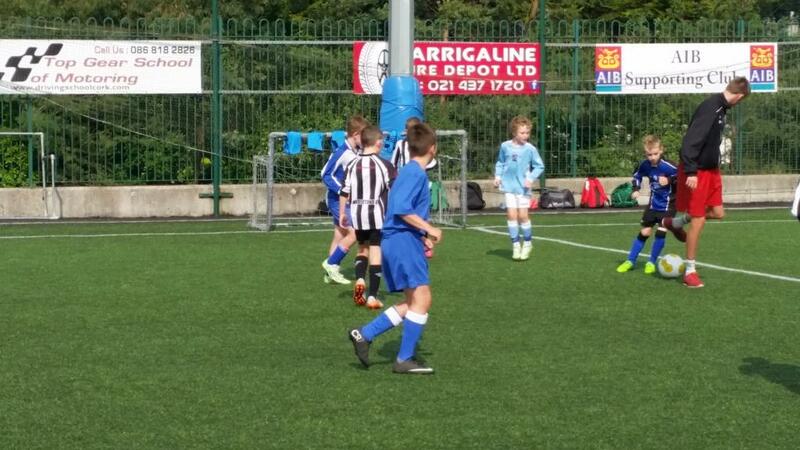 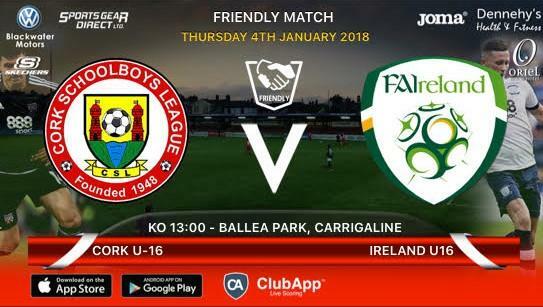 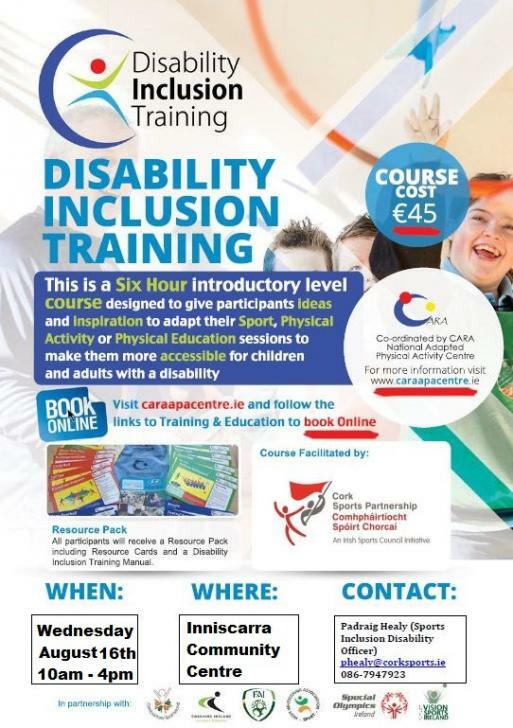 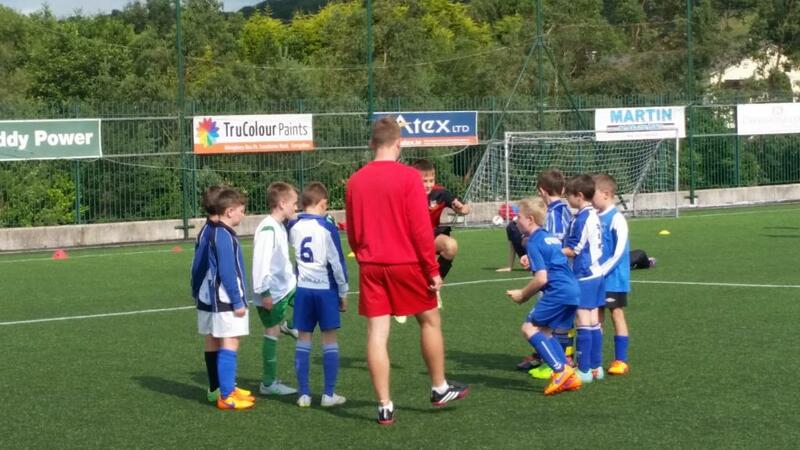 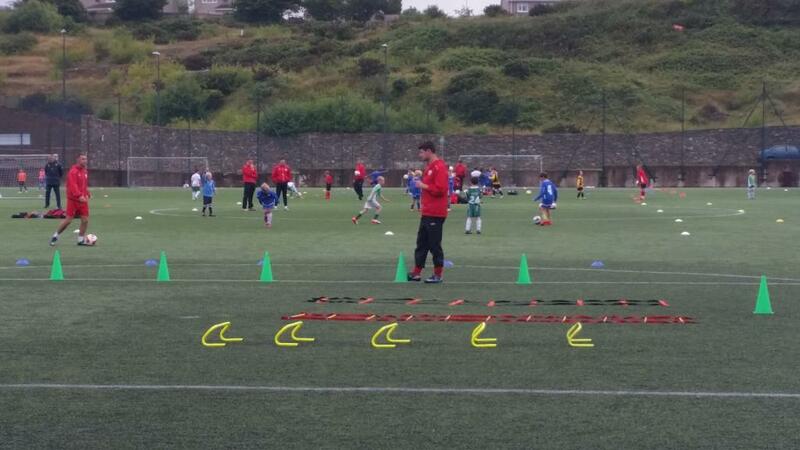 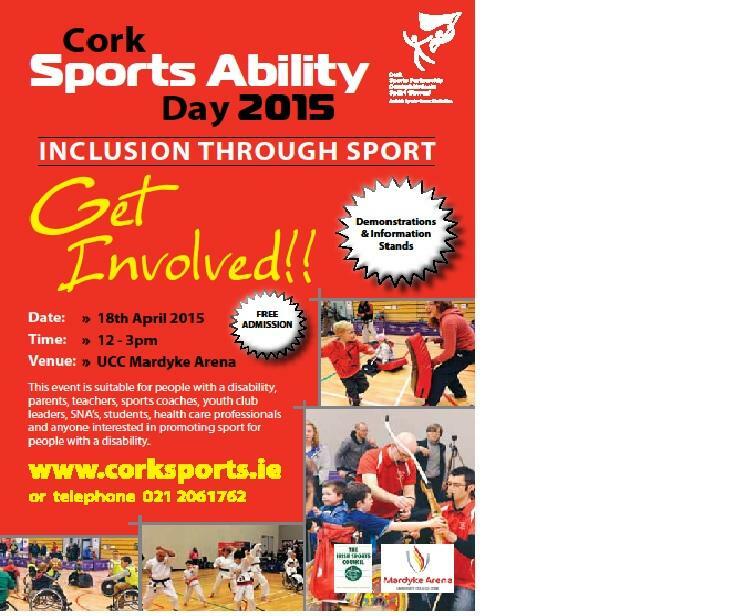 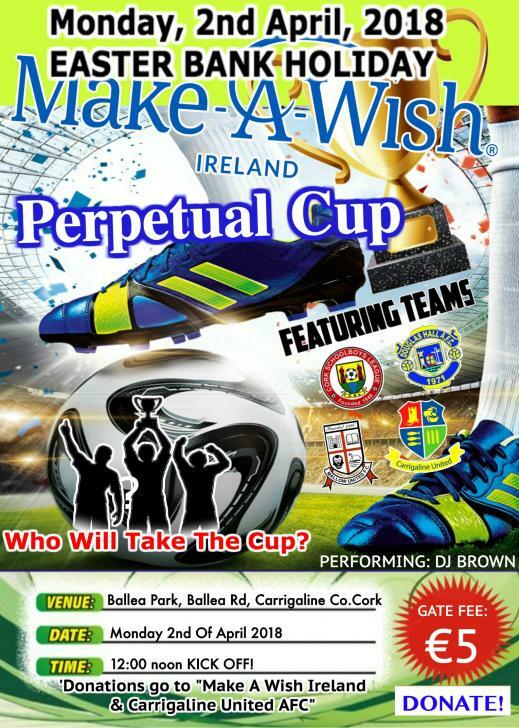 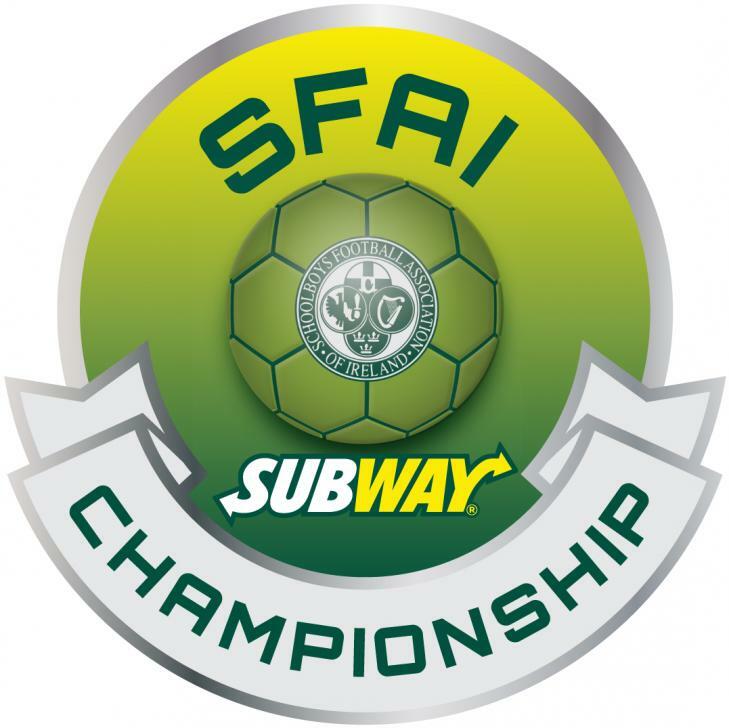 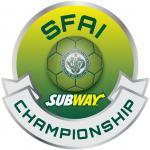 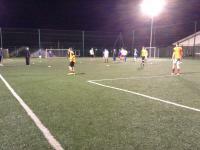 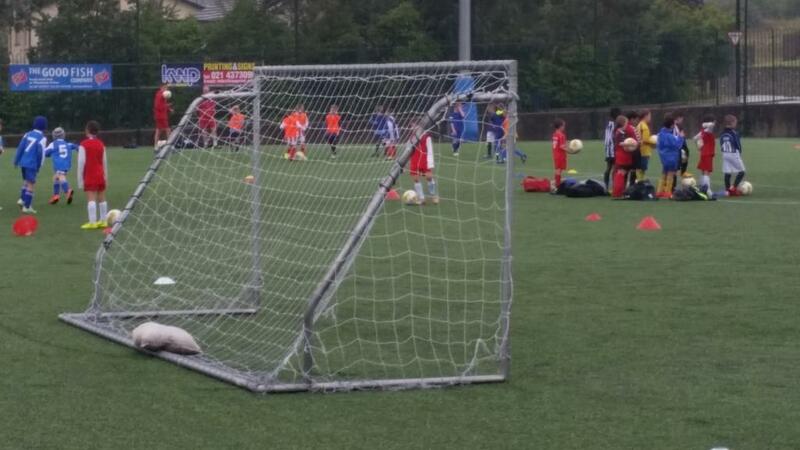 If interested in becoming a ref contact 085 8887396. 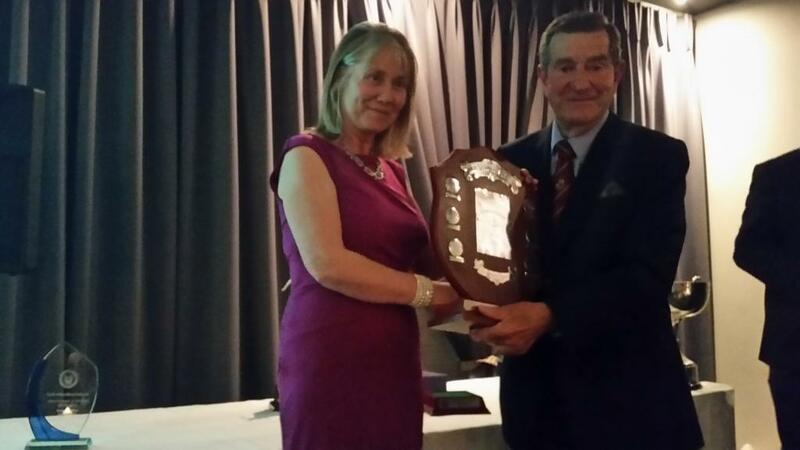 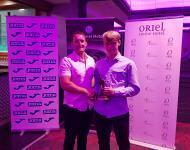 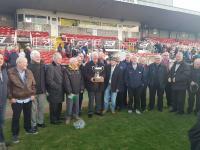 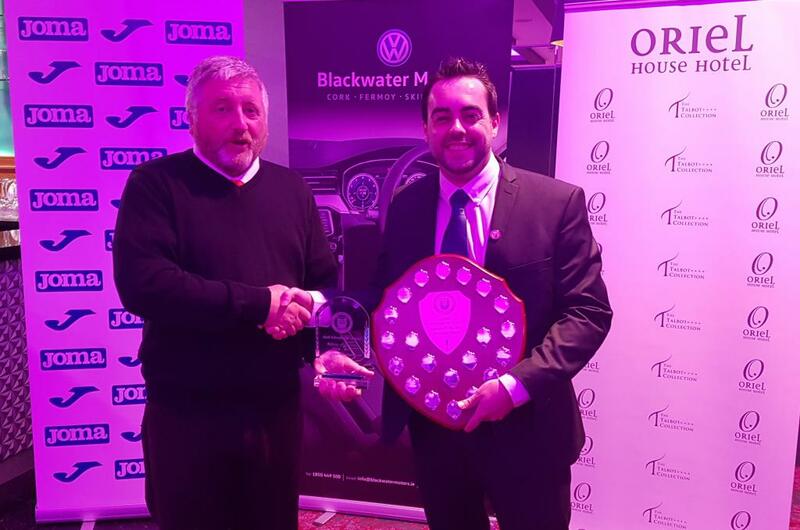 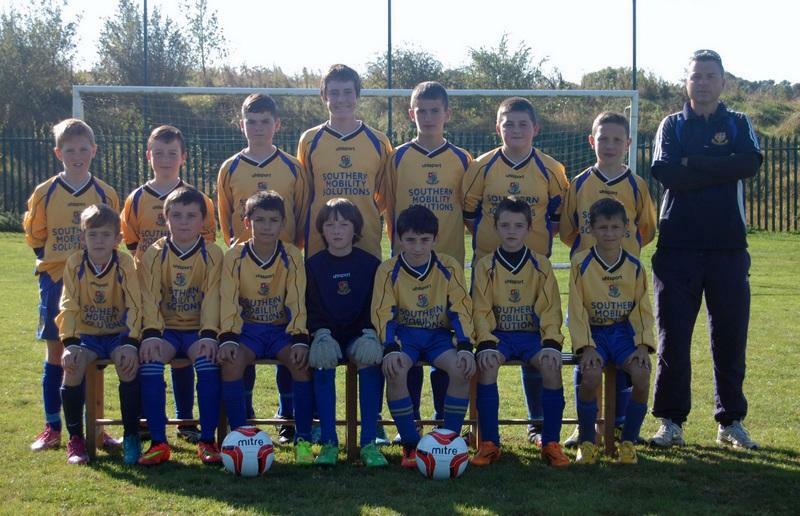 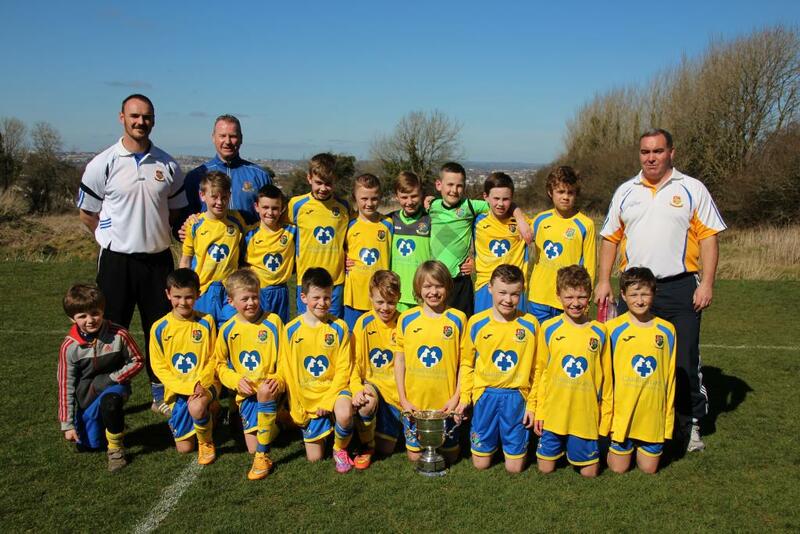 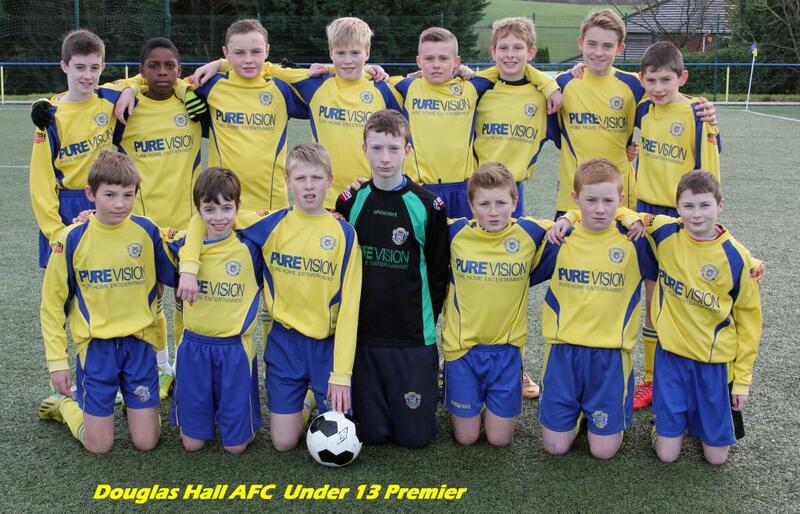 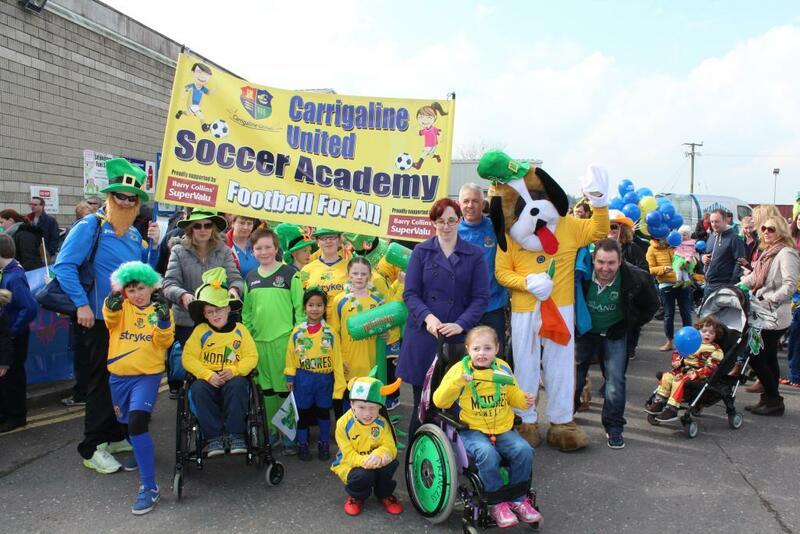 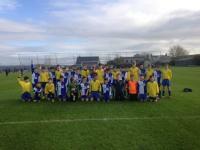 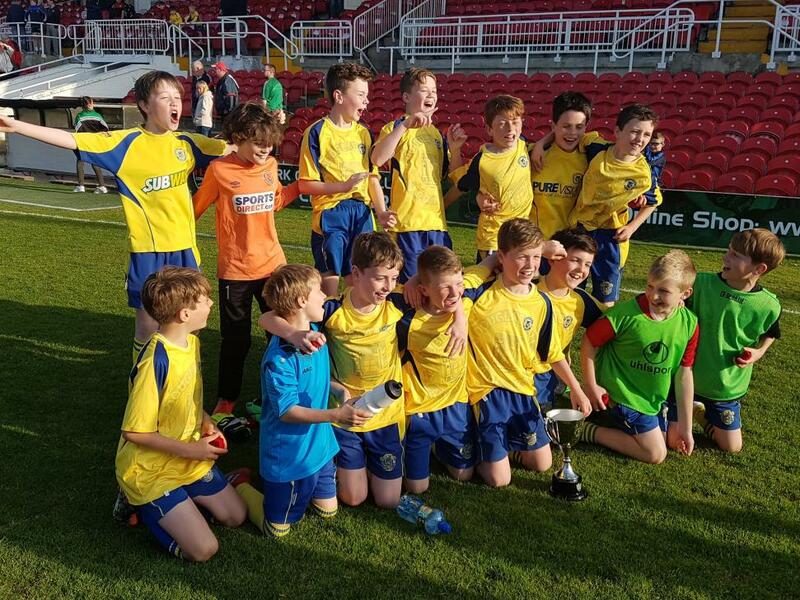 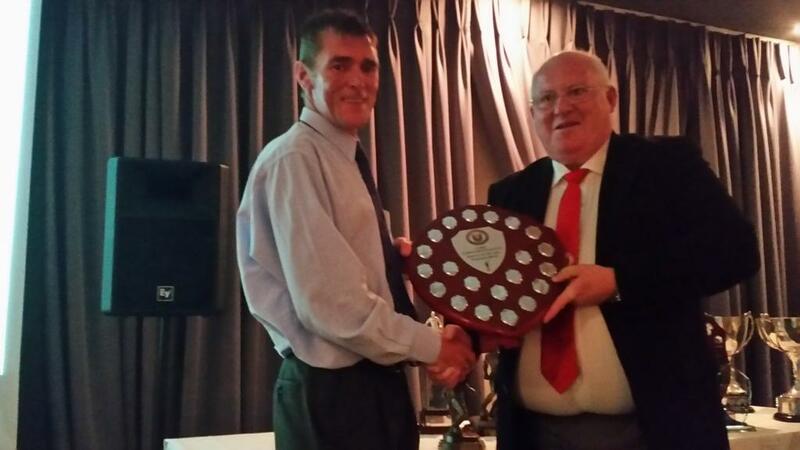 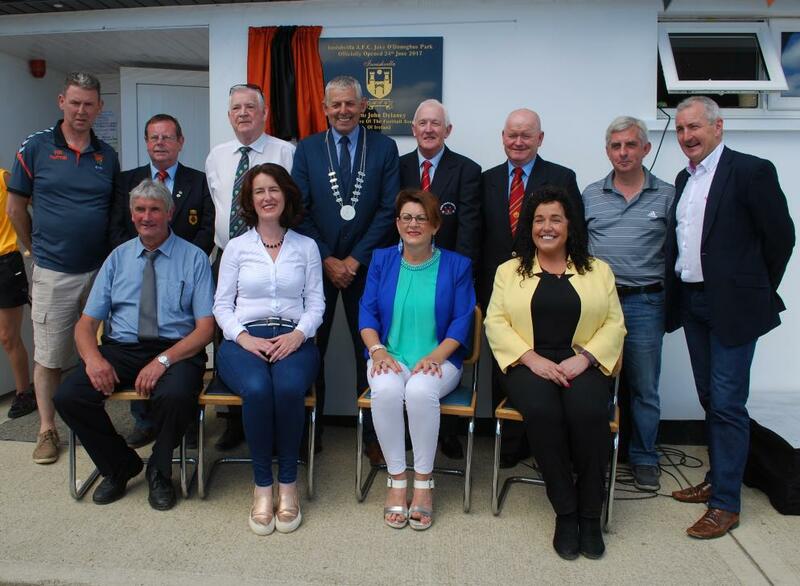 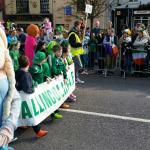 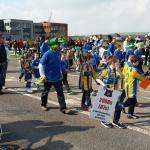 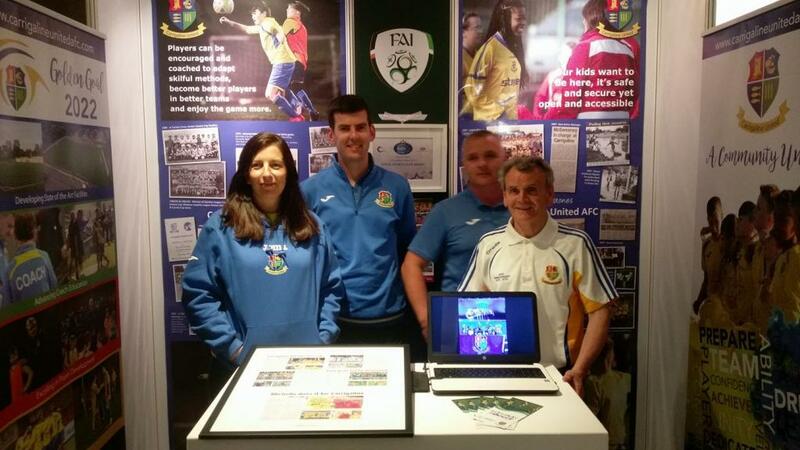 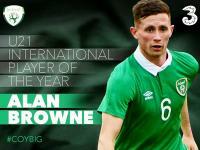 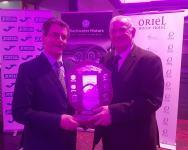 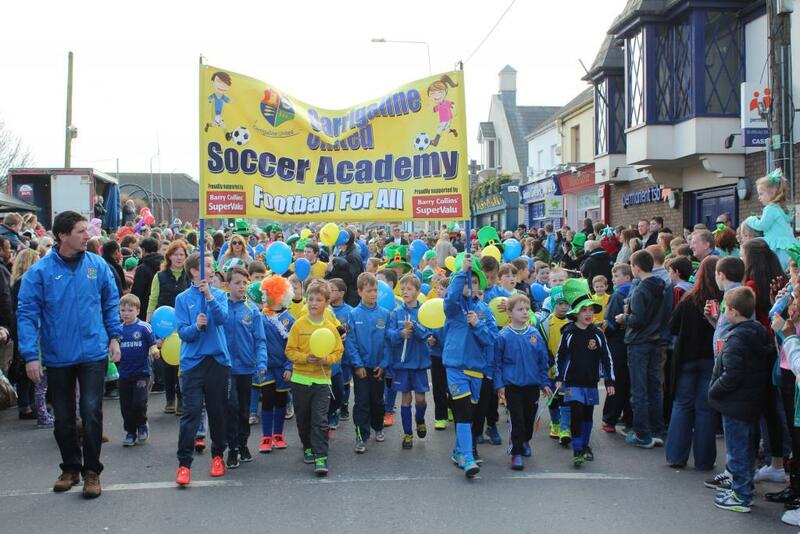 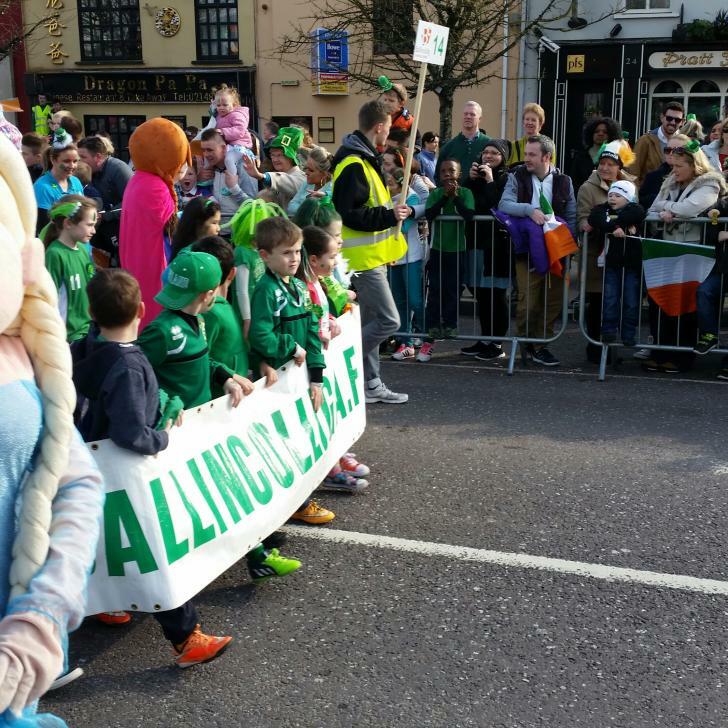 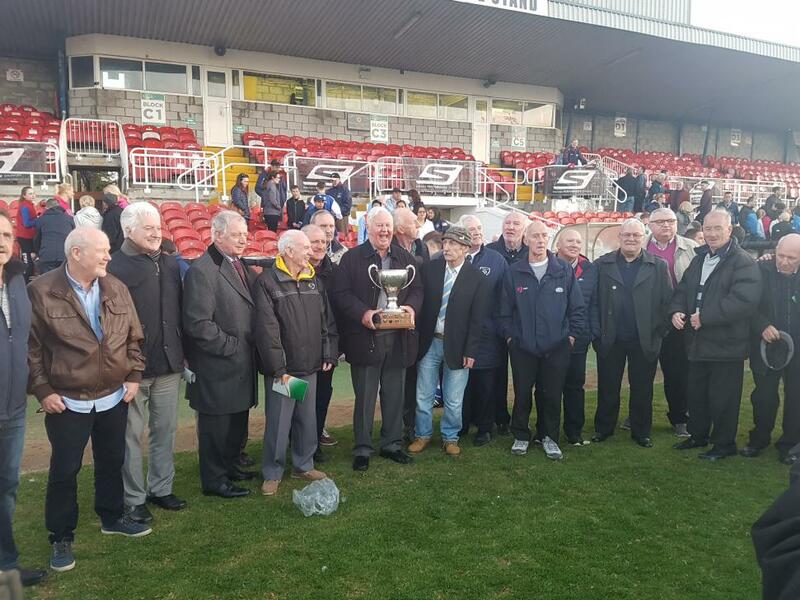 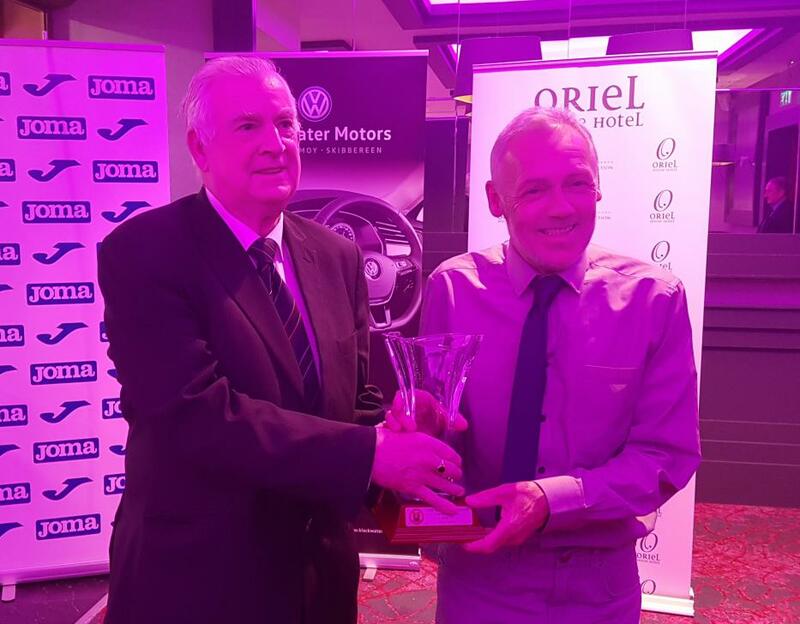 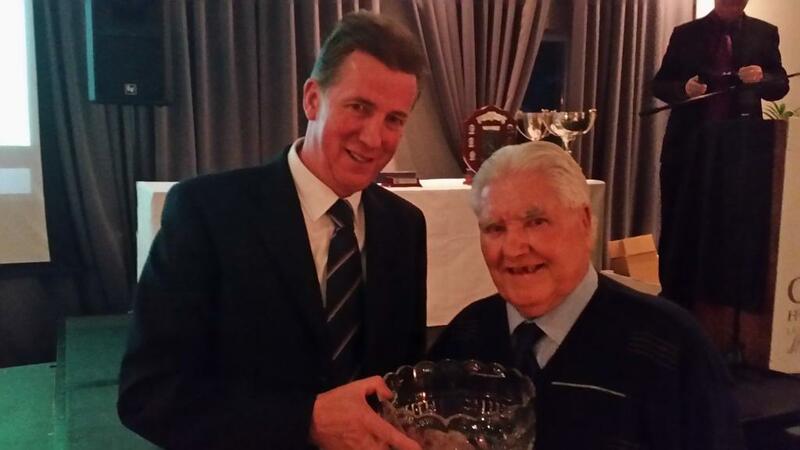 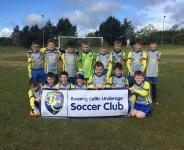 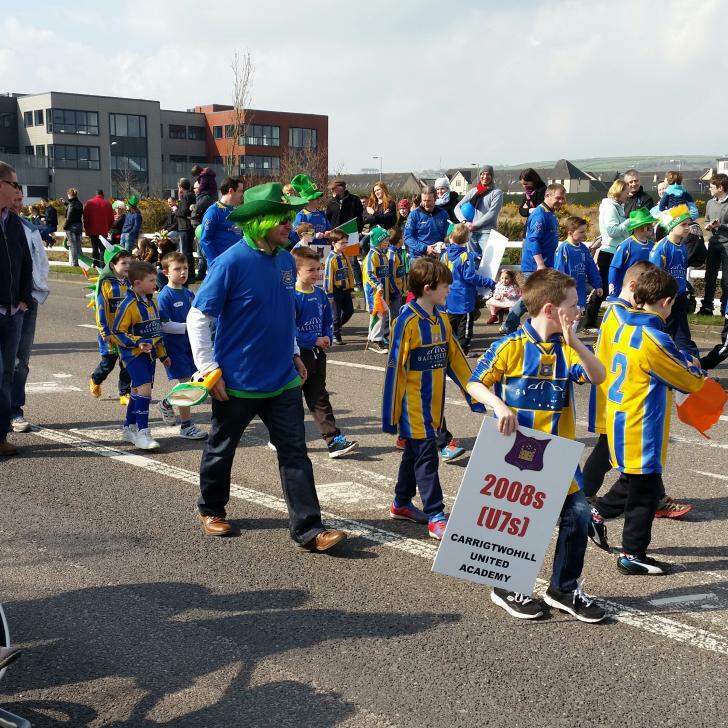 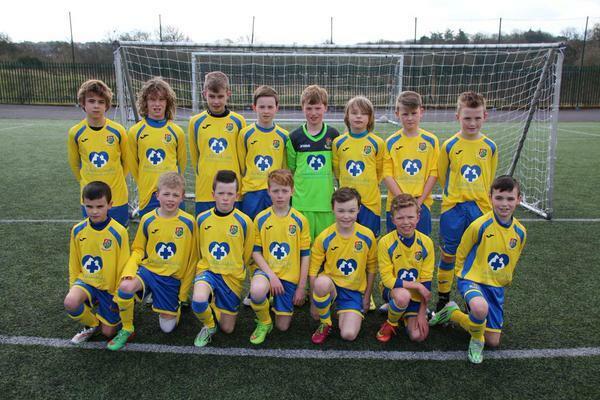 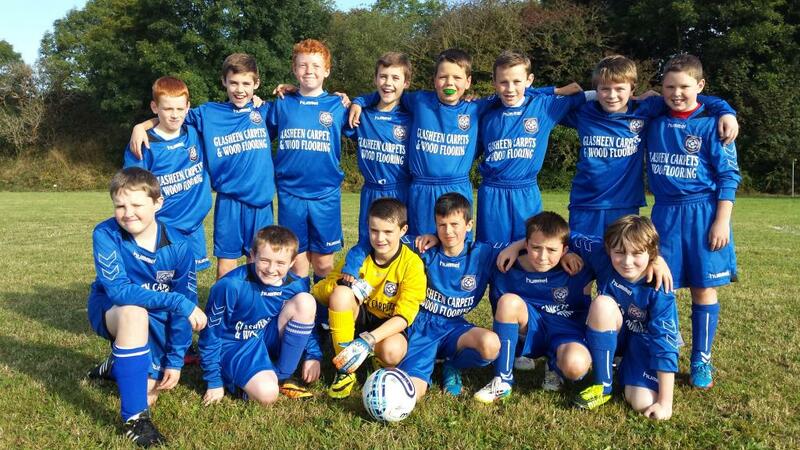 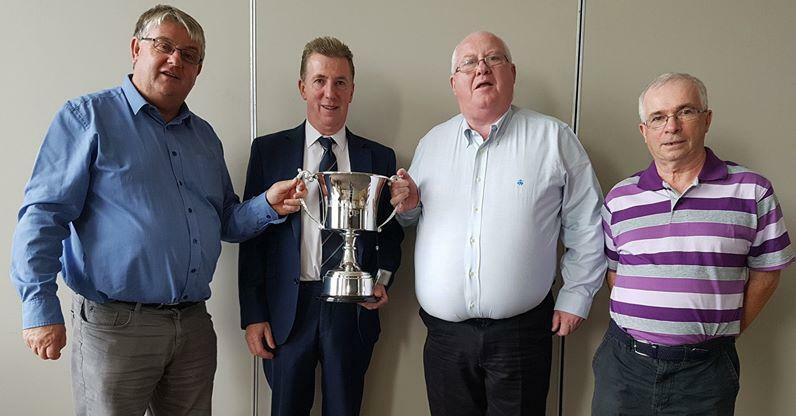 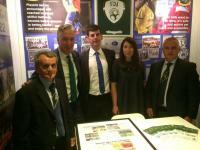 Carrigaline United - FAI Club of the Year! 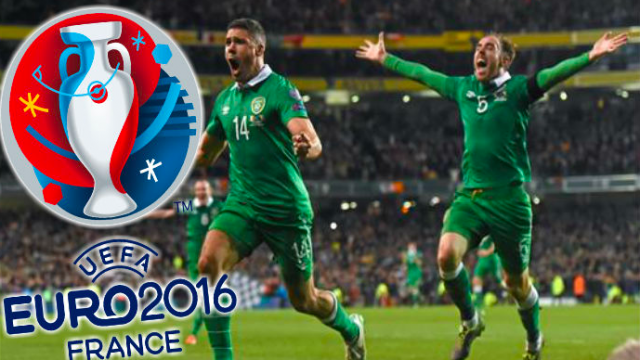 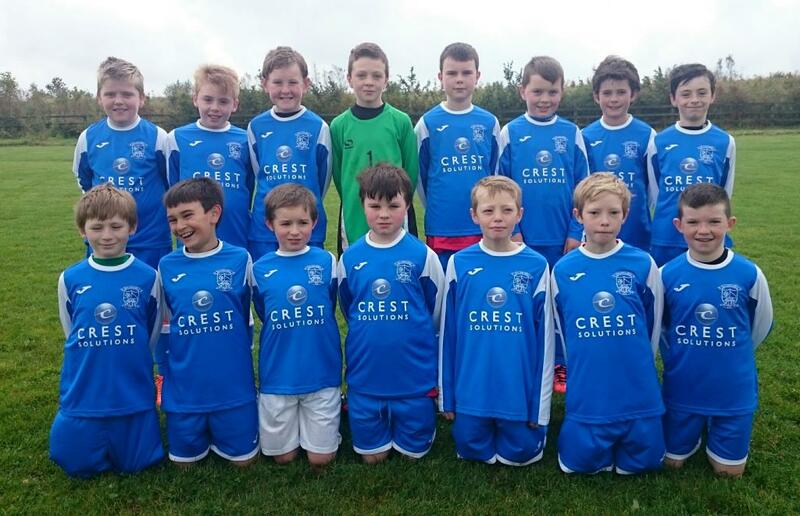 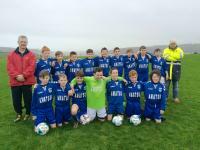 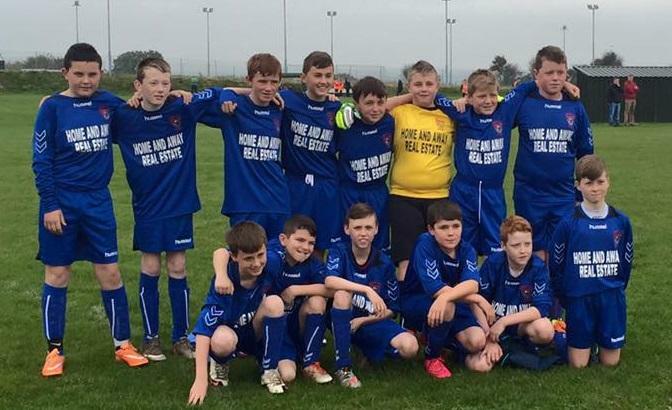 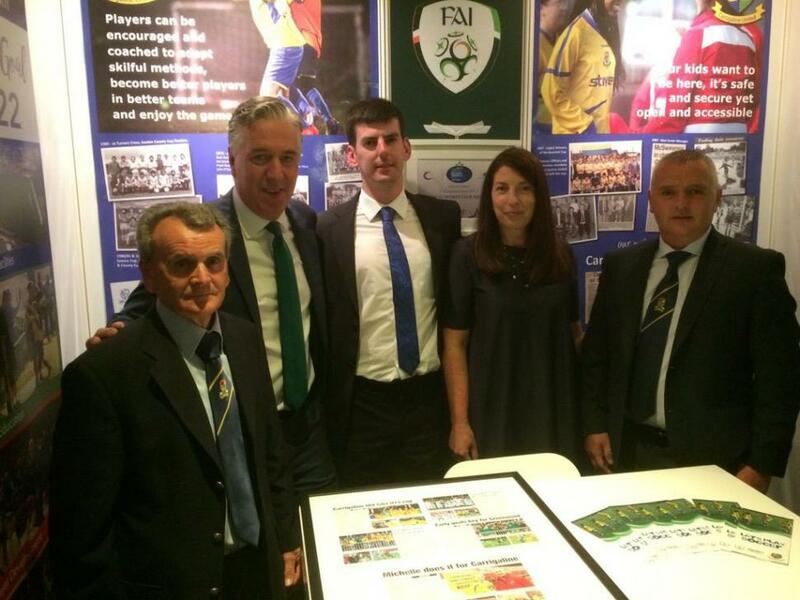 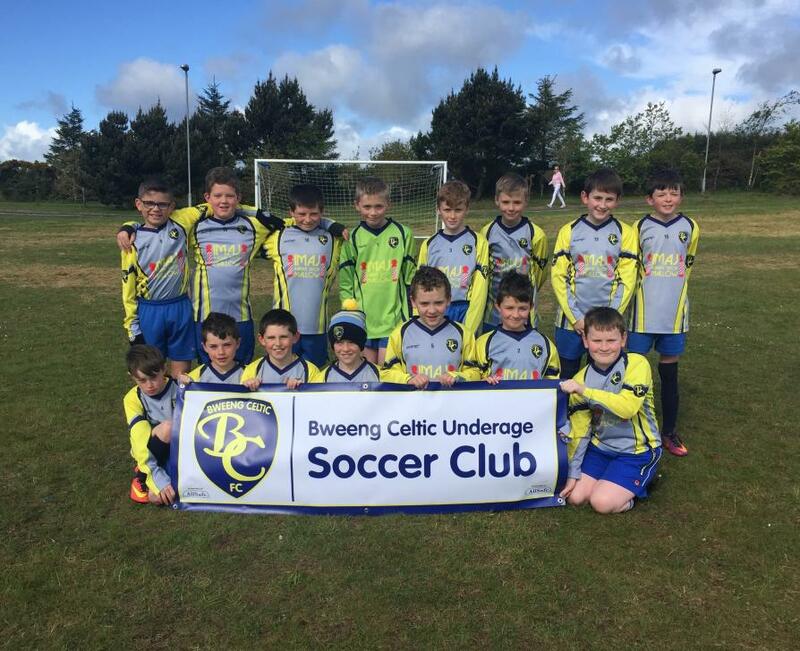 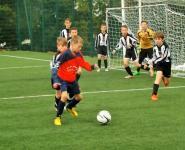 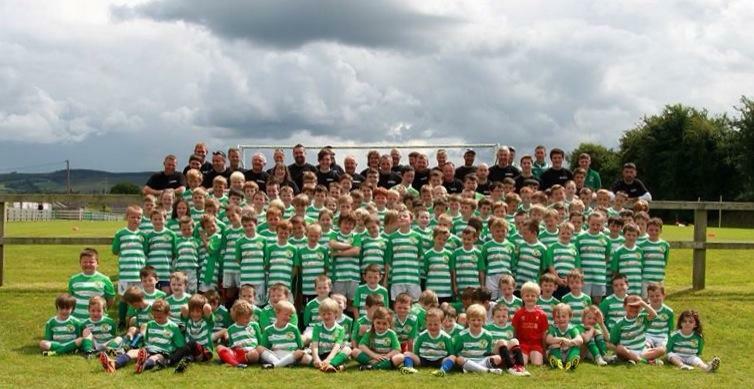 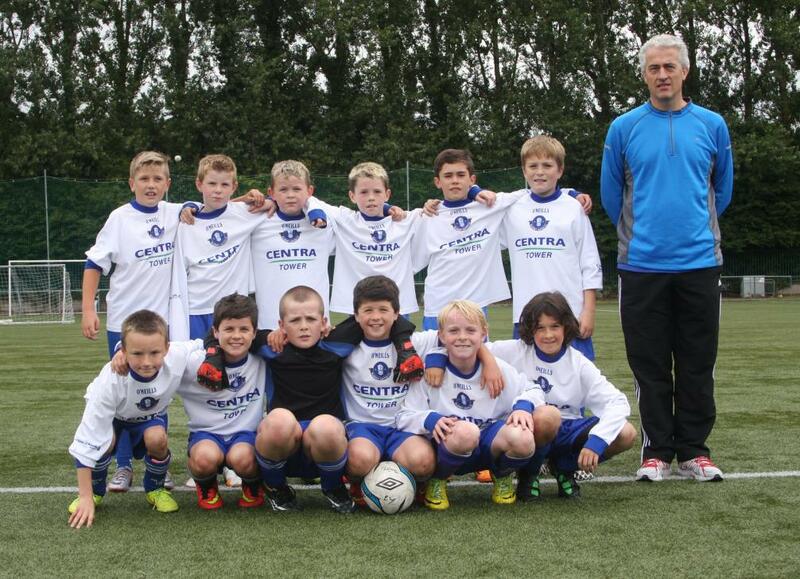 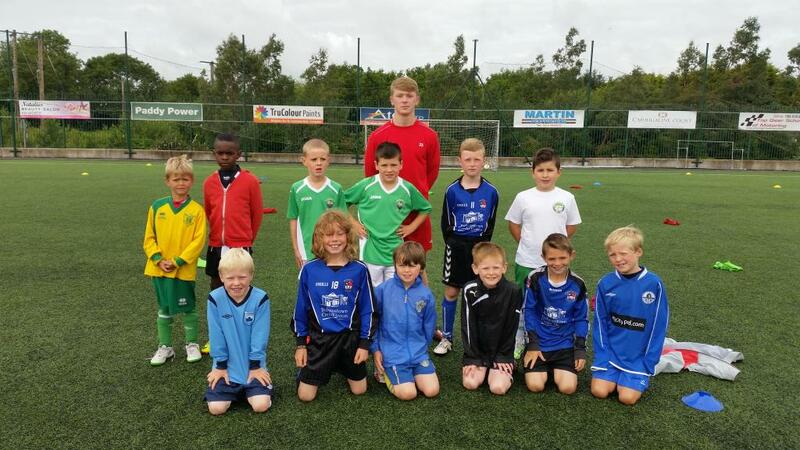 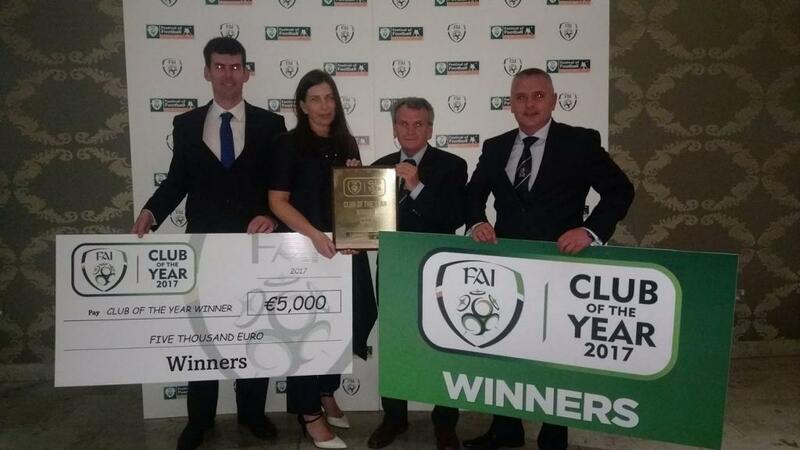 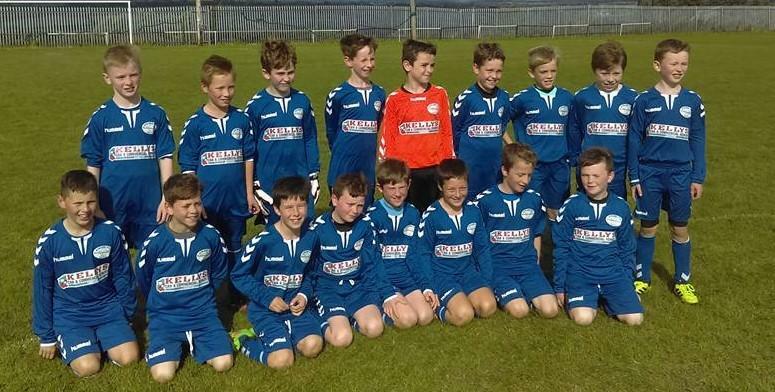 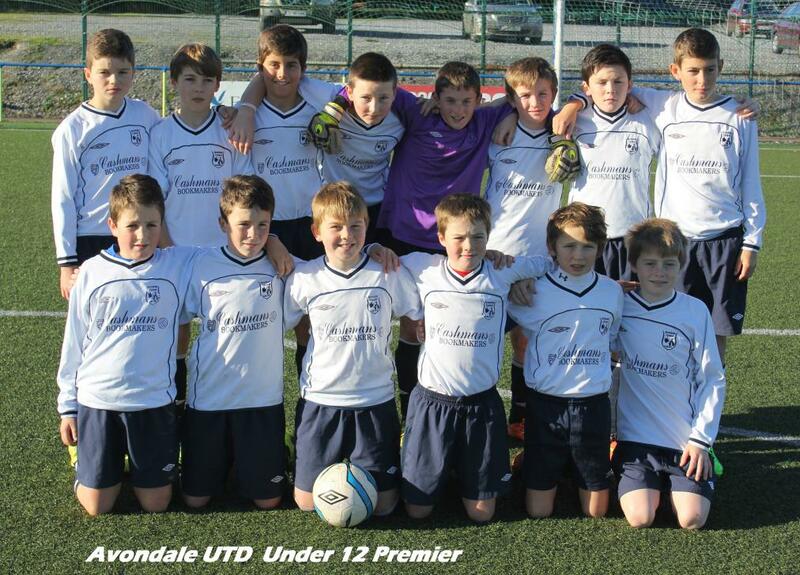 Congrats to Carrigaline United, FAI Club of the Year! 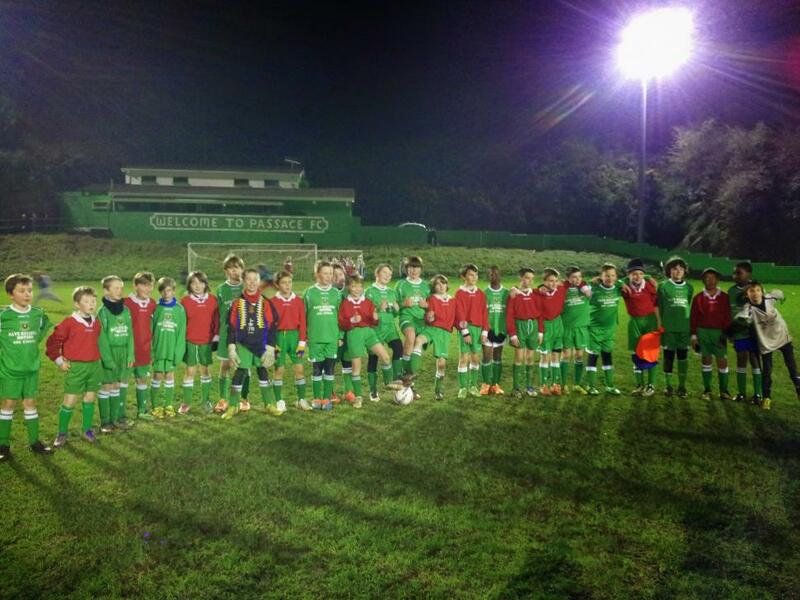 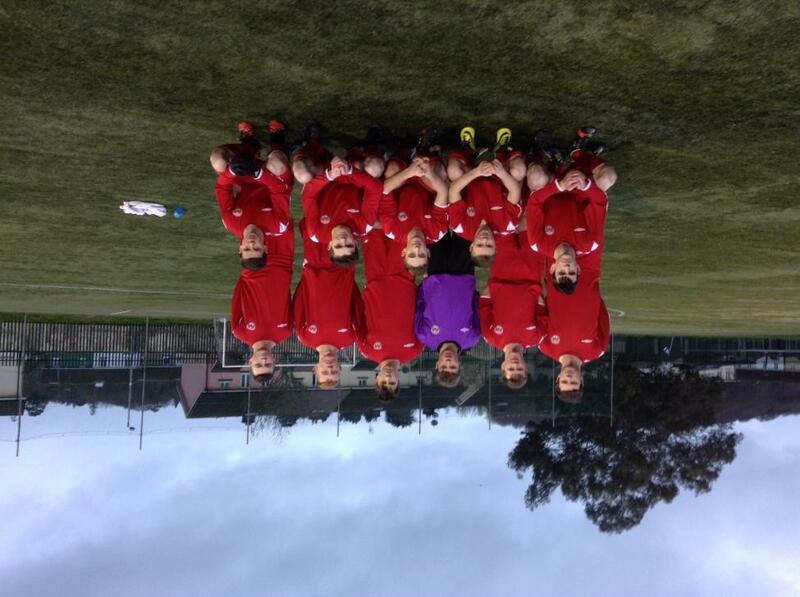 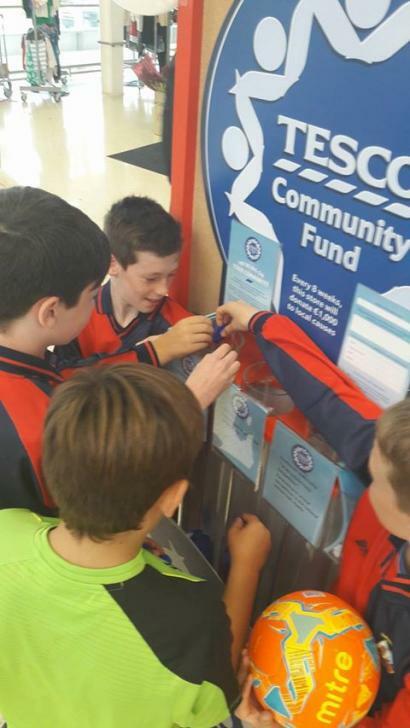 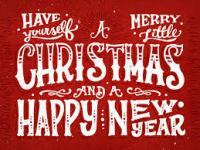 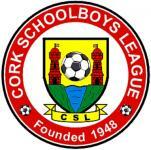 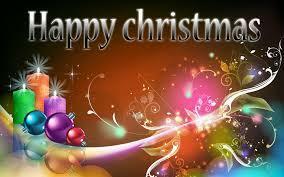 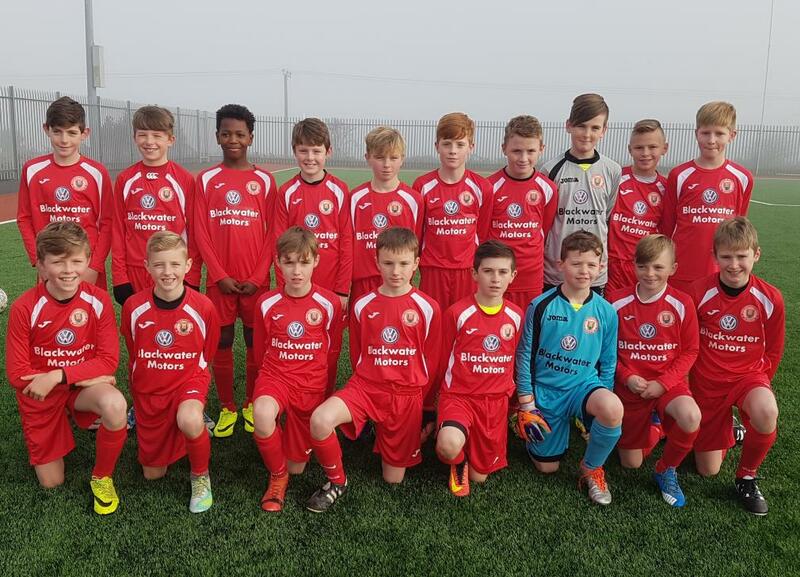 The CSL wishes everyone involved in schoolboys football a Happy and Safe Christmas and a Prosperous New Year! 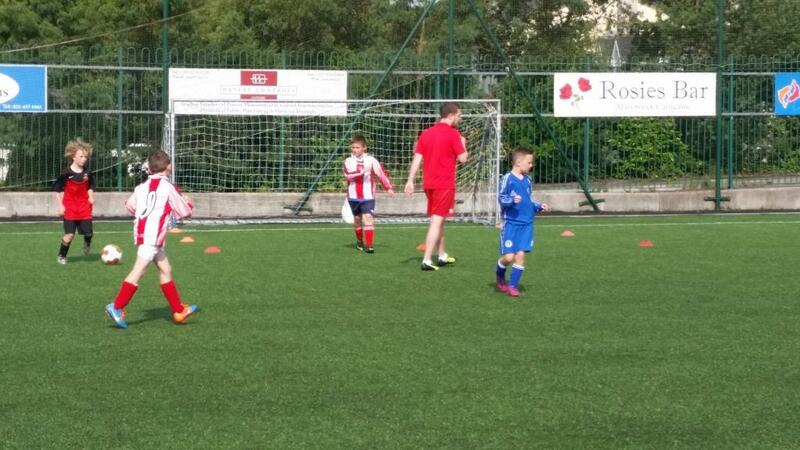 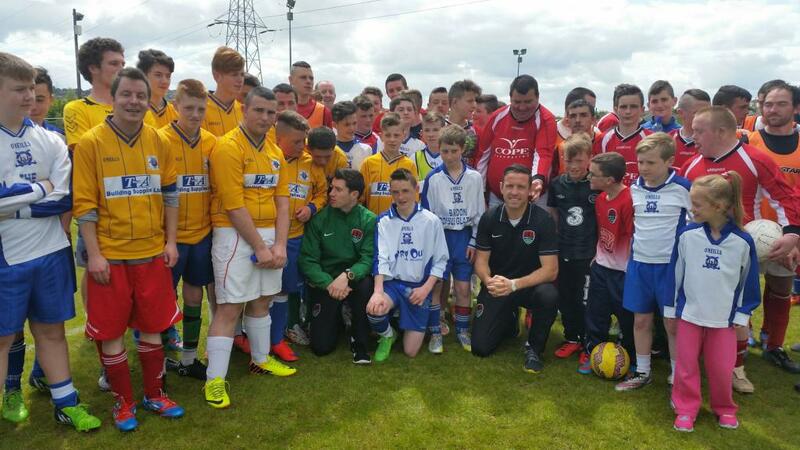 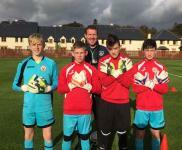 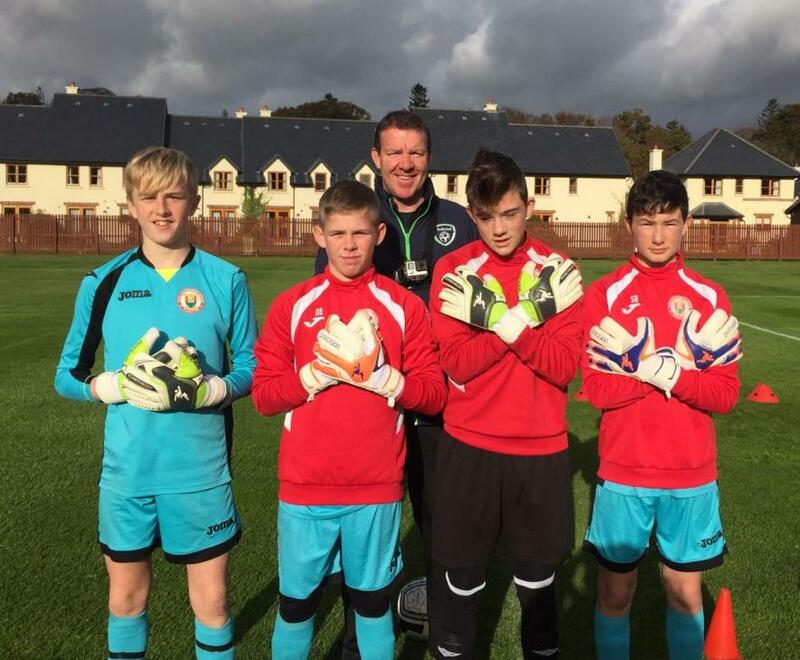 Alan Kelly Preston presents CSL keepers with gloves - nice one Alan! 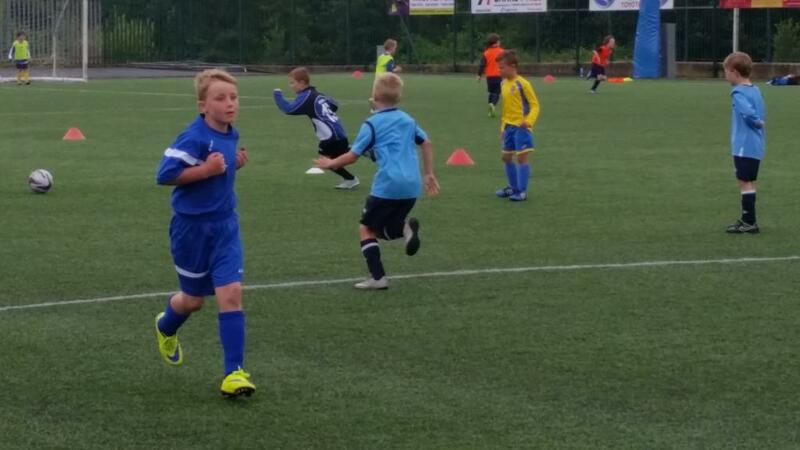 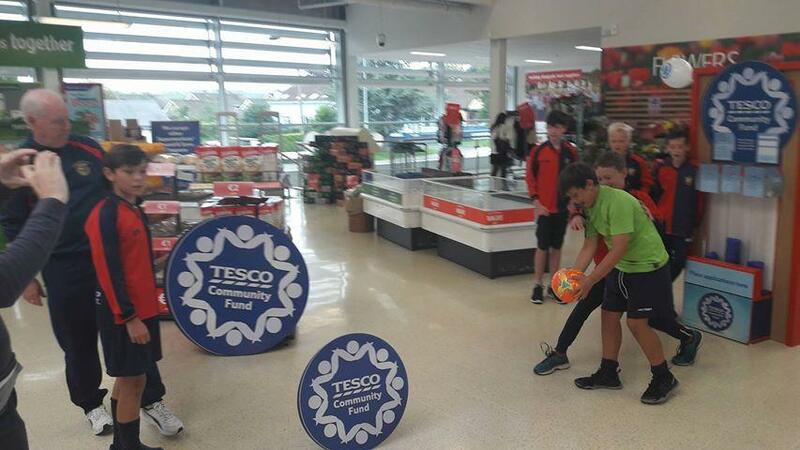 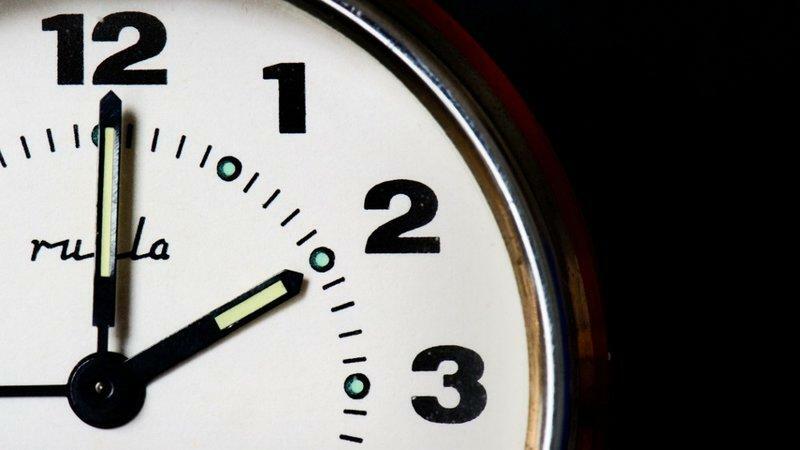 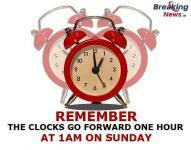 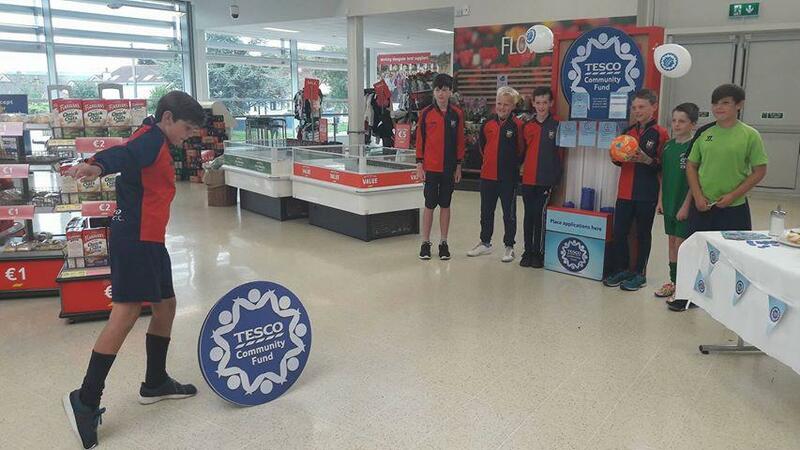 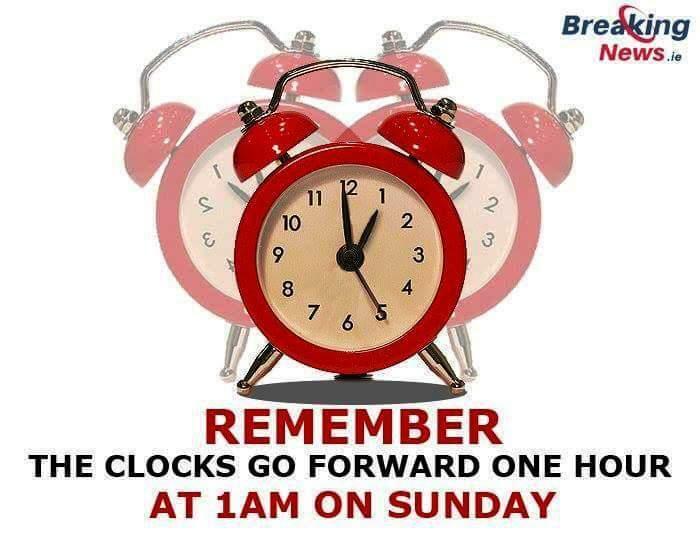 No excuse for being late for your match tomorrow! 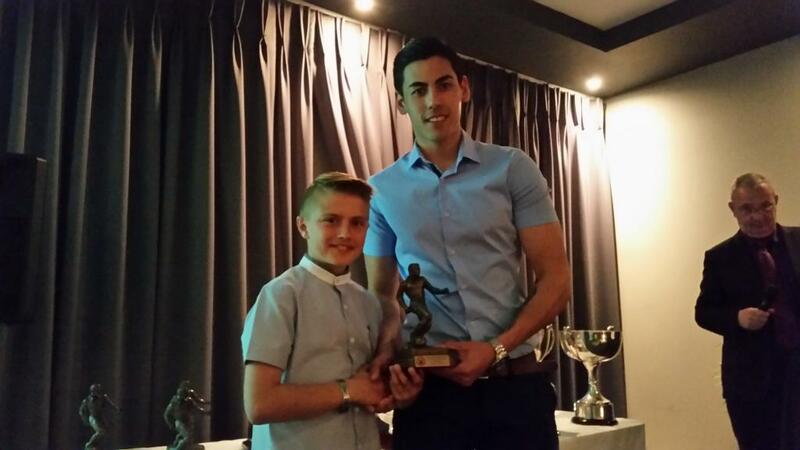 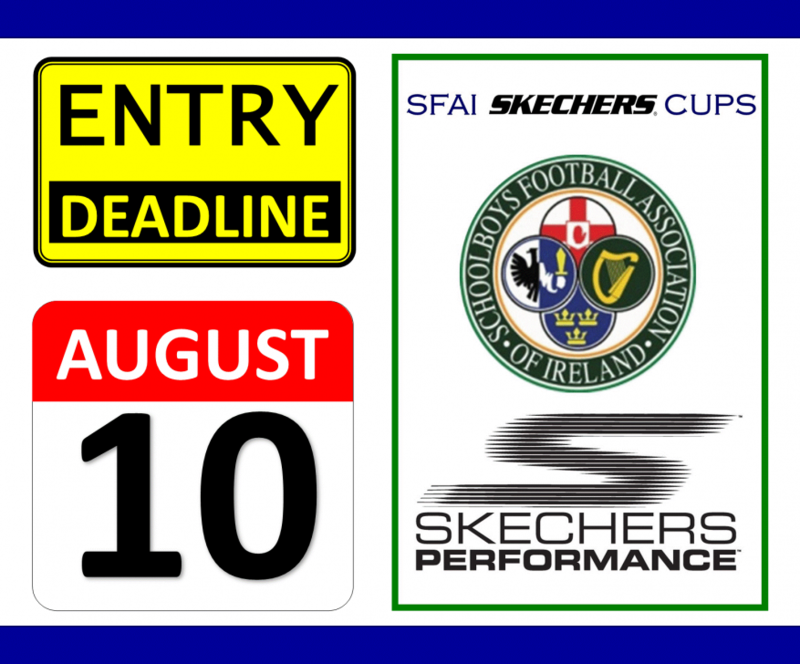 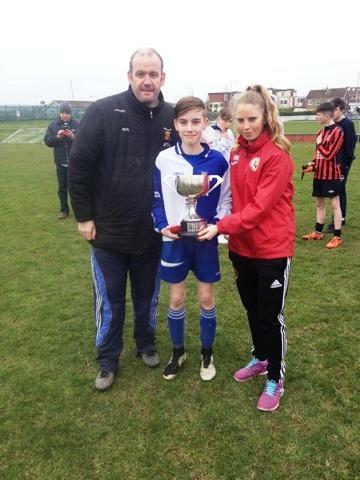 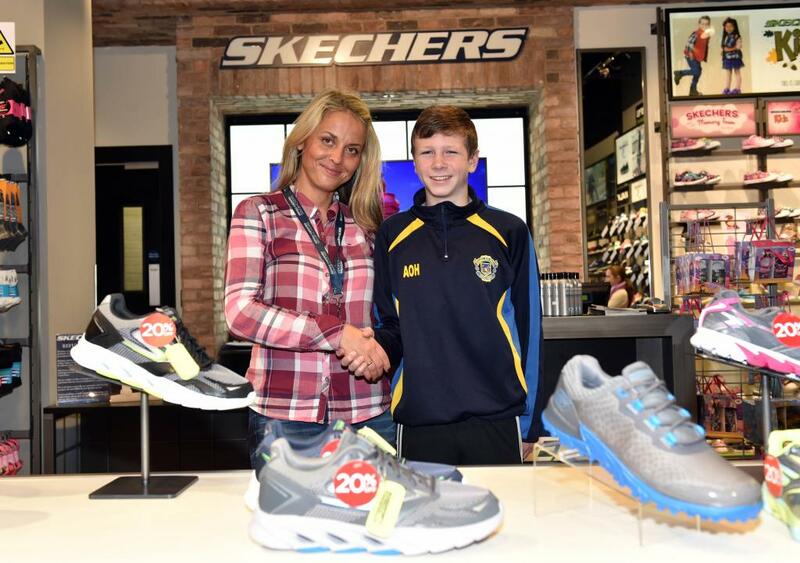 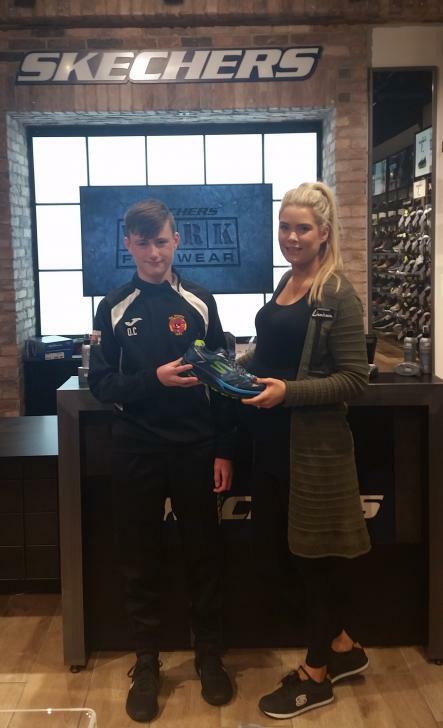 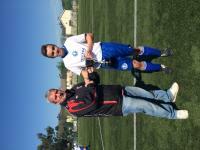 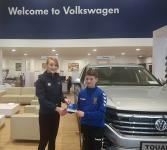 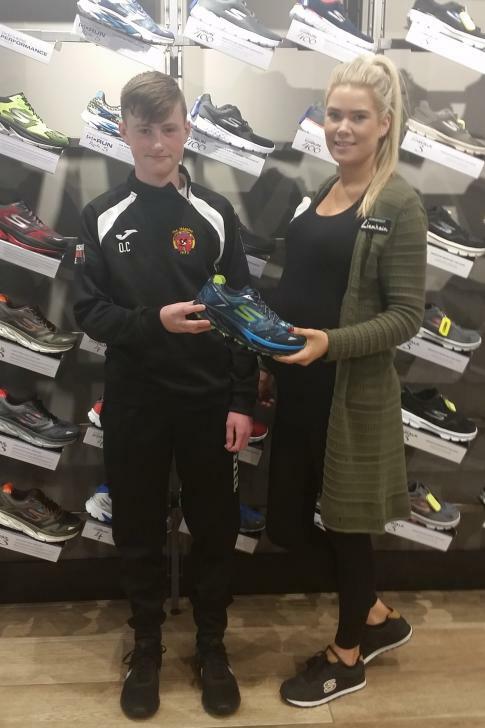 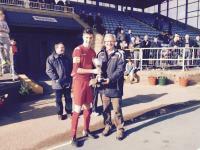 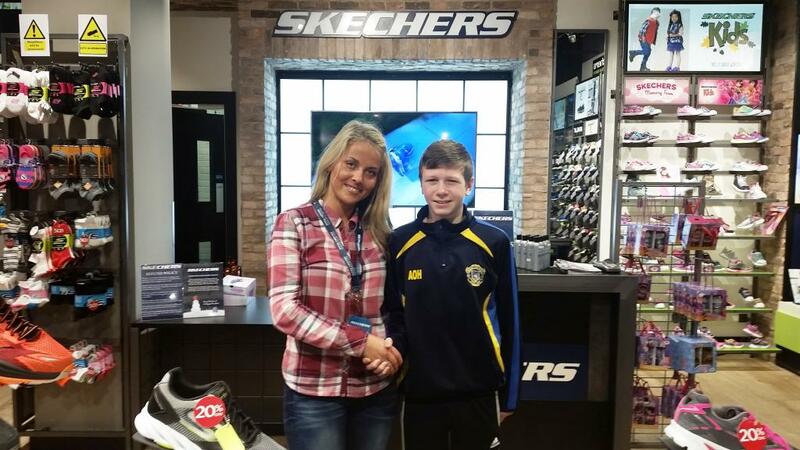 Corinthian Boys captain, Matthew Healy, receives the Skechers U14P trophy from Katie McCarthy, CSL Kennedy Cup coach. 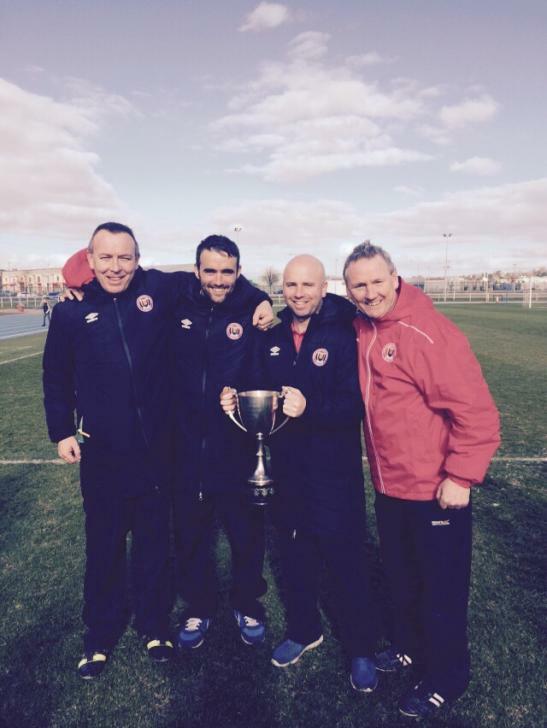 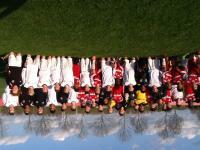 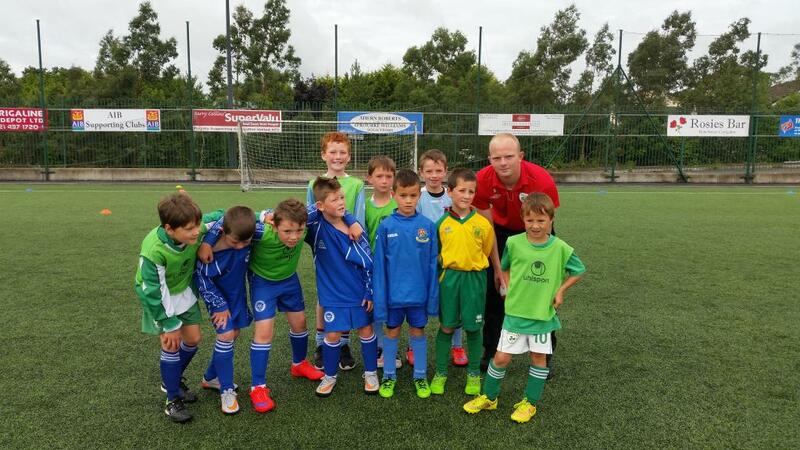 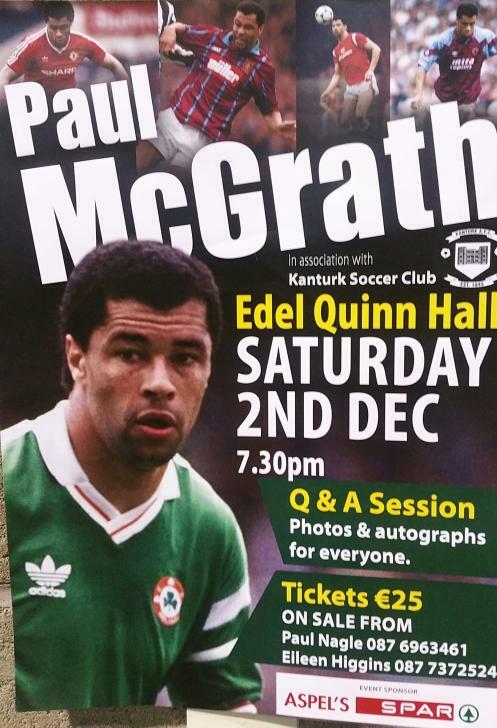 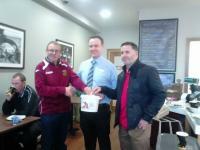 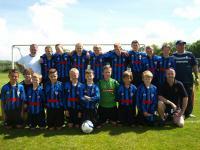 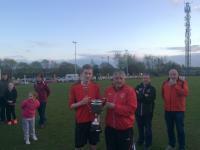 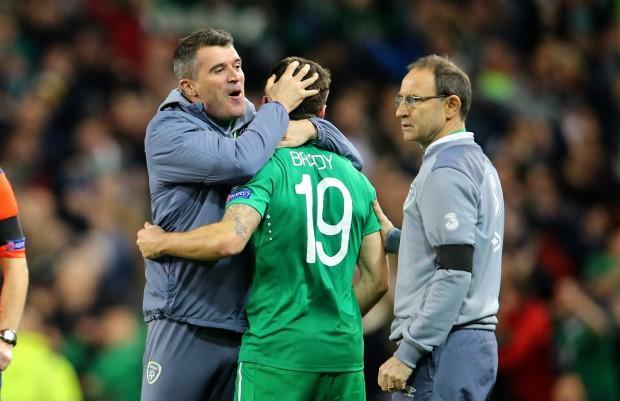 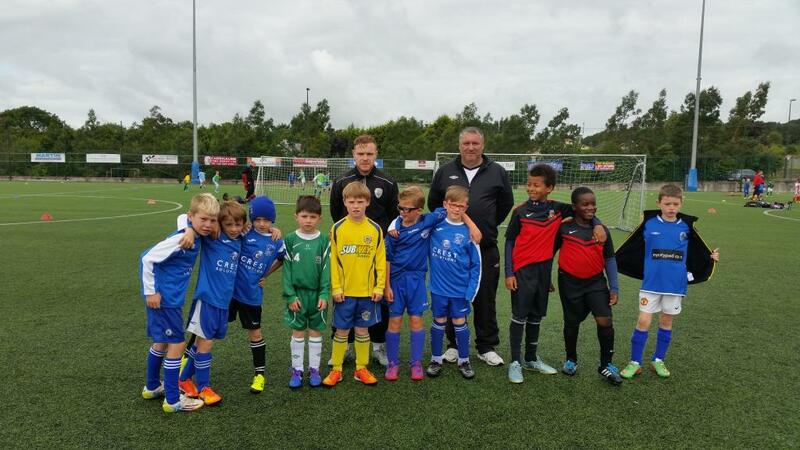 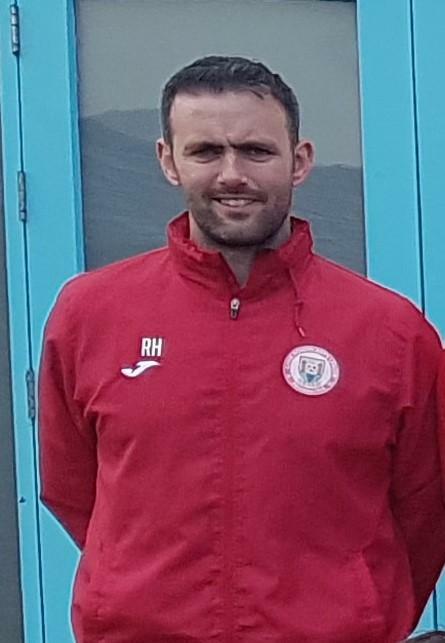 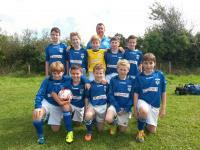 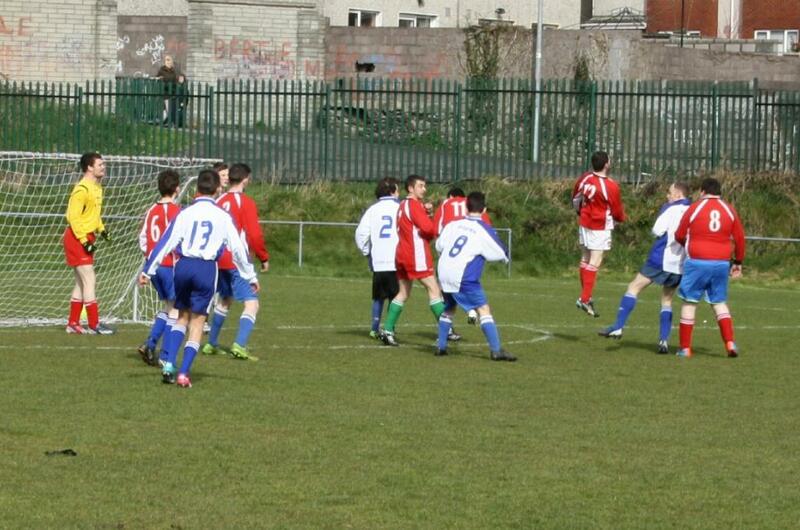 Also pictured is Mark Redmond Corinthian Boys manager. 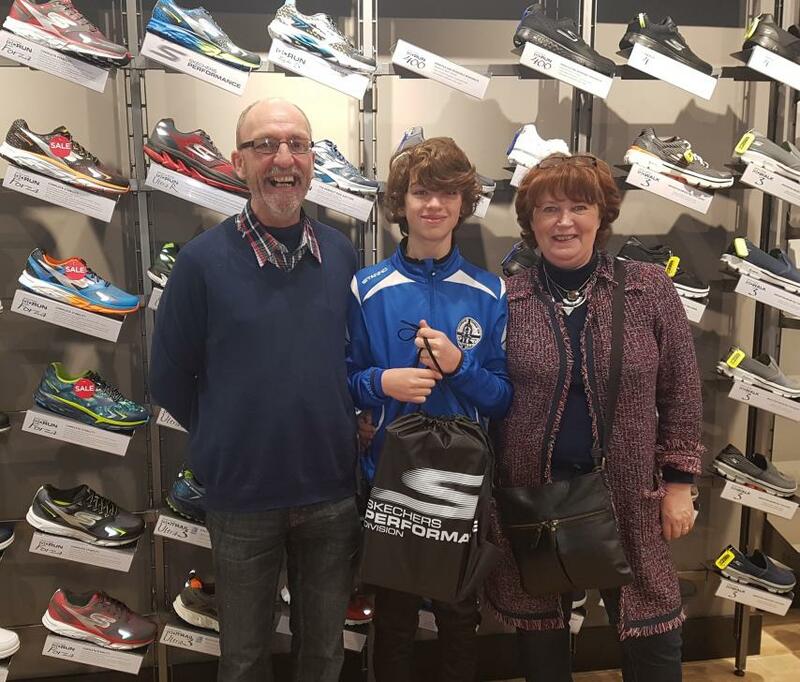 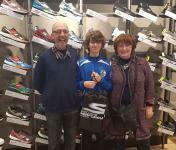 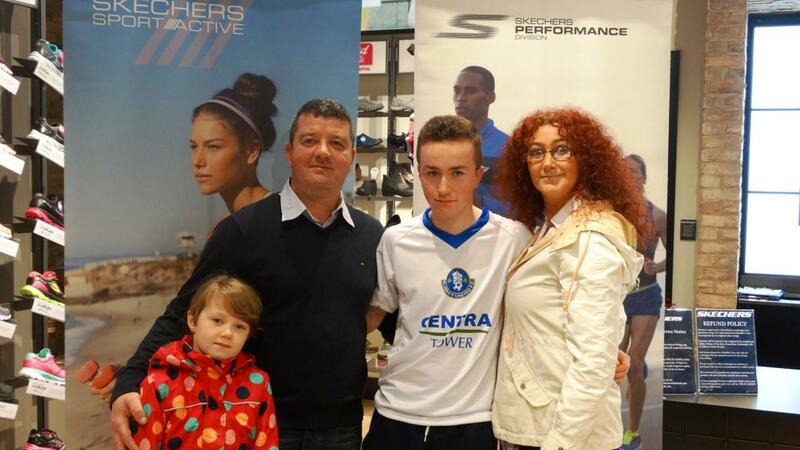 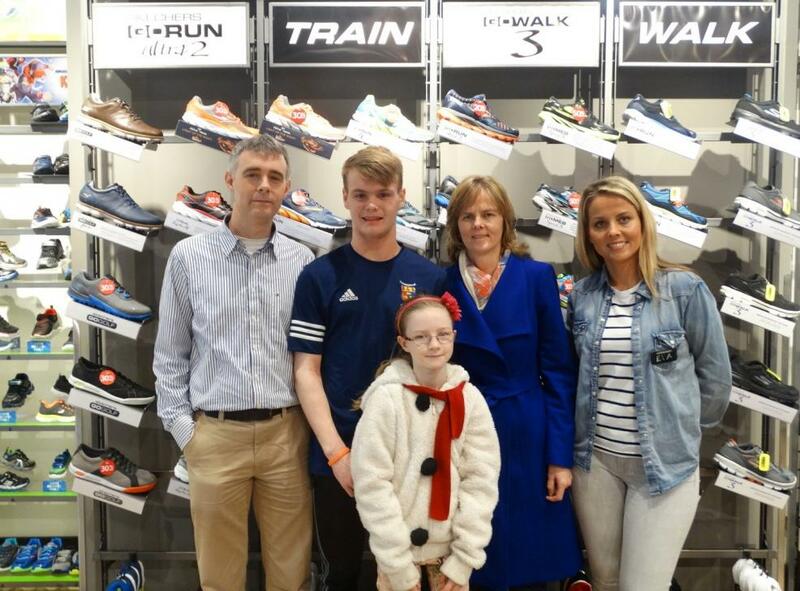 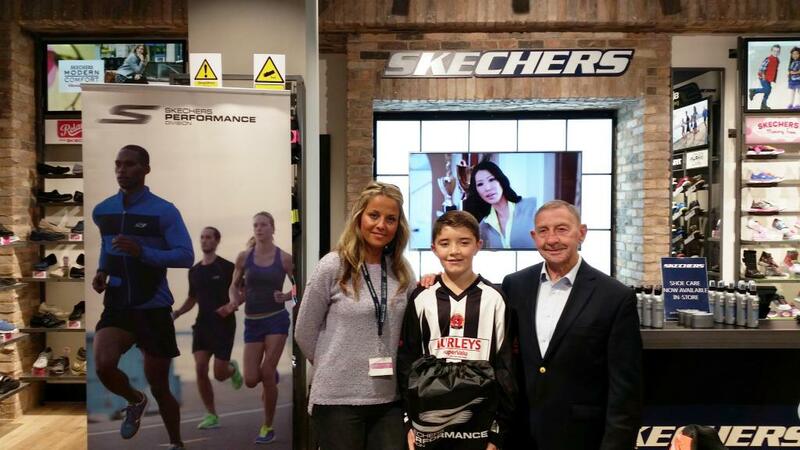 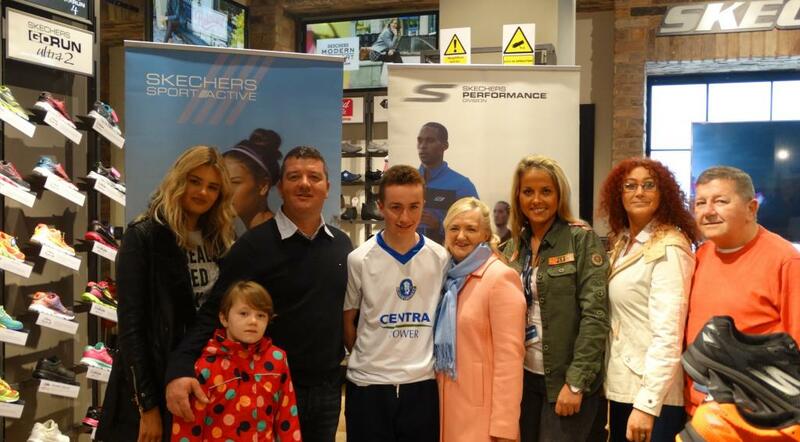 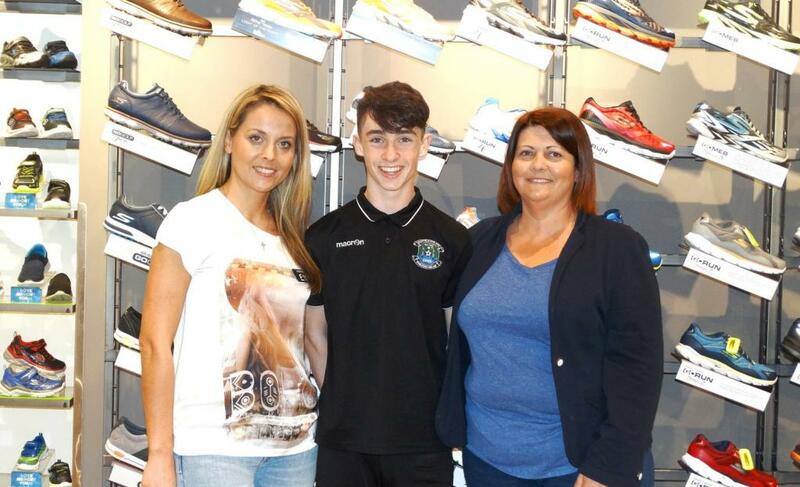 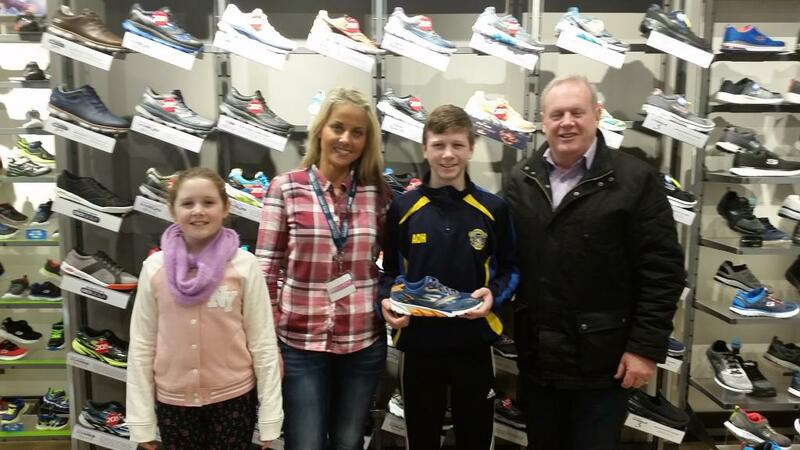 Robert pictured with his family and Skechers staff member Ewa in the Skechers store in Opera Lane. 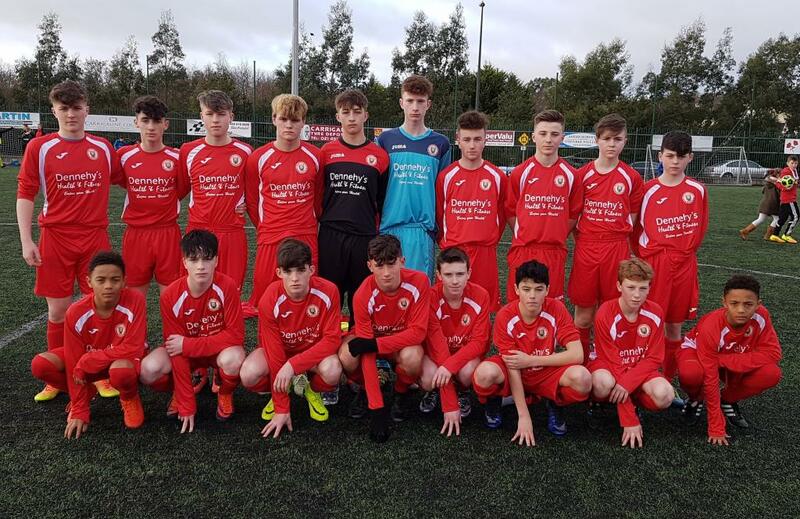 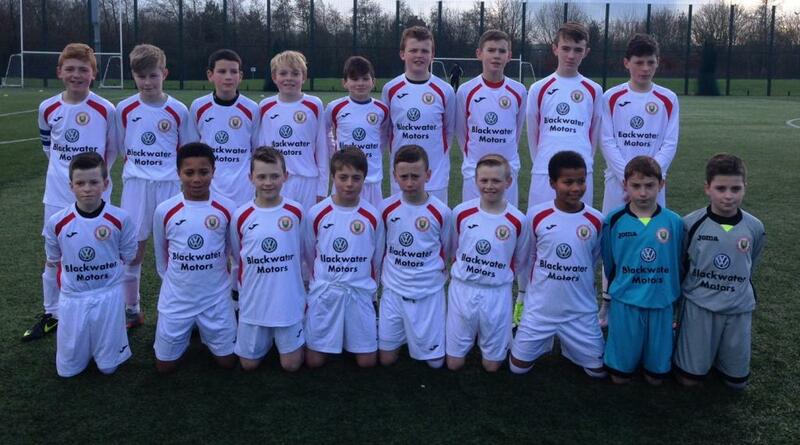 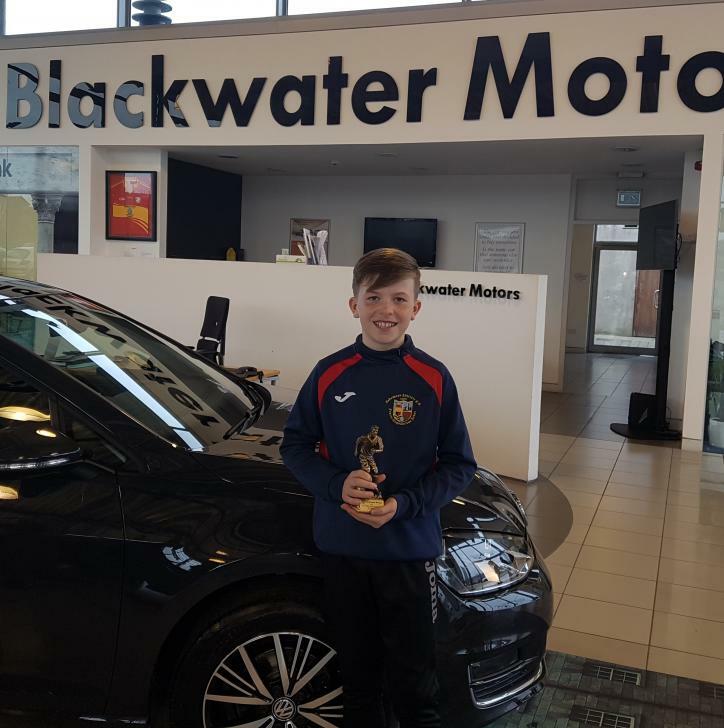 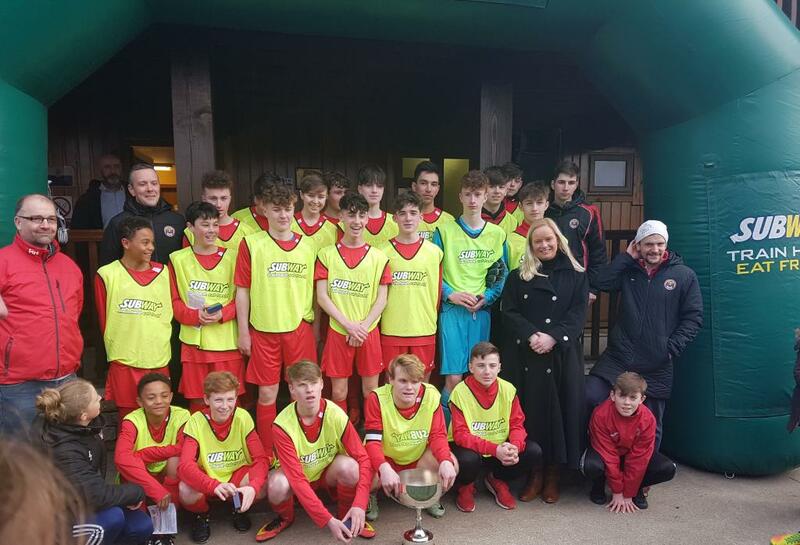 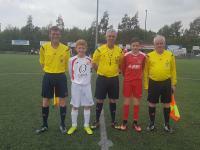 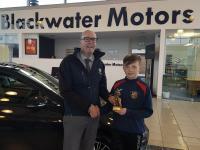 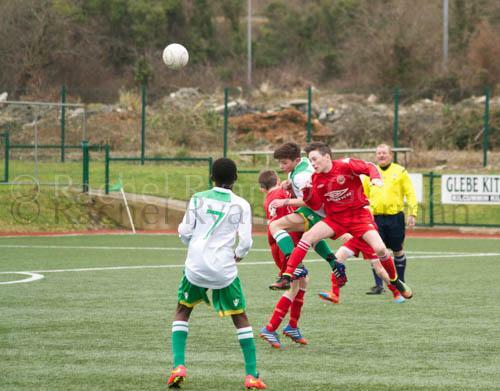 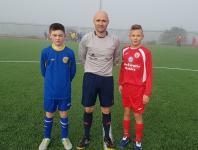 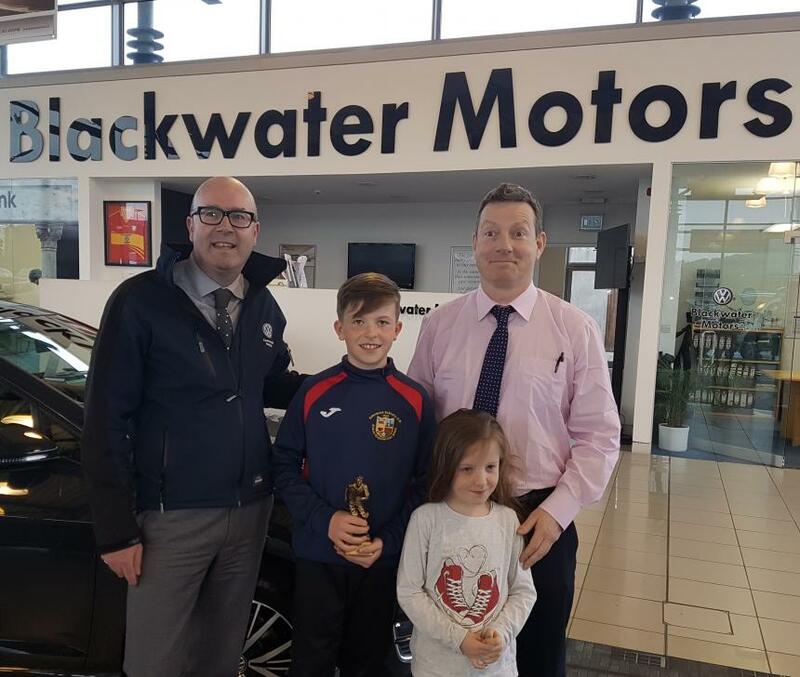 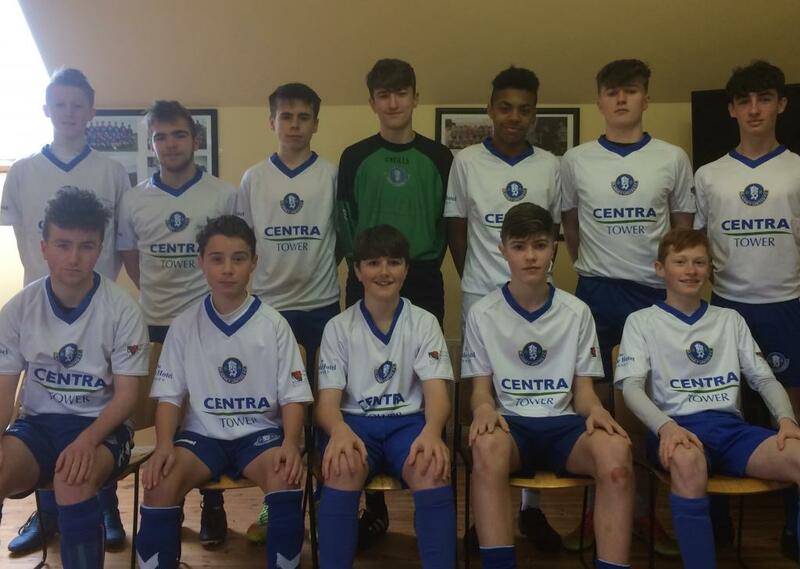 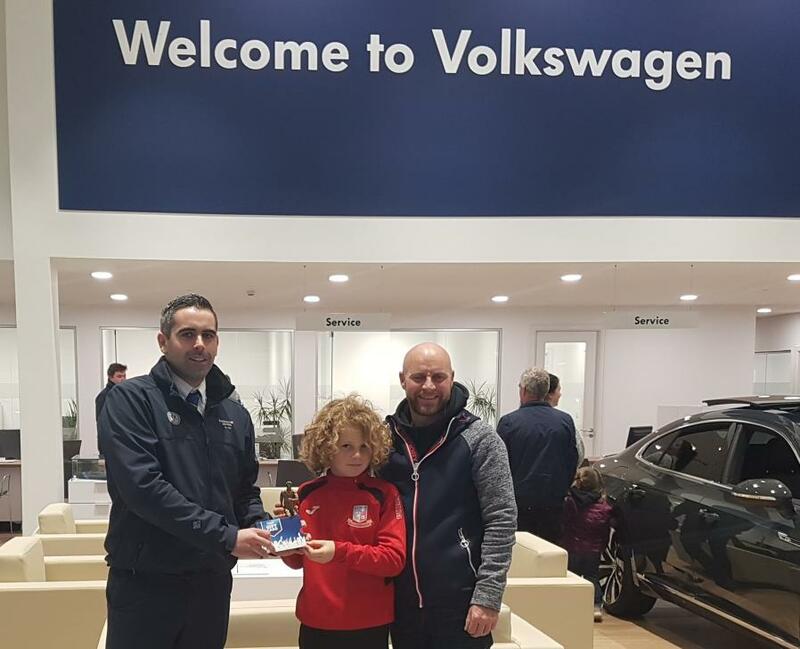 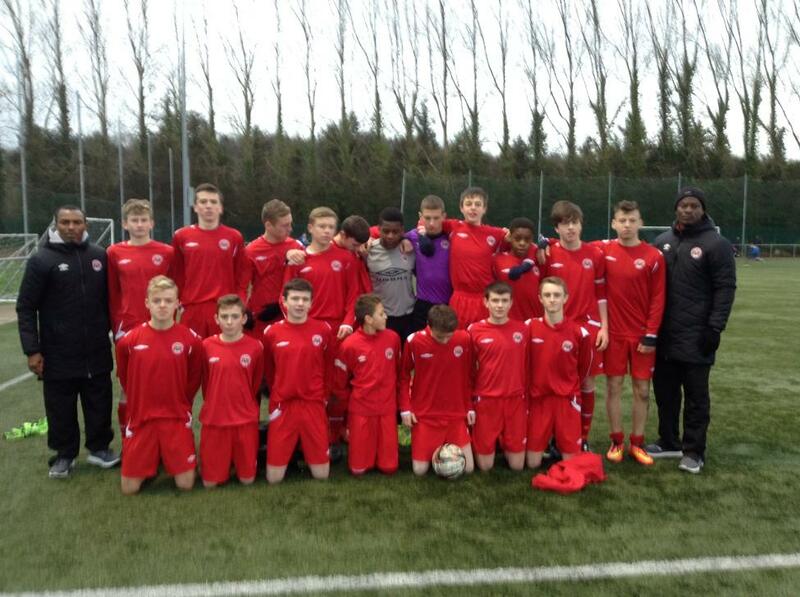 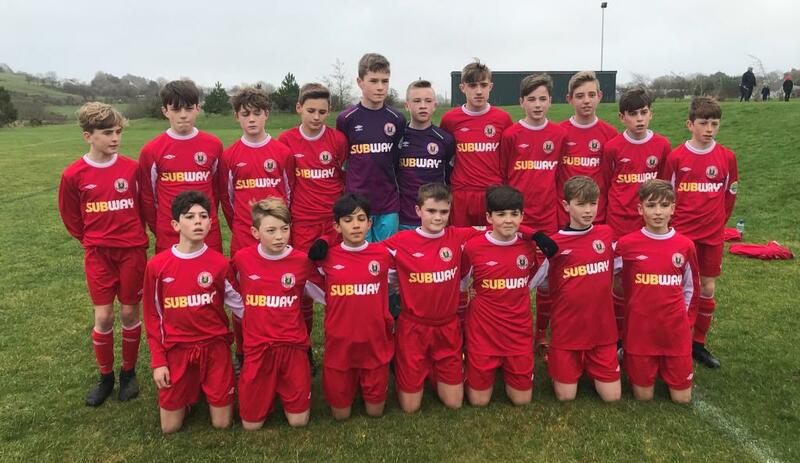 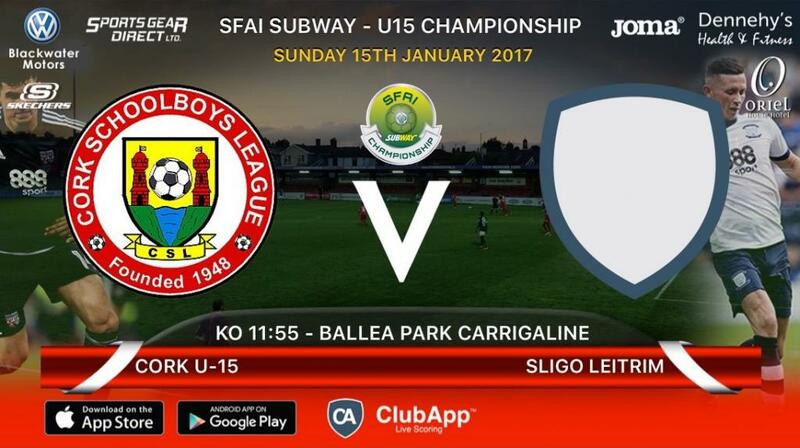 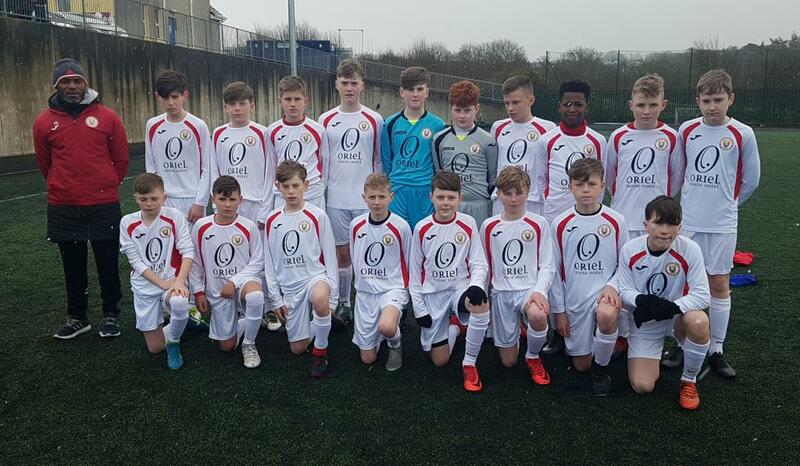 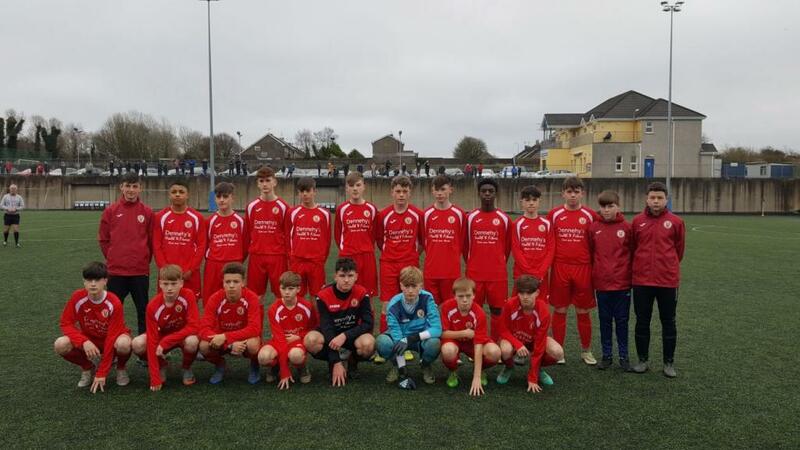 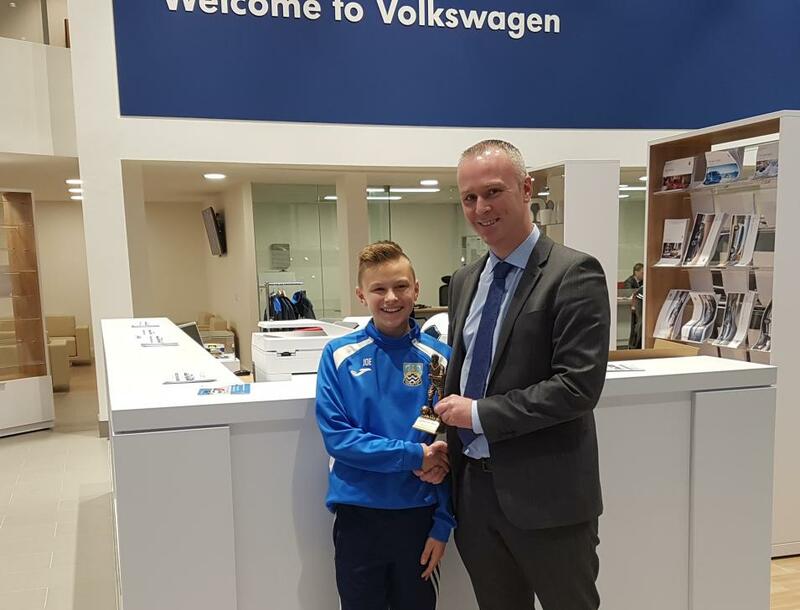 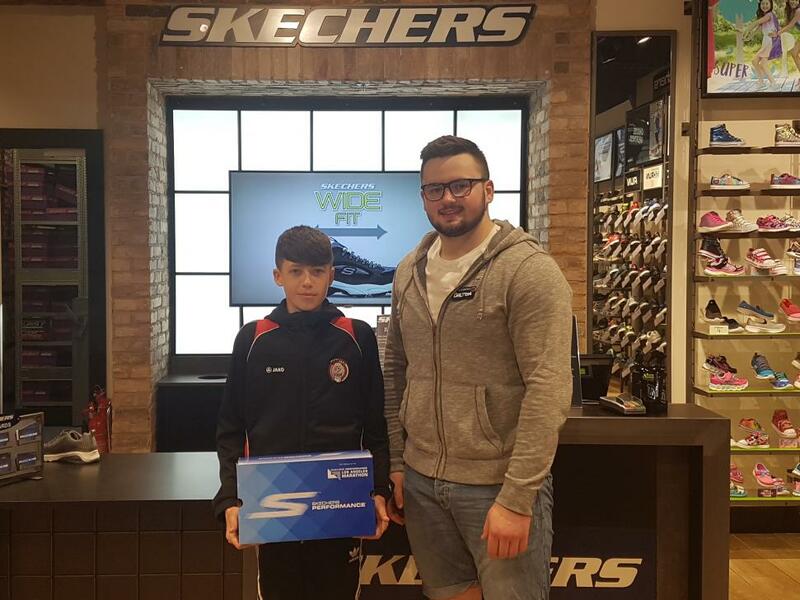 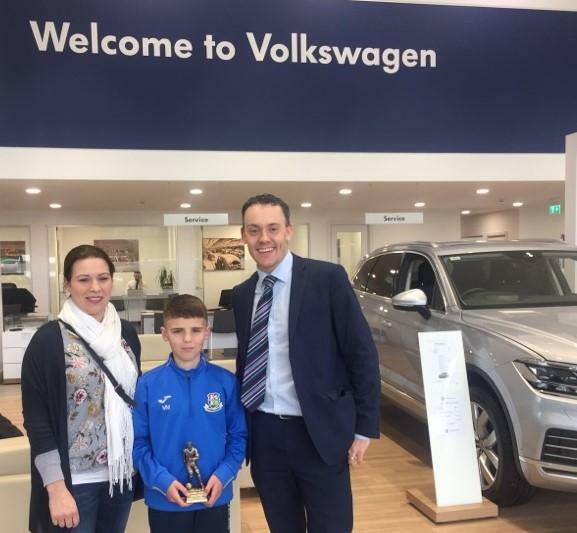 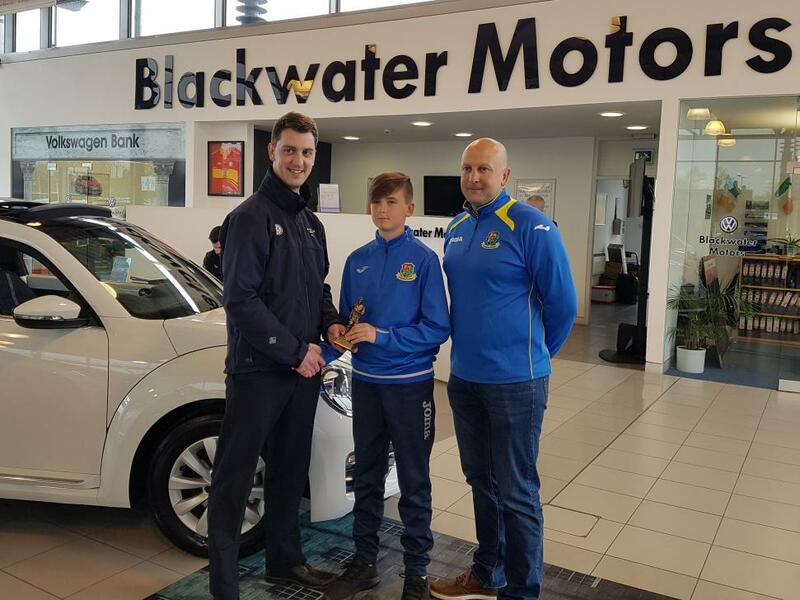 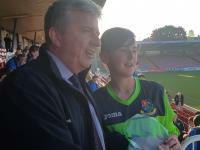 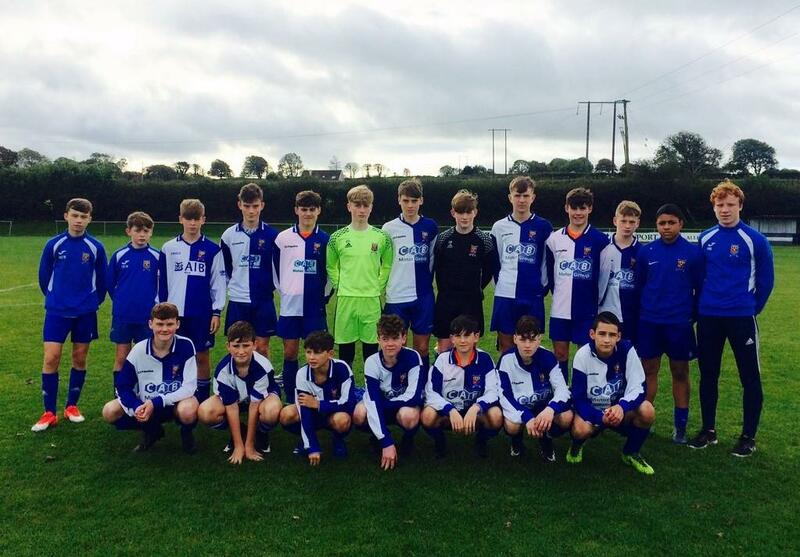 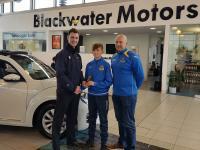 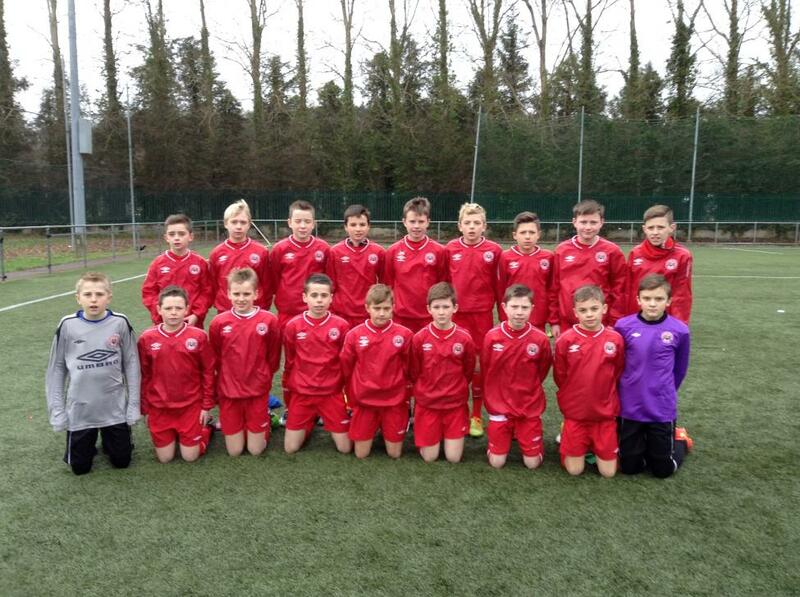 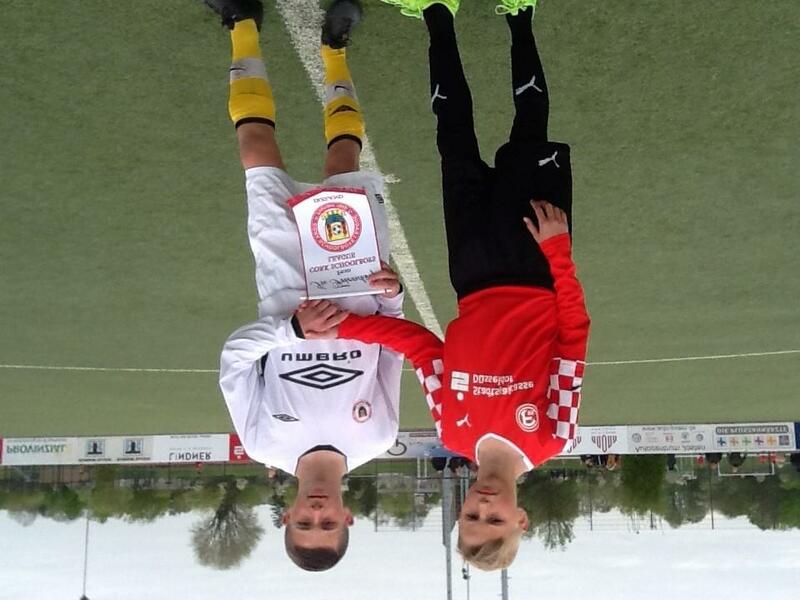 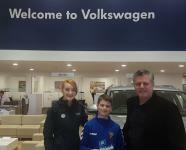 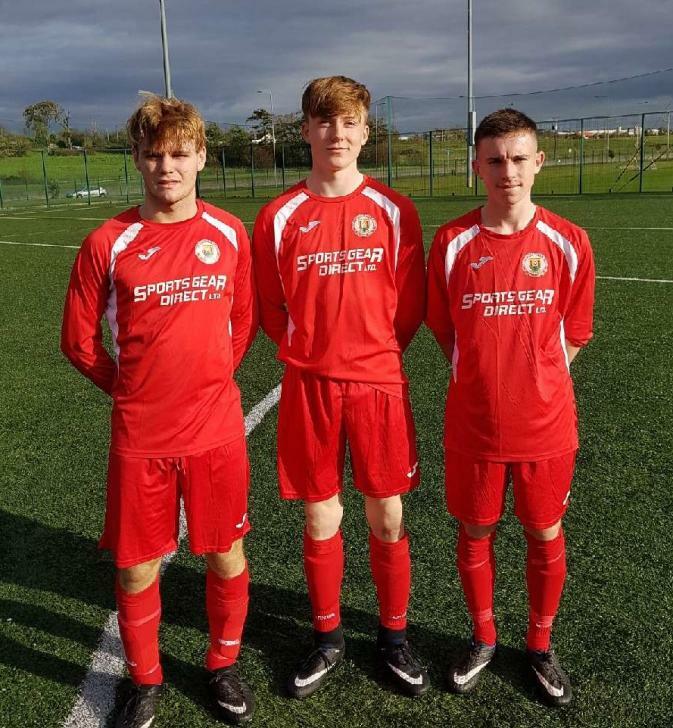 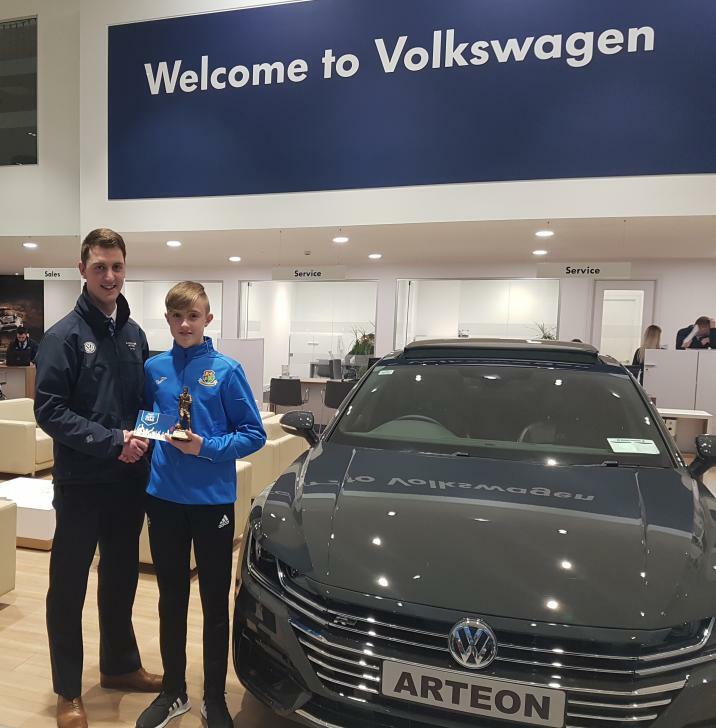 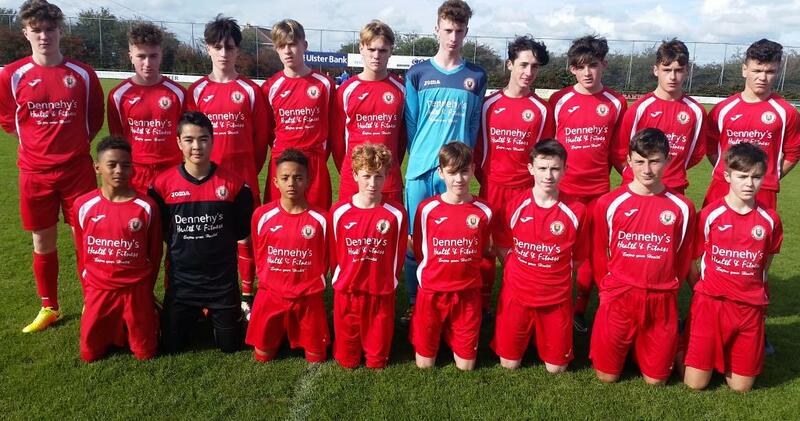 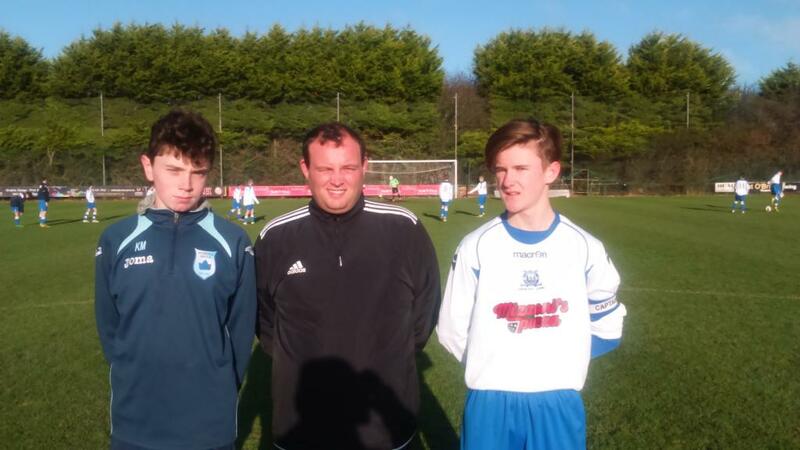 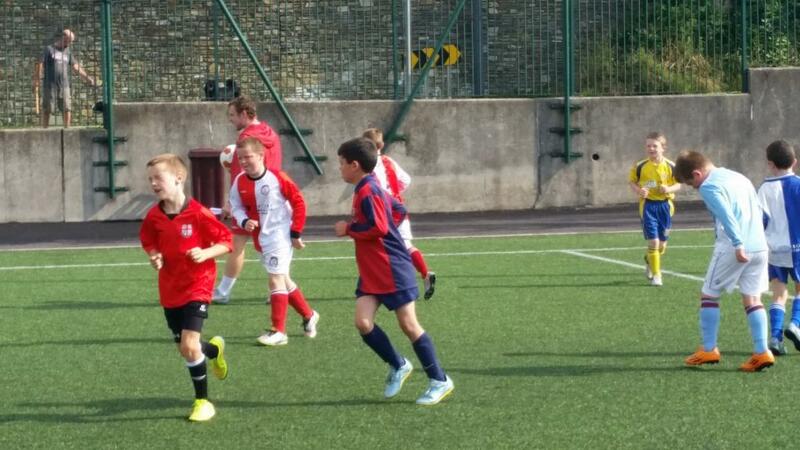 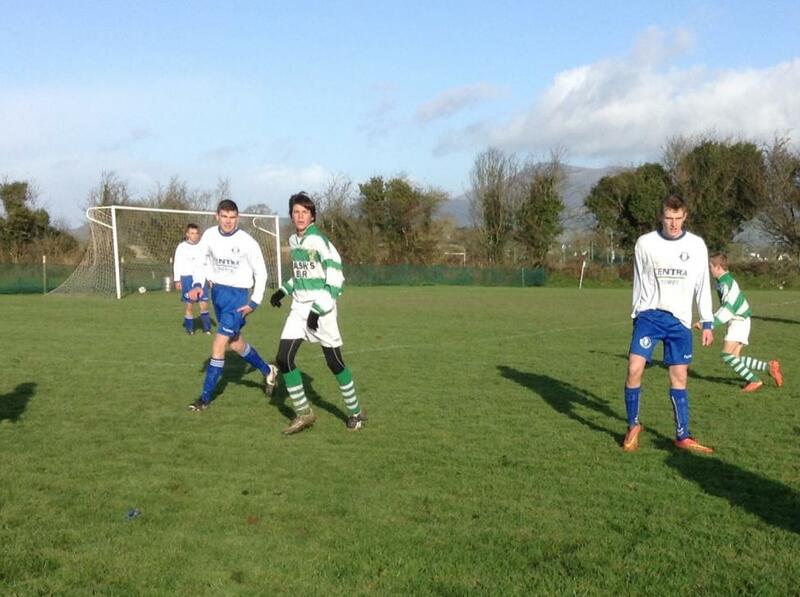 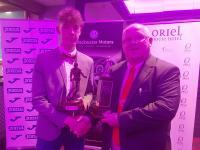 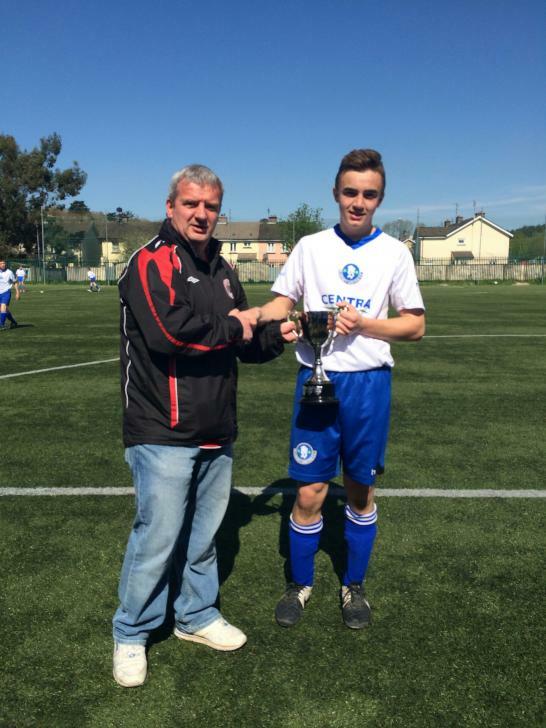 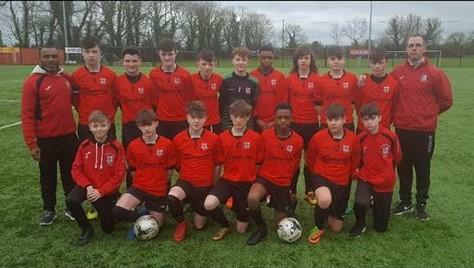 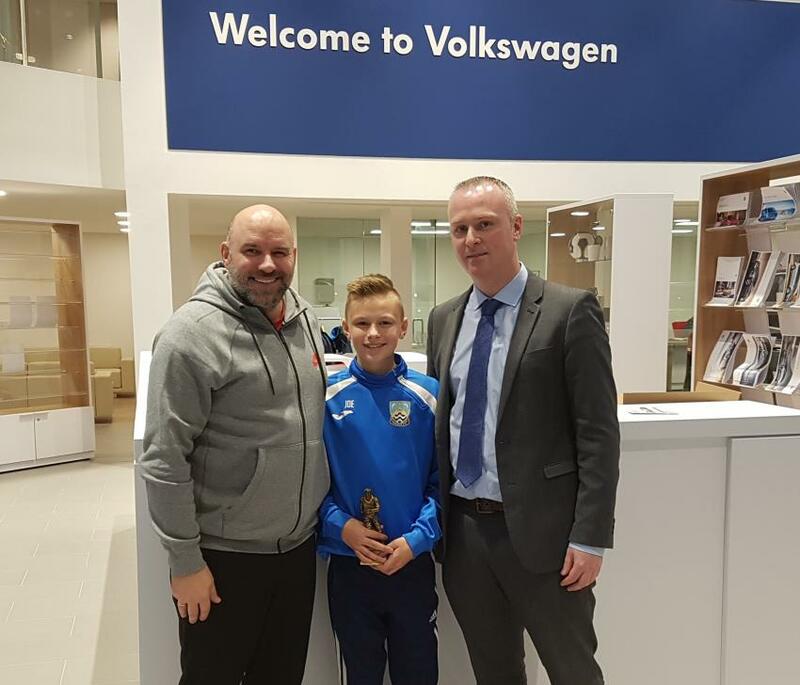 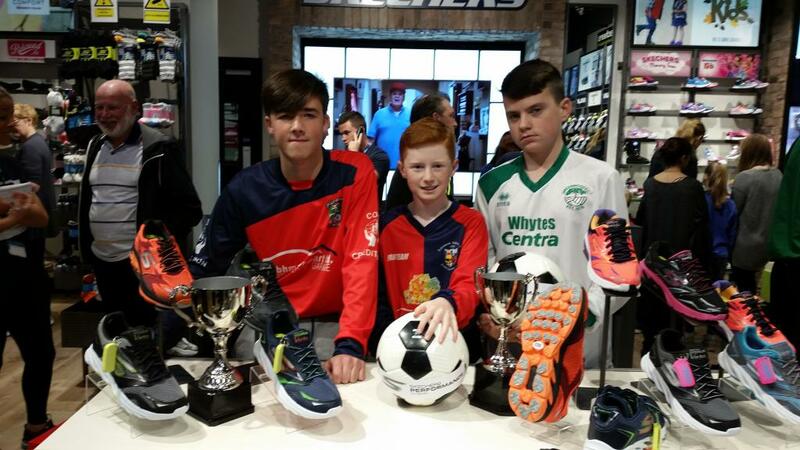 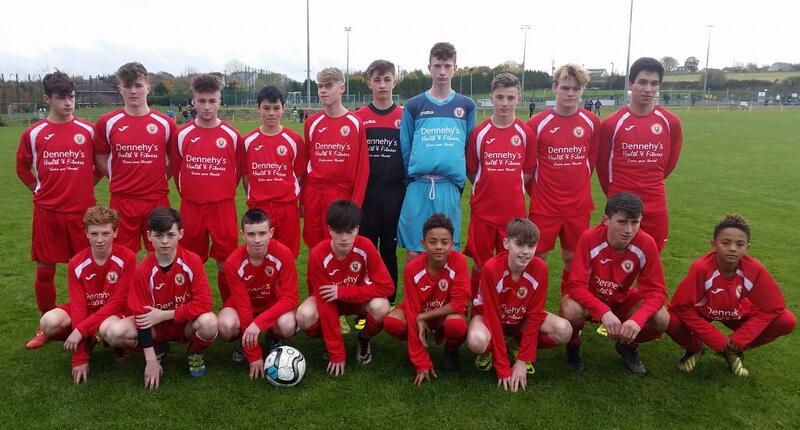 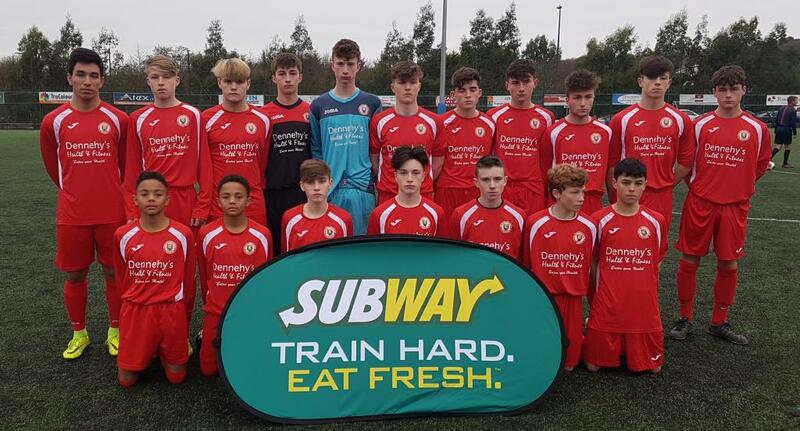 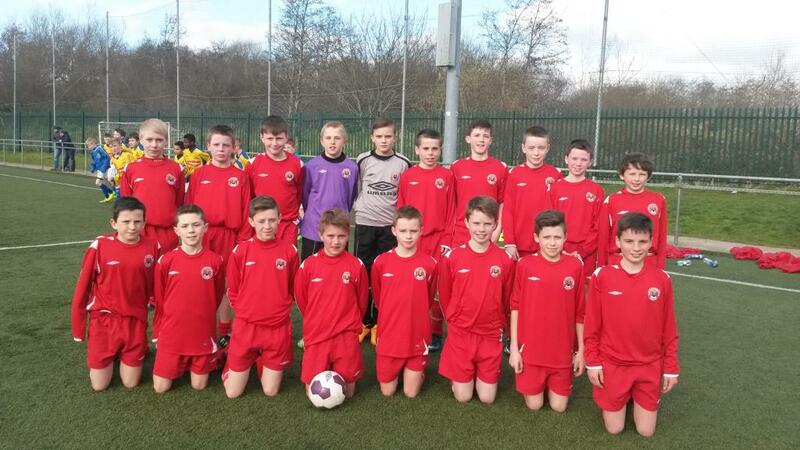 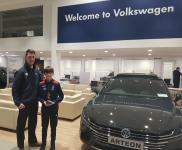 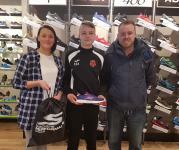 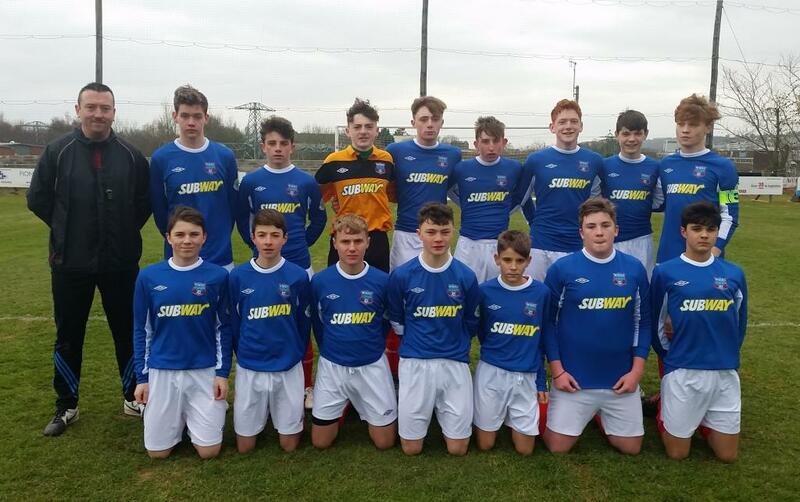 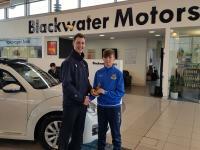 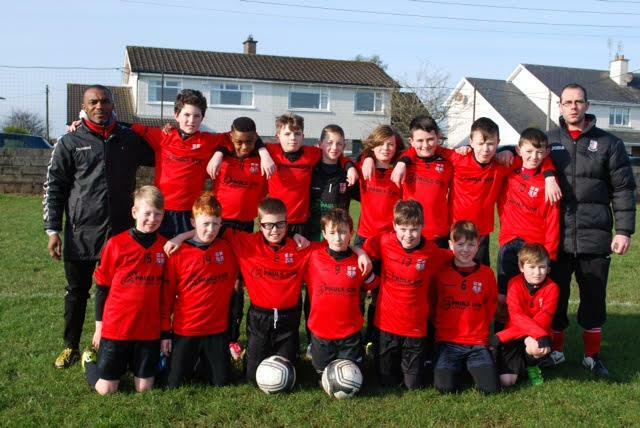 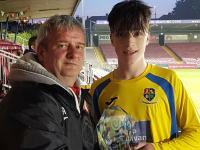 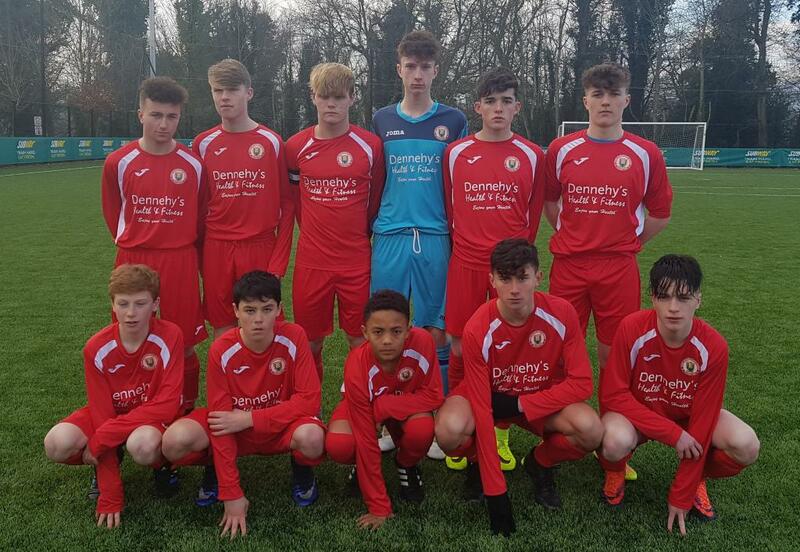 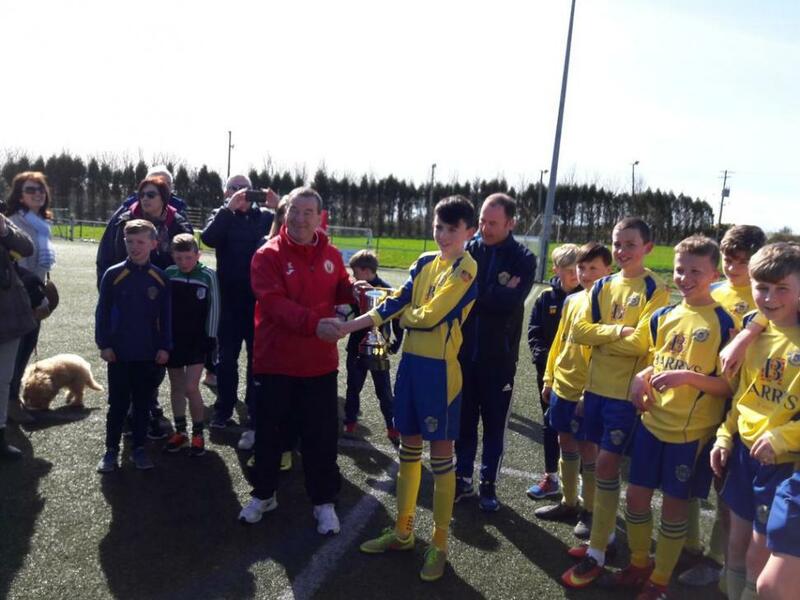 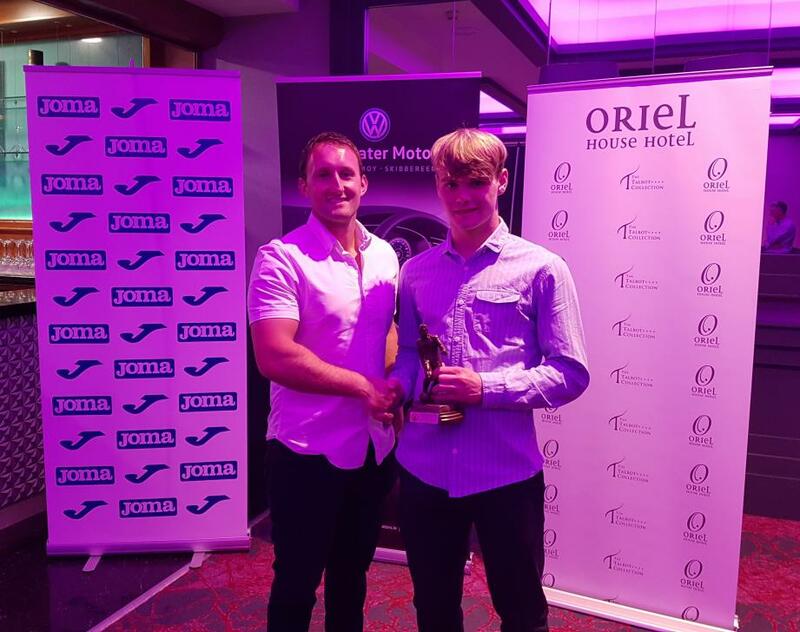 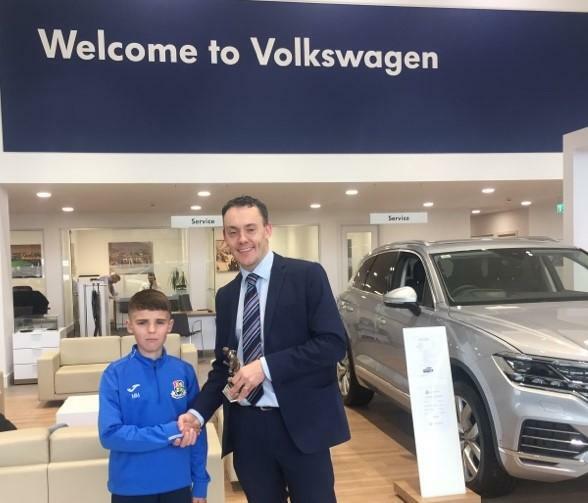 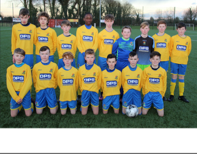 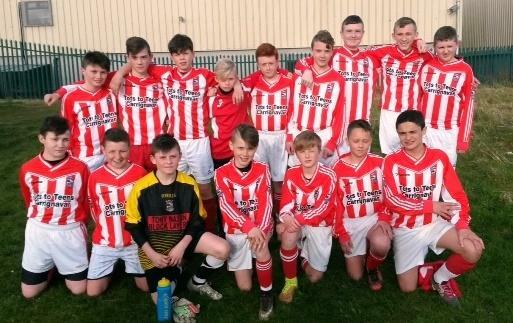 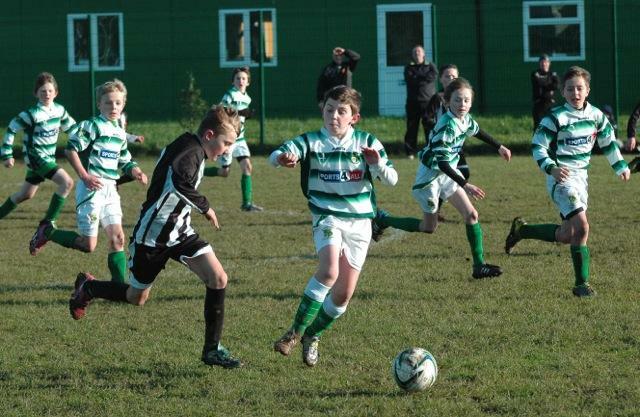 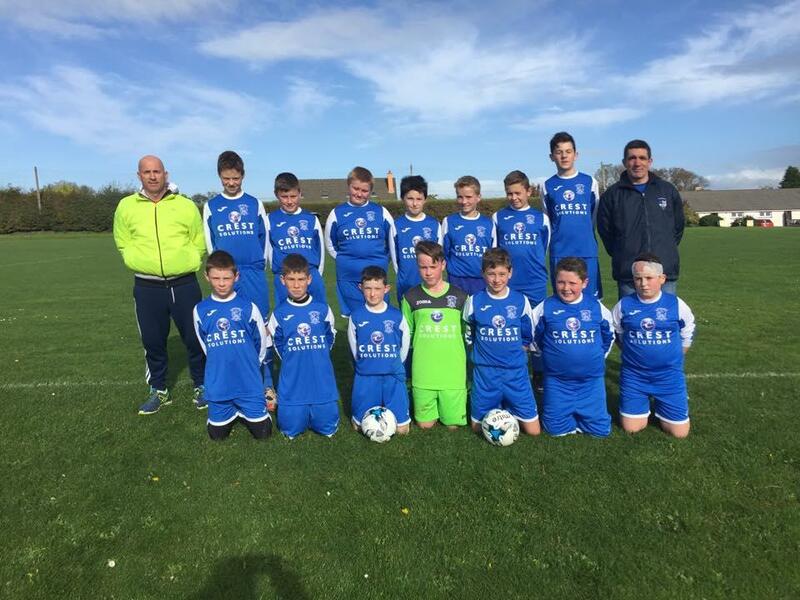 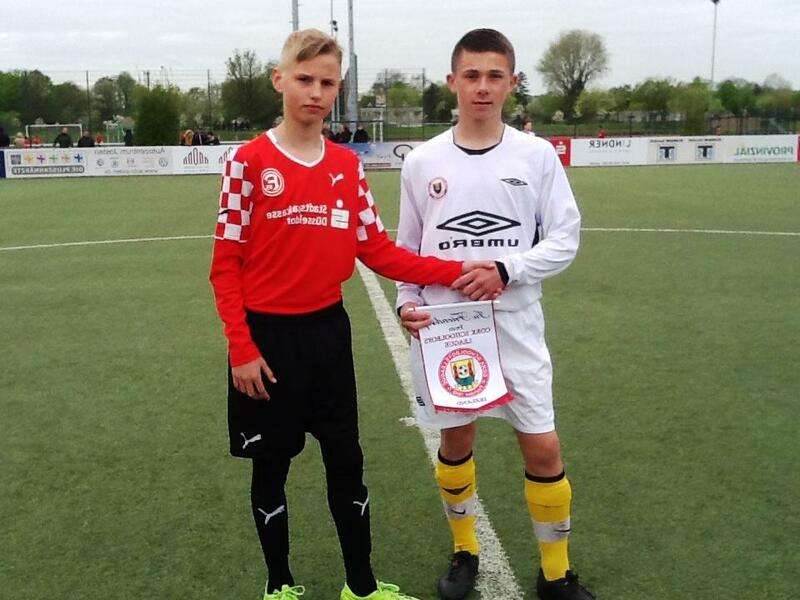 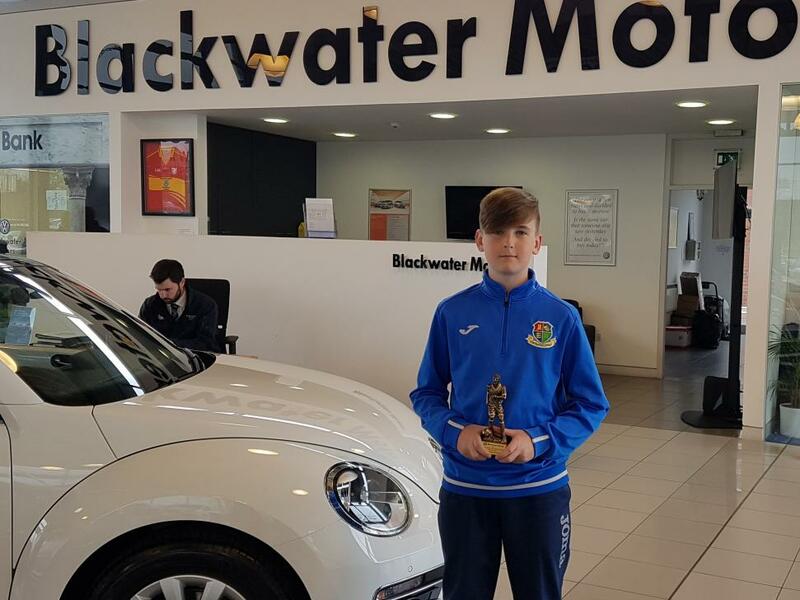 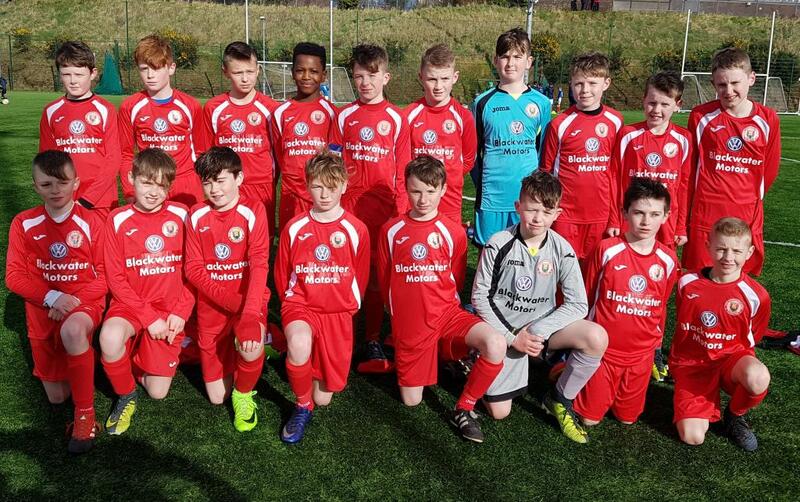 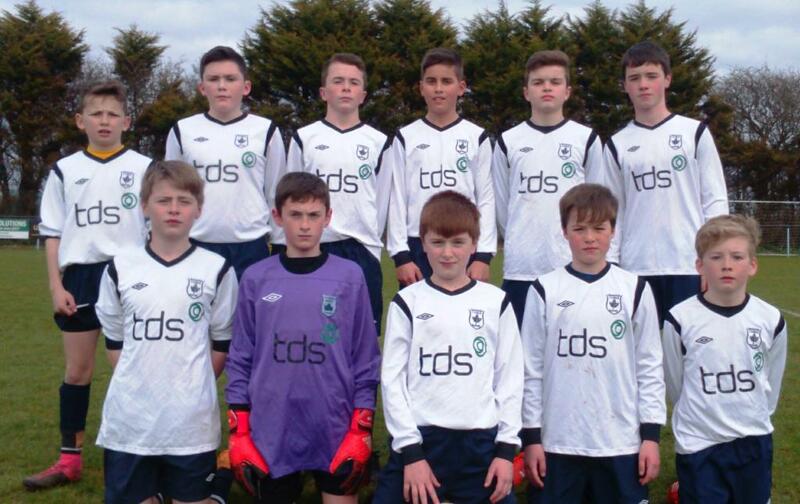 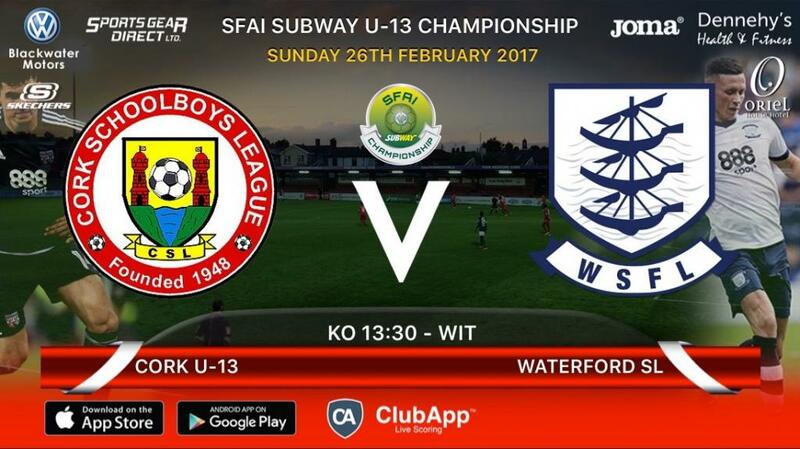 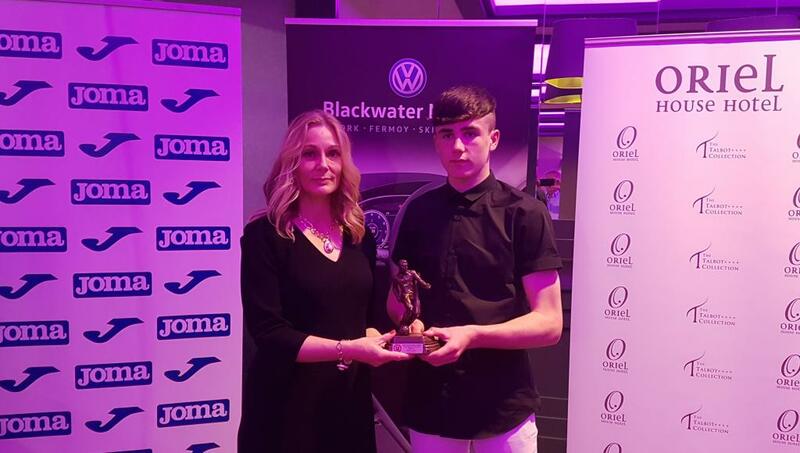 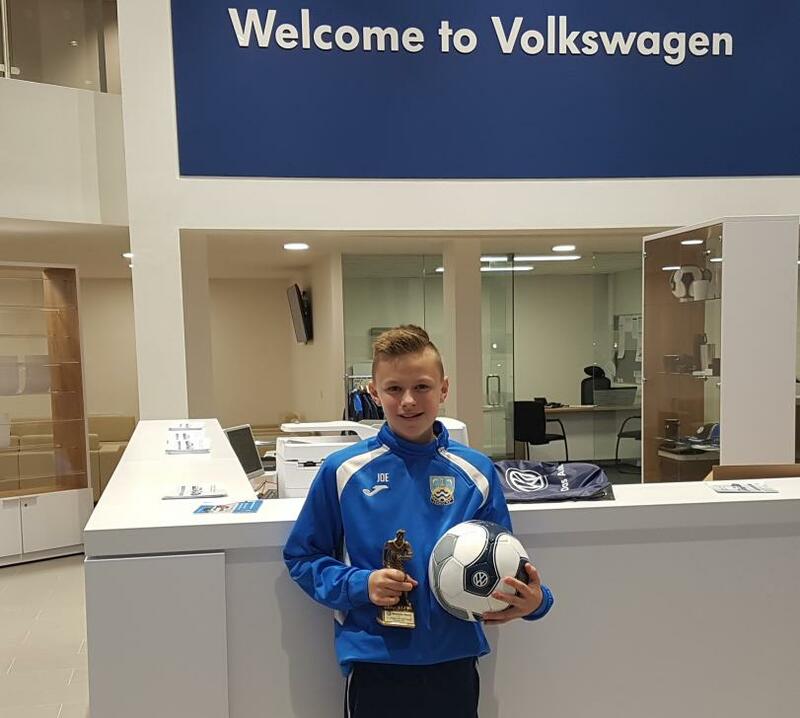 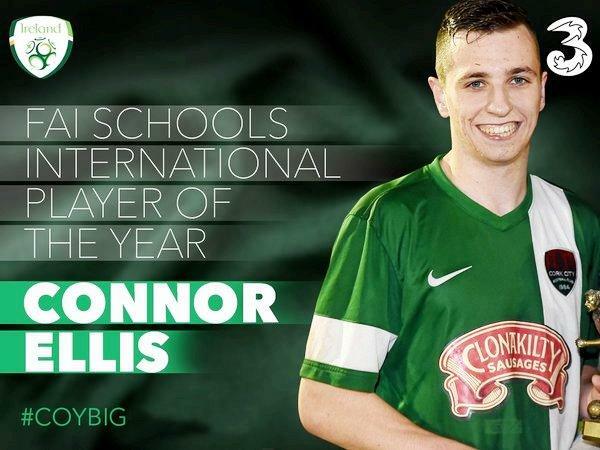 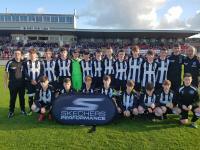 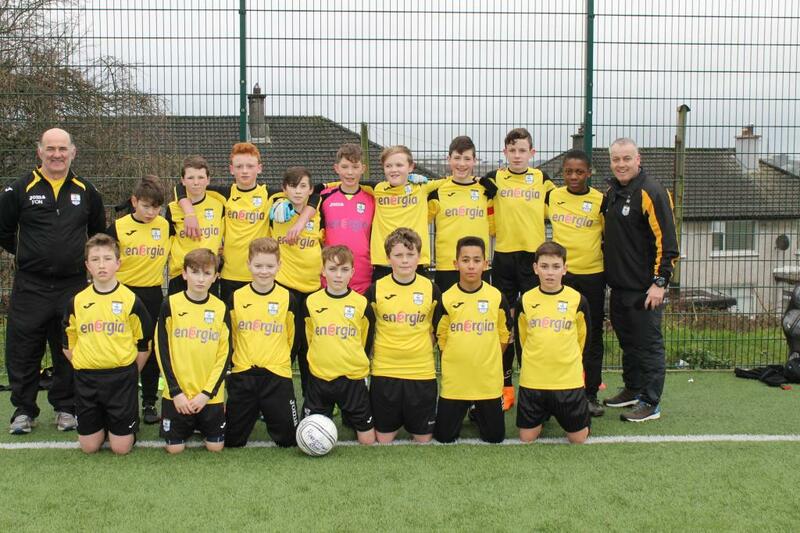 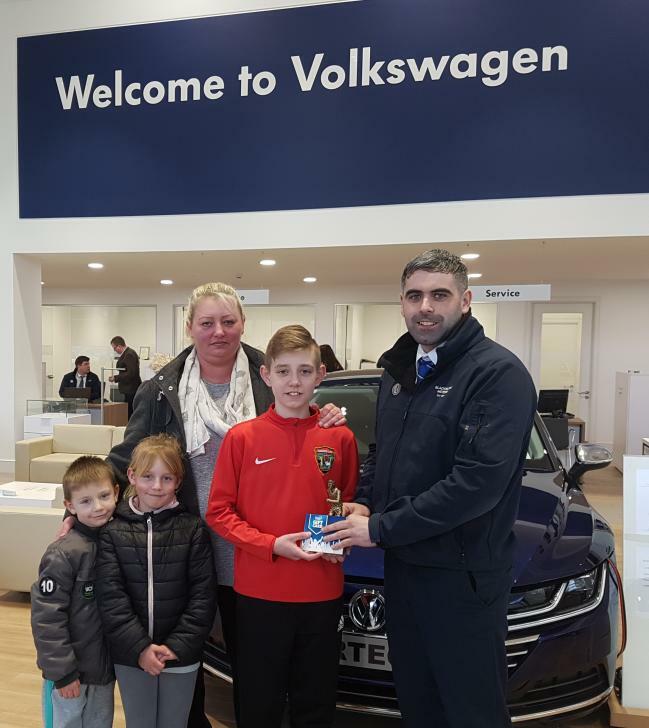 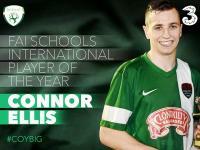 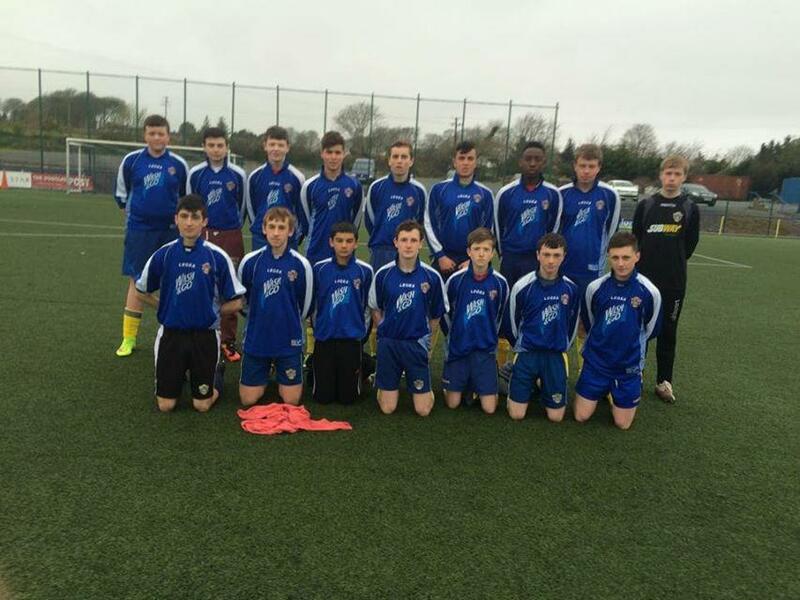 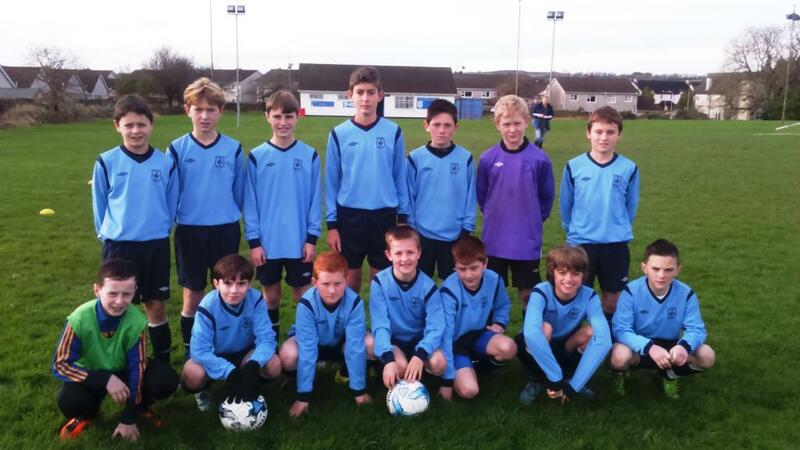 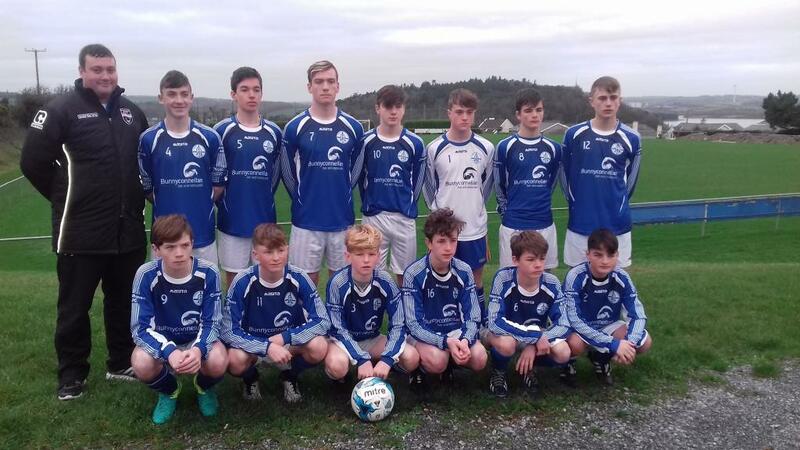 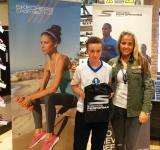 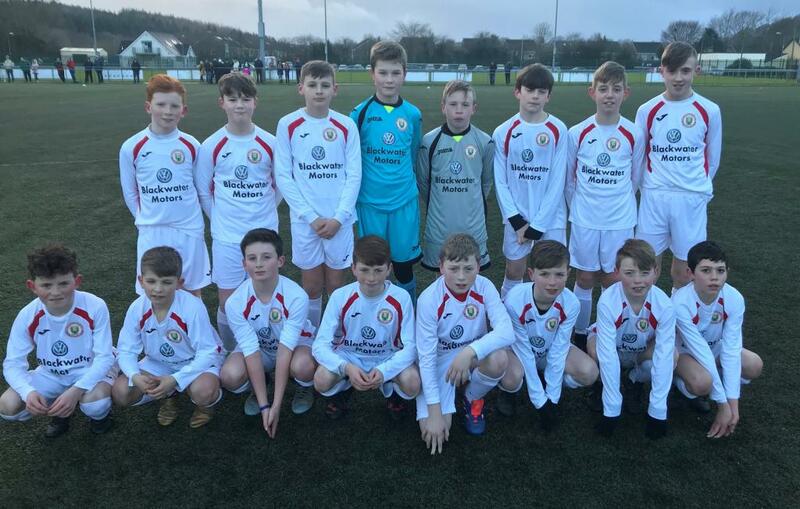 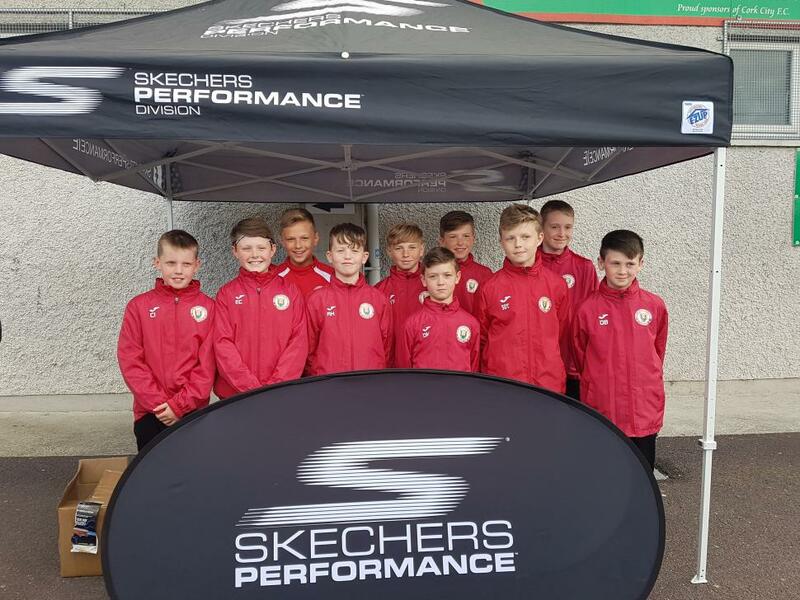 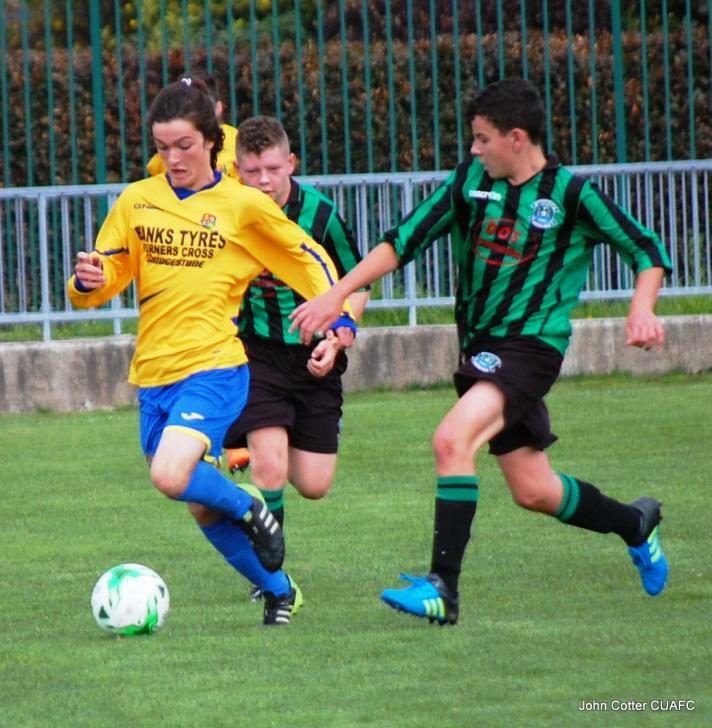 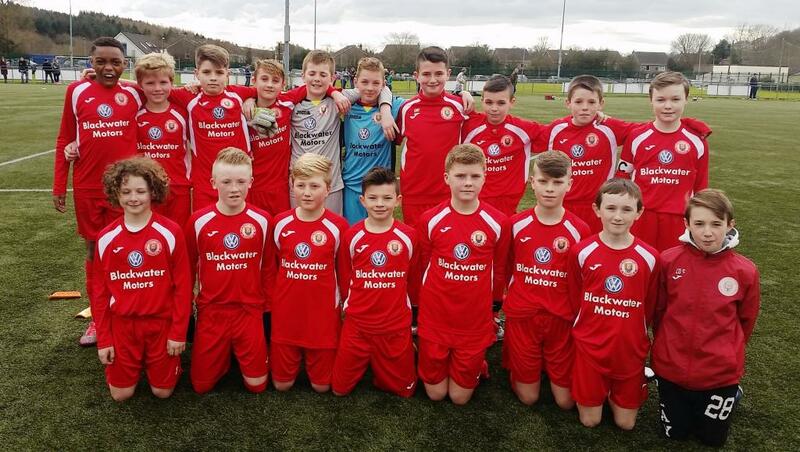 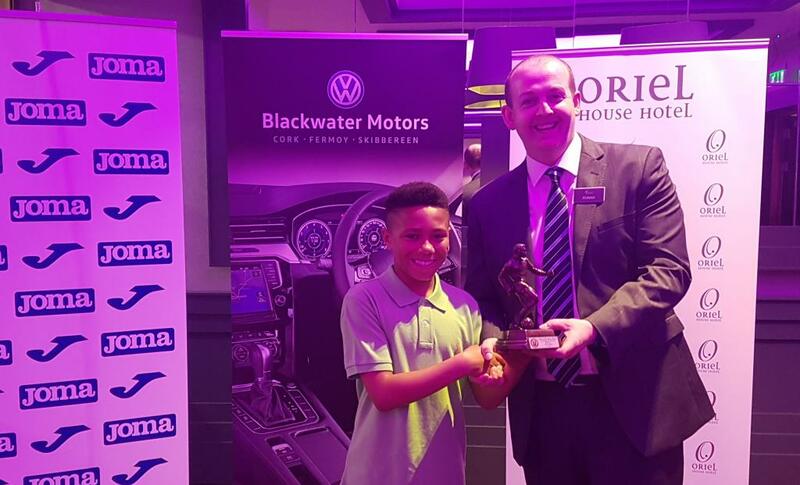 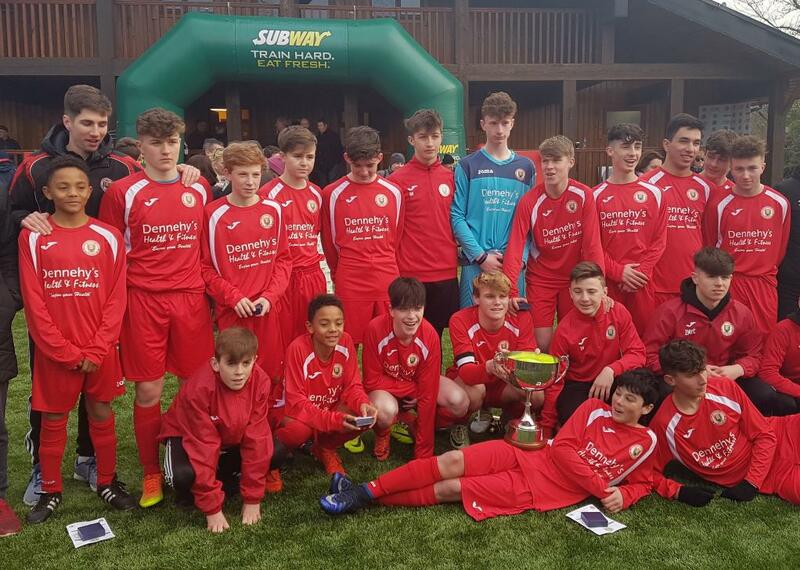 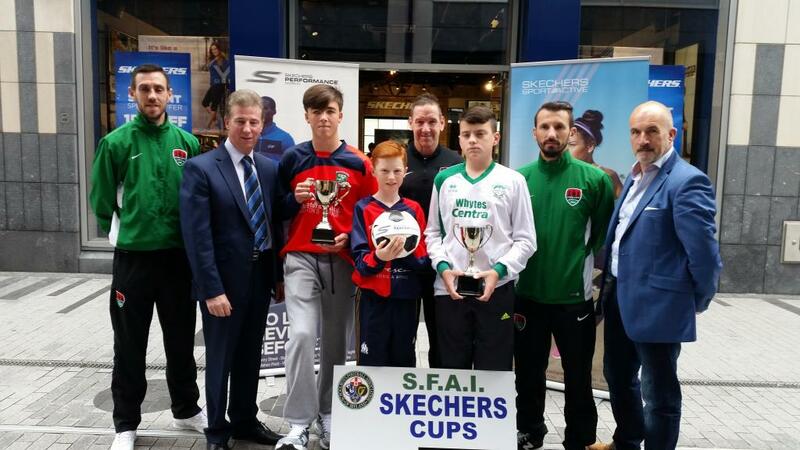 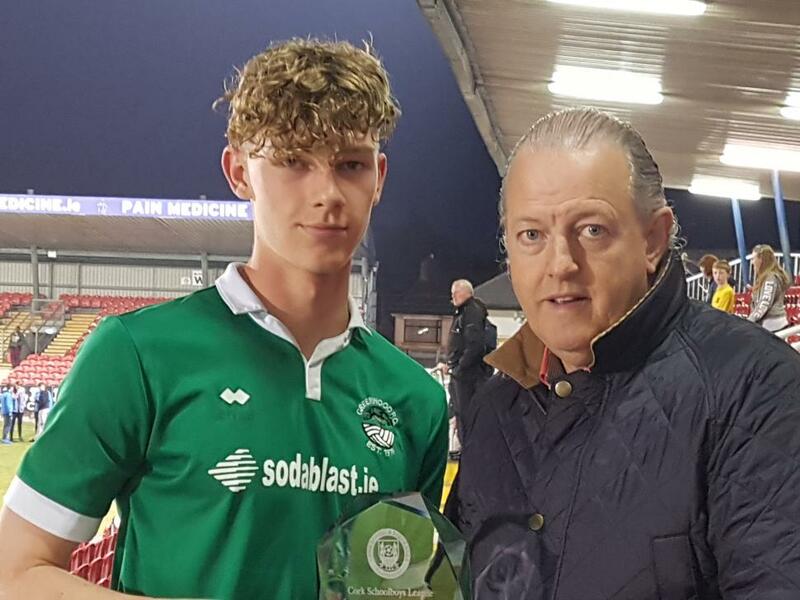 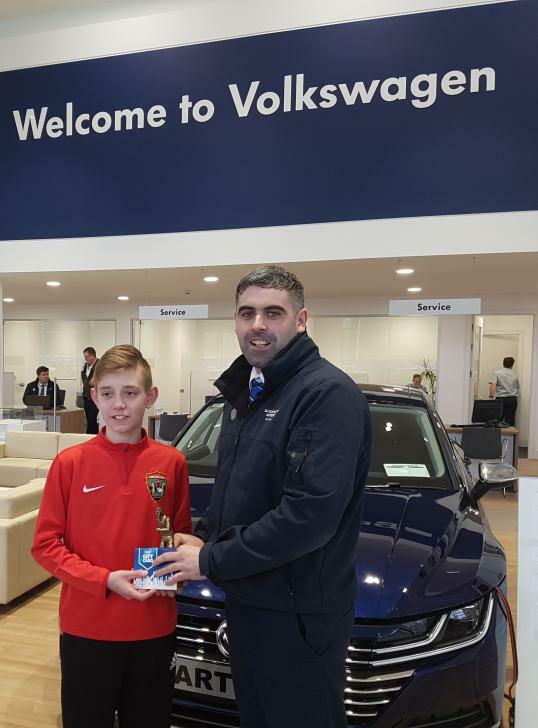 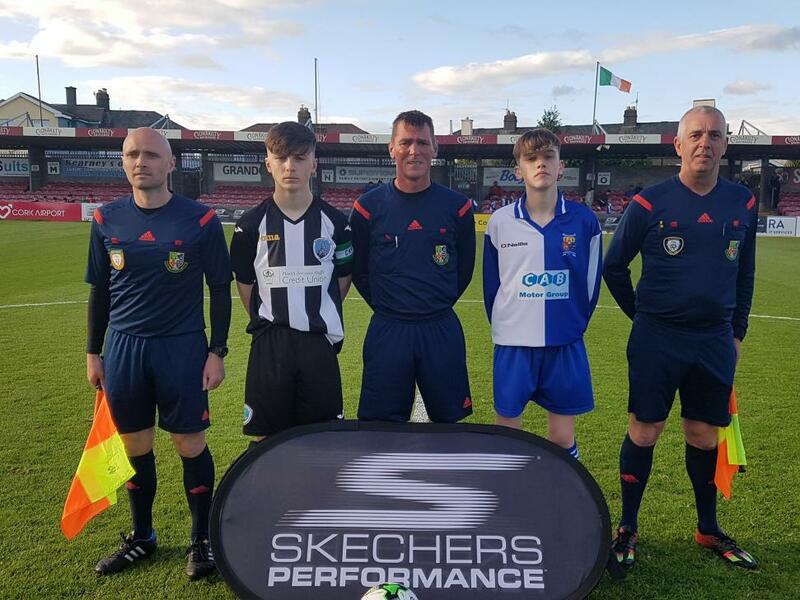 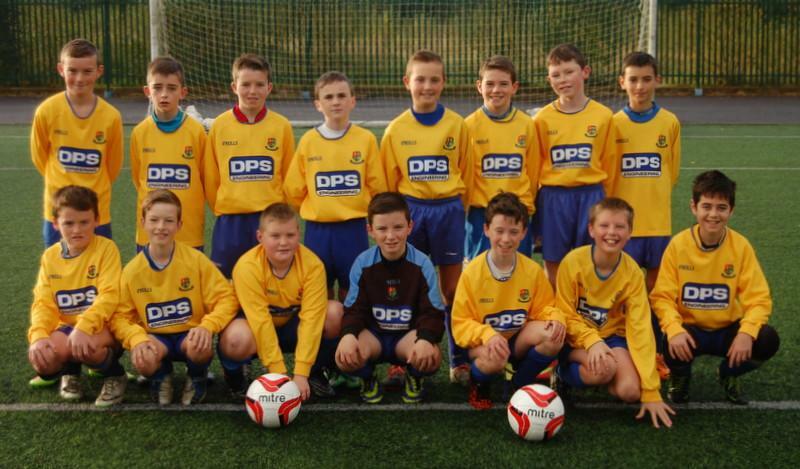 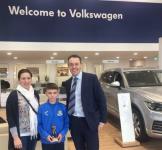 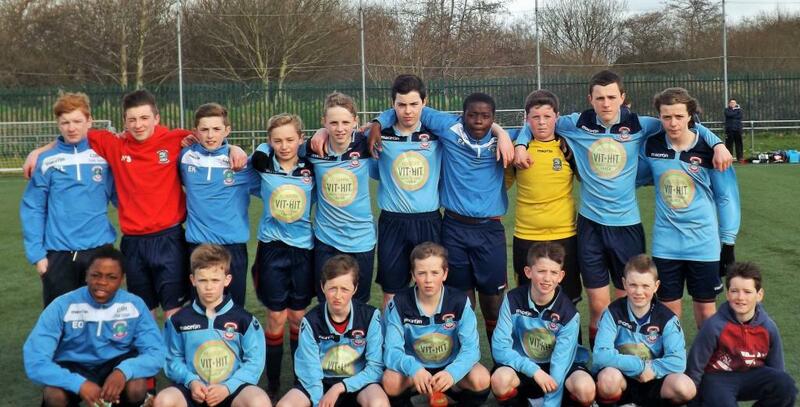 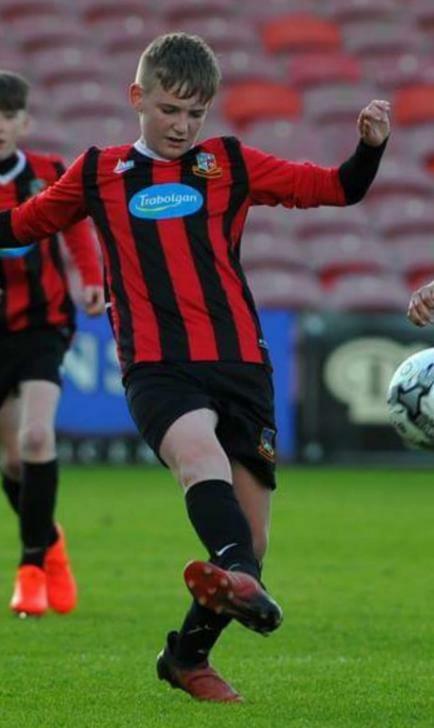 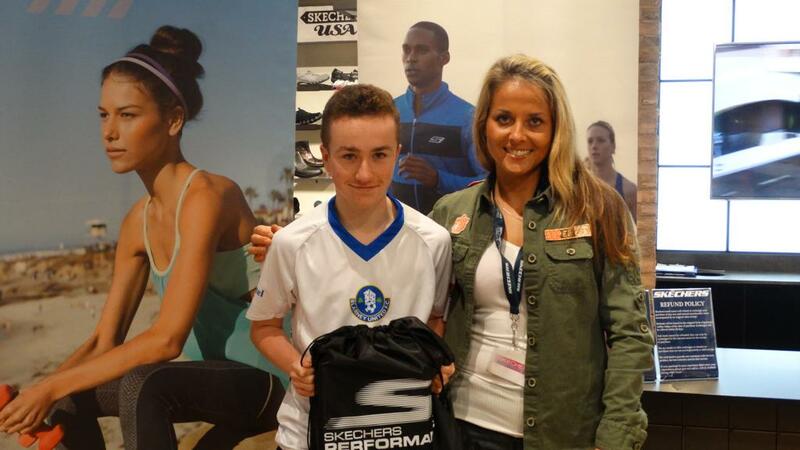 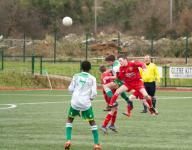 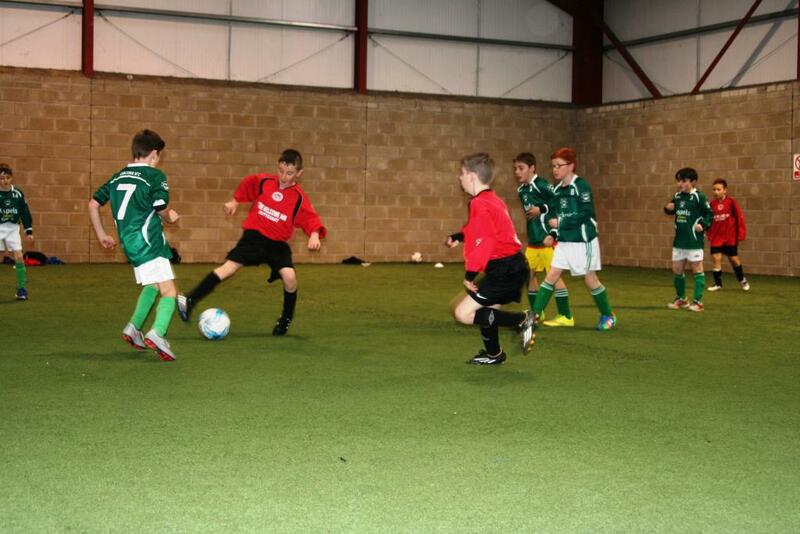 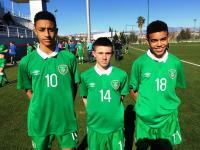 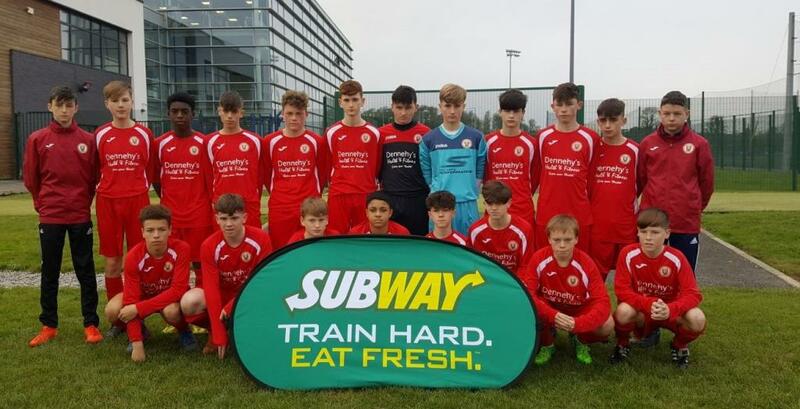 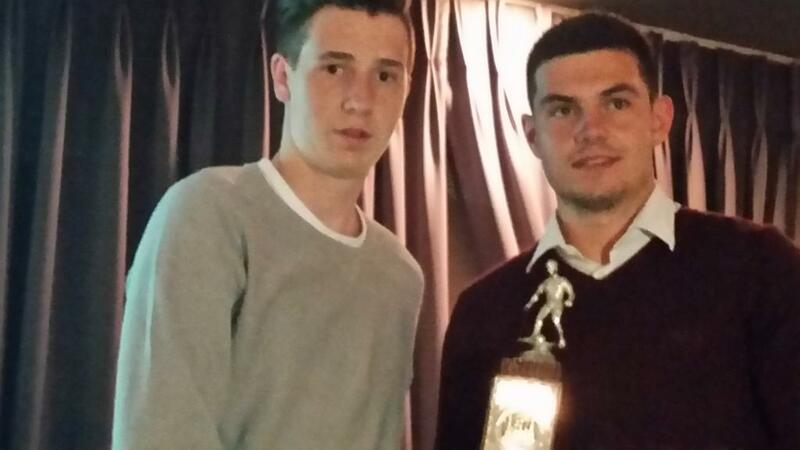 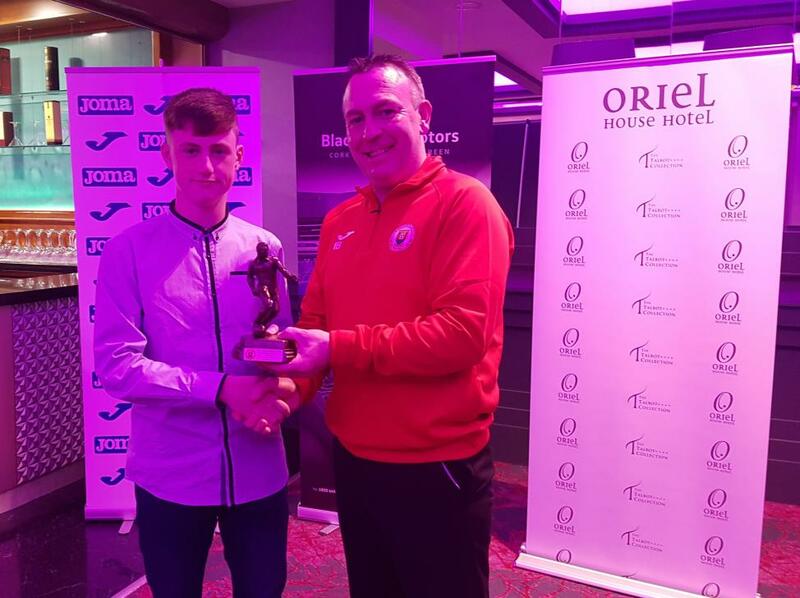 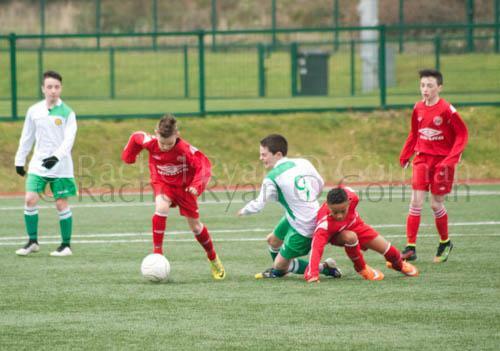 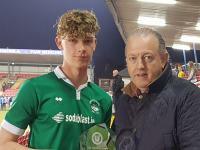 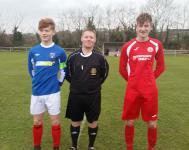 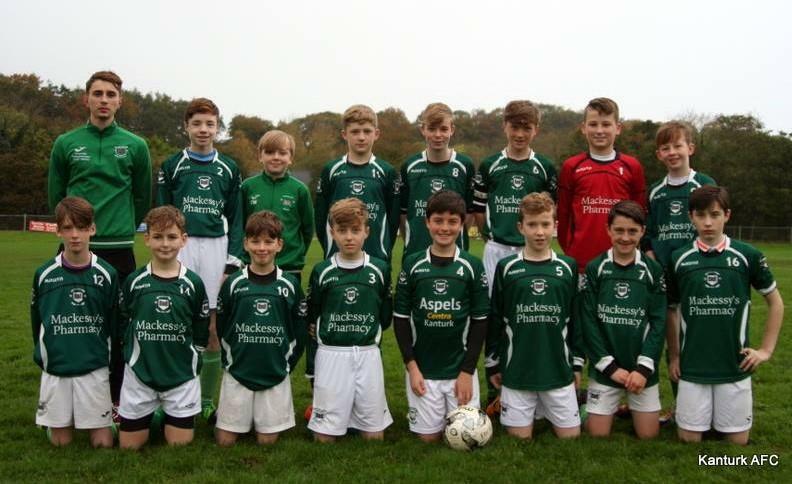 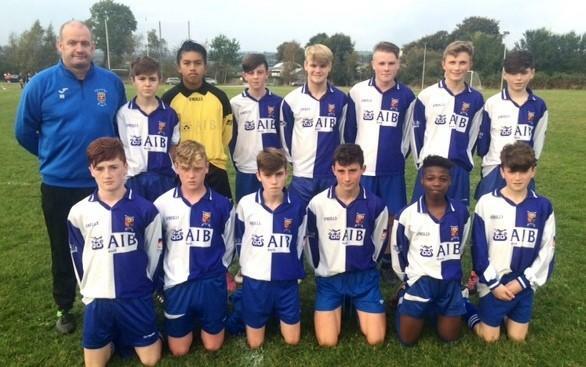 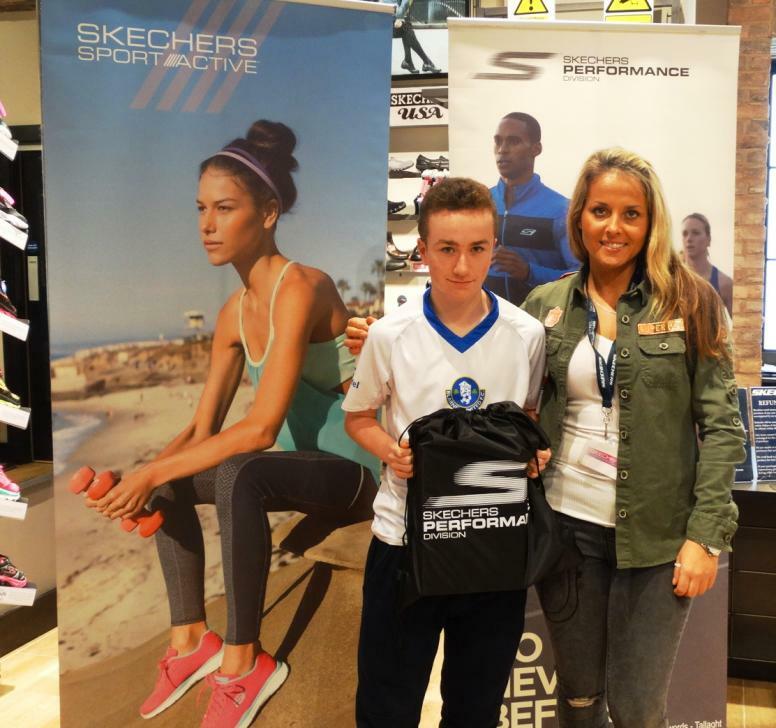 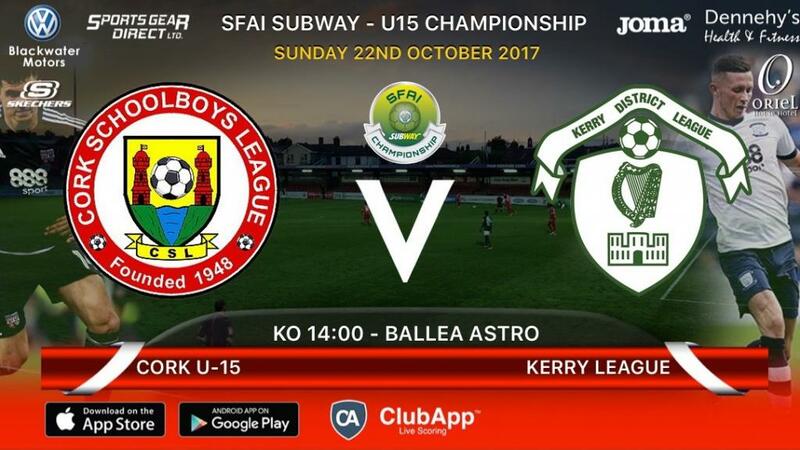 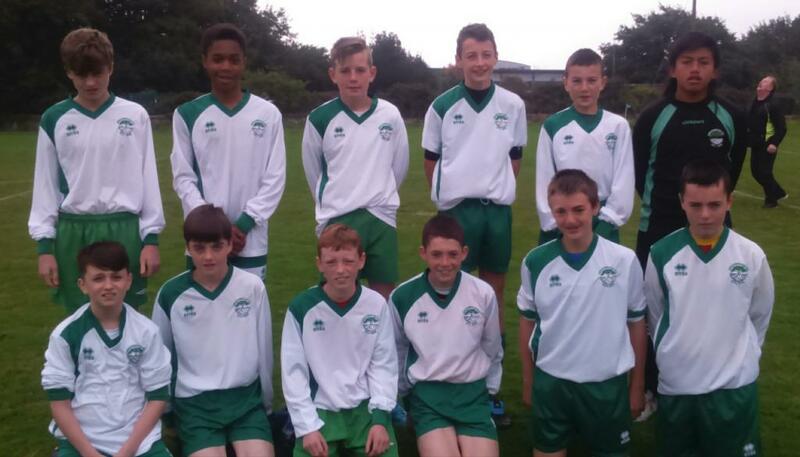 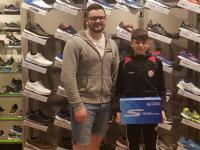 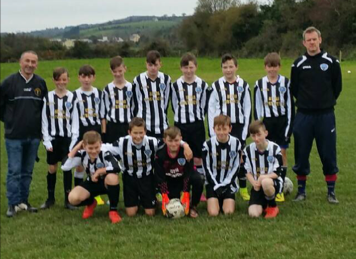 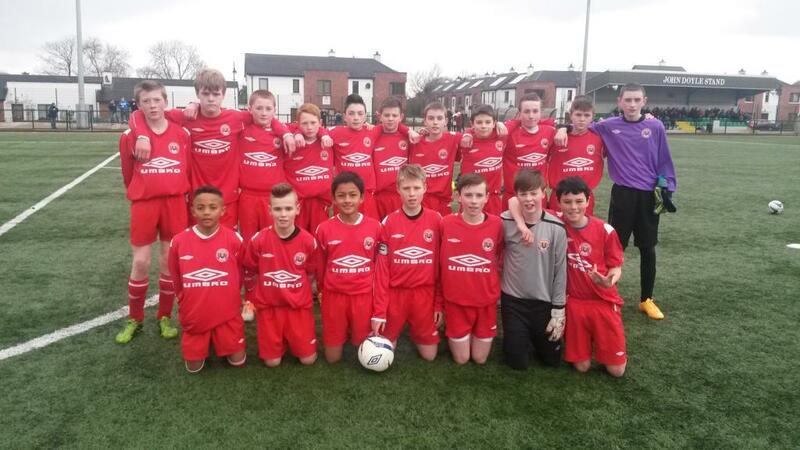 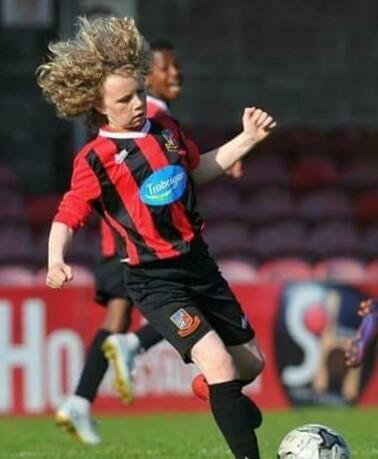 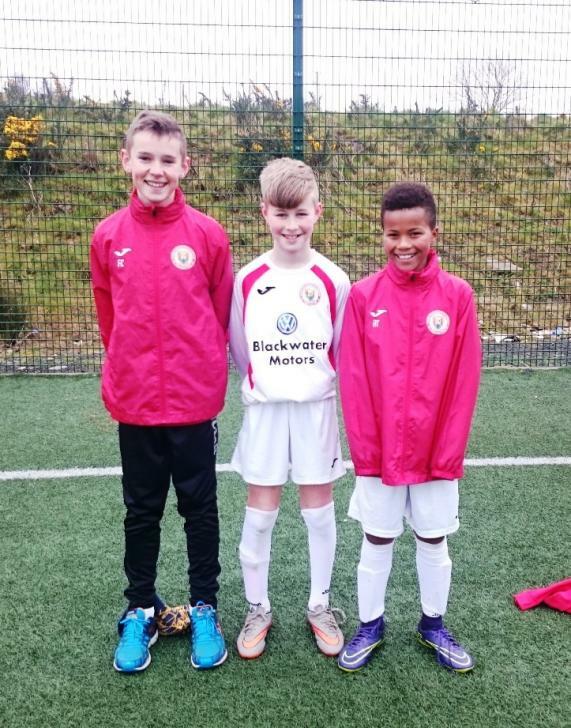 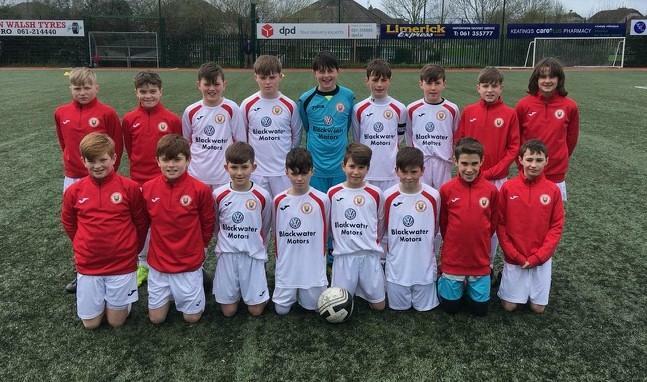 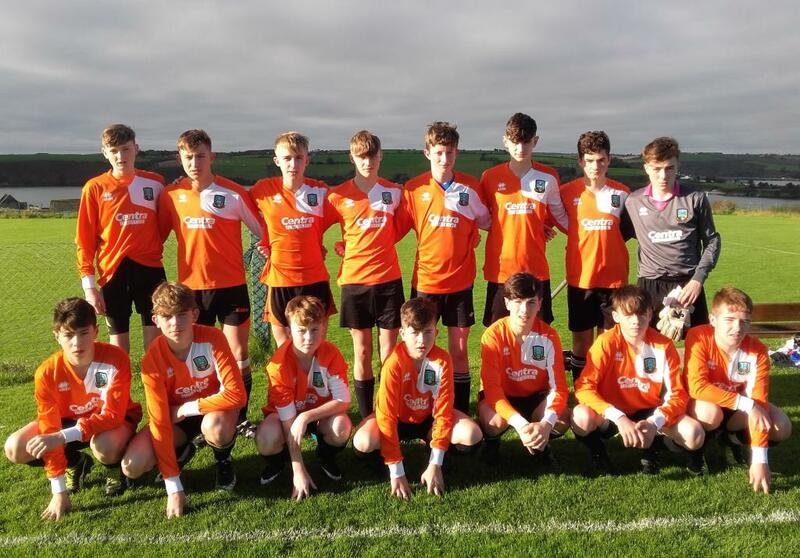 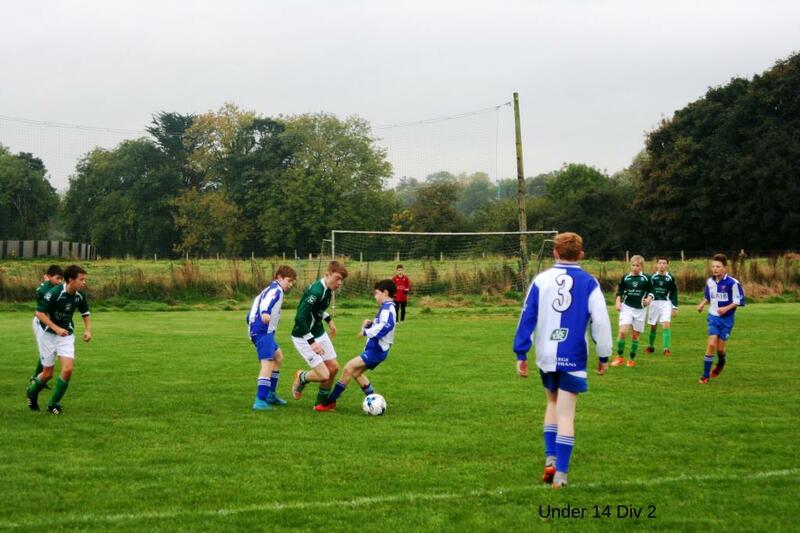 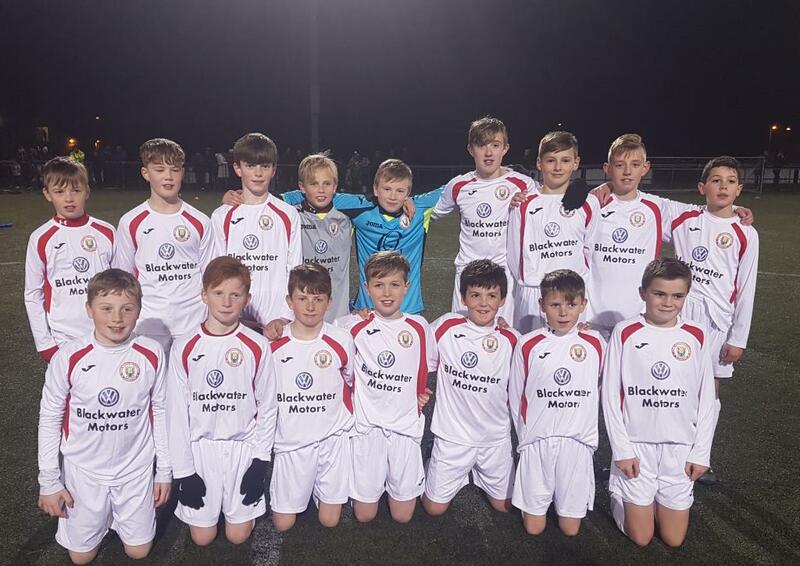 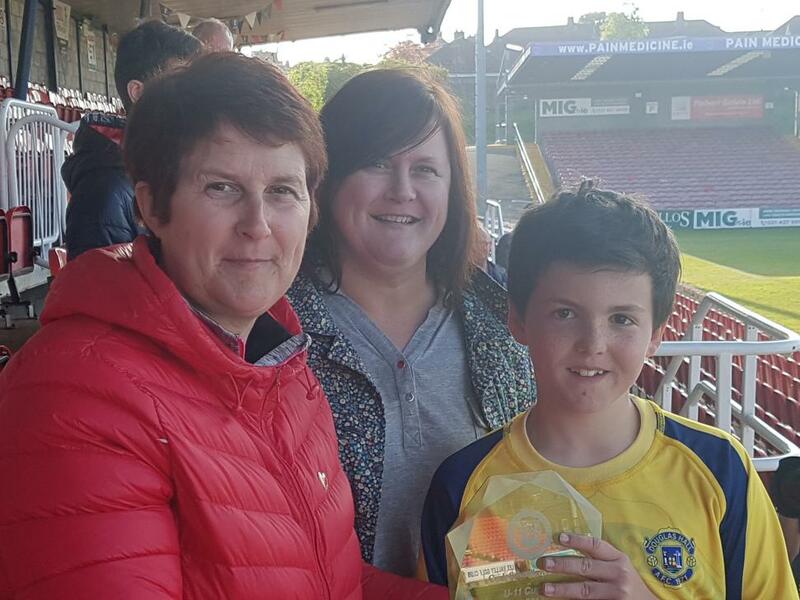 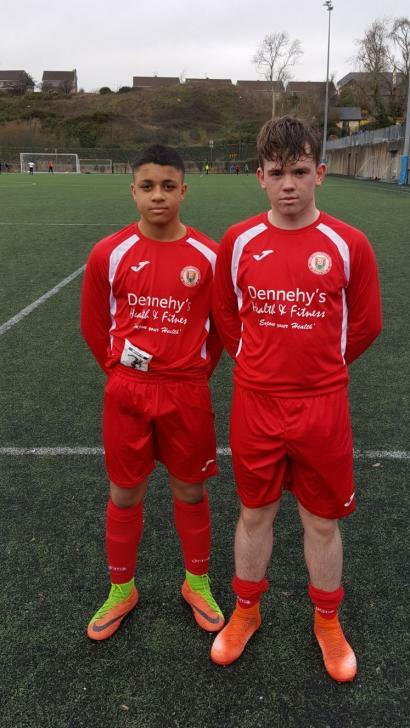 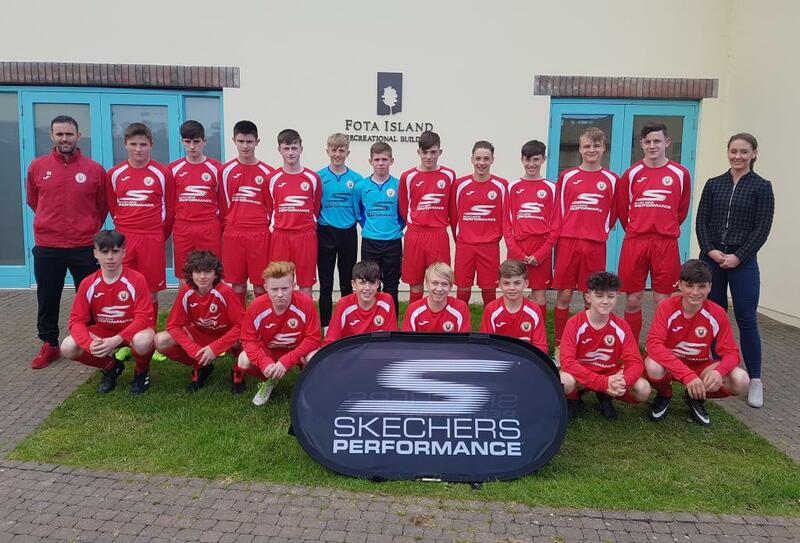 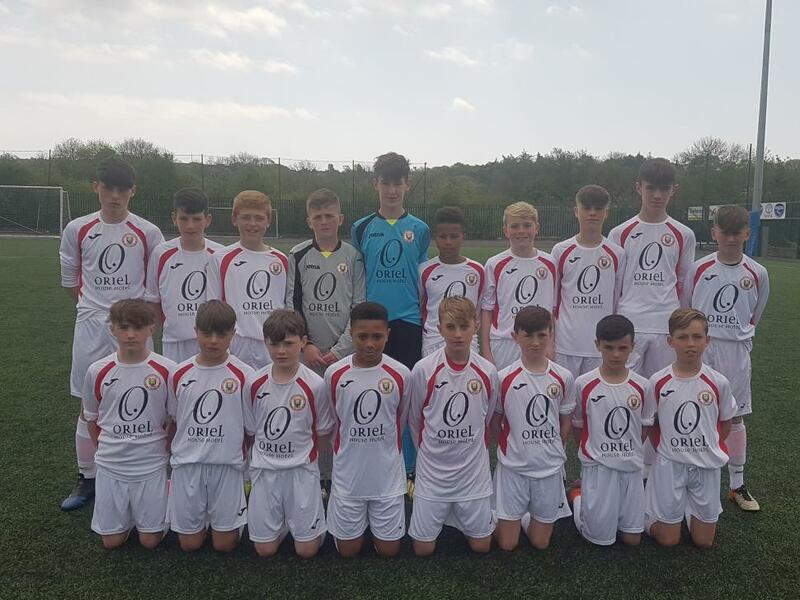 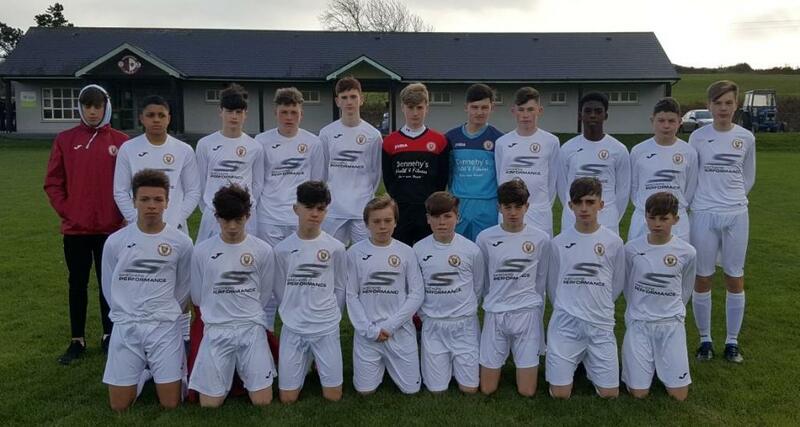 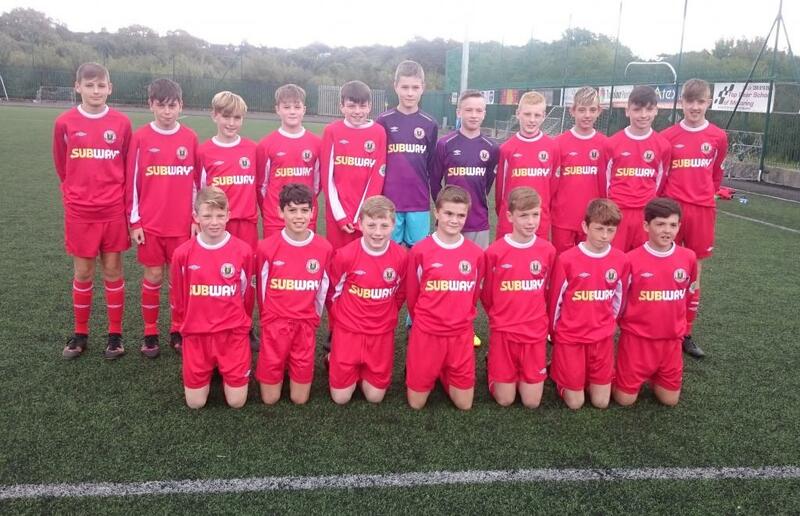 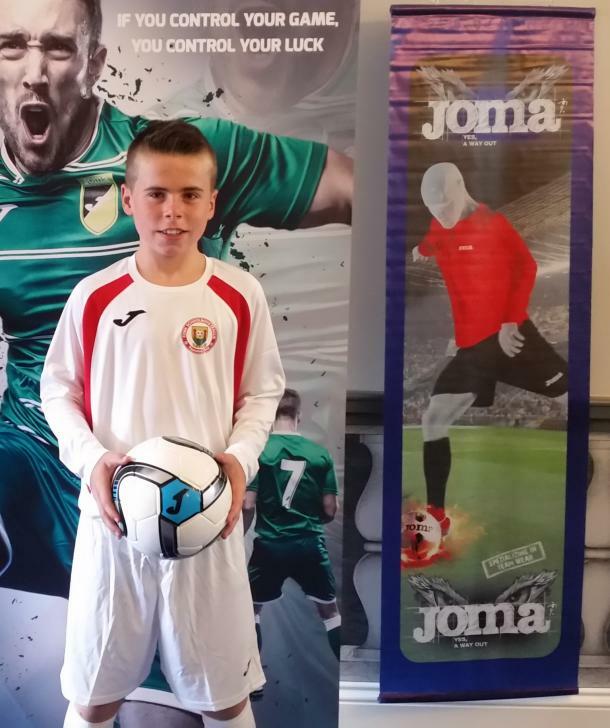 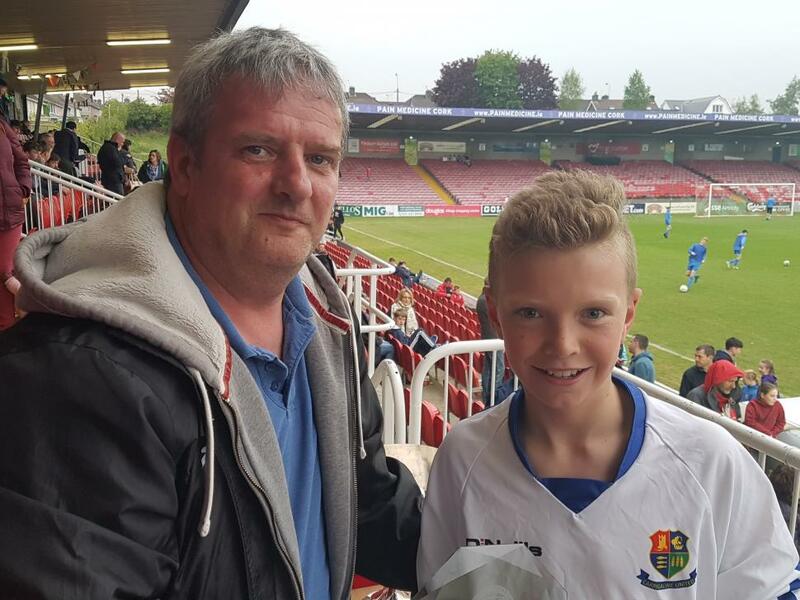 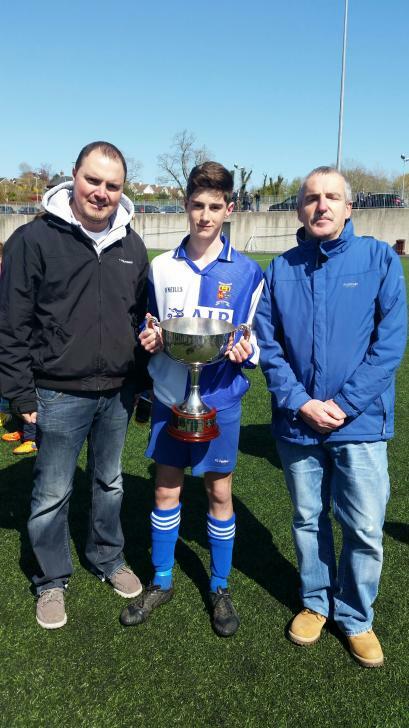 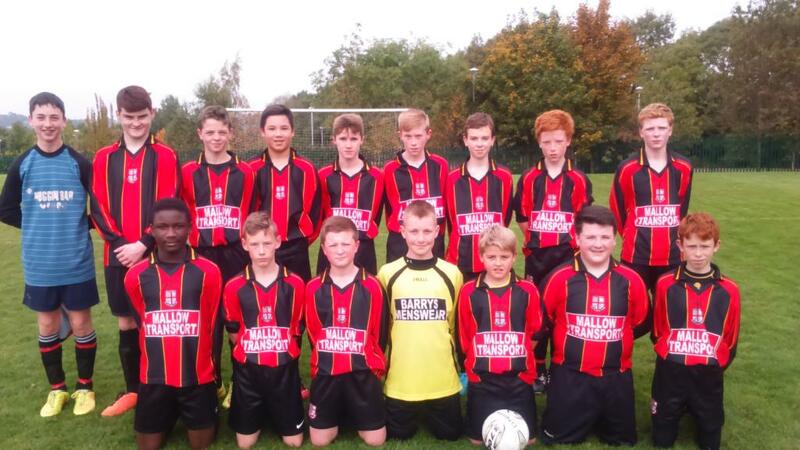 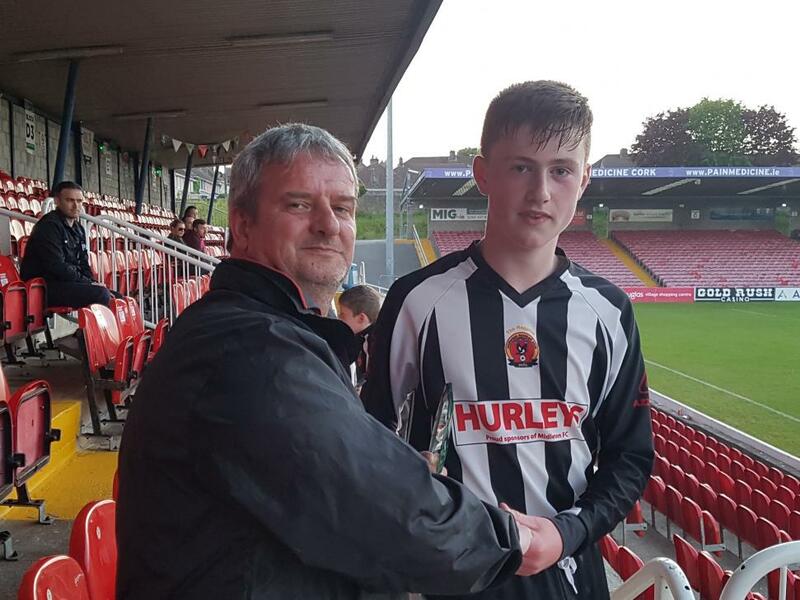 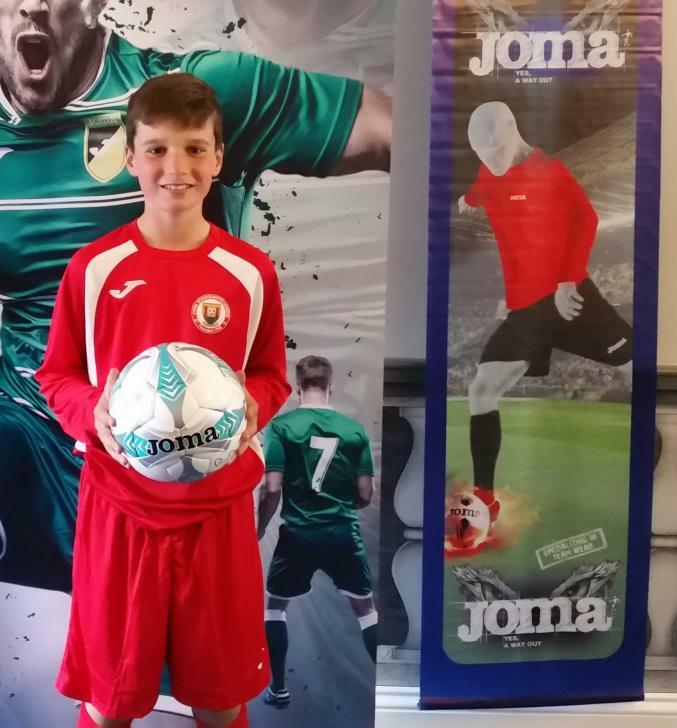 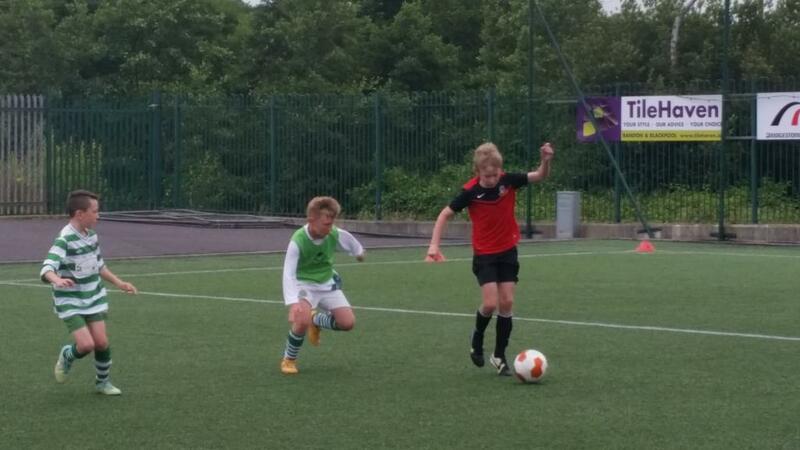 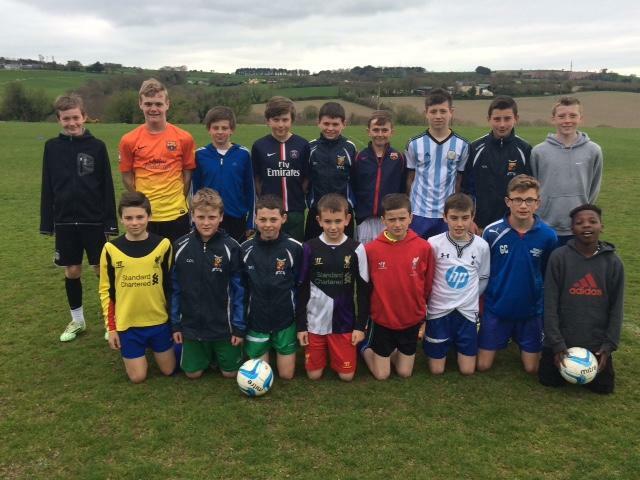 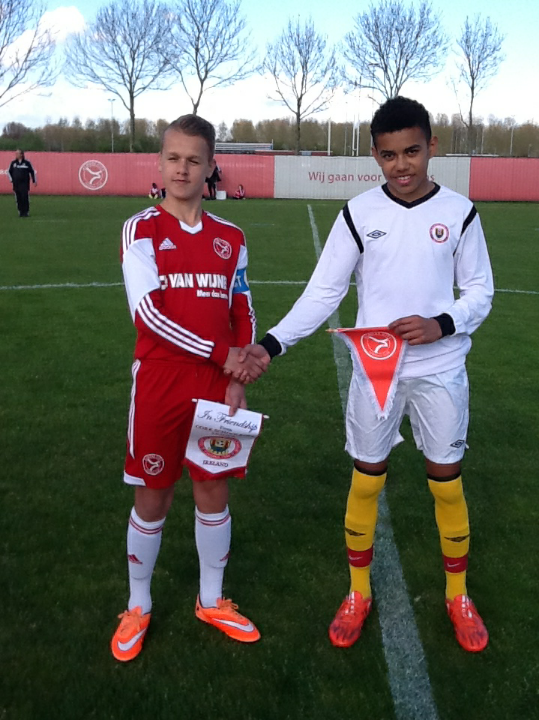 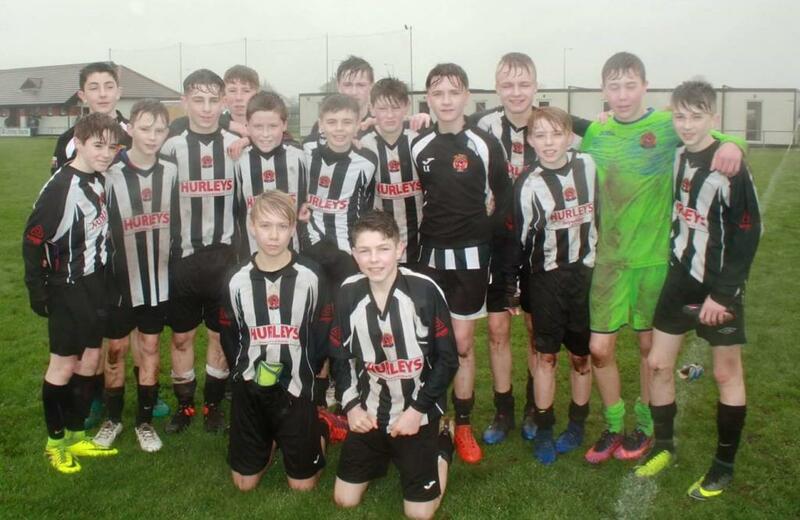 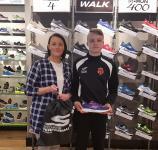 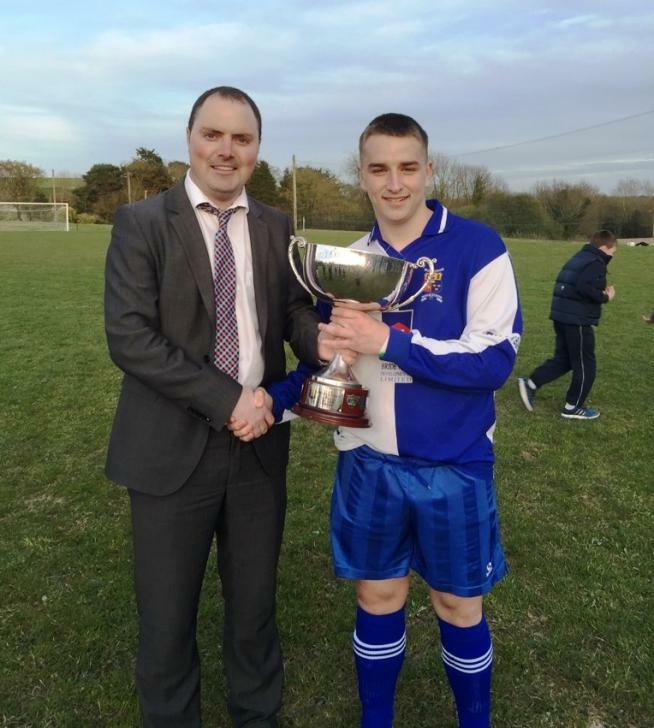 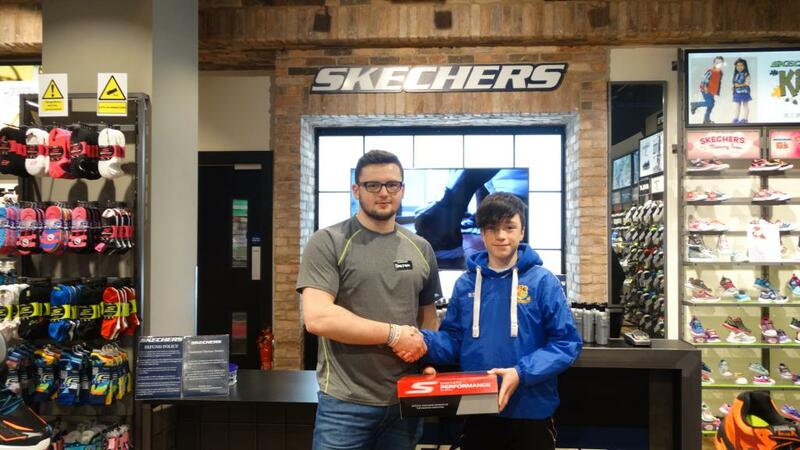 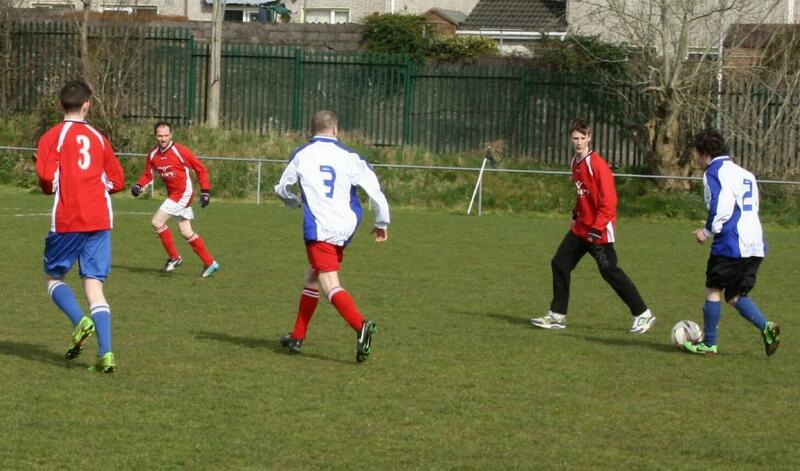 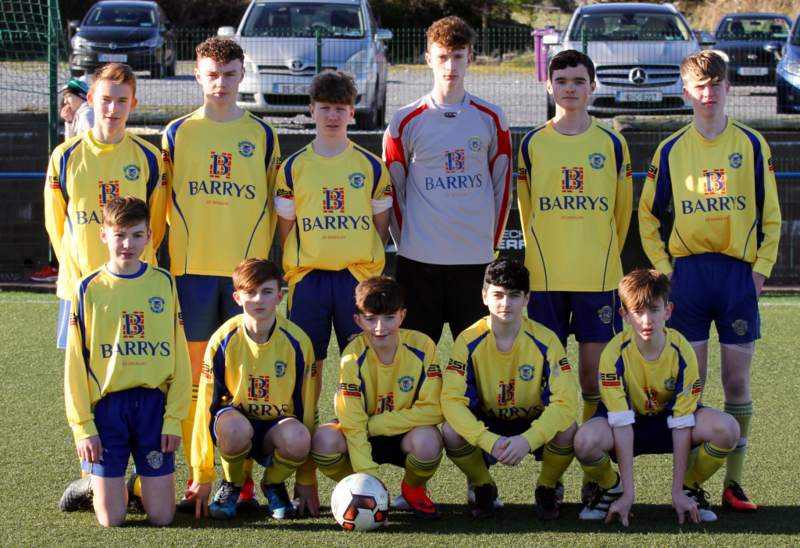 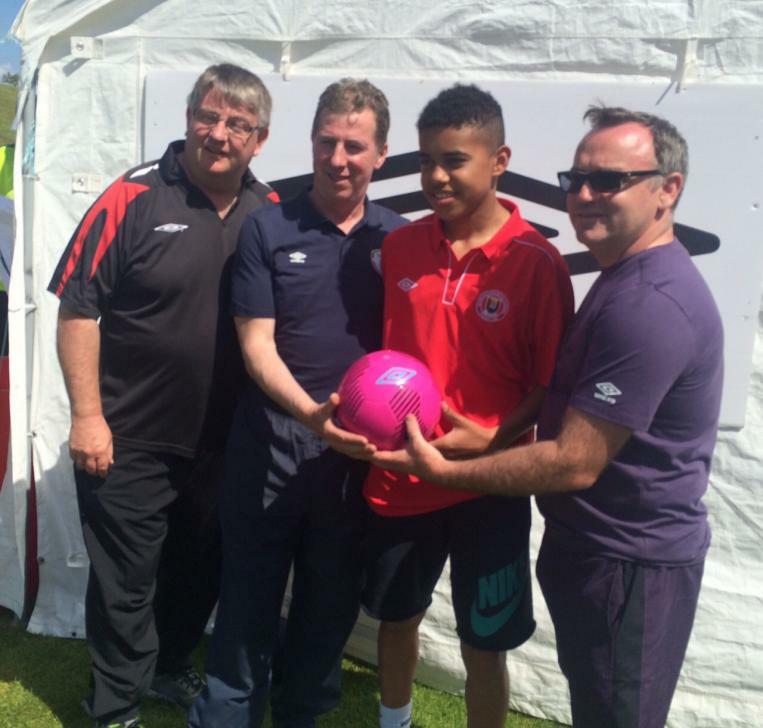 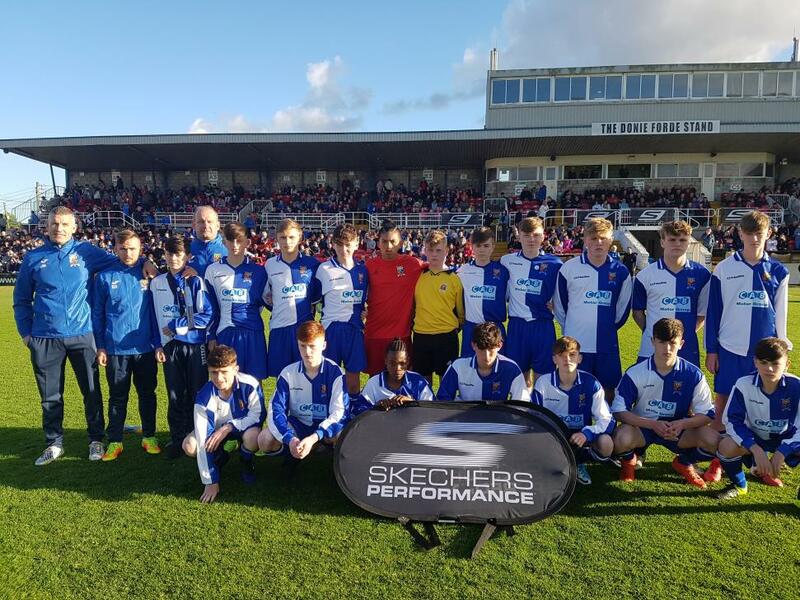 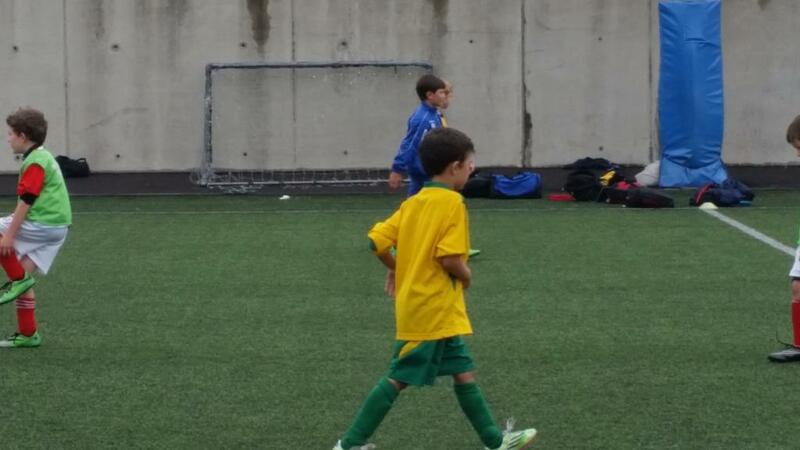 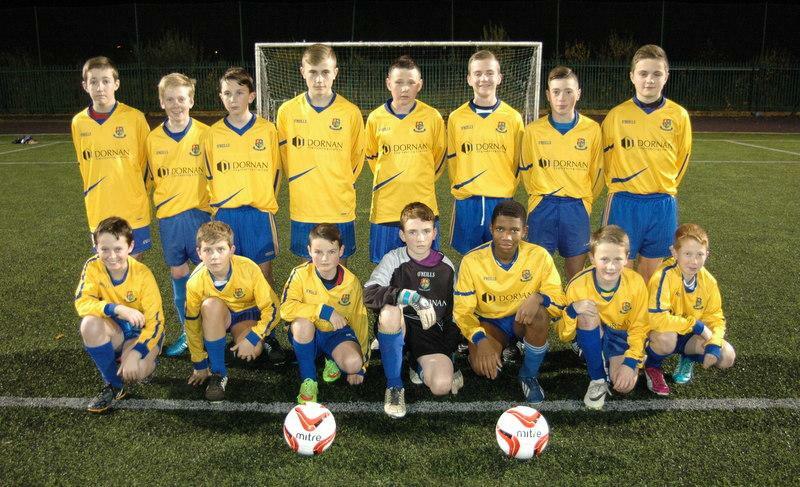 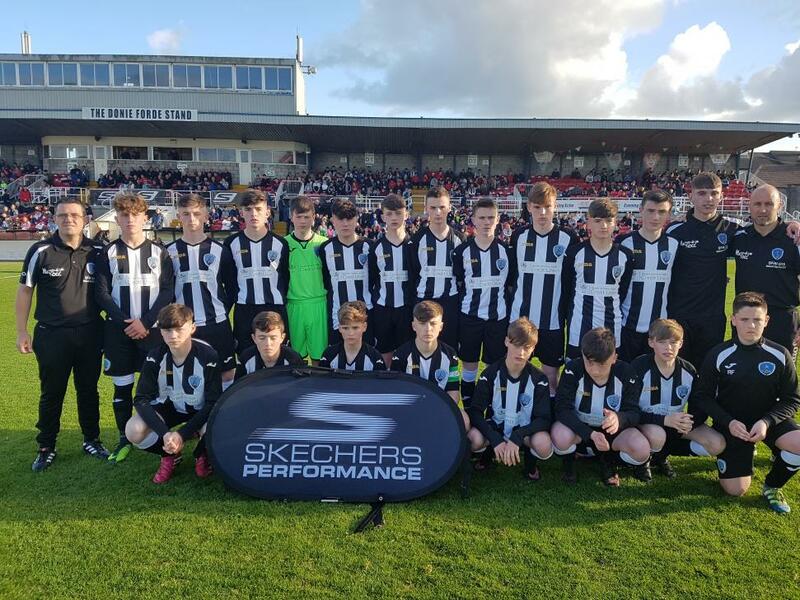 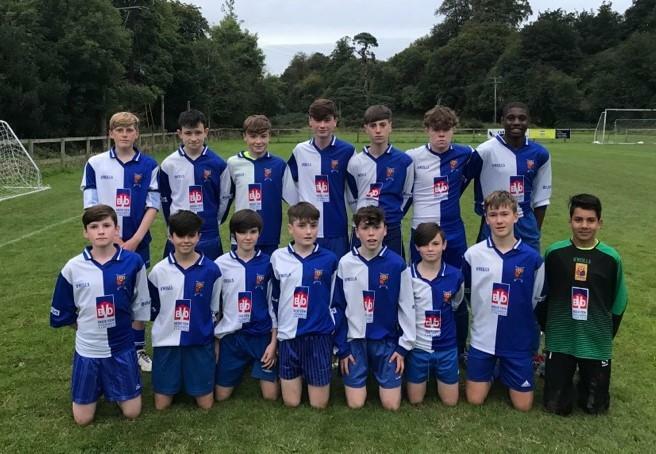 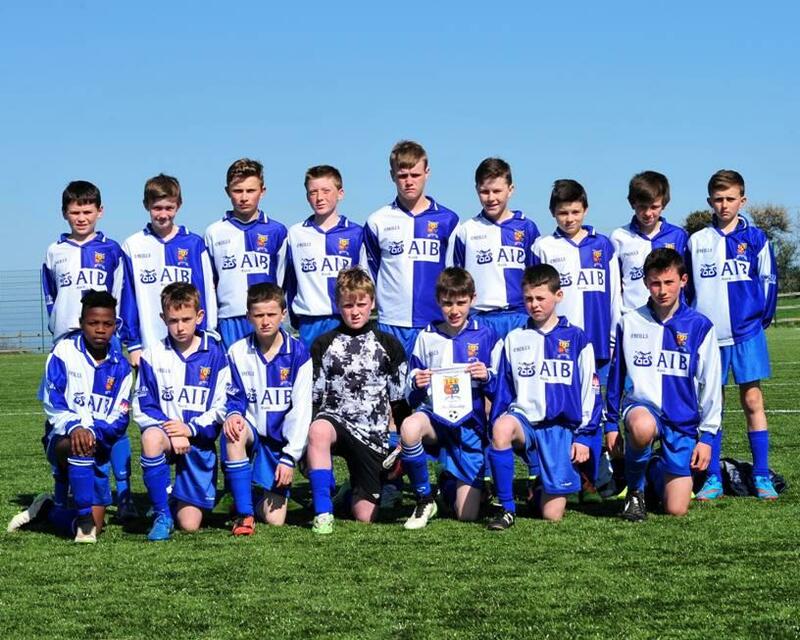 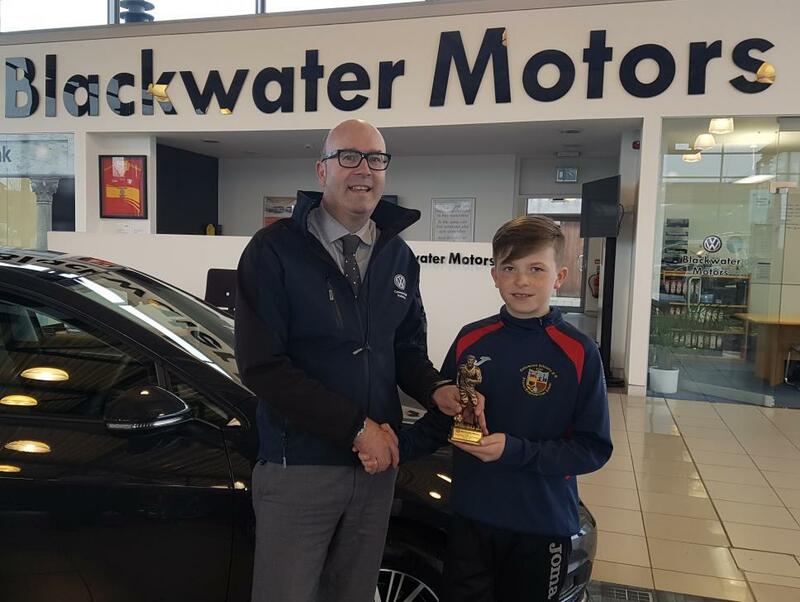 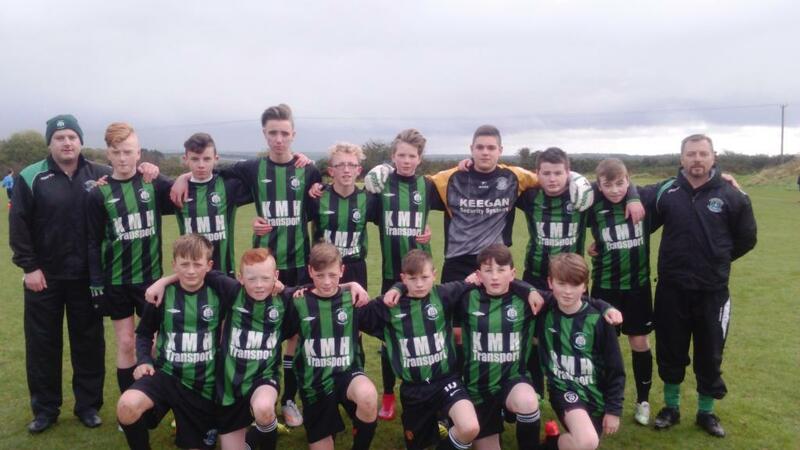 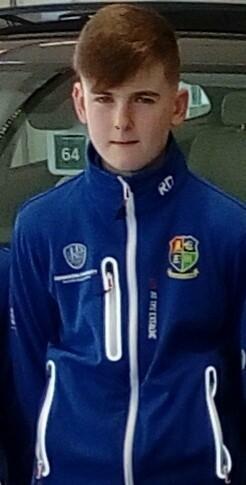 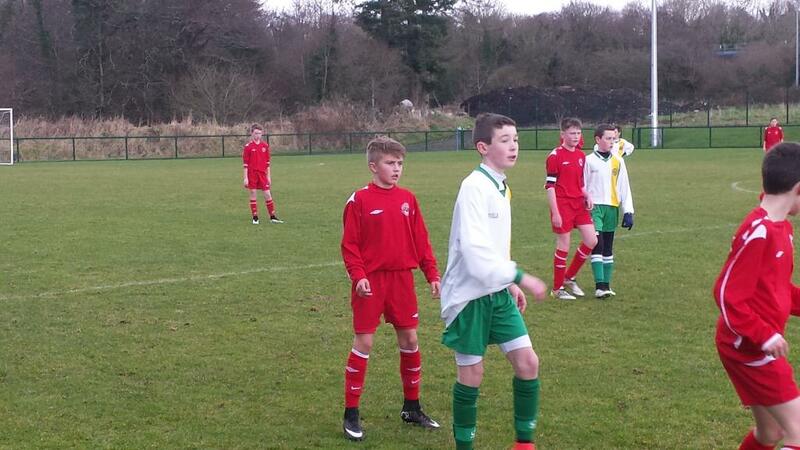 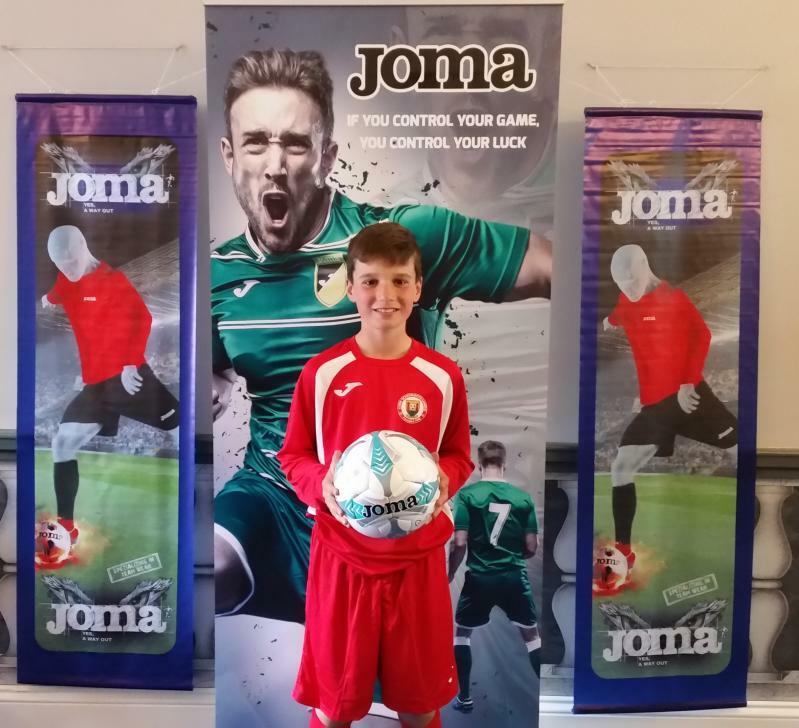 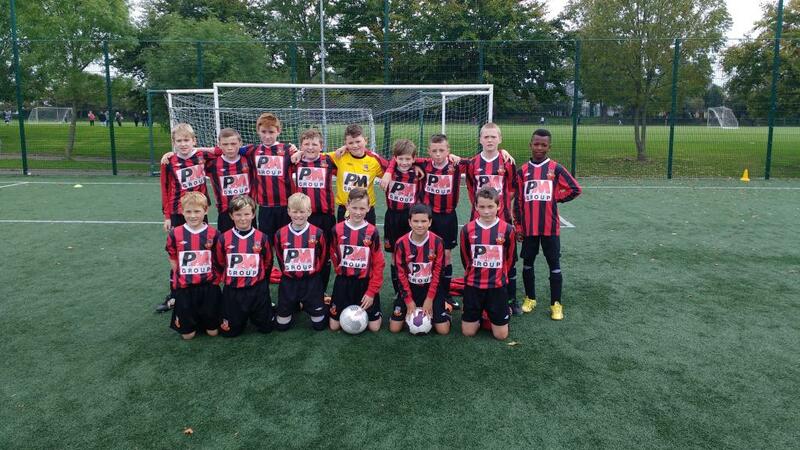 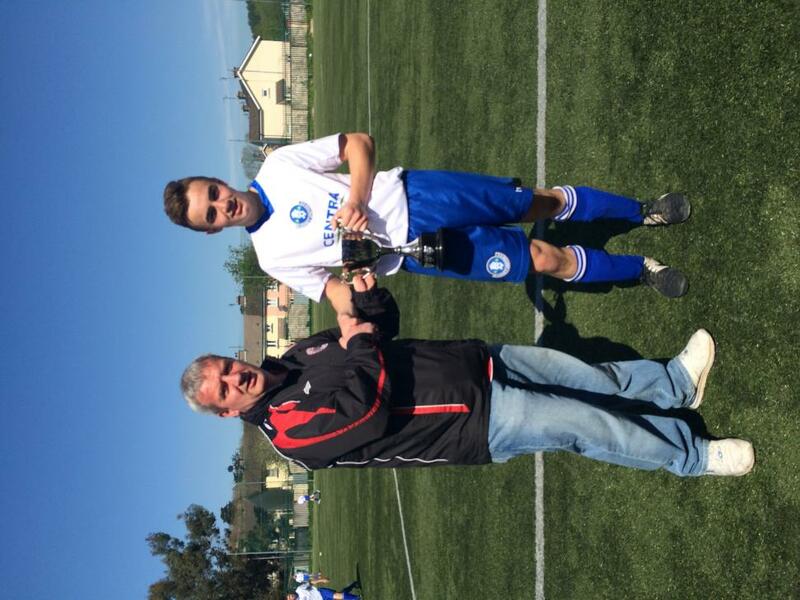 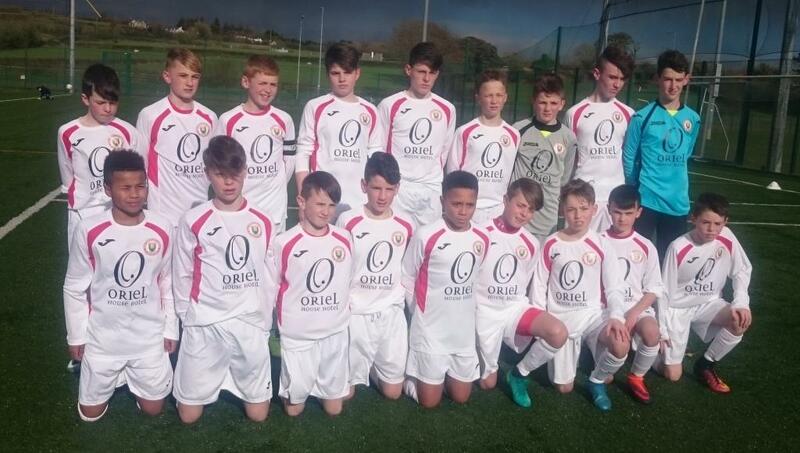 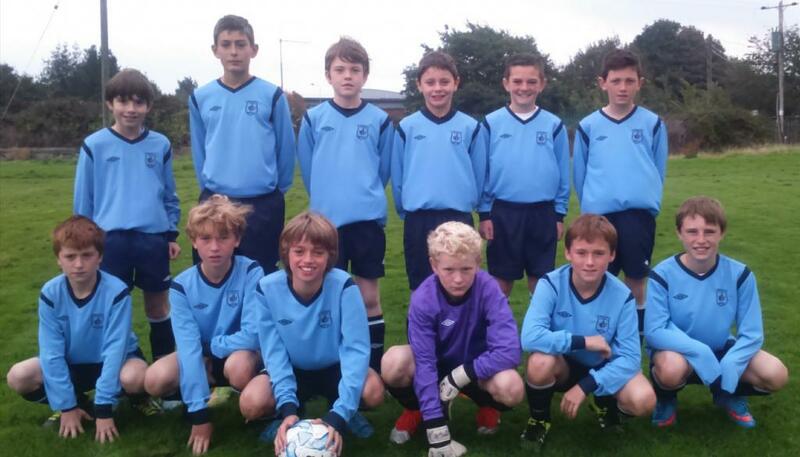 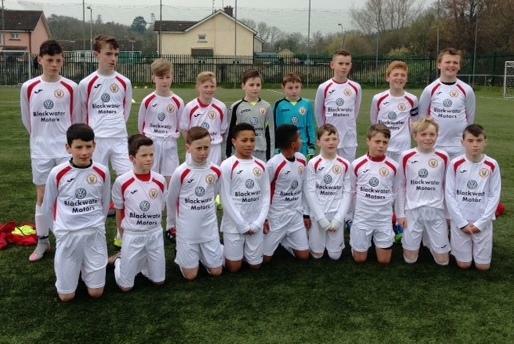 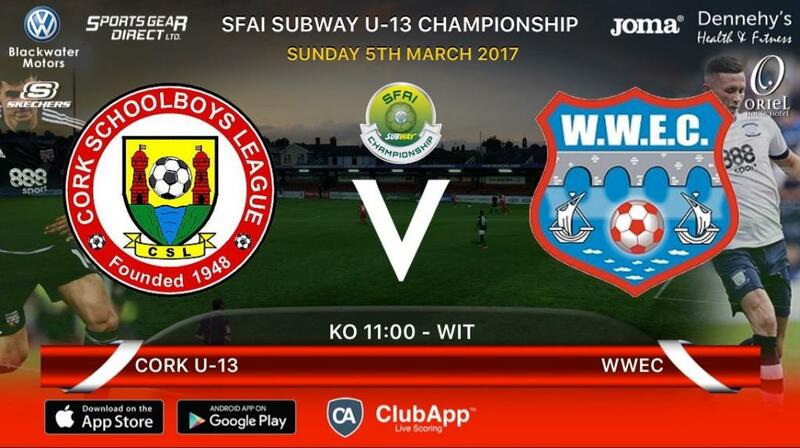 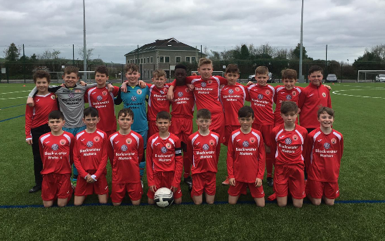 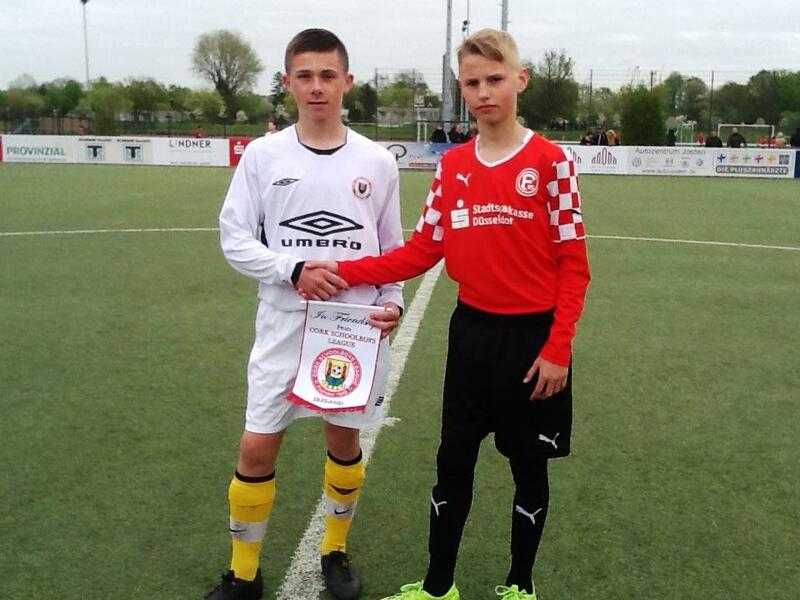 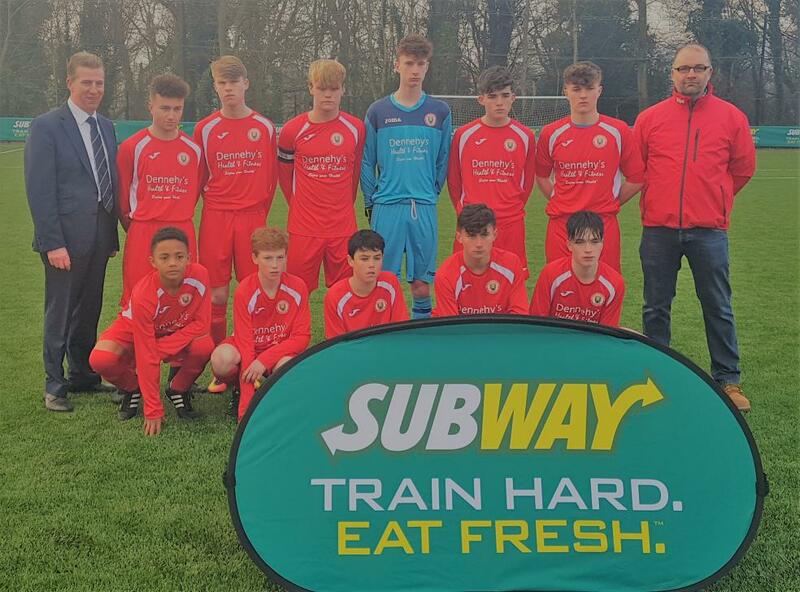 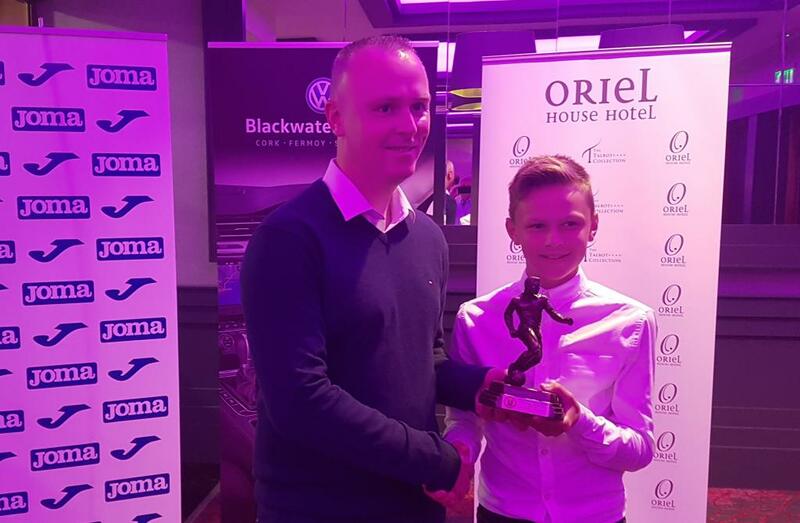 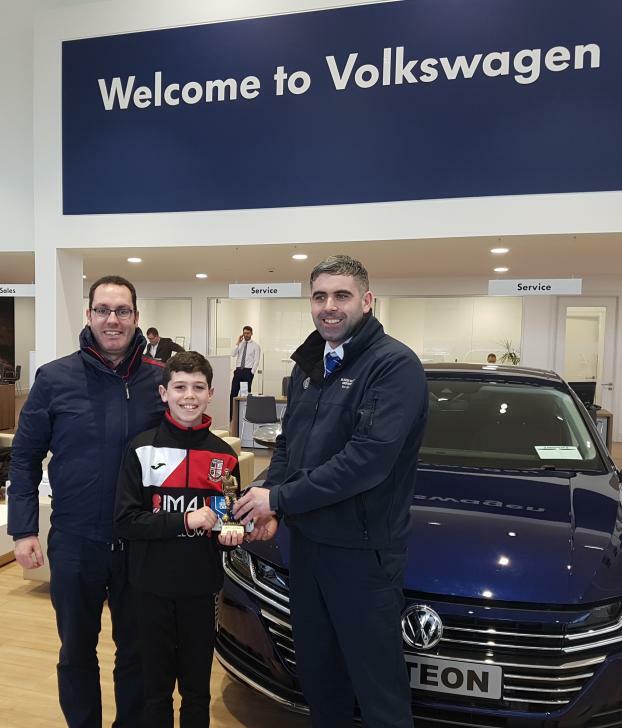 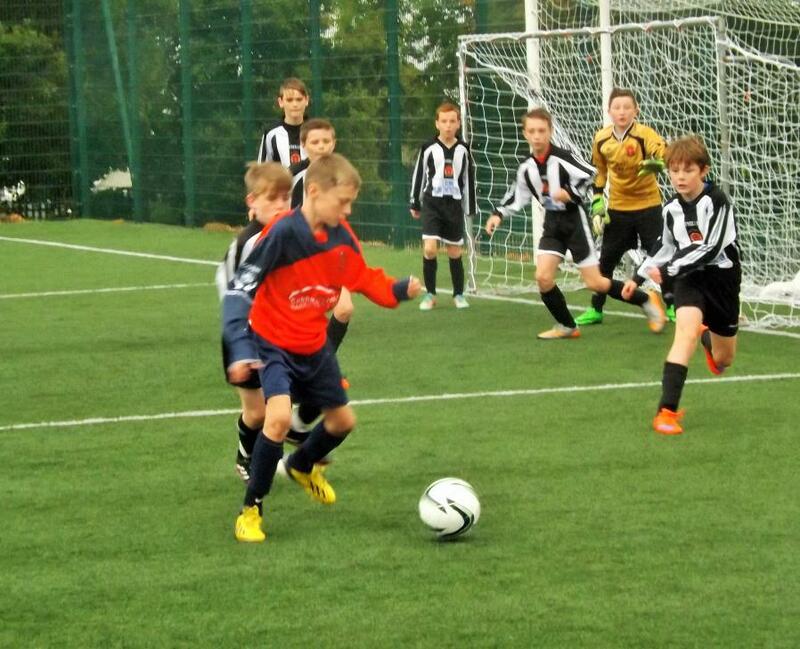 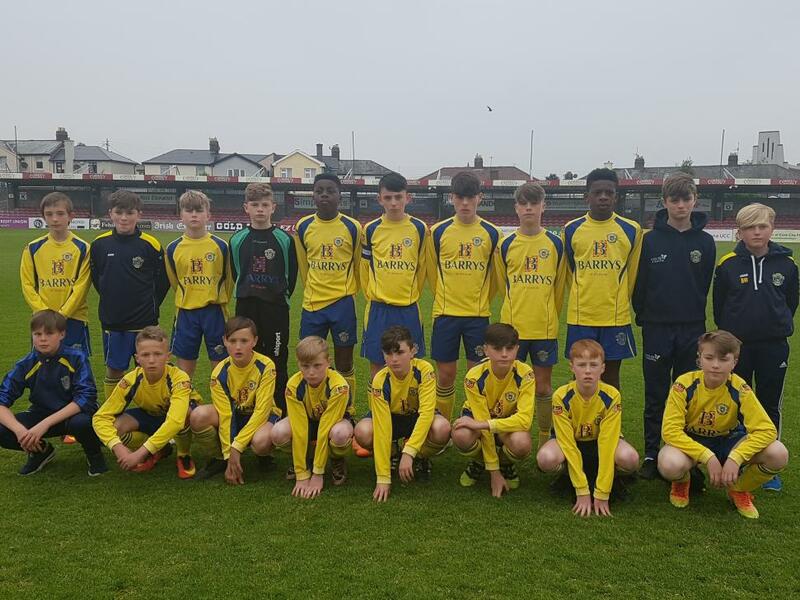 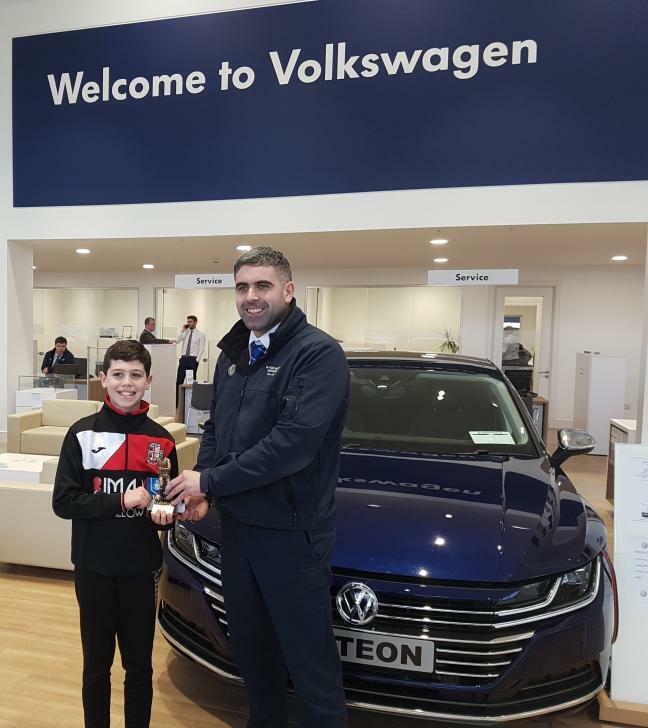 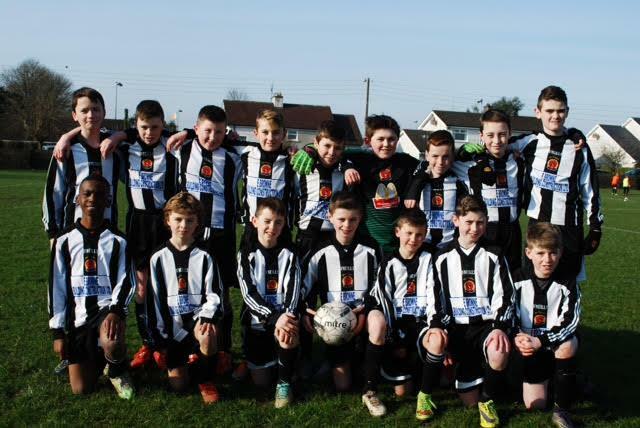 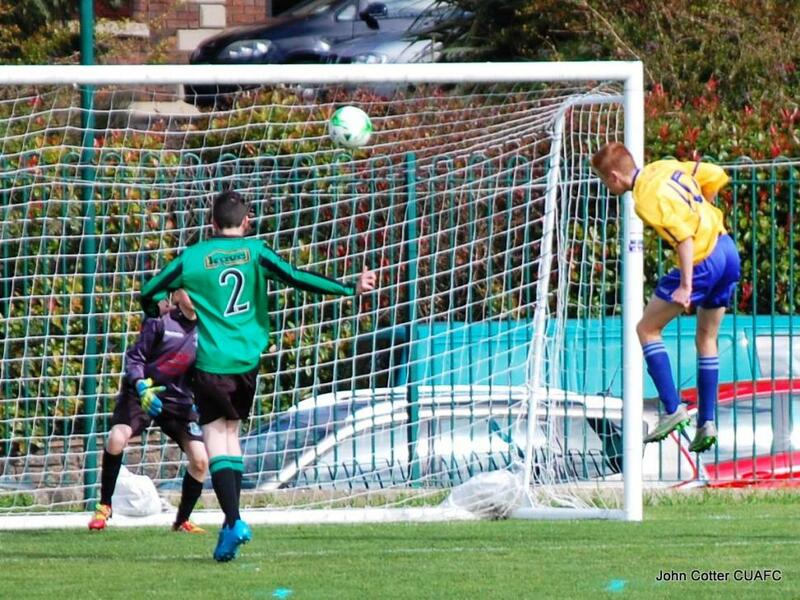 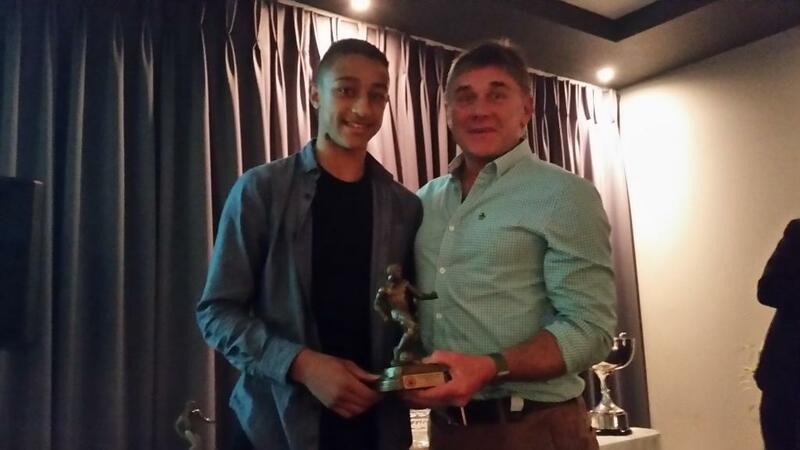 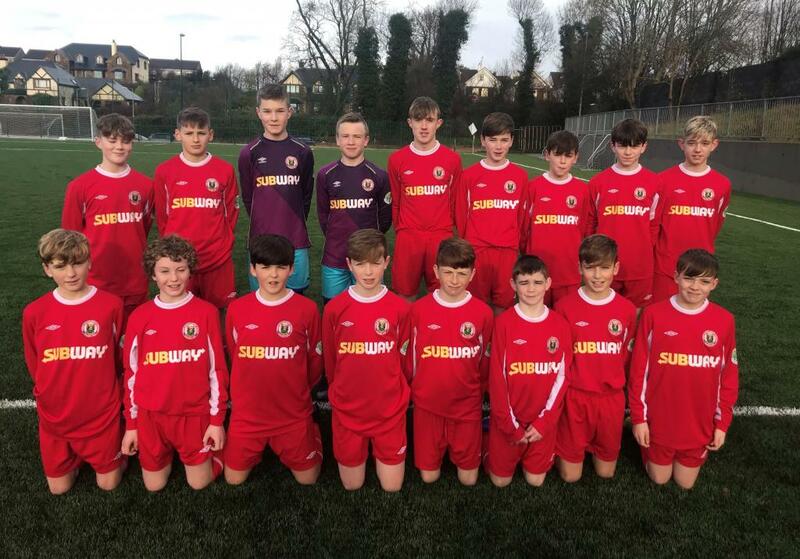 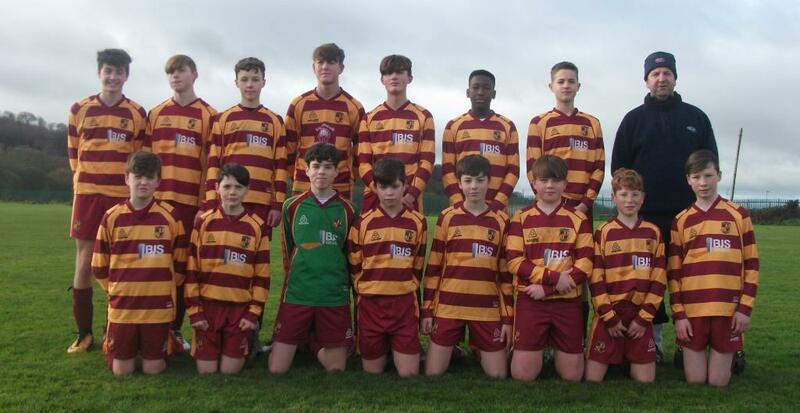 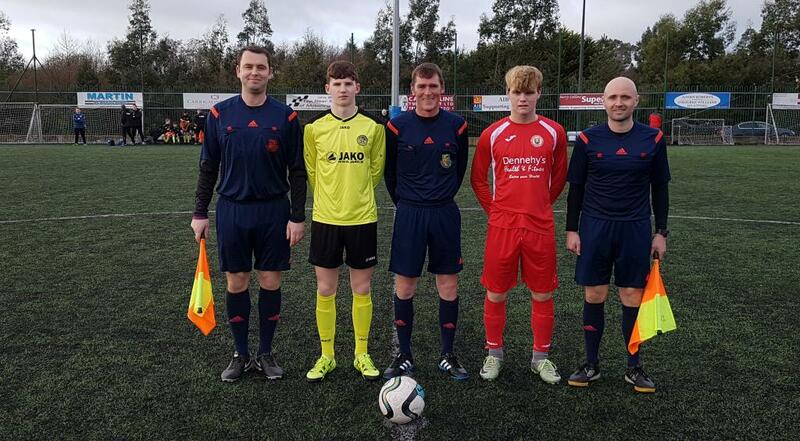 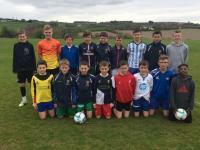 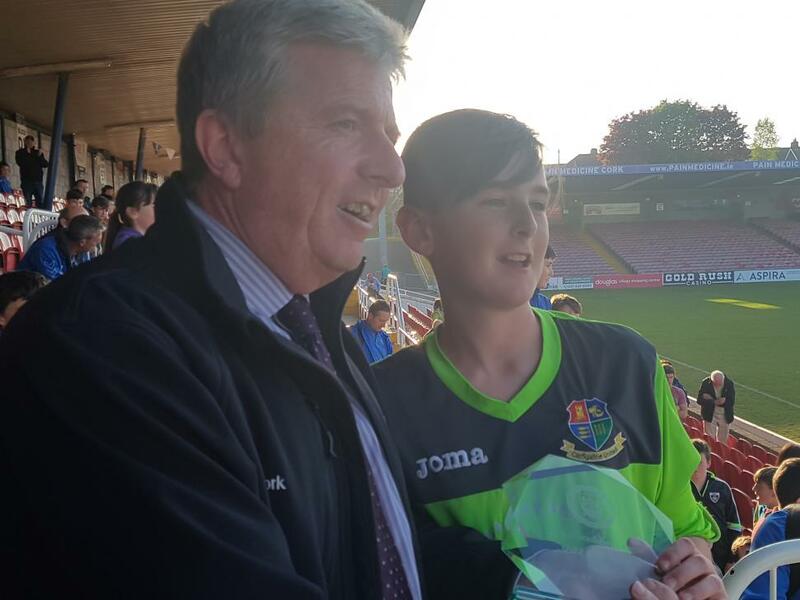 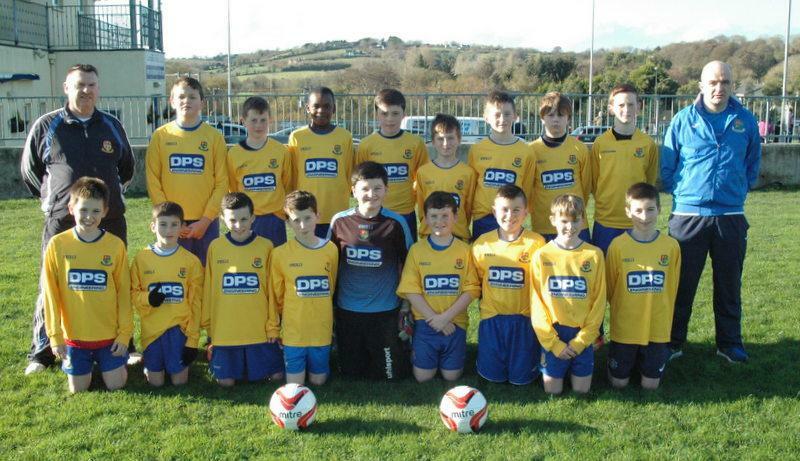 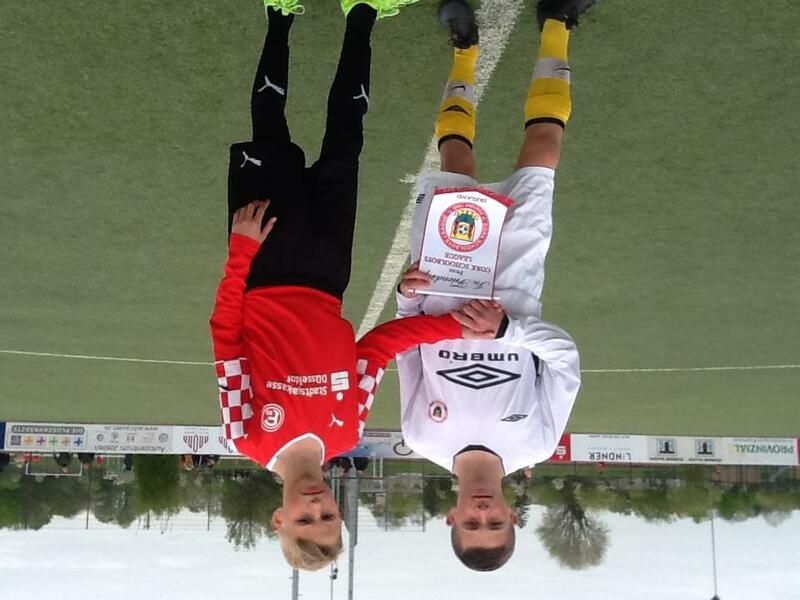 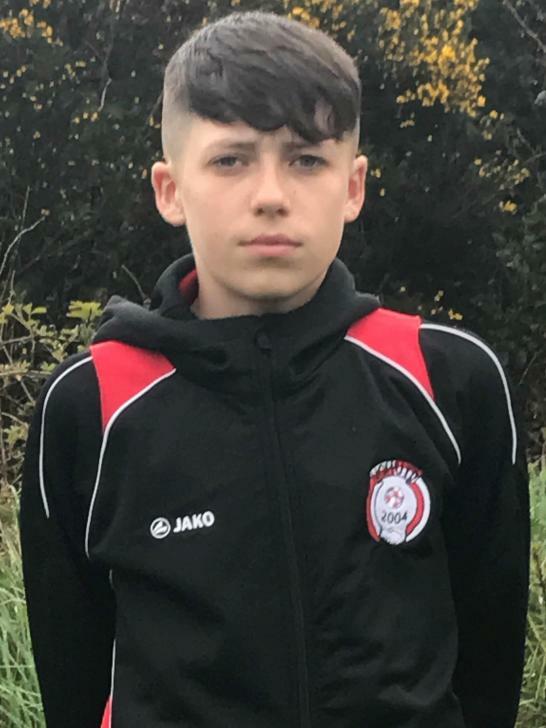 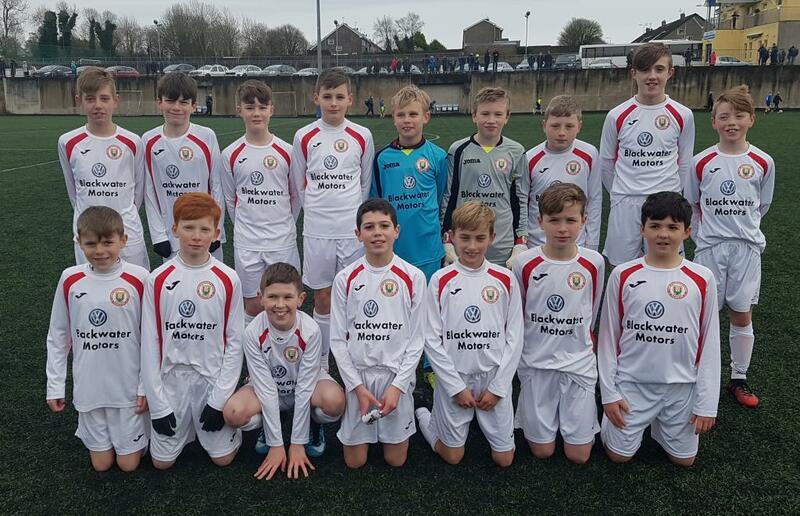 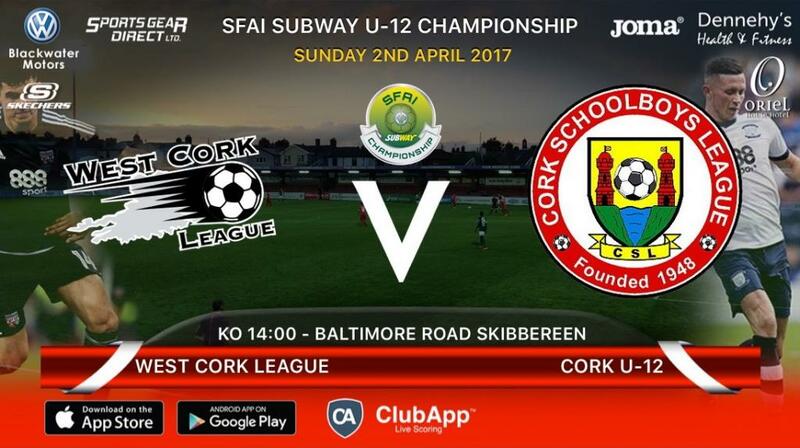 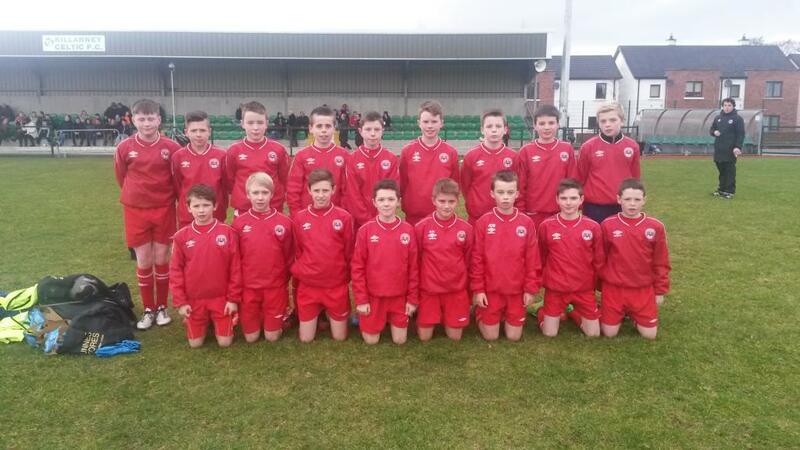 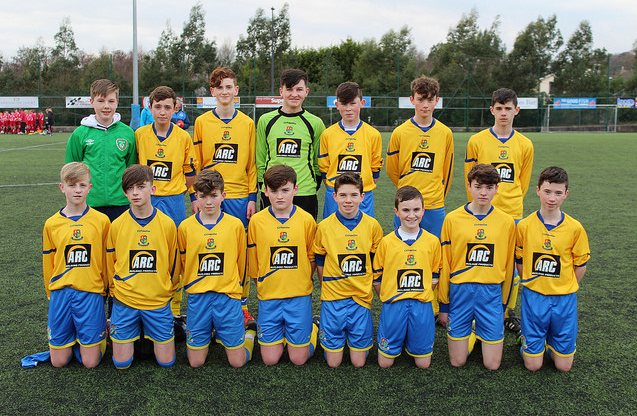 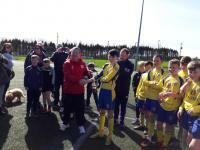 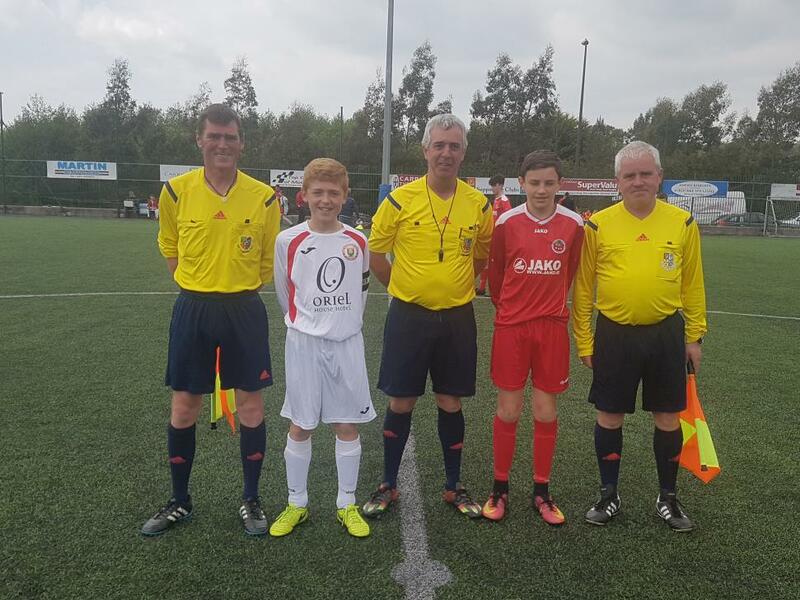 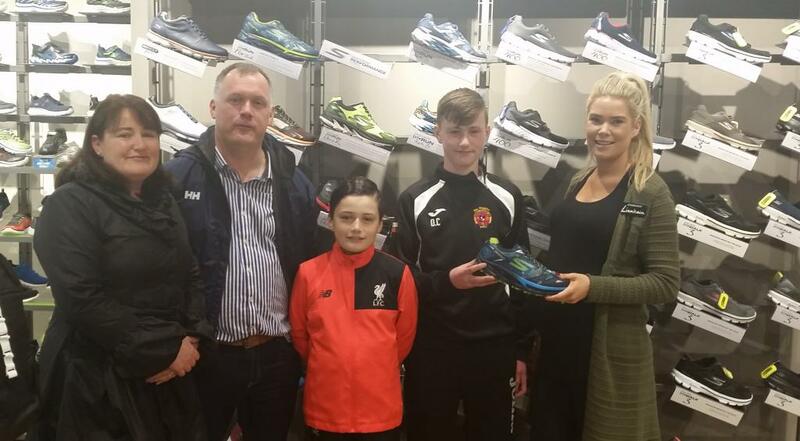 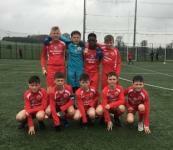 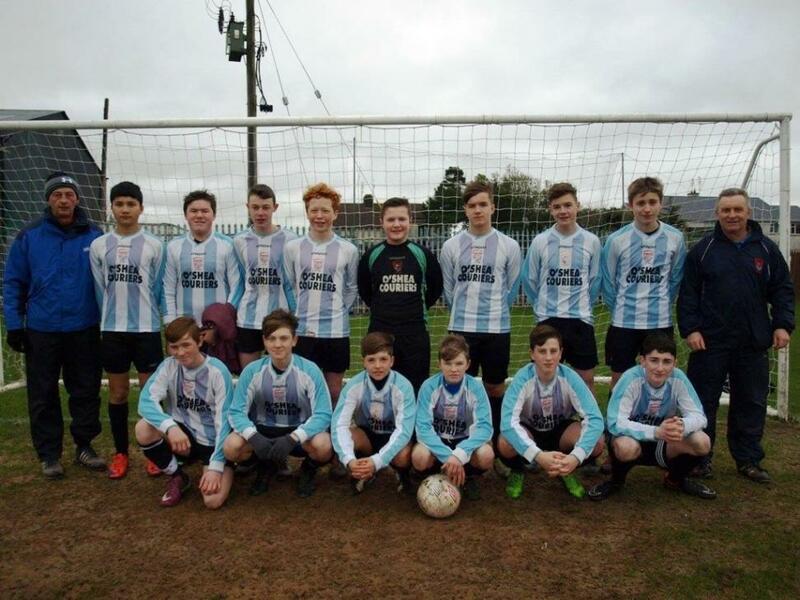 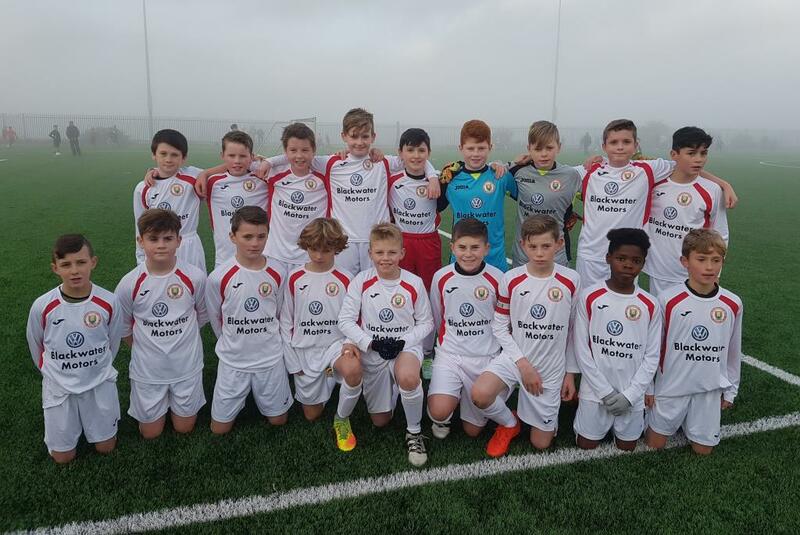 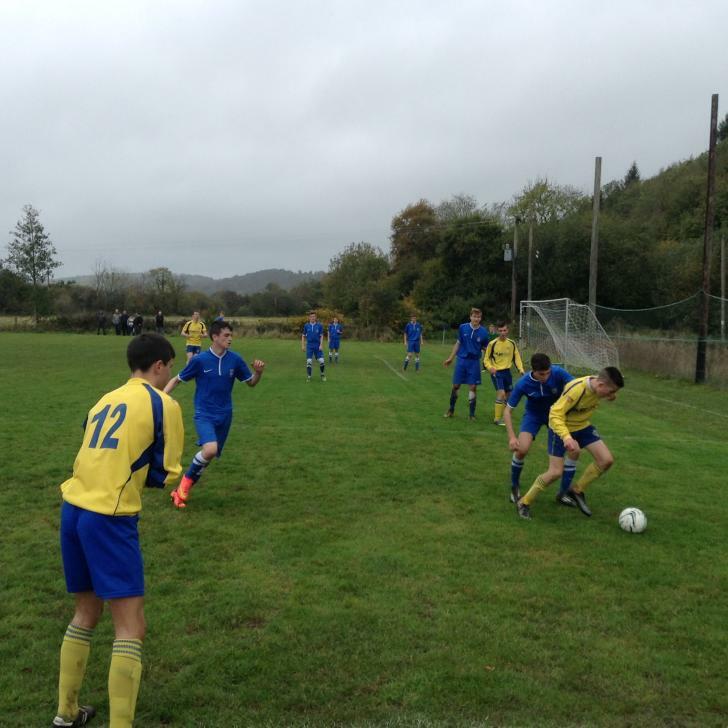 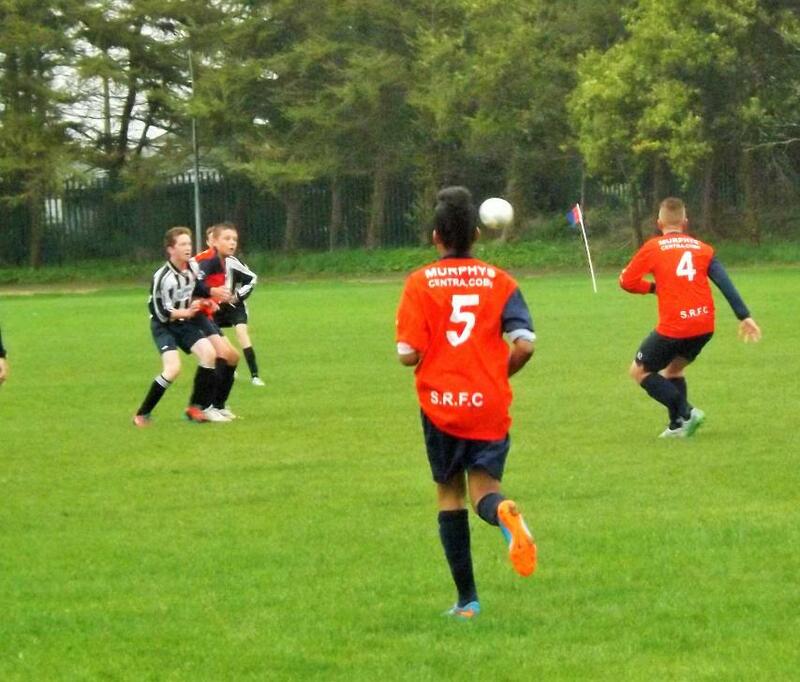 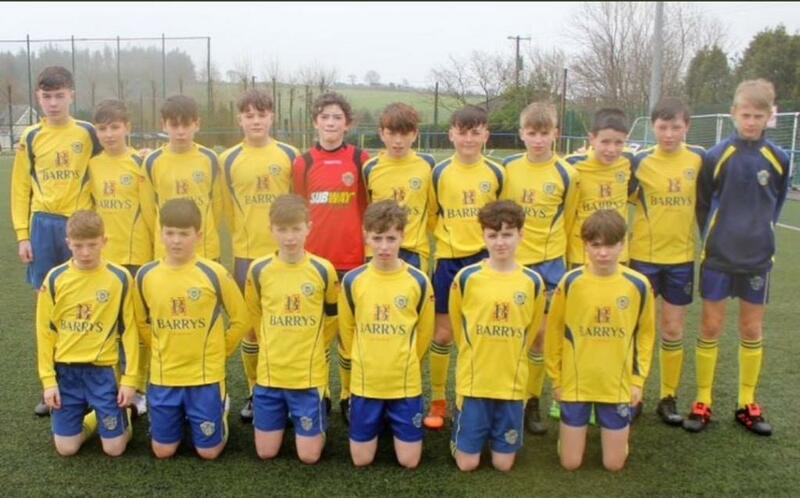 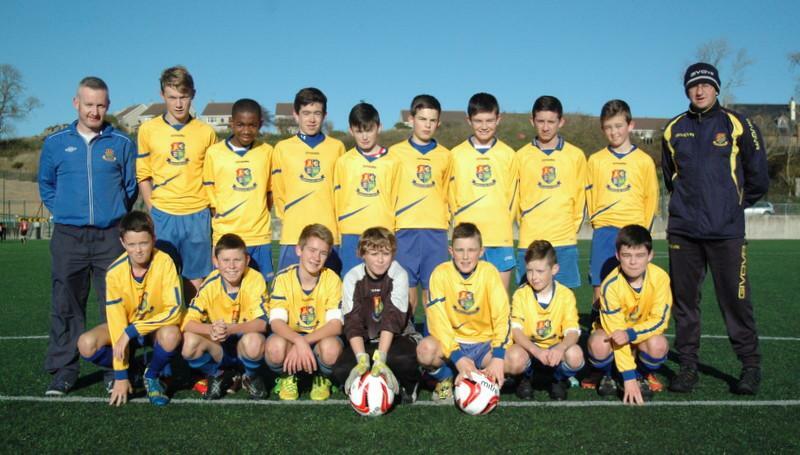 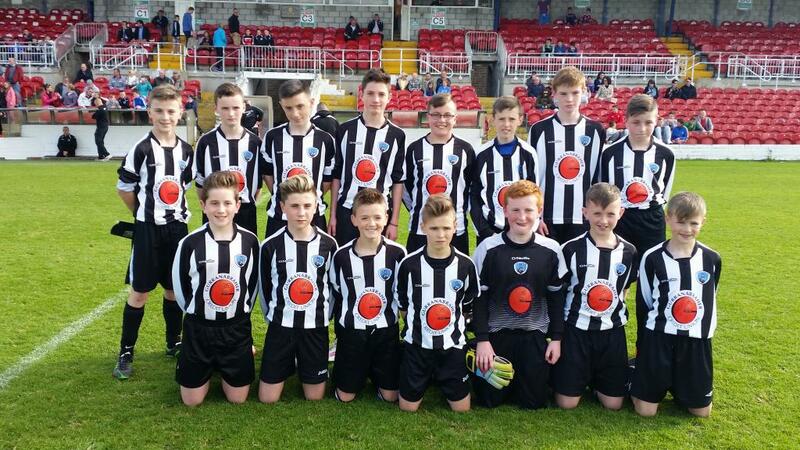 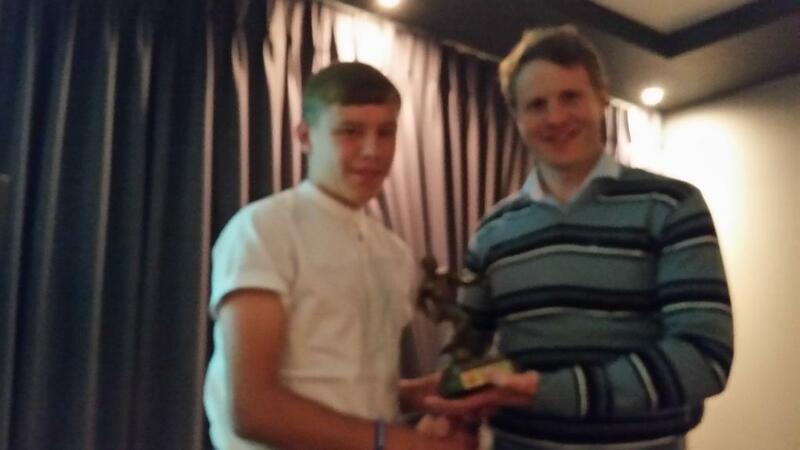 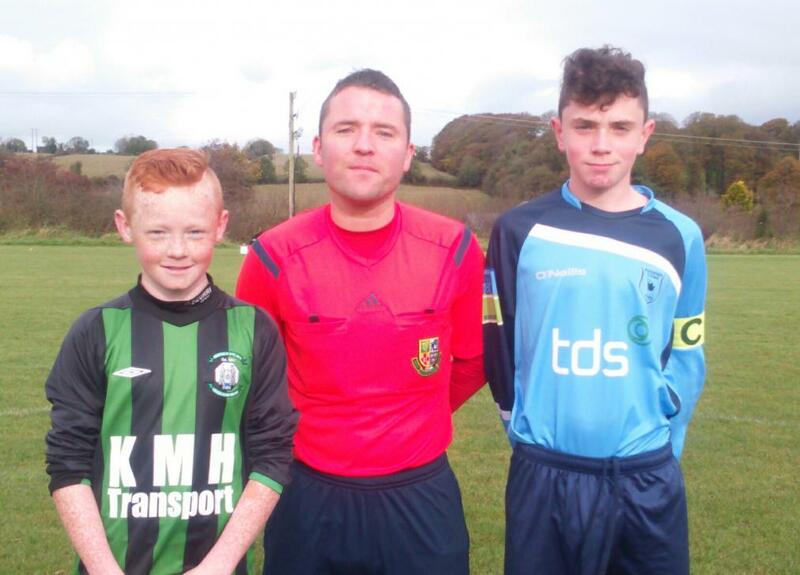 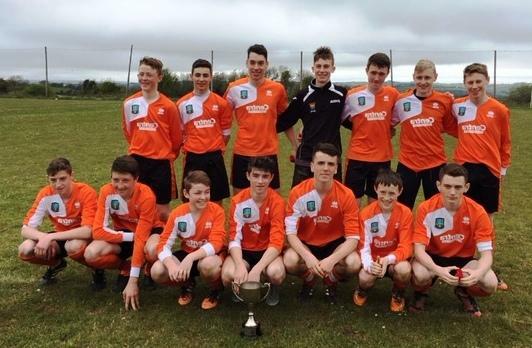 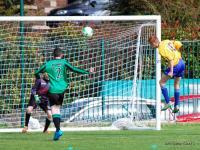 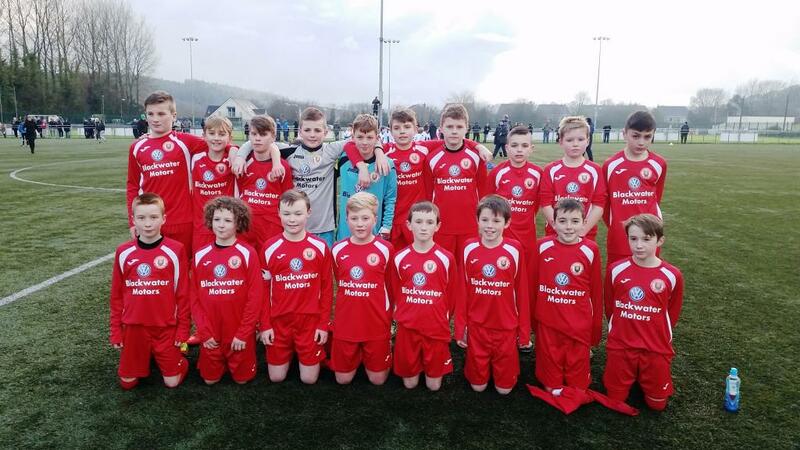 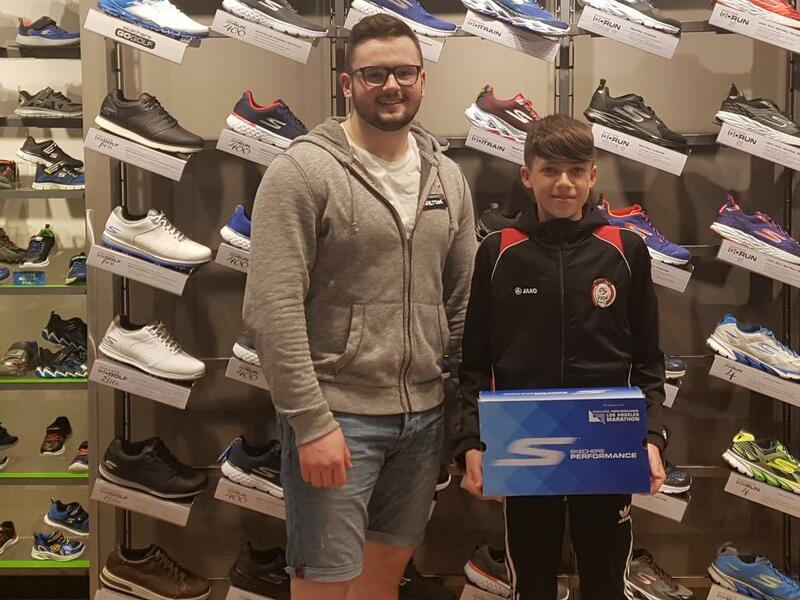 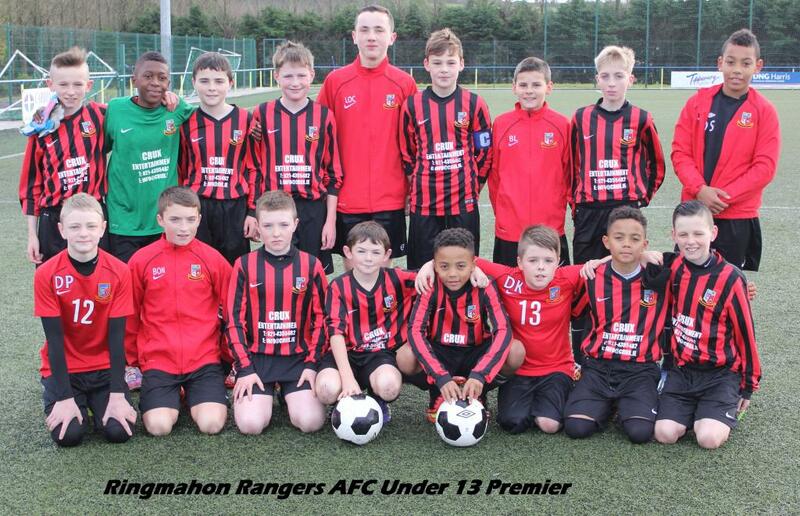 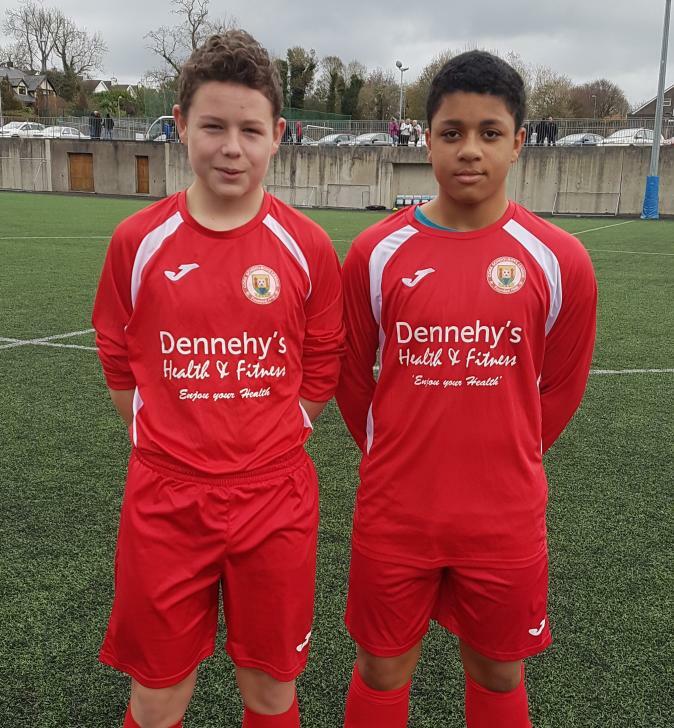 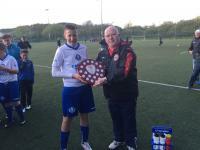 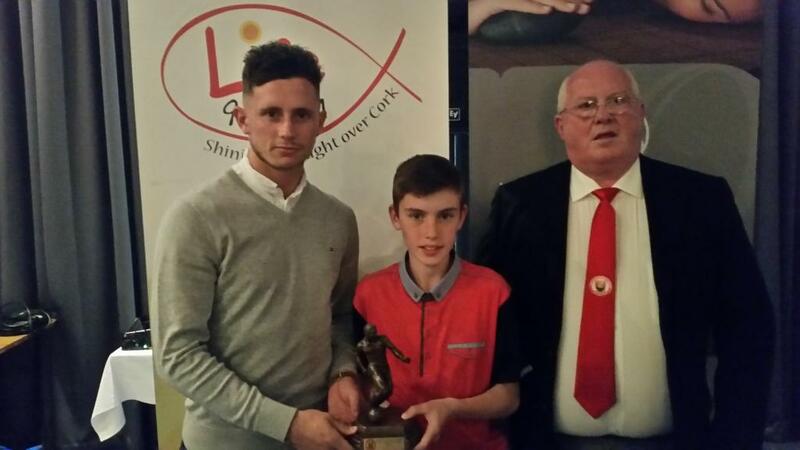 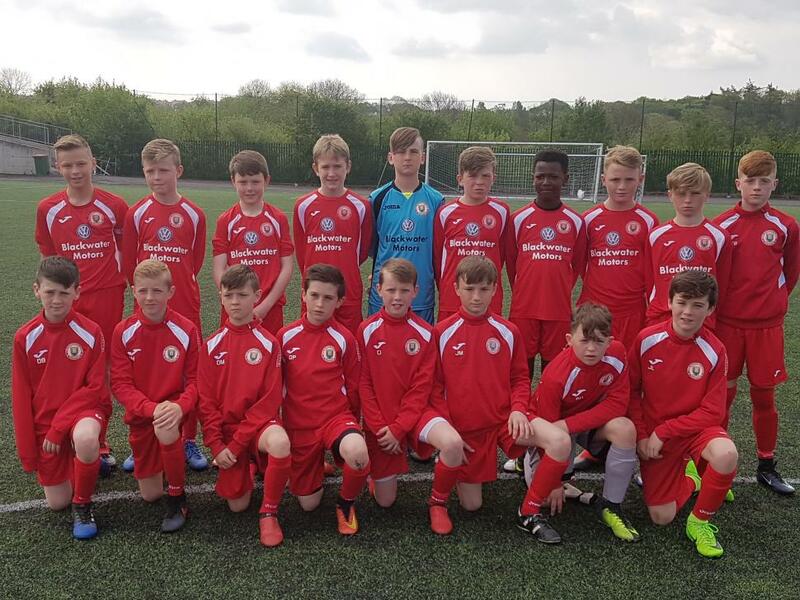 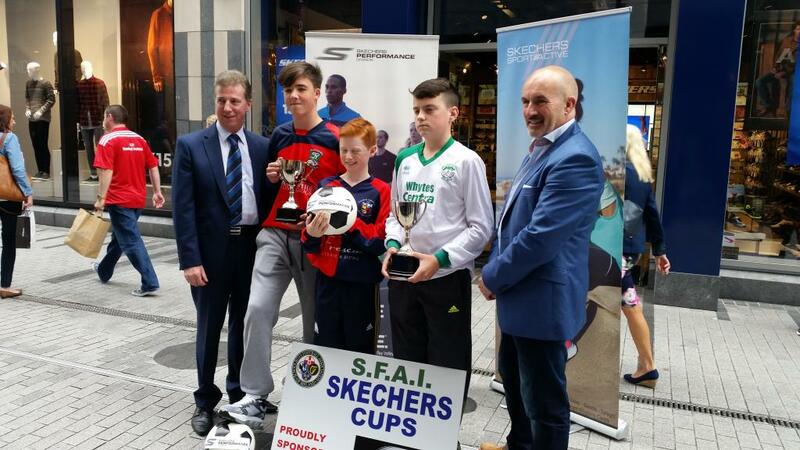 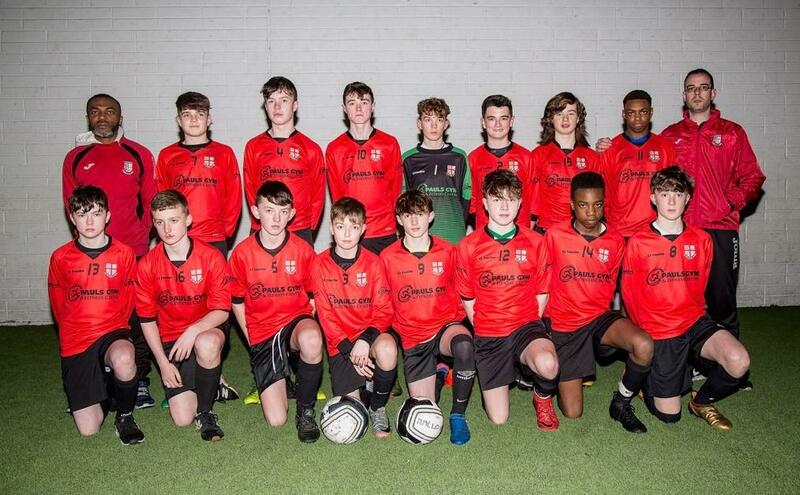 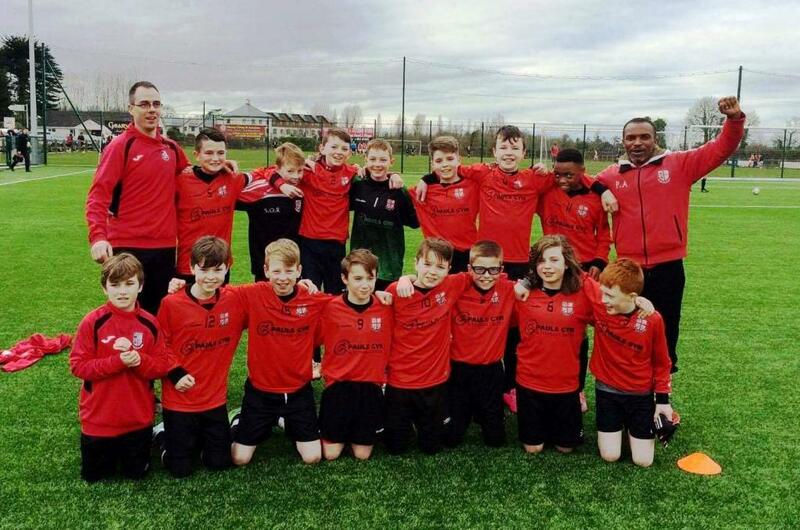 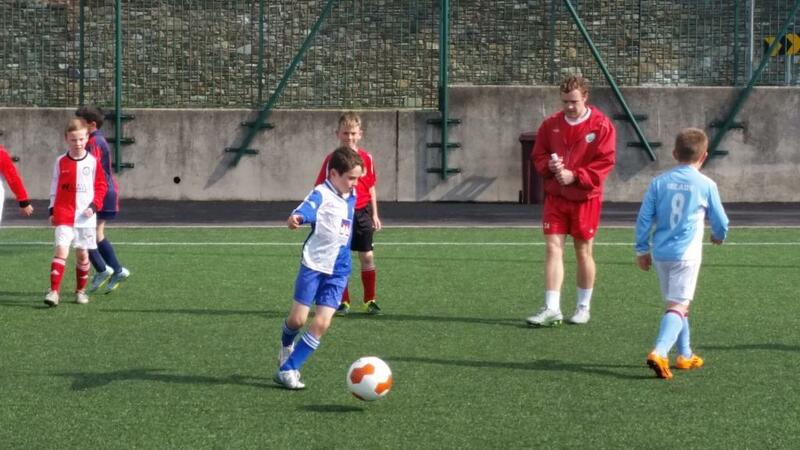 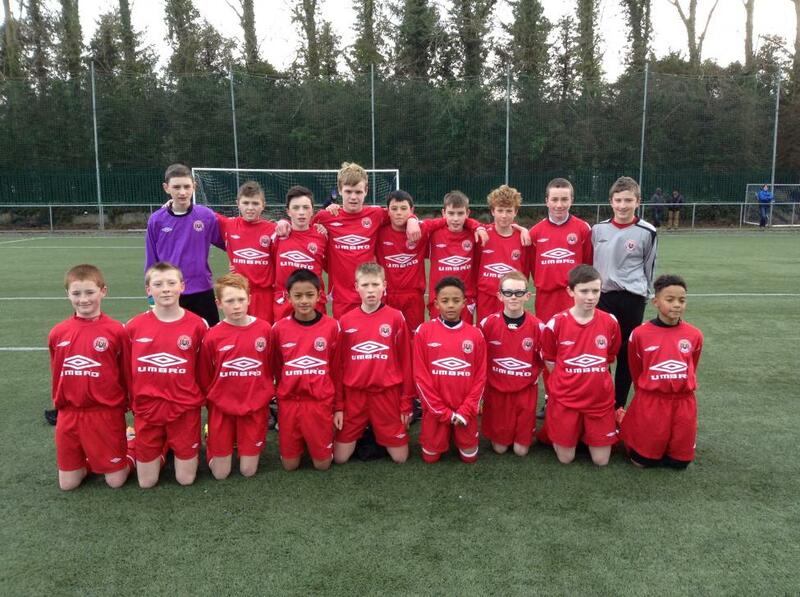 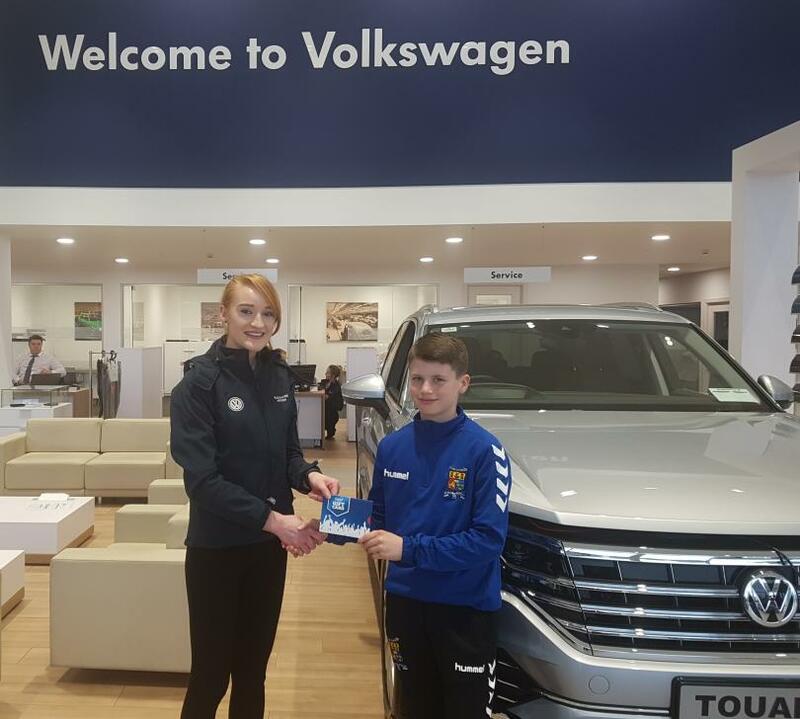 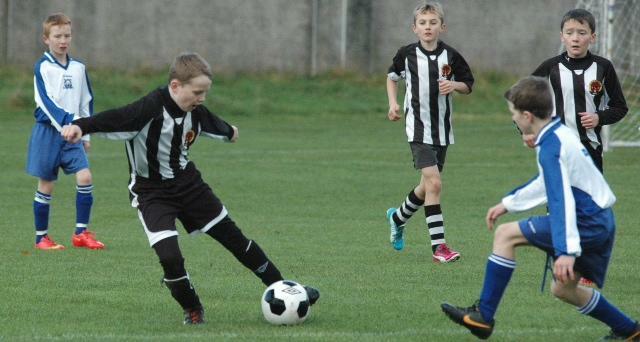 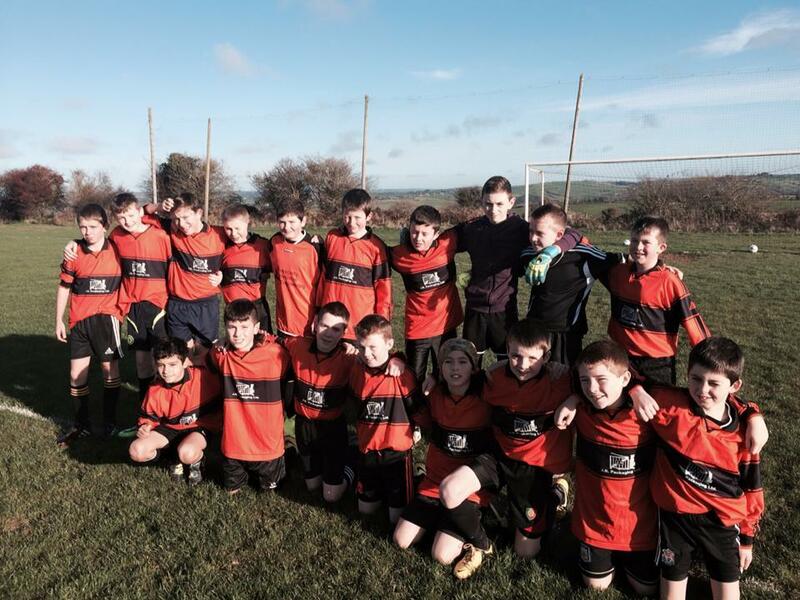 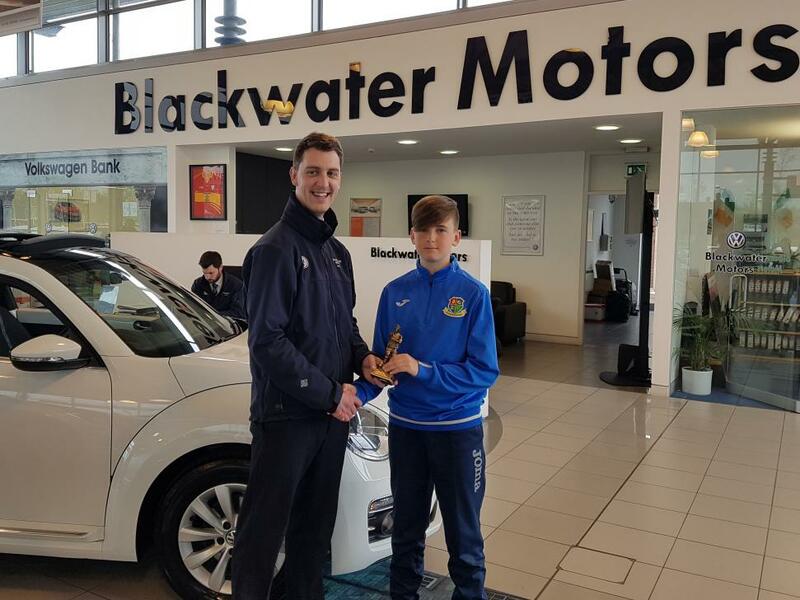 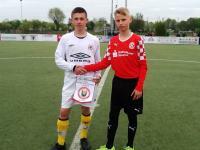 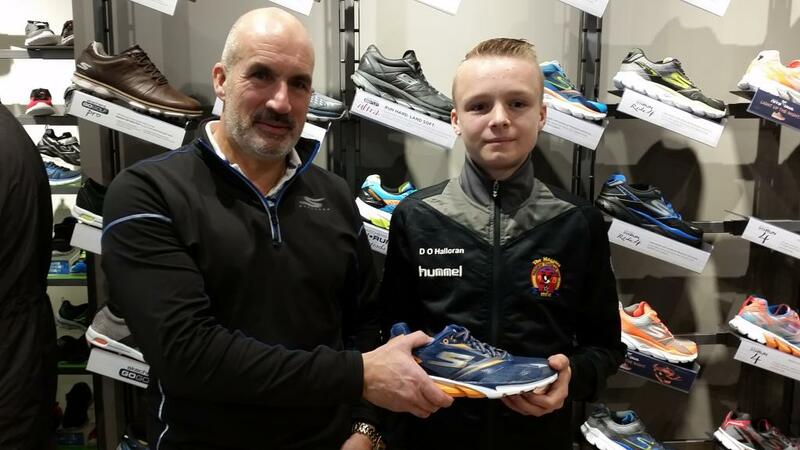 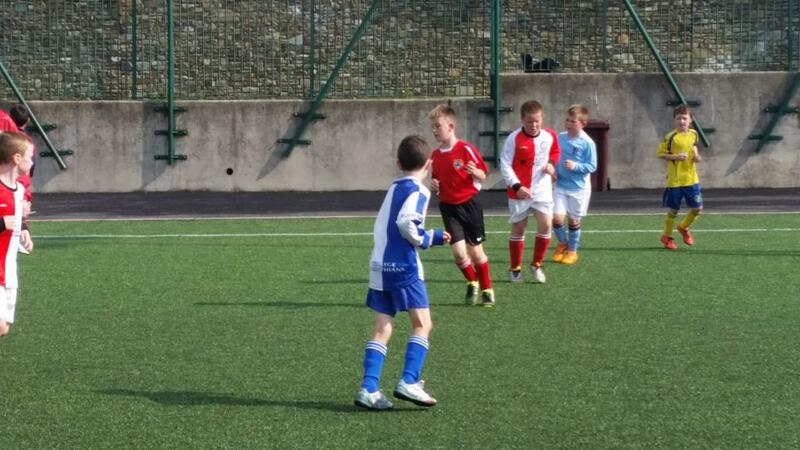 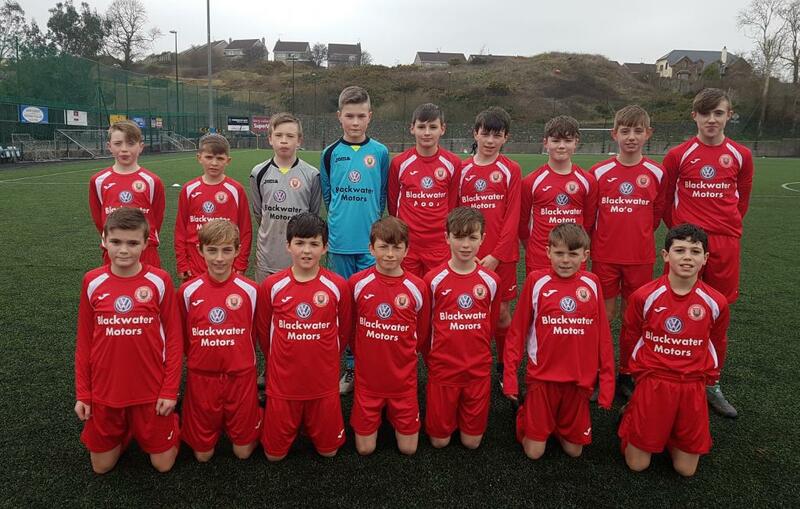 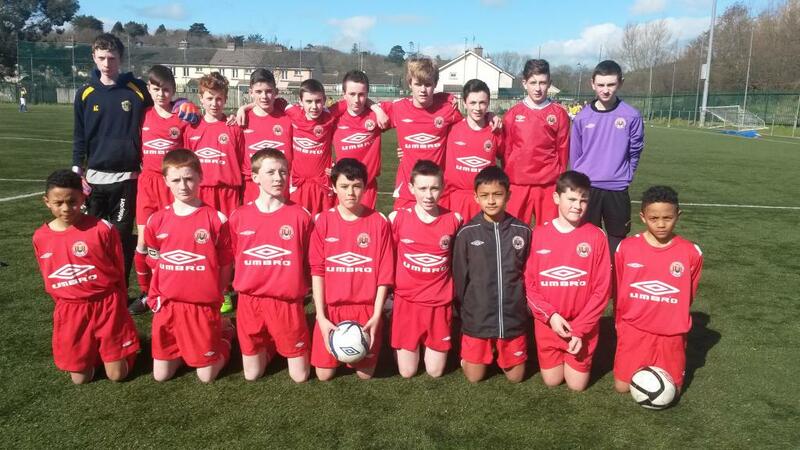 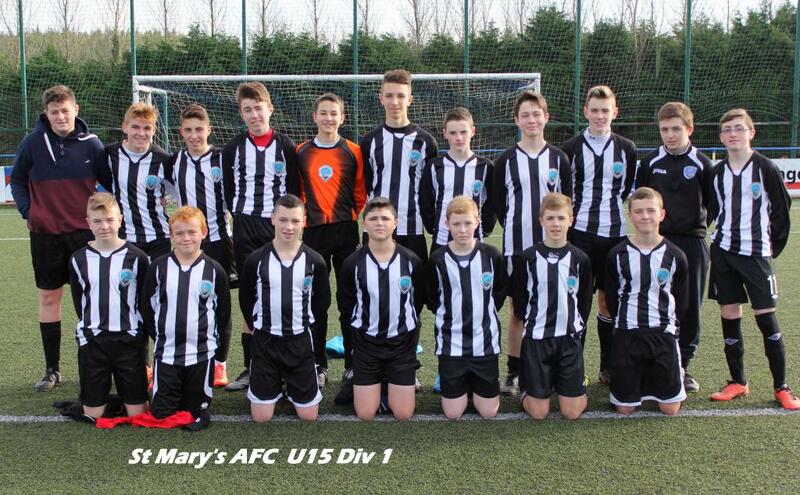 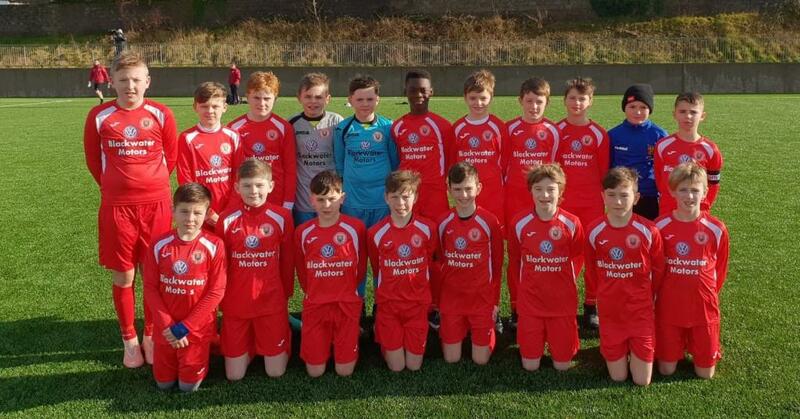 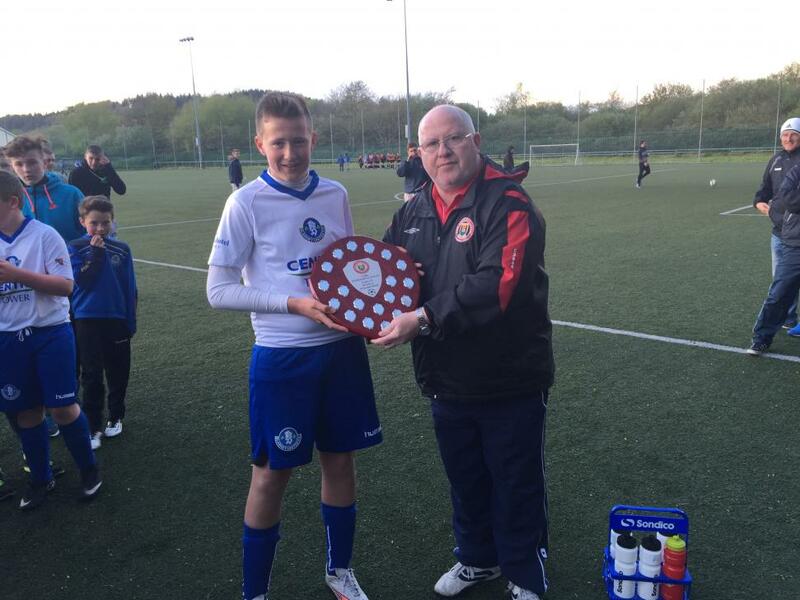 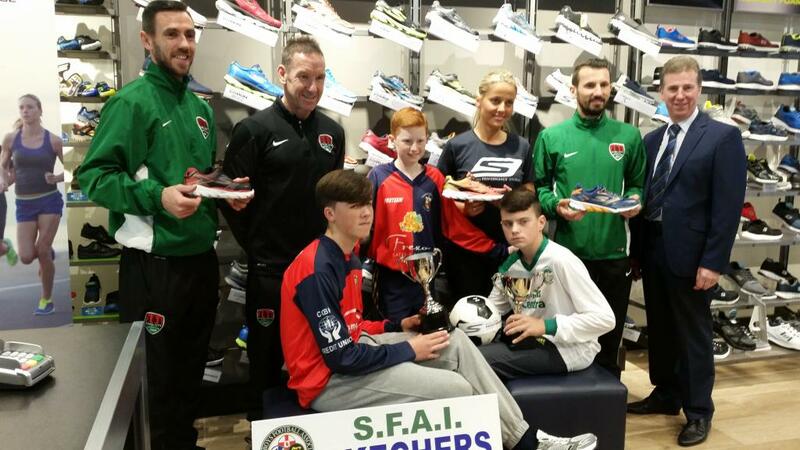 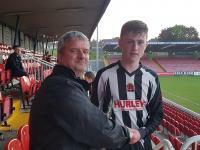 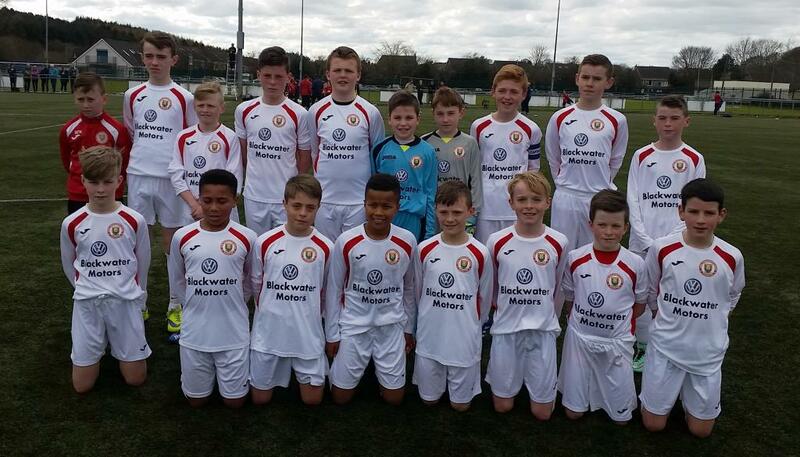 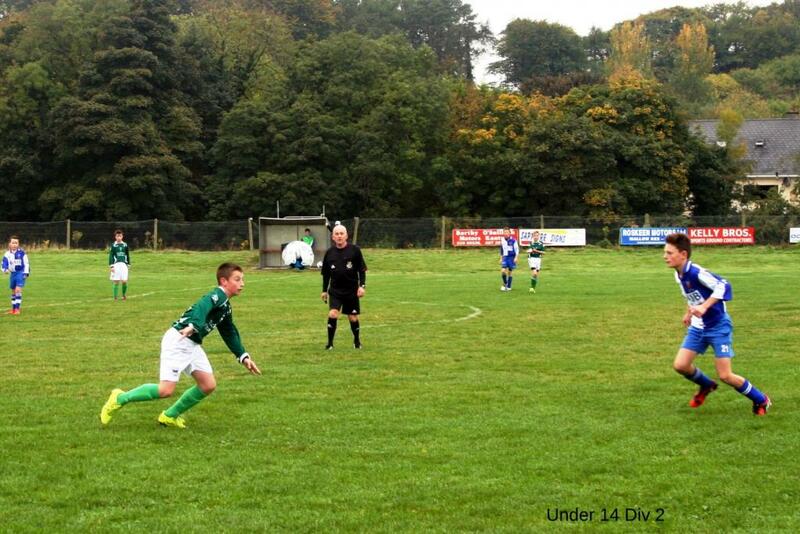 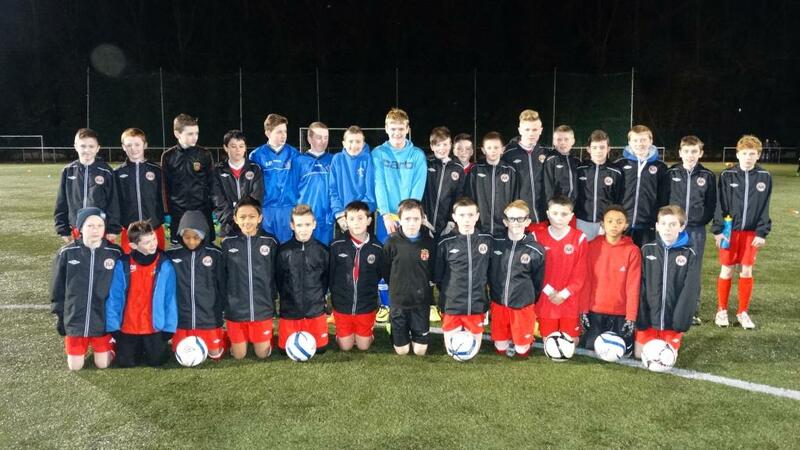 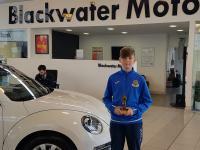 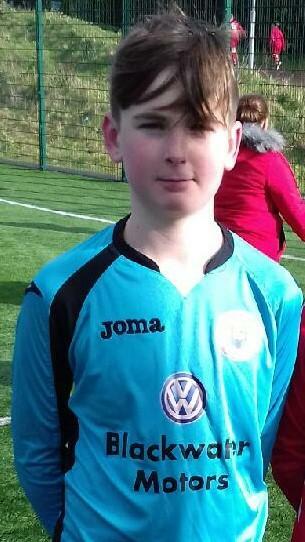 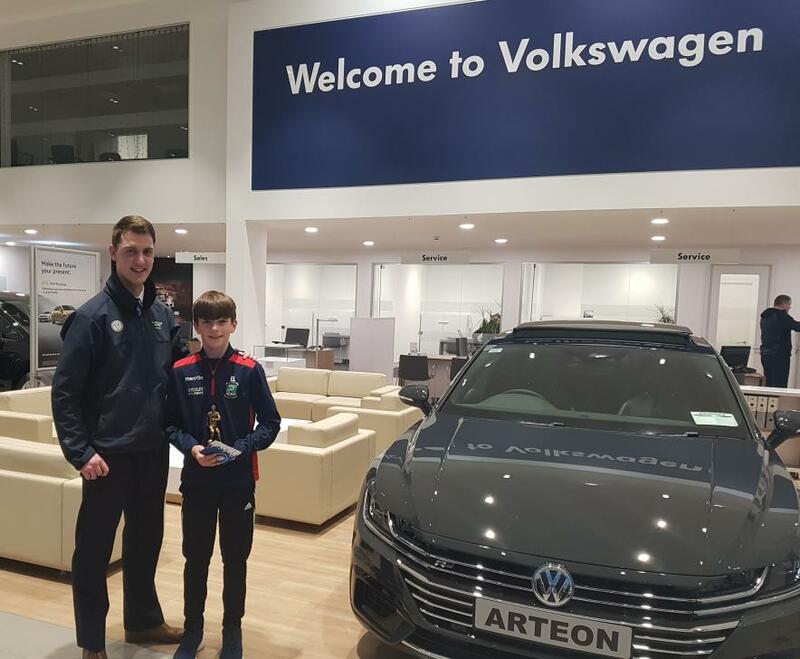 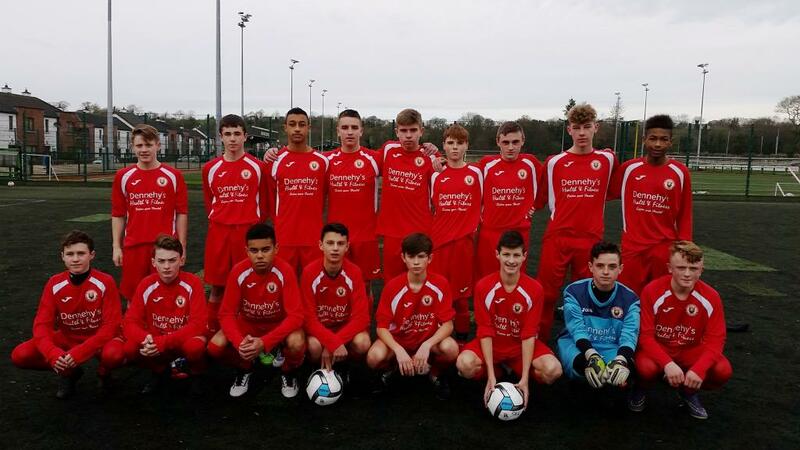 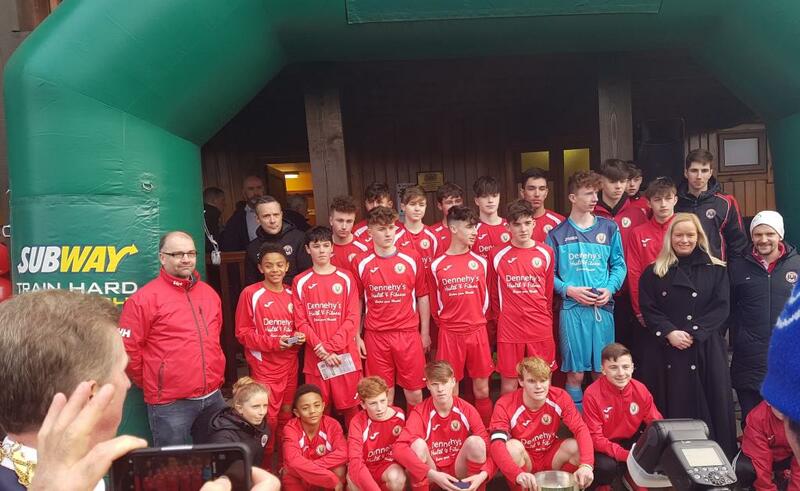 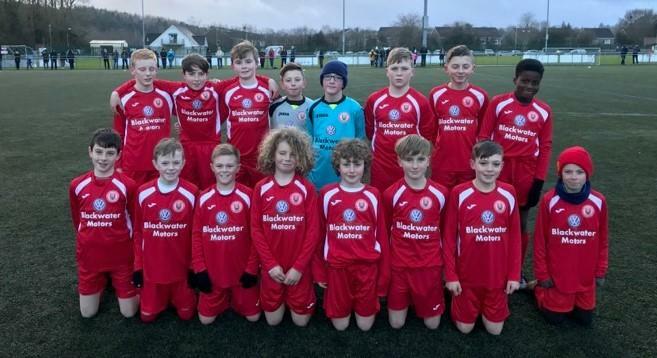 Robert Geaney O'Brien (Corinthians) is the Skechers CSL U14 Player of the Month for February. 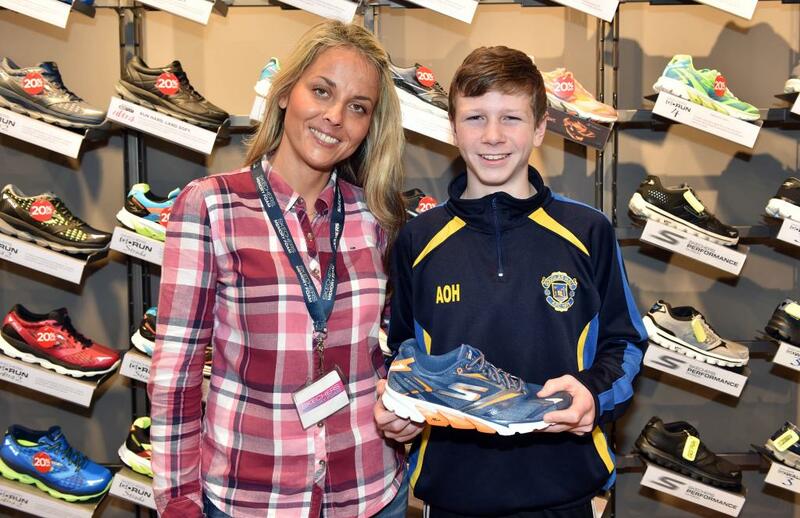 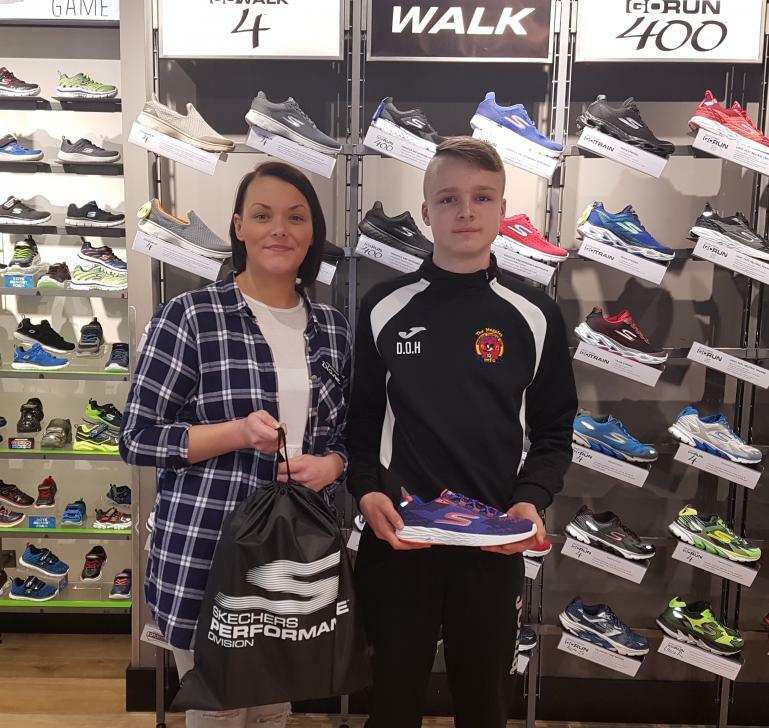 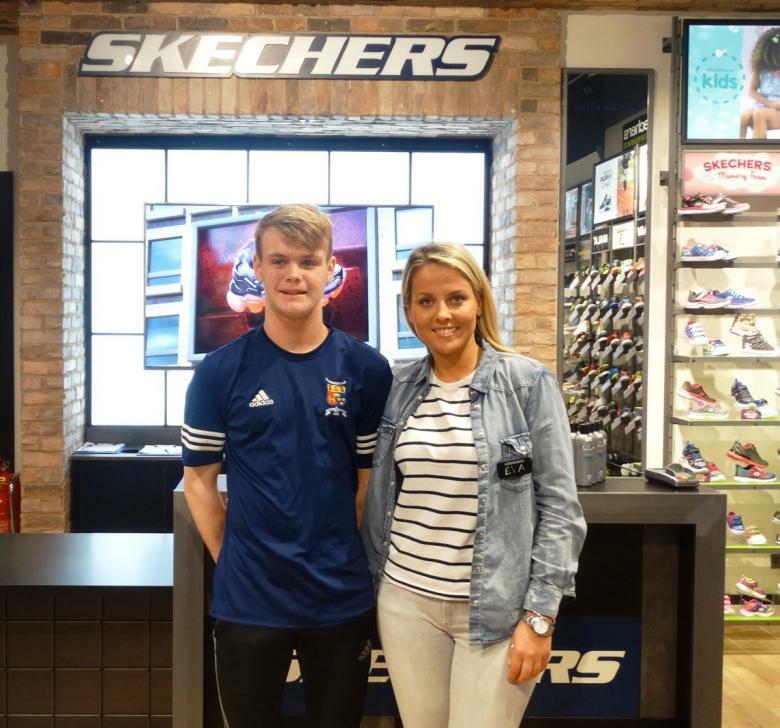 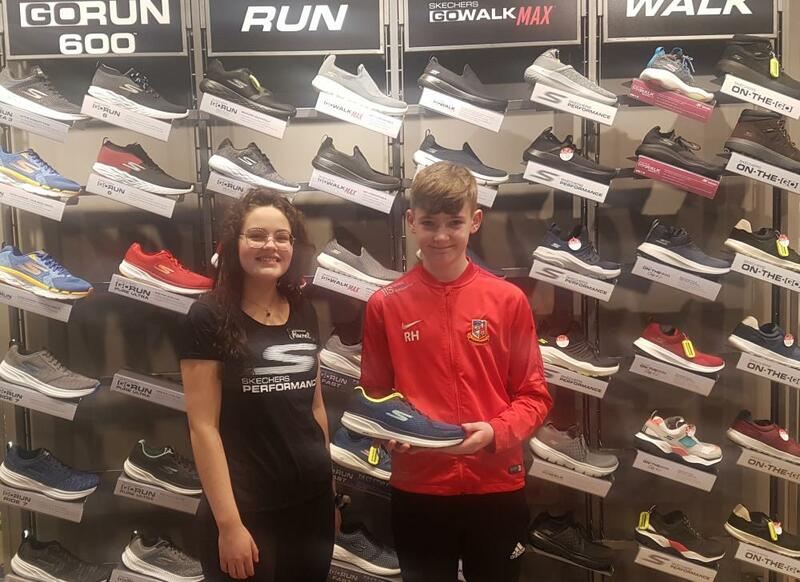 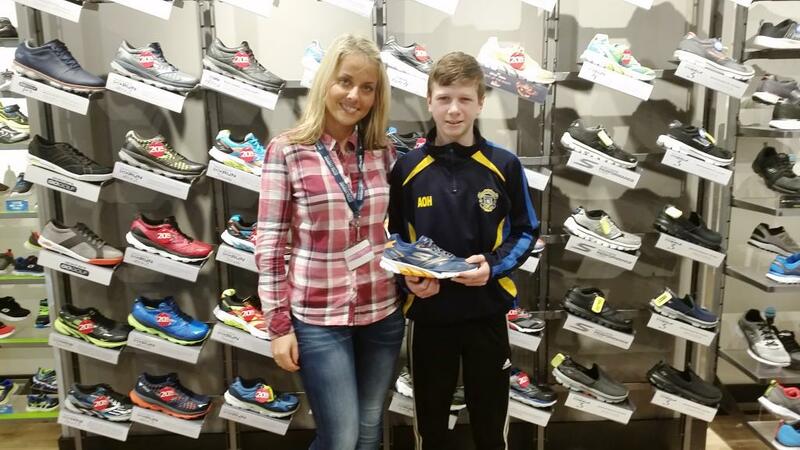 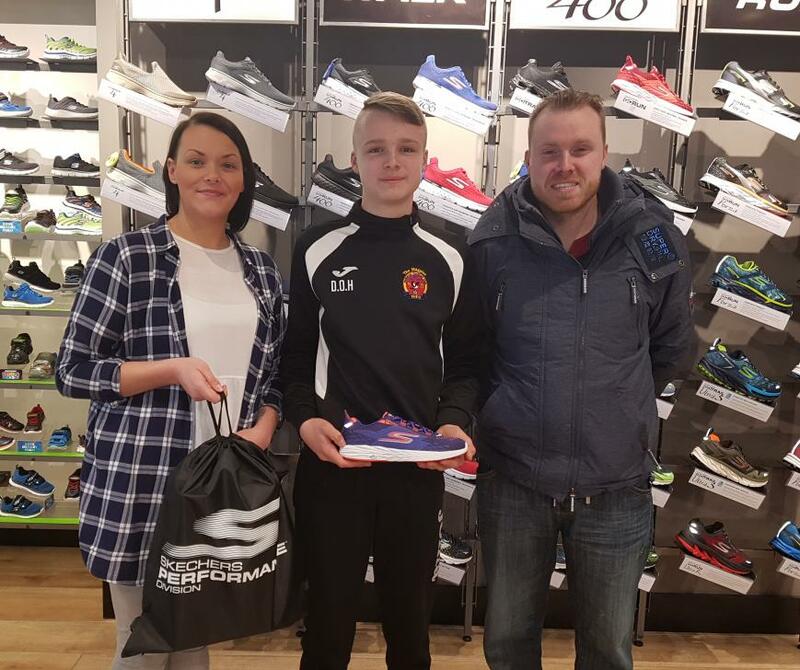 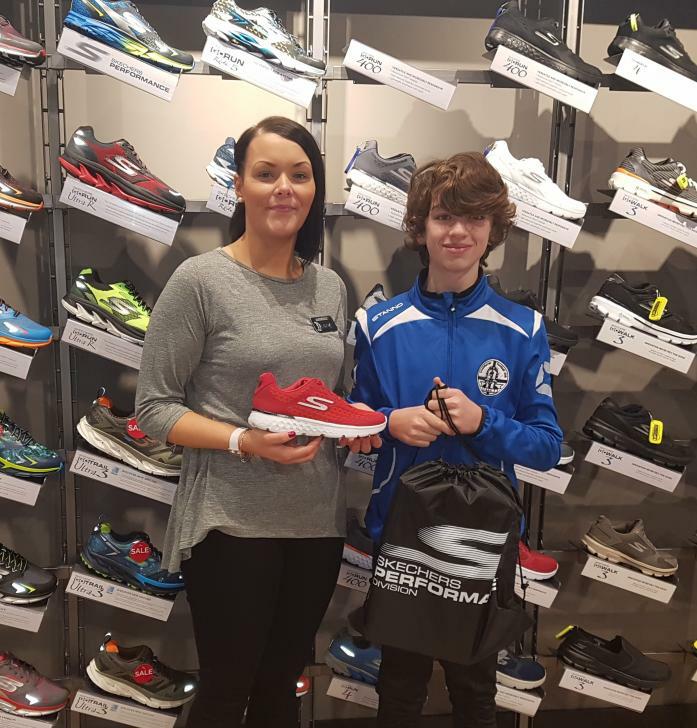 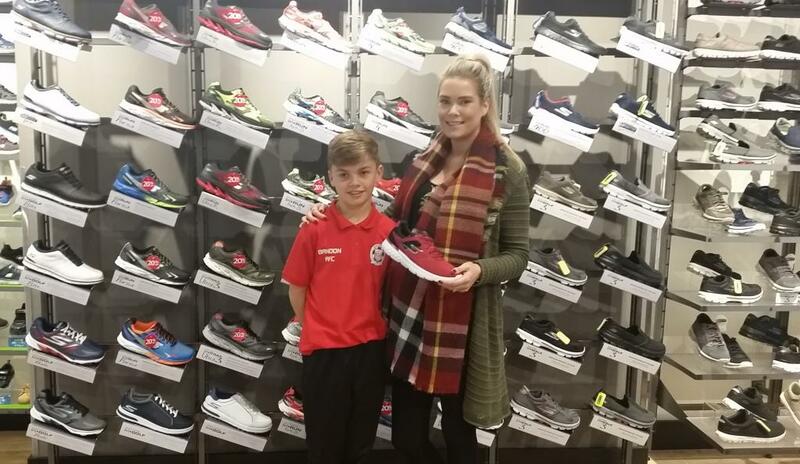 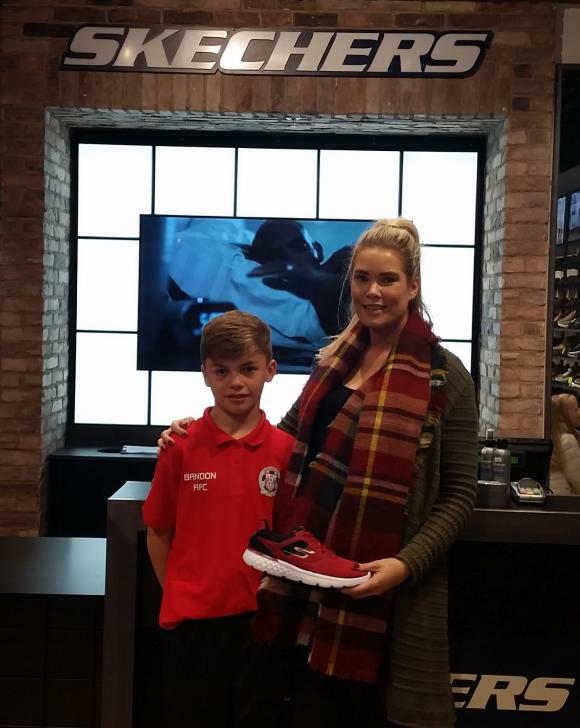 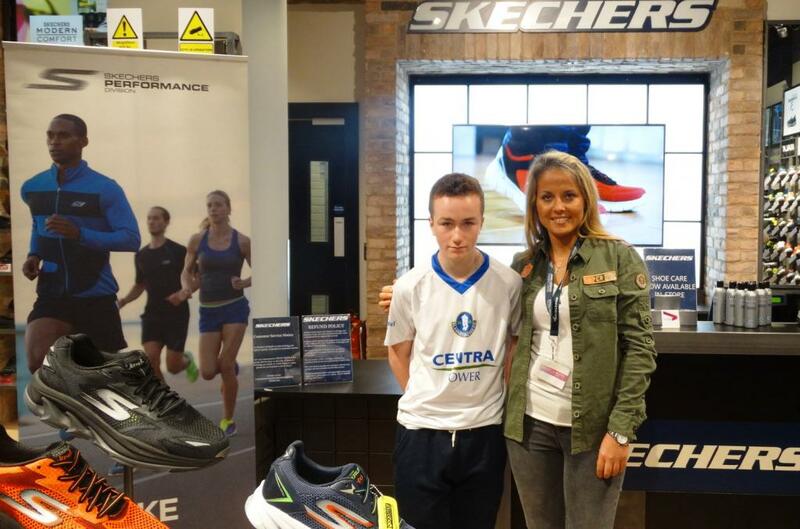 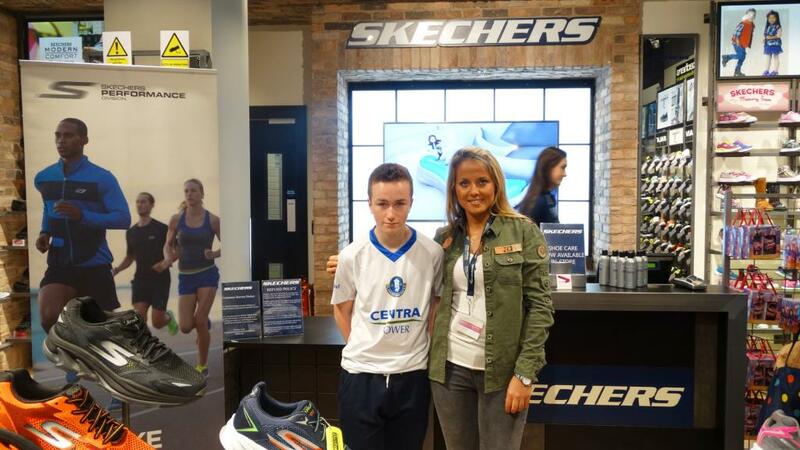 Robert is pictured with Skechers staff member Ewa when he received his Skechers Performace runners in the Skechers store in Opera Lane. 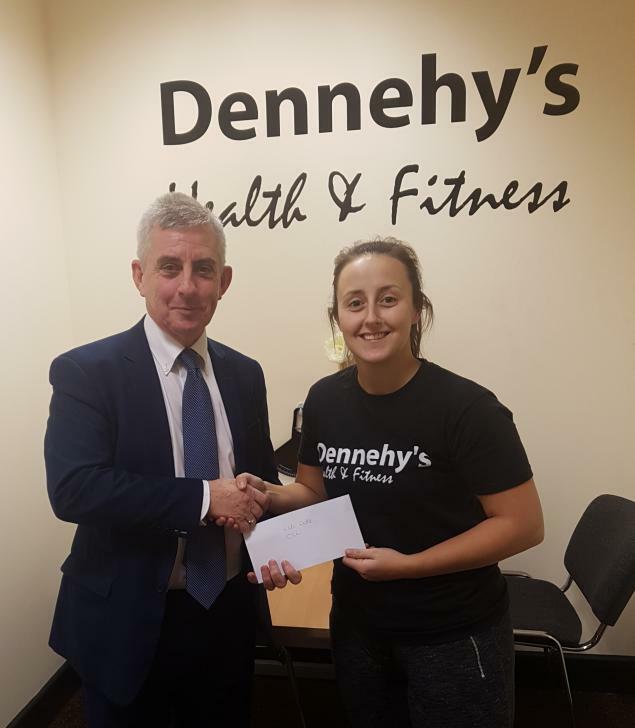 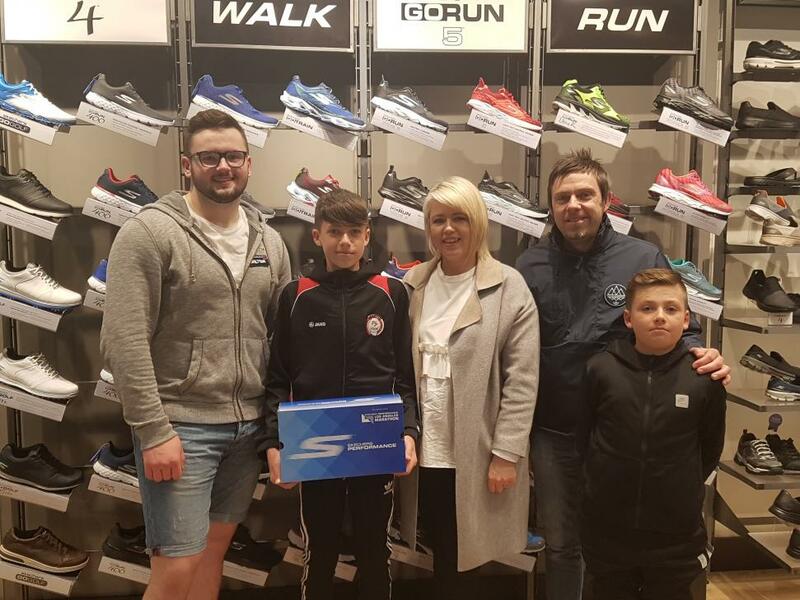 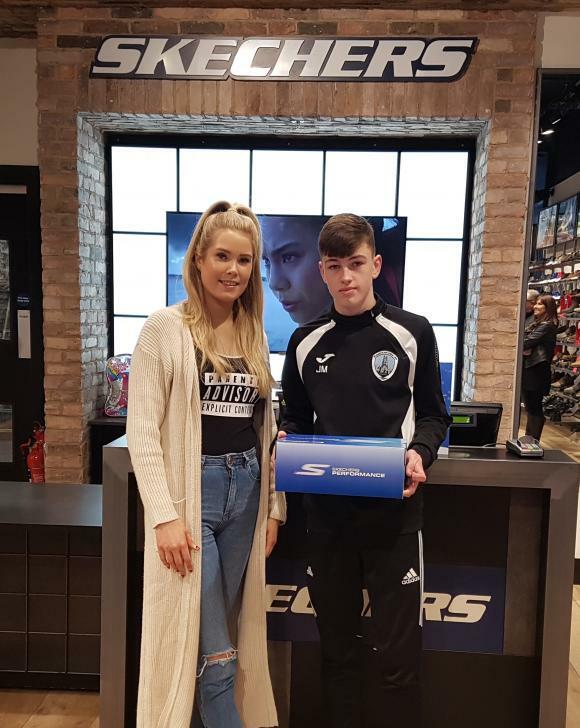 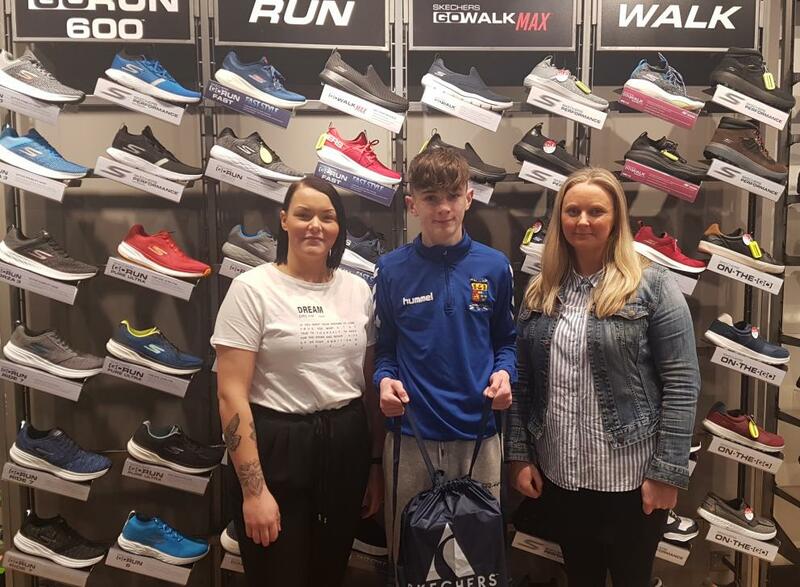 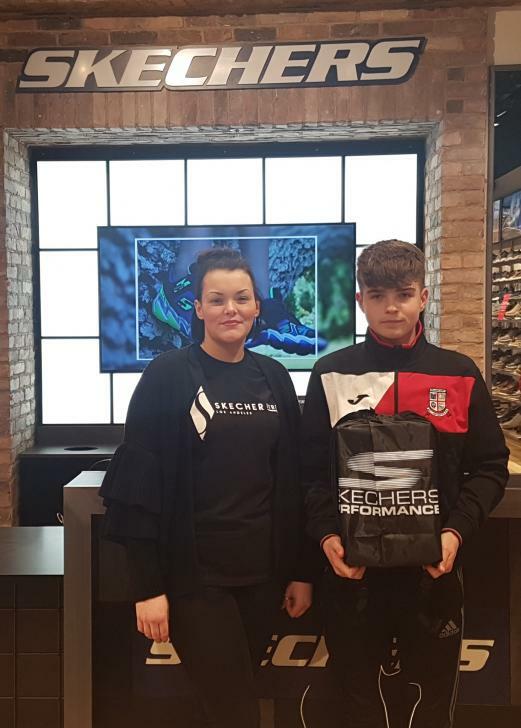 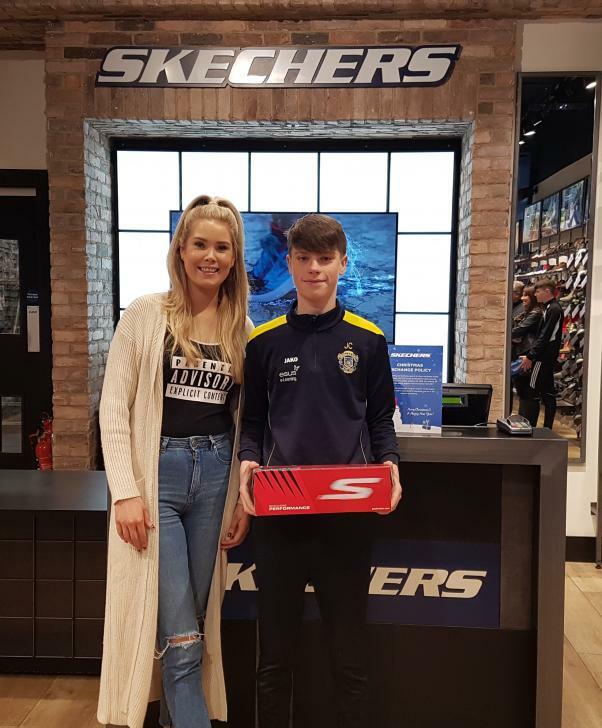 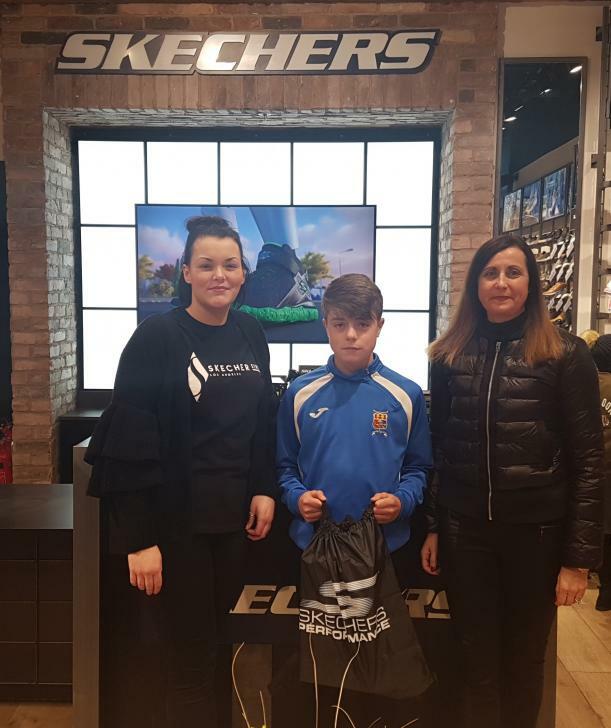 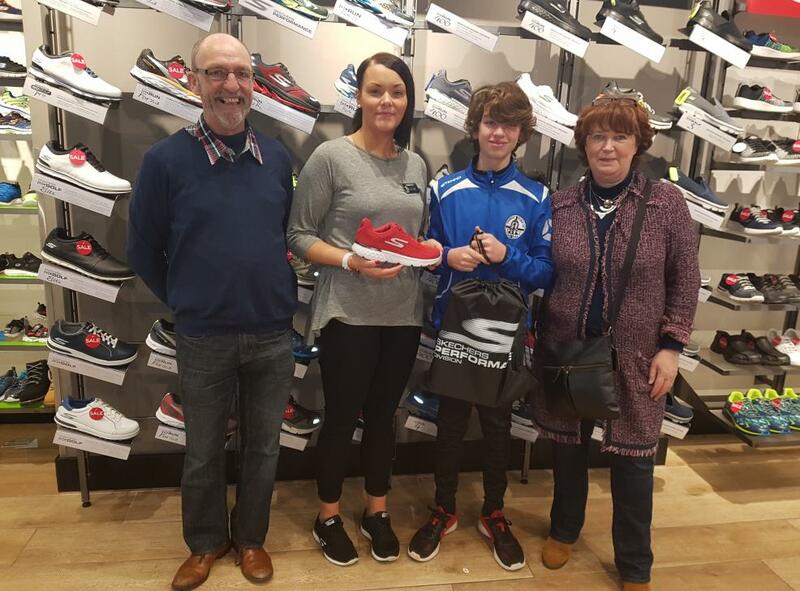 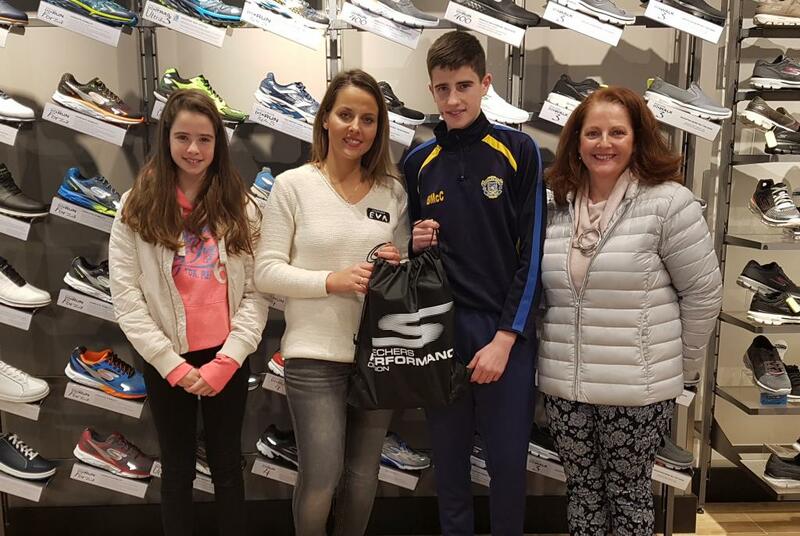 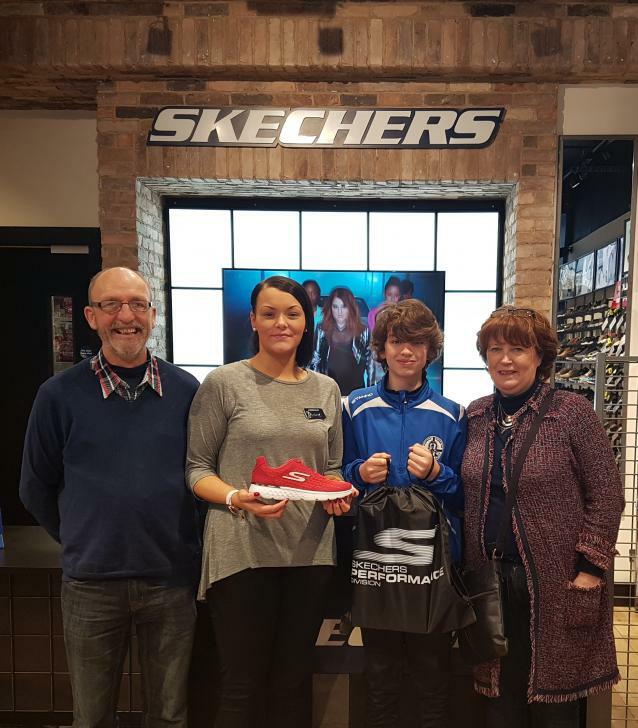 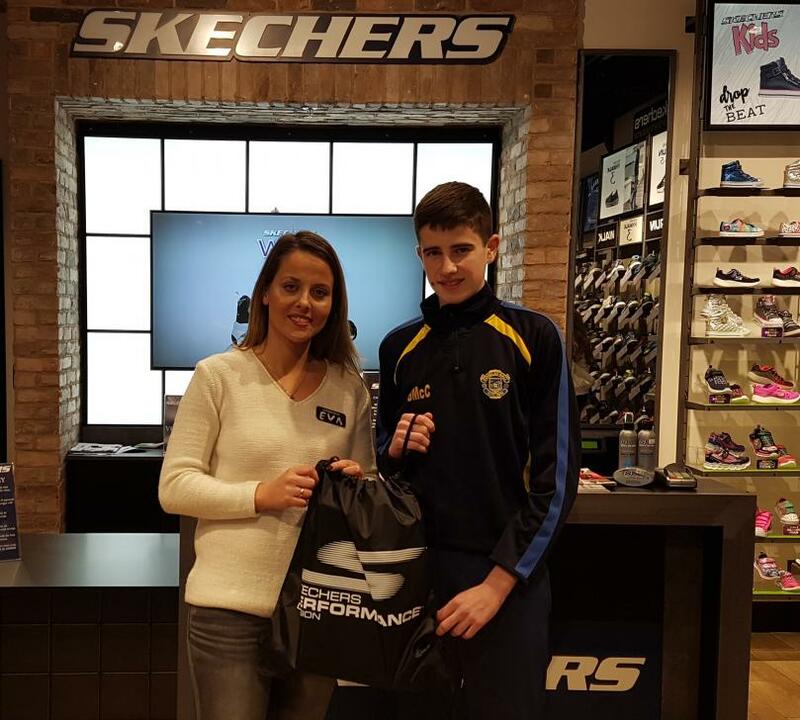 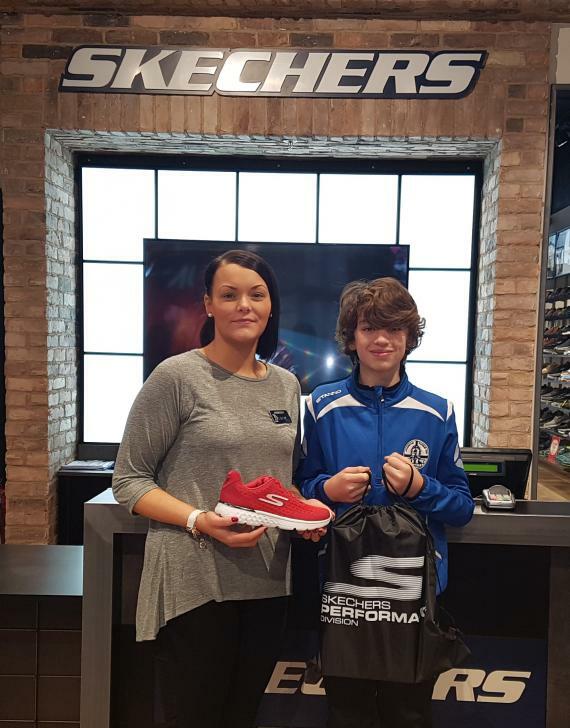 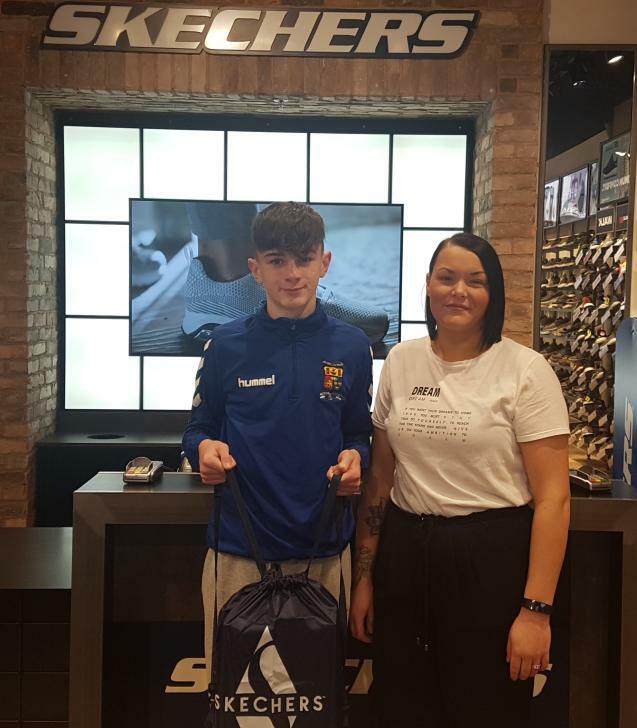 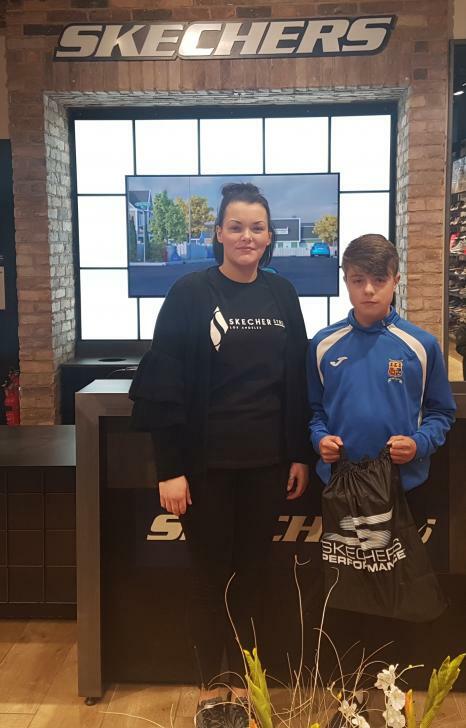 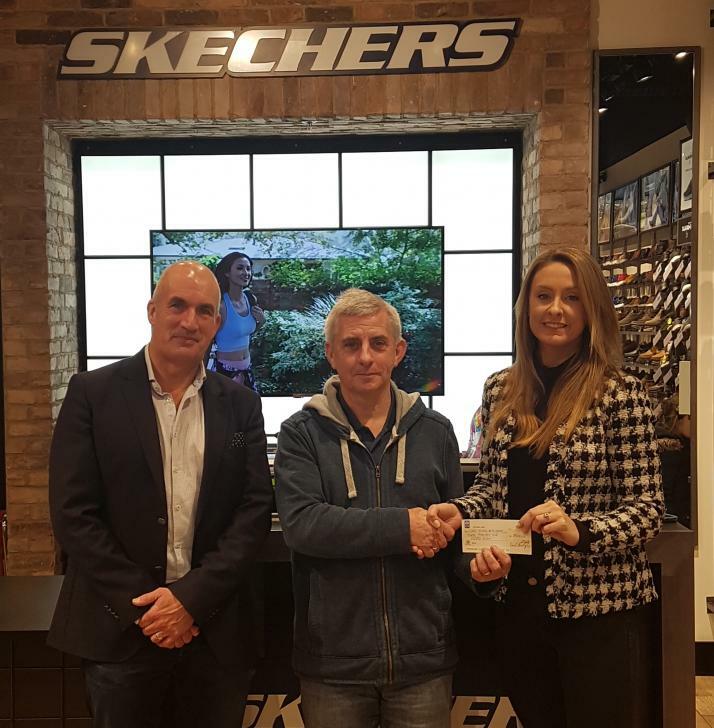 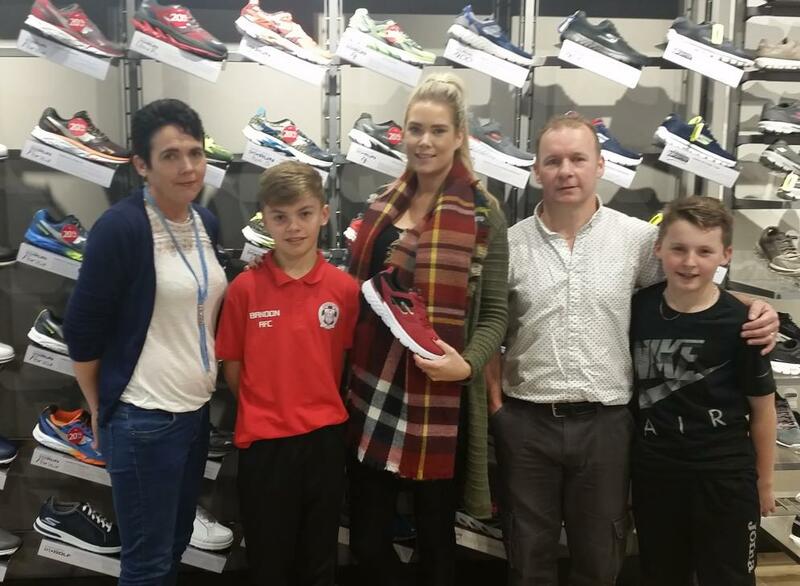 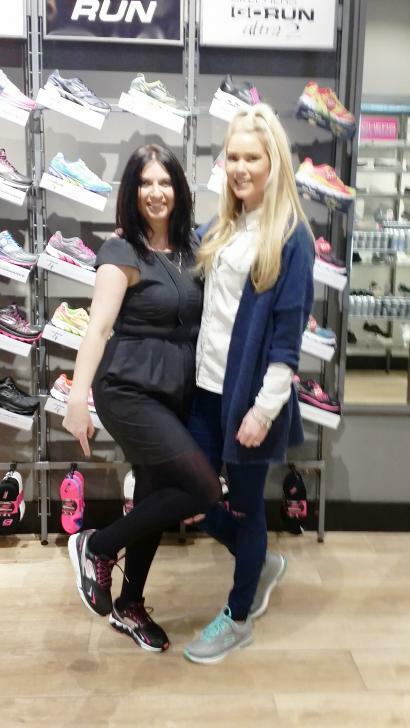 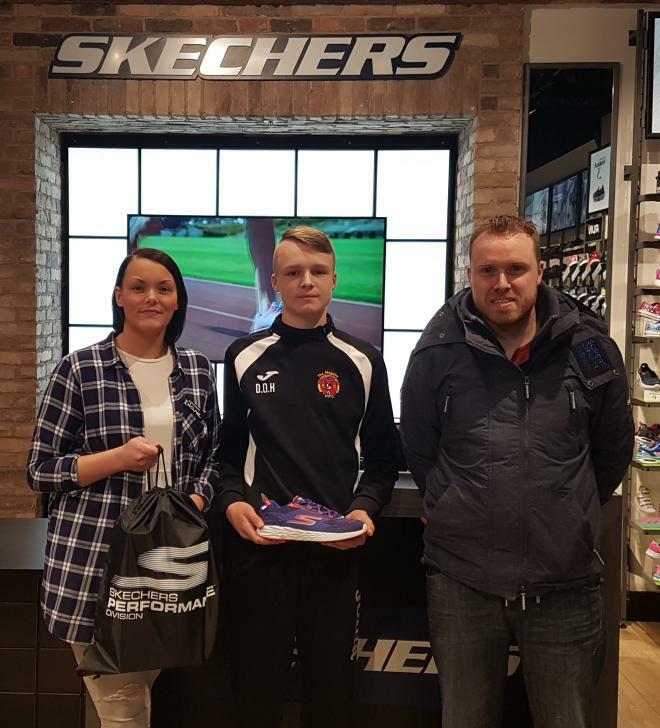 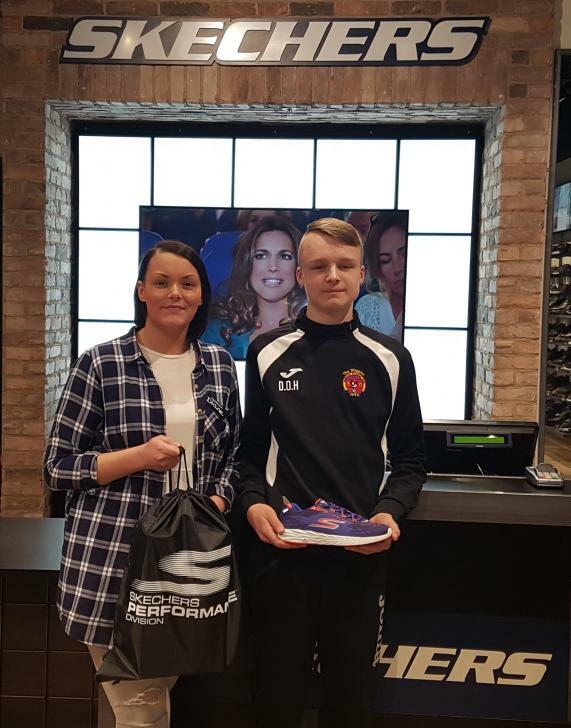 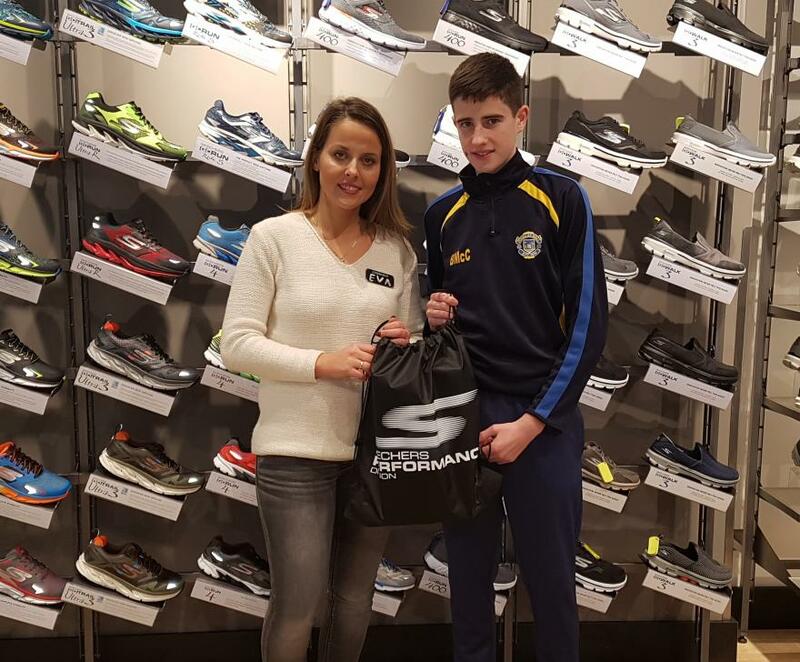 Nathleen Kelleher, winner of the Skechers CSL Facebook competition, pictured with her new Sketchers presented by Liabhain of Skechers Opera Lane. Brian Simpson, pictured with Skechers staff member Dalton O'Shaughnessy in the Skechers Store in Opera Lane. 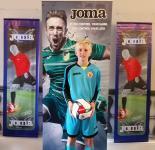 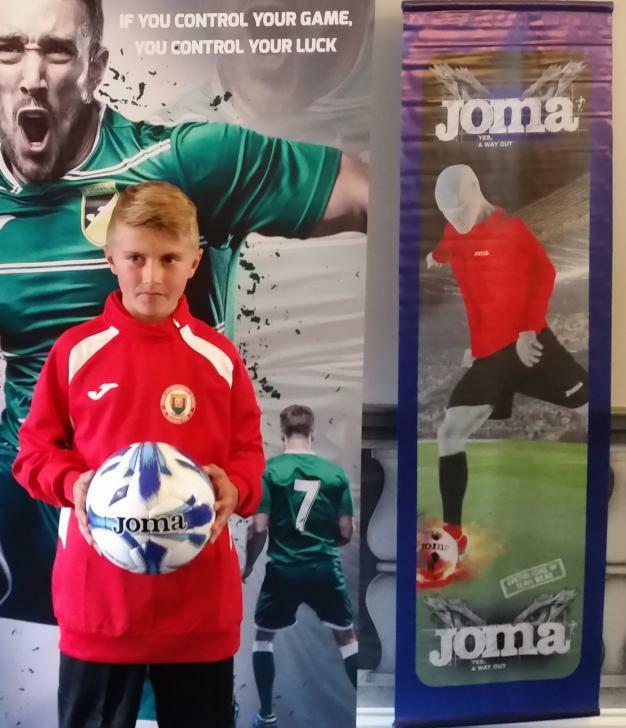 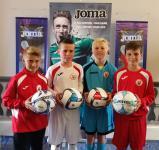 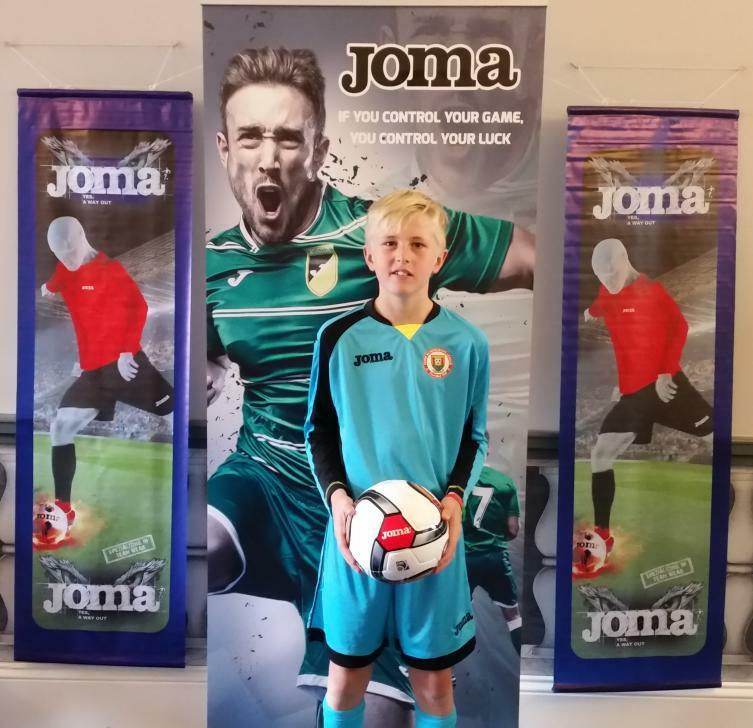 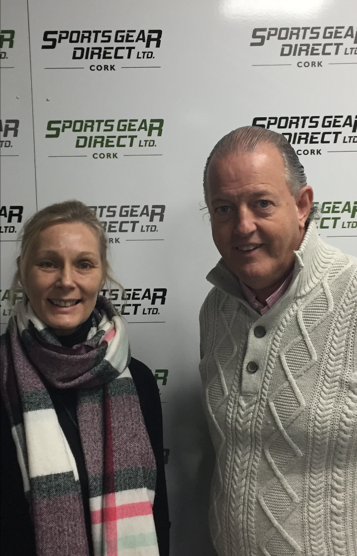 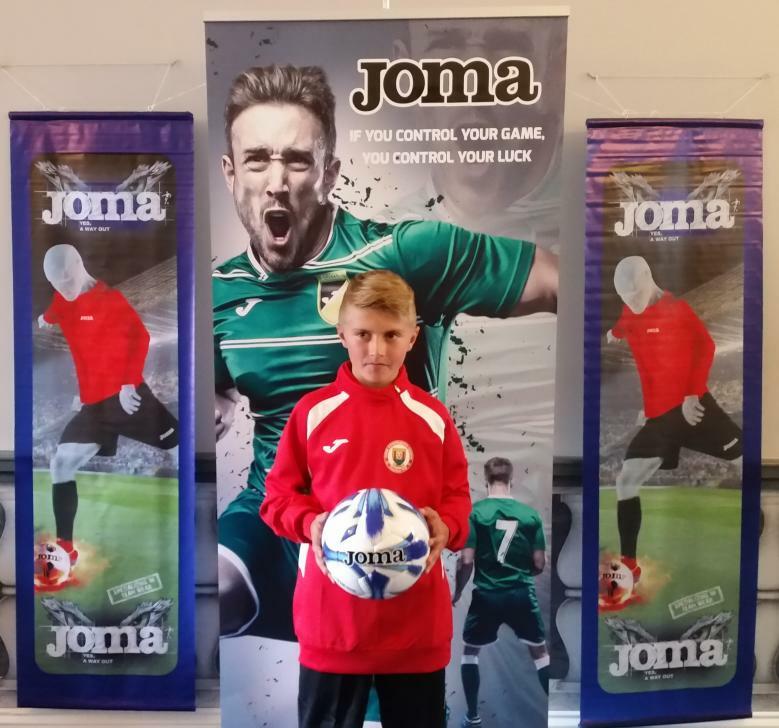 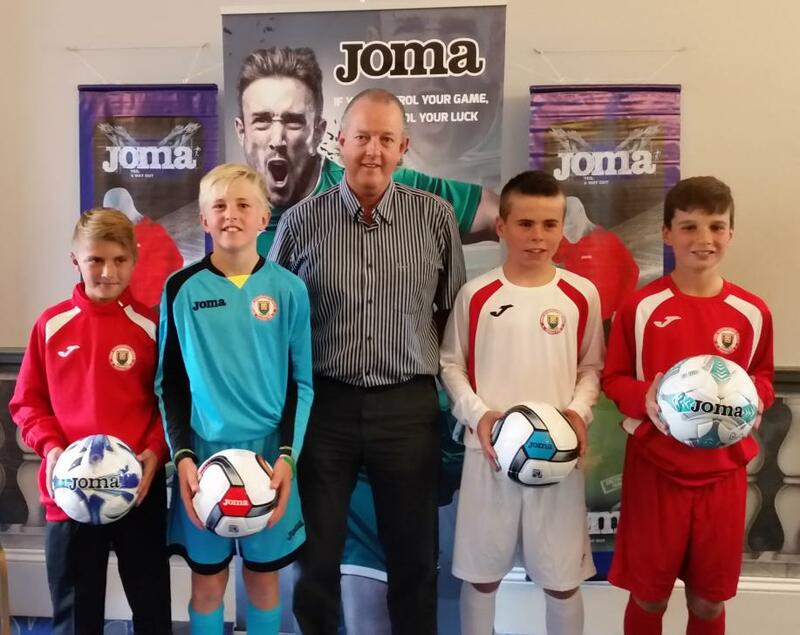 In conjunction with Joma, Sportsgear Direct are delighted to launch the CSL Supporters Range. 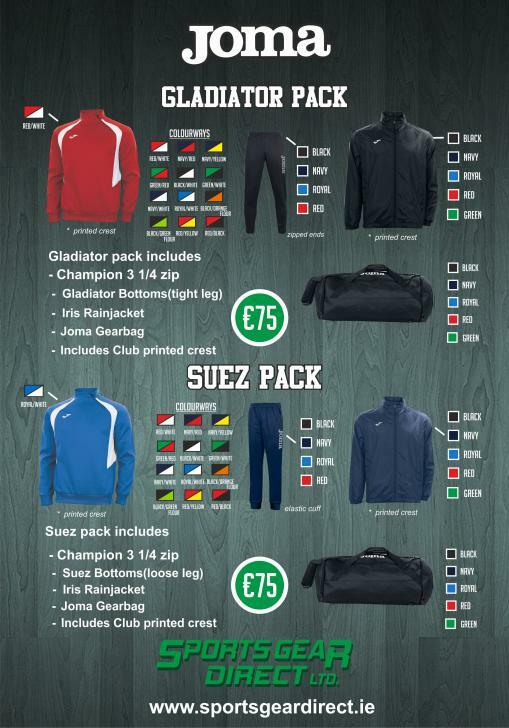 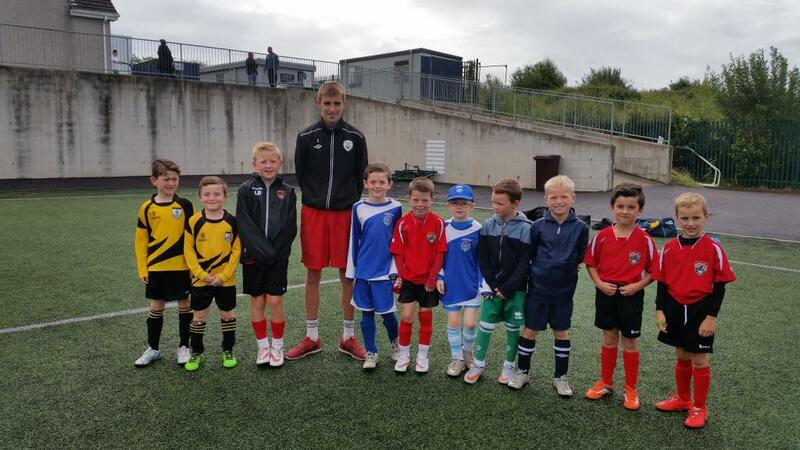 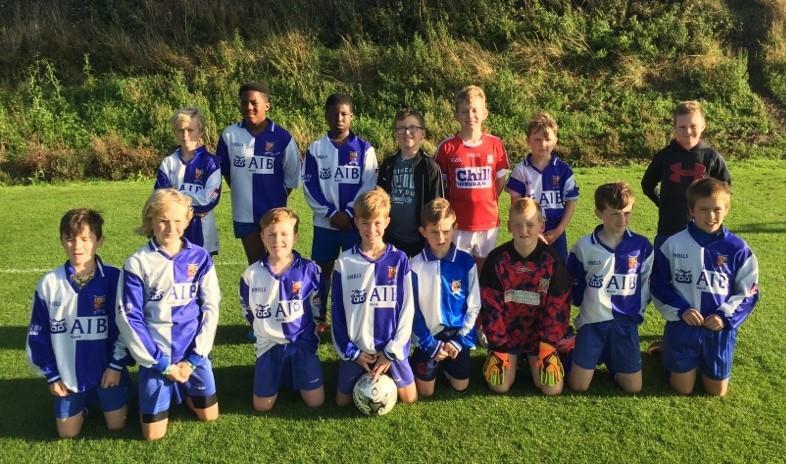 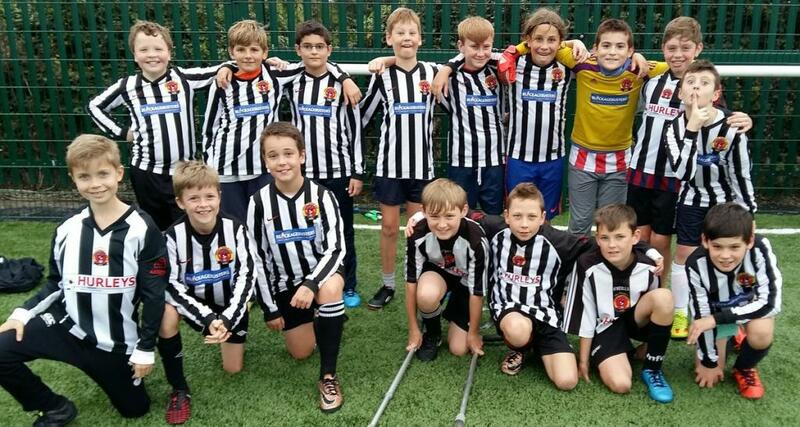 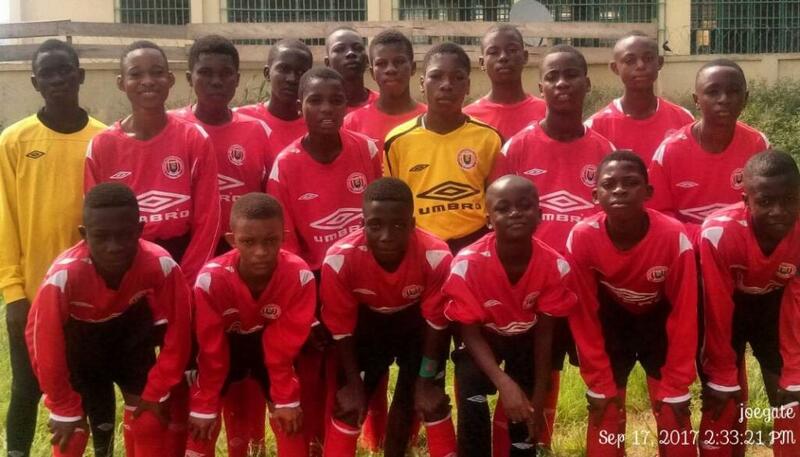 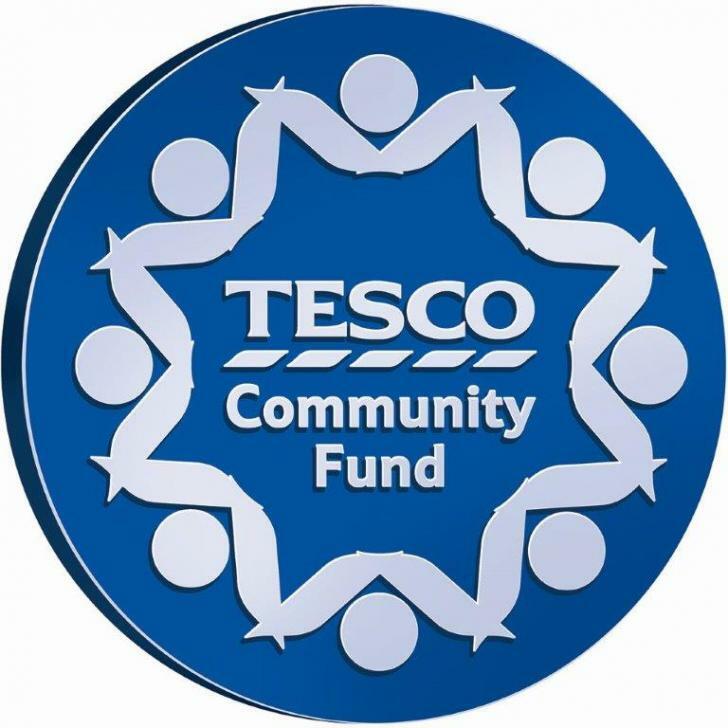 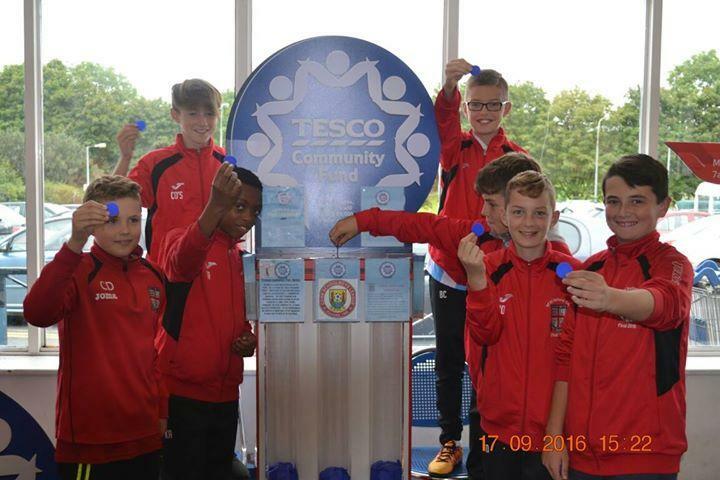 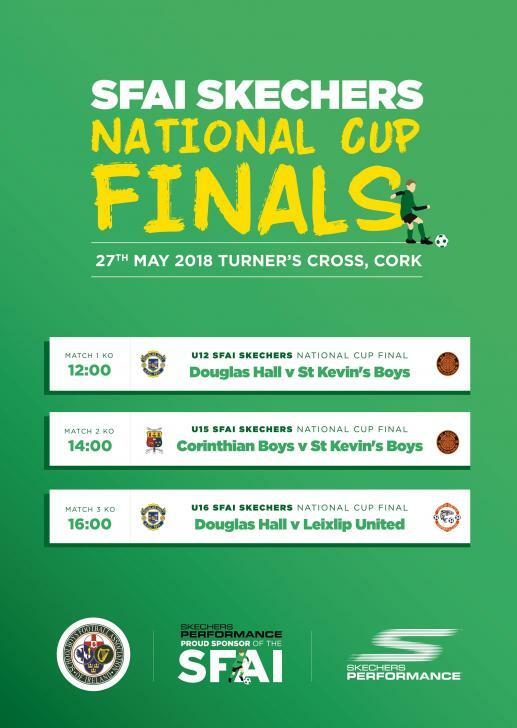 This comprises a number of hoodies, jackets and tops, all crested with the CSL Logo and are available in adult and junior sizes. 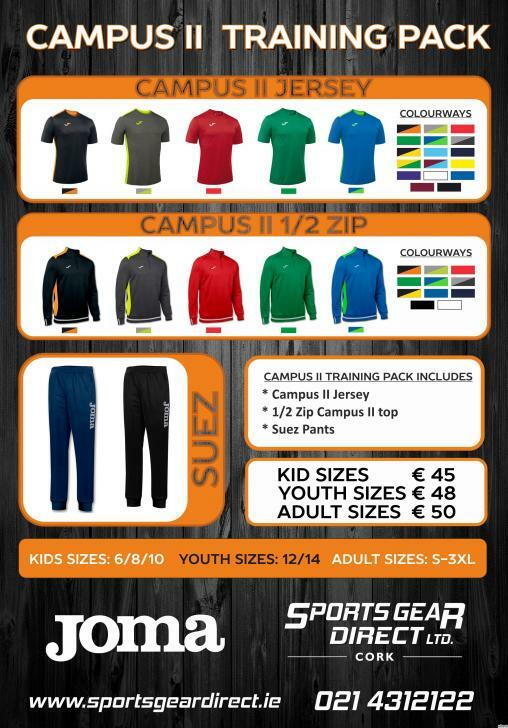 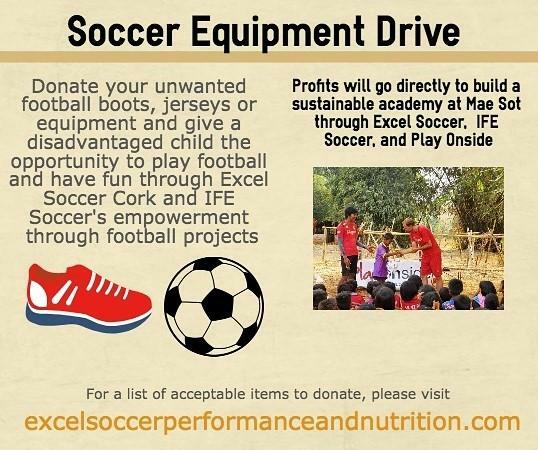 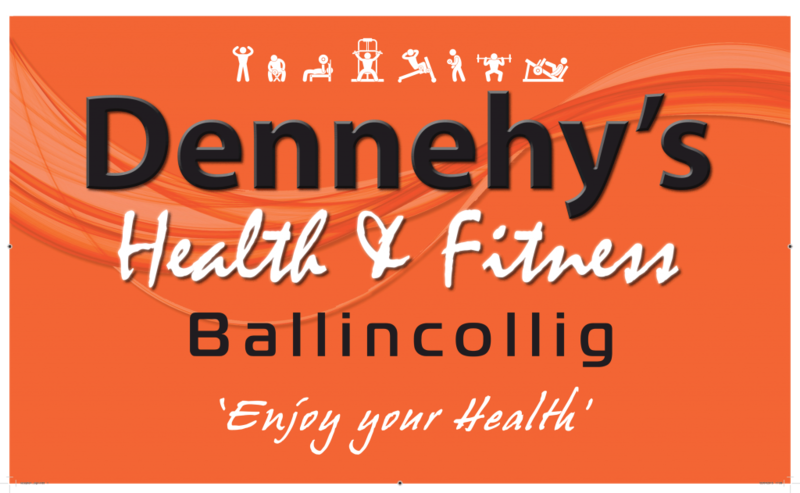 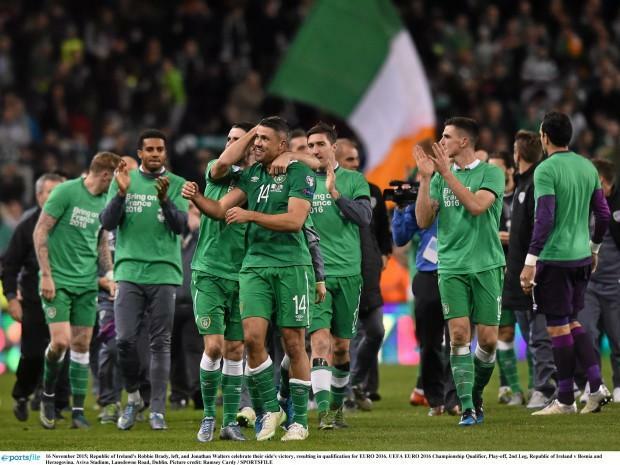 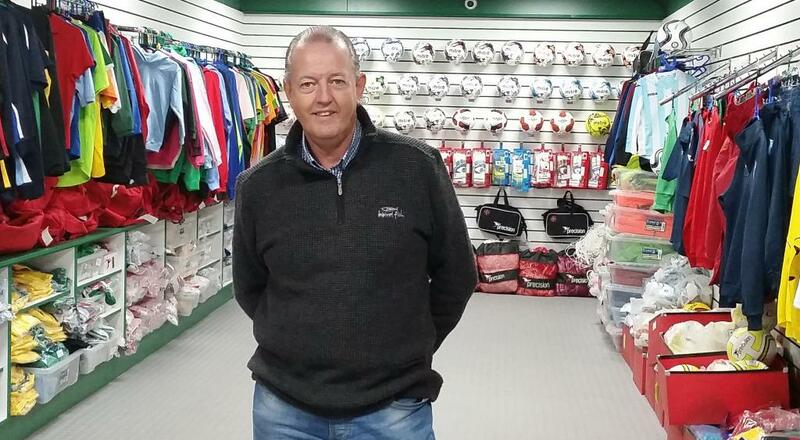 Simply contact us either by email, phone or drop into the shop on Tramore Road, to order your items. 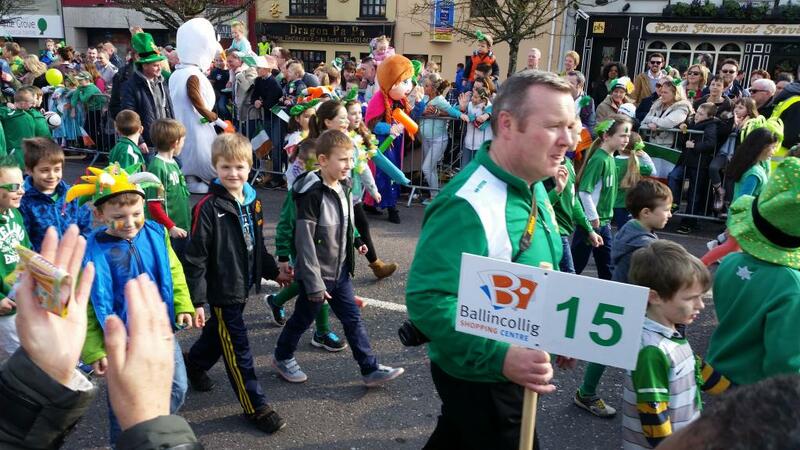 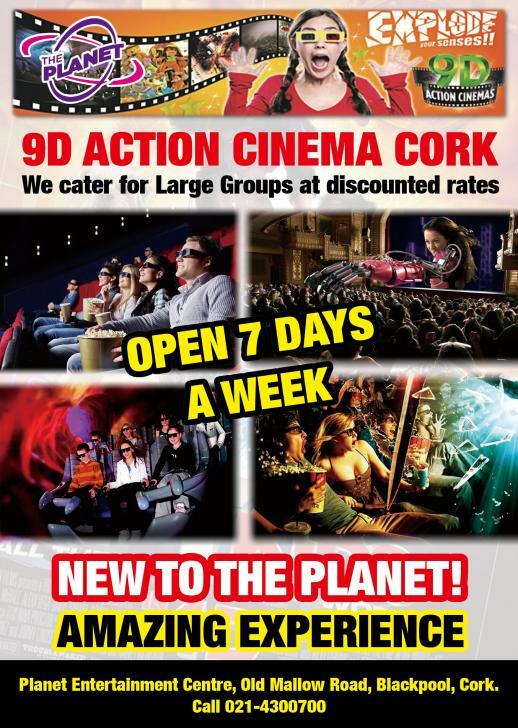 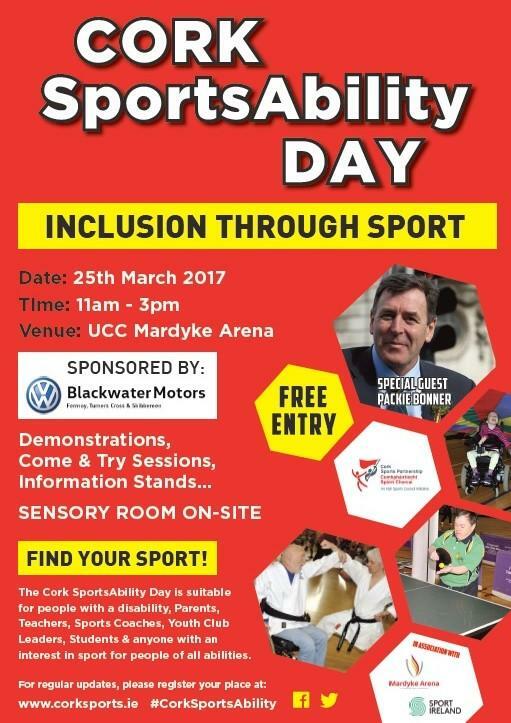 Blackwater Motors showromms are in Cork, Fermoy and Skibbereen. 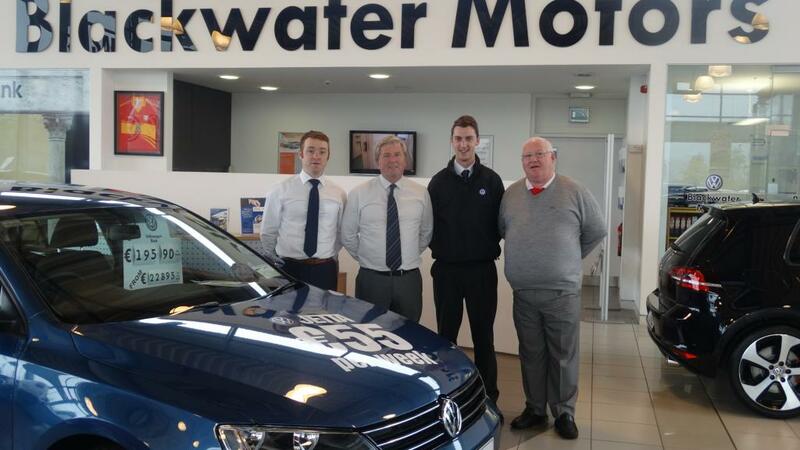 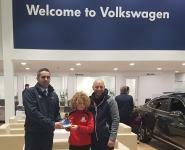 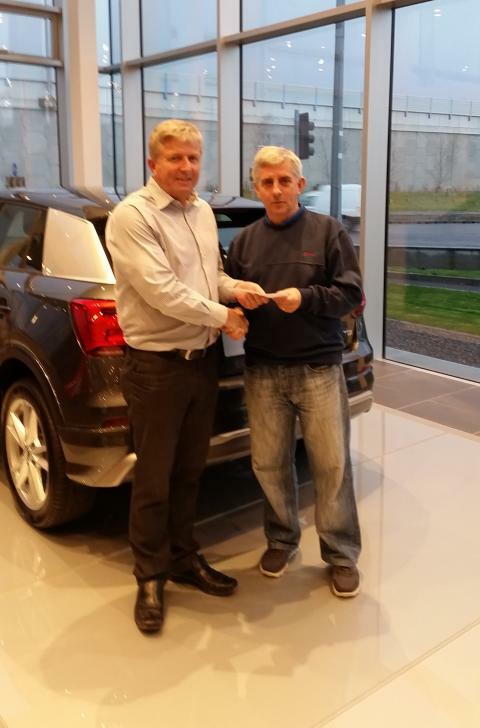 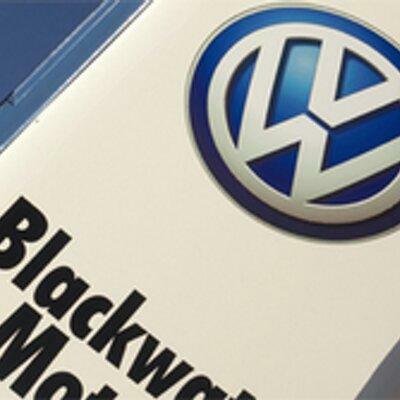 Blackwater motors have showrooms in Cork, Fermoy and Skibbereen. 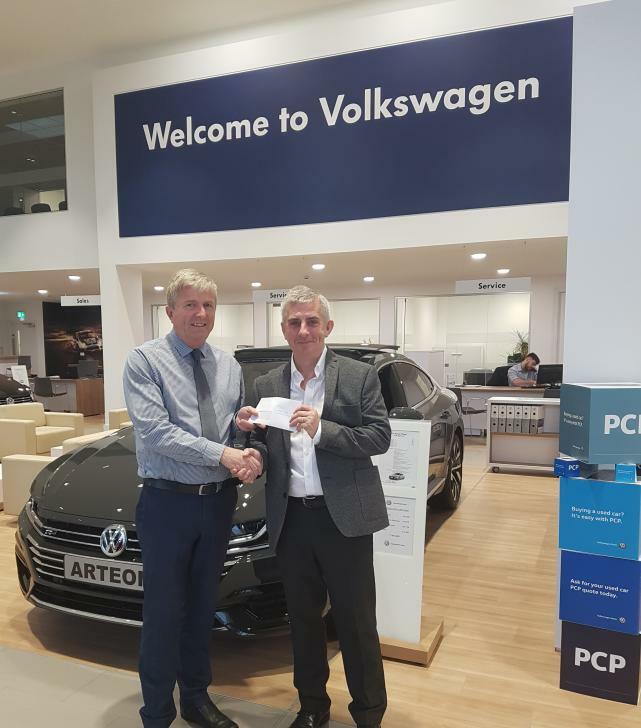 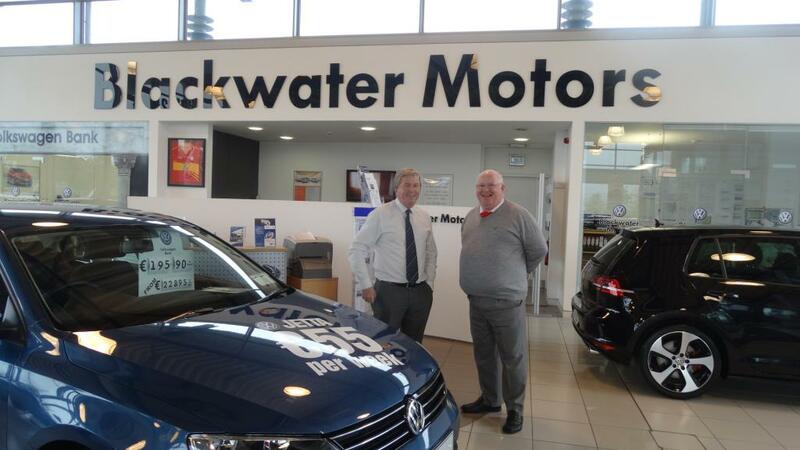 Denis Murphy Managing Director Blackwater Motors and Peter Connolly Chairman CSL at the launch in the Blackwater Motors Showrooms in Turners Cross. 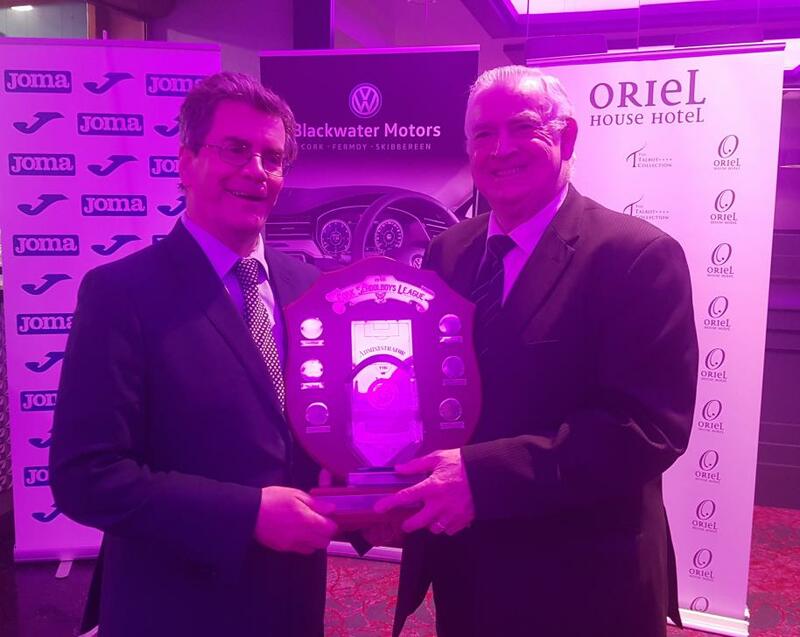 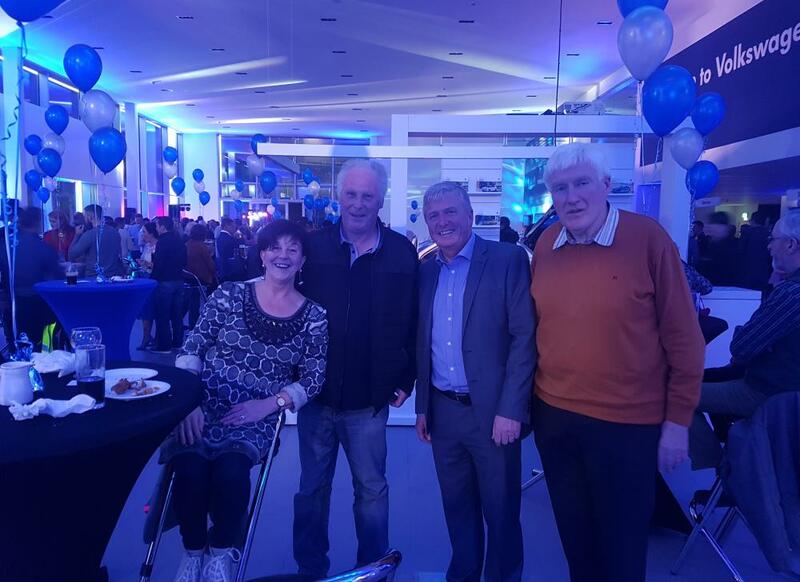 At the launch were James Christie Sales Manager Blackwater Motors, Denis Murphy Managing Director Blackwater Motors, Roy Leahy Sales Executive Blackwater Motors and Peter Connolly Chairman CSL. 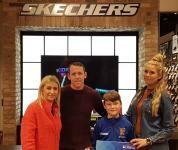 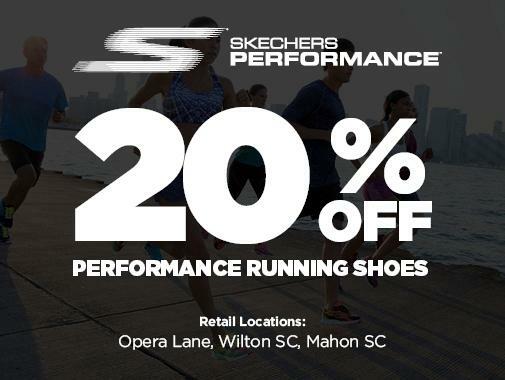 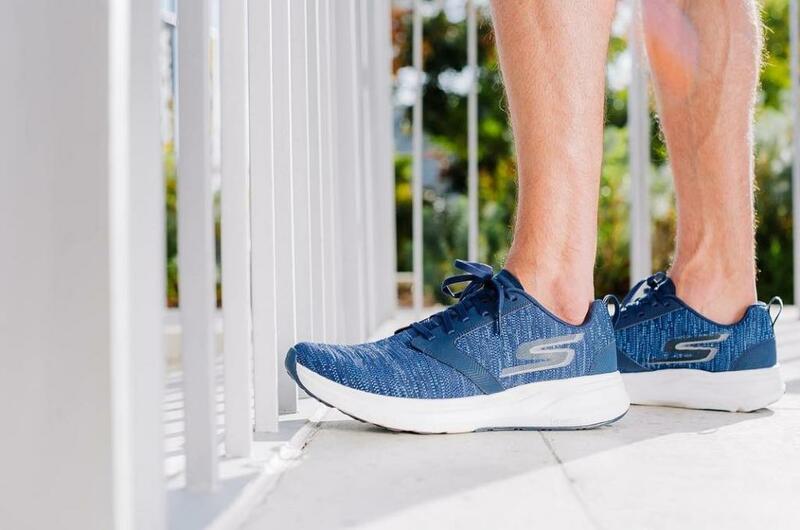 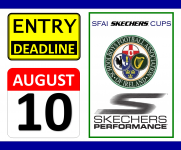 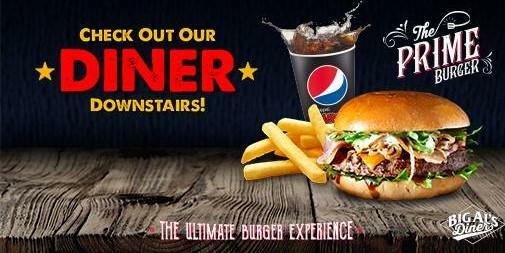 Skechers stores in Cork are in Opera Lane, Mahon Point Shopping Centre and Wilton Shopping Centre. 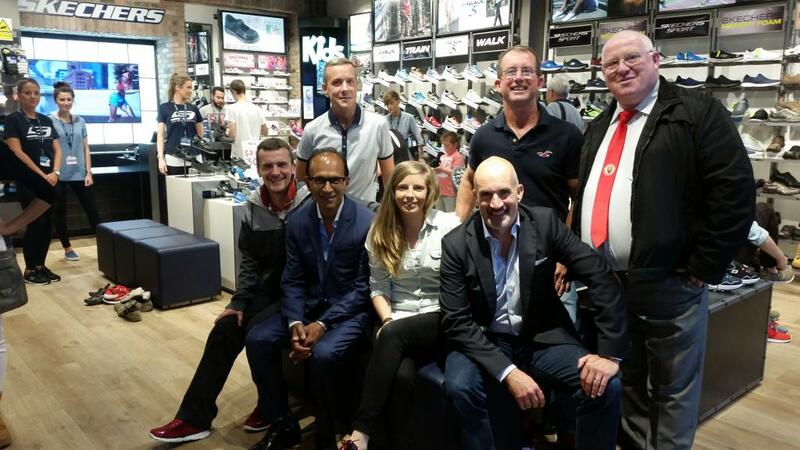 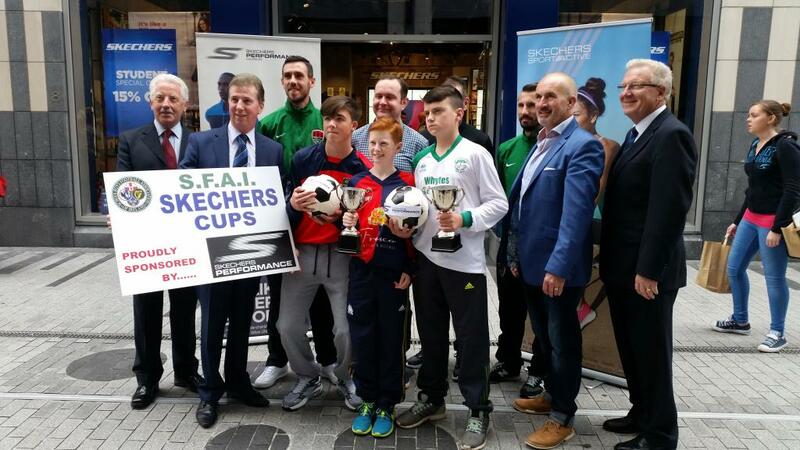 Paul Gallagher and Sunil Shah of Skechers and CSL Chairman Peter Connolly pictured with Cork U14 Squad coaches Mick Durkin, John Lucey, Ronan Collins and Katie McCarthy at the launch in Skechers store in Opera Lane. 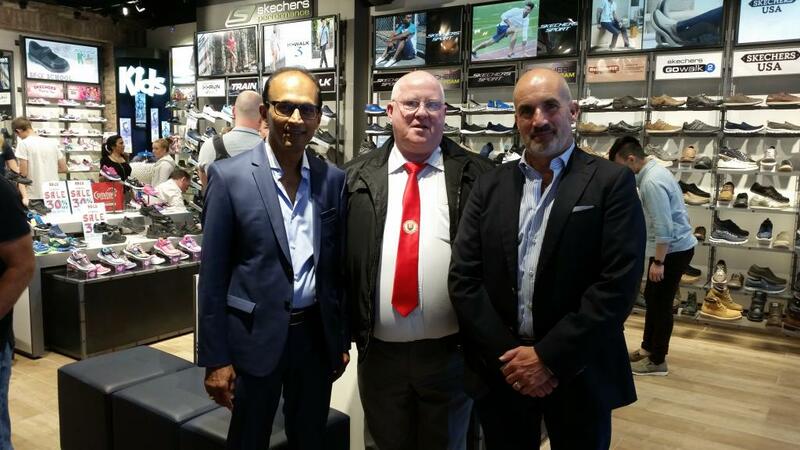 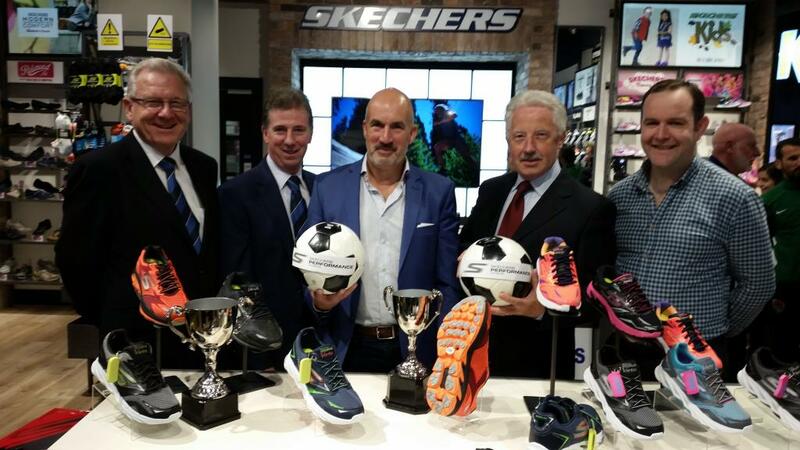 Skechers business partners Paul Gallagher and Sunil Shah pictured with CSL Chairman Peter Connolly at the launch in Skechers store in Opera Lane. 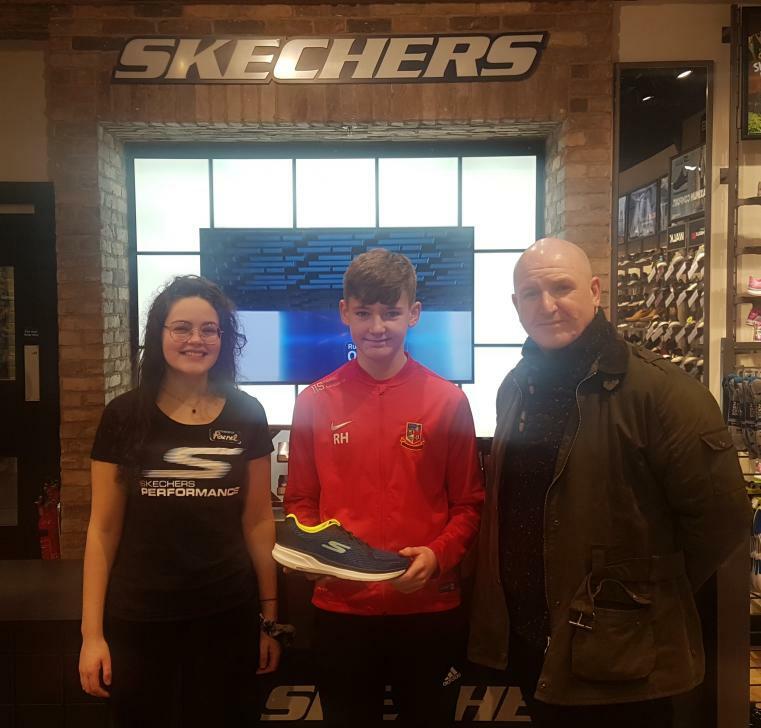 Skechers staff members Ewa and Liamhain with Cork U14 Squad coaches Mick Durkin, John Lucey, Ronan Collins and Katie McCarthy at the launch in Skechers store Opera Lane. 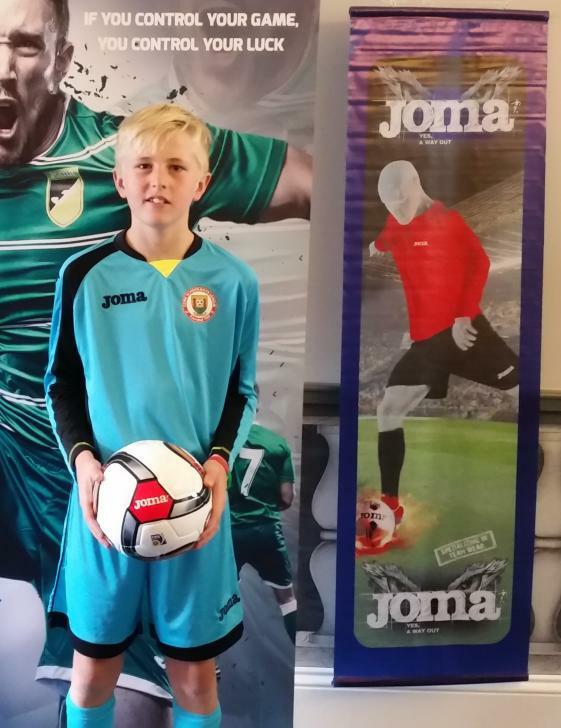 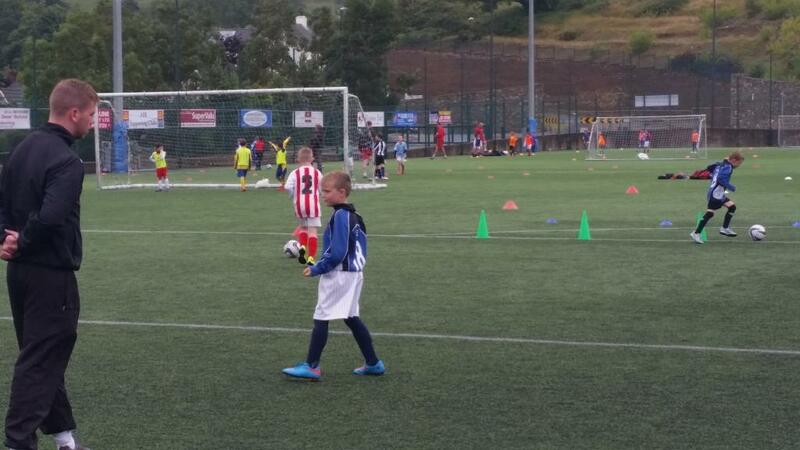 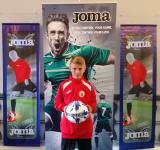 New Cork Joma Goalkeeper Kit. 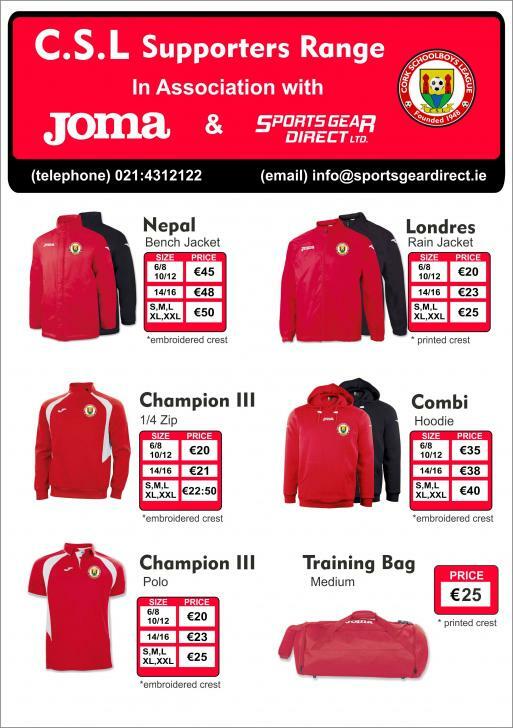 New Cork Joma 1/4 Zip Top and Tracksuit Pants. 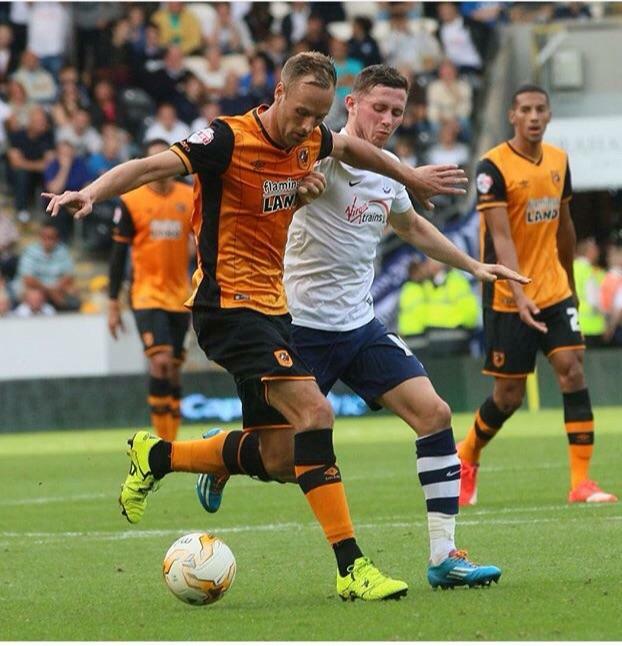 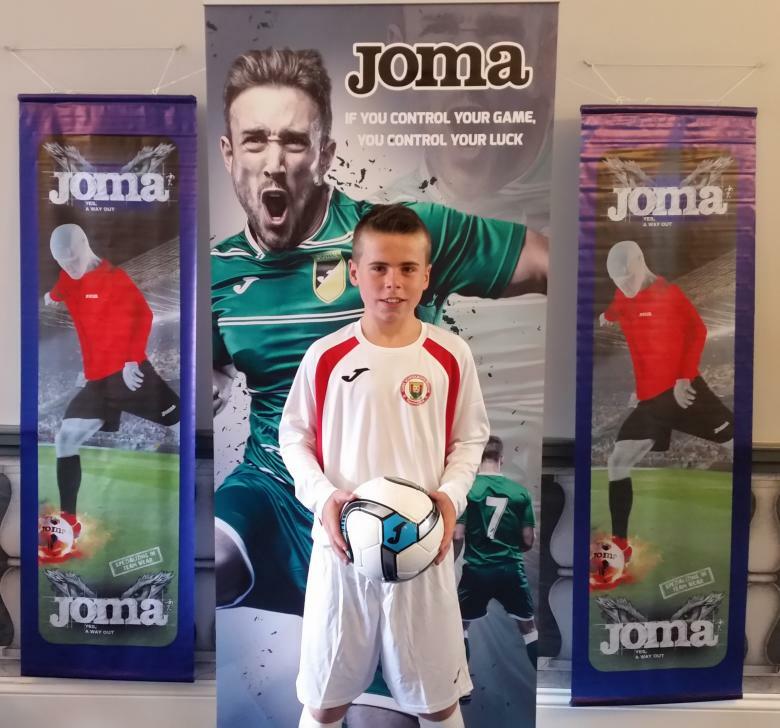 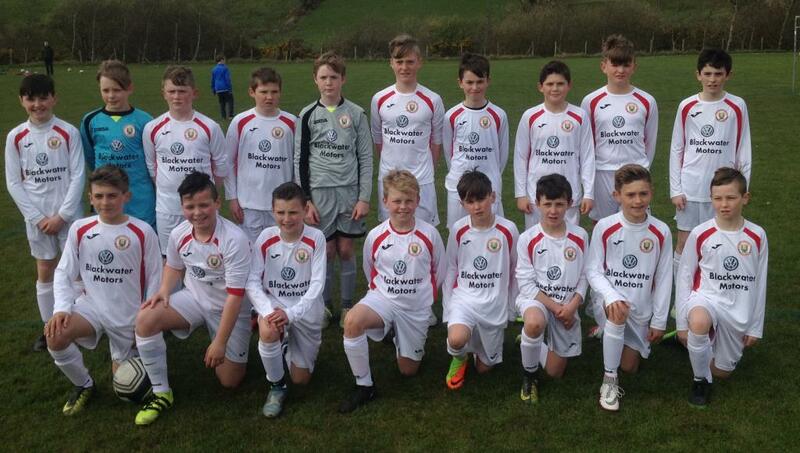 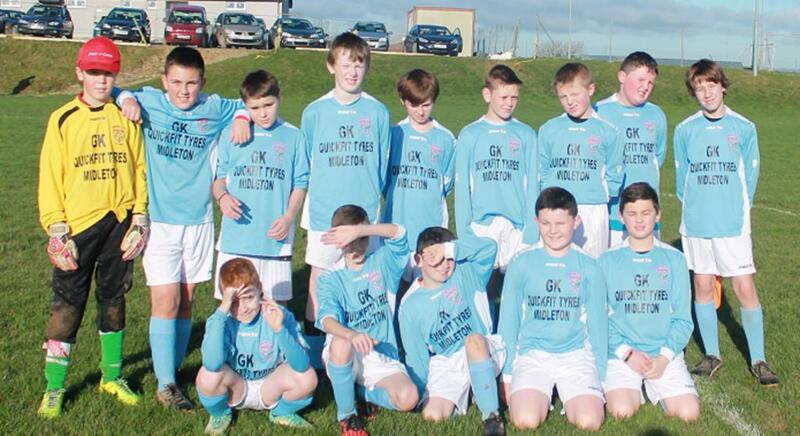 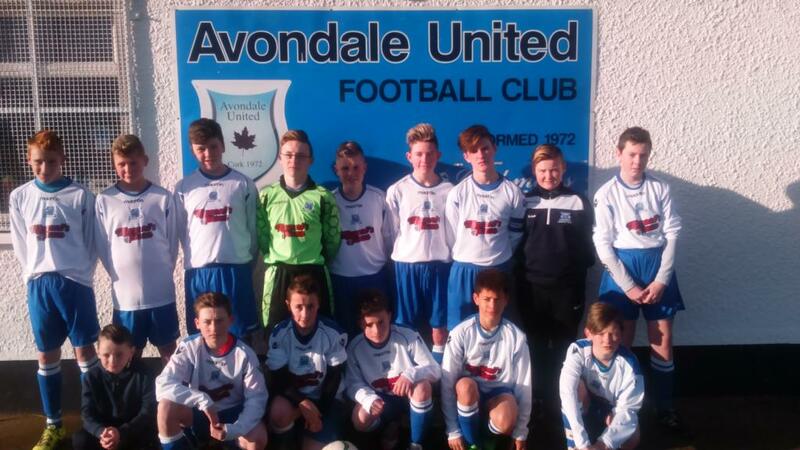 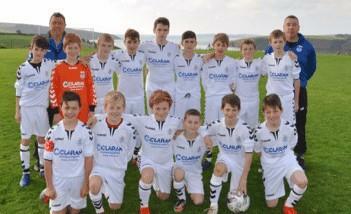 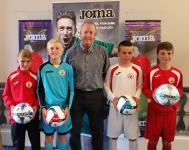 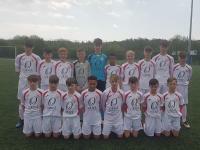 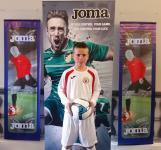 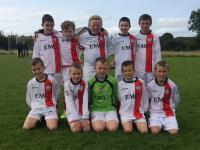 New Cork White Joma Kit. 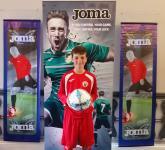 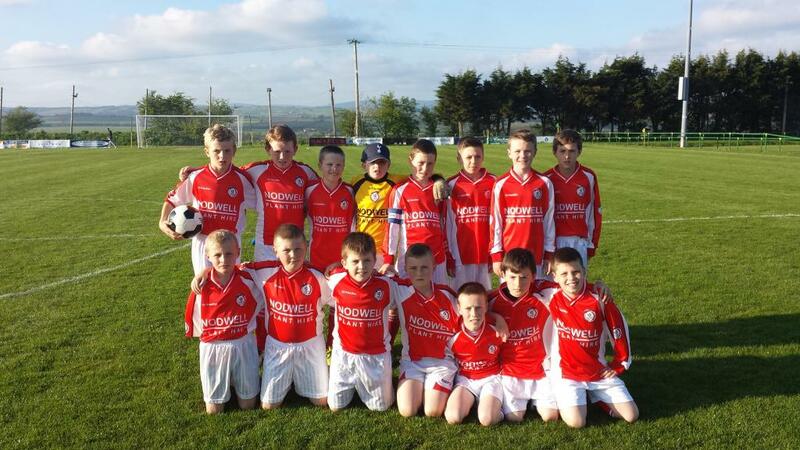 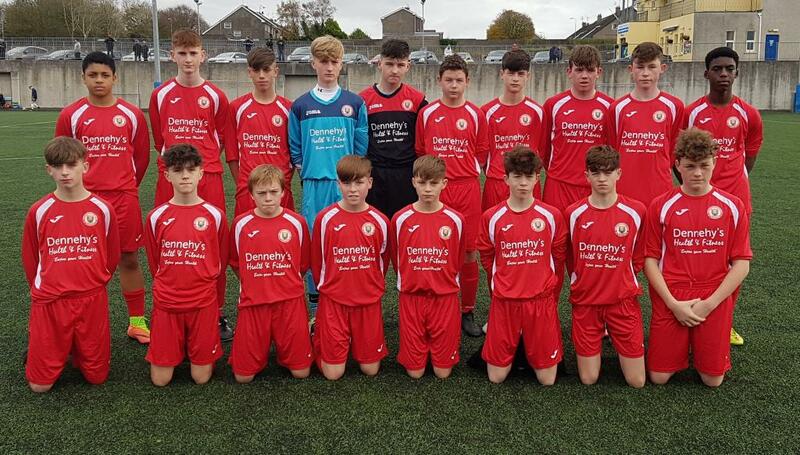 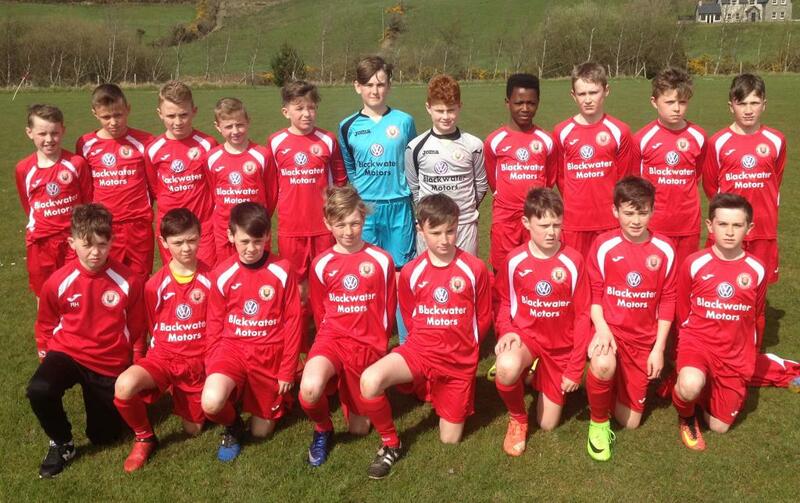 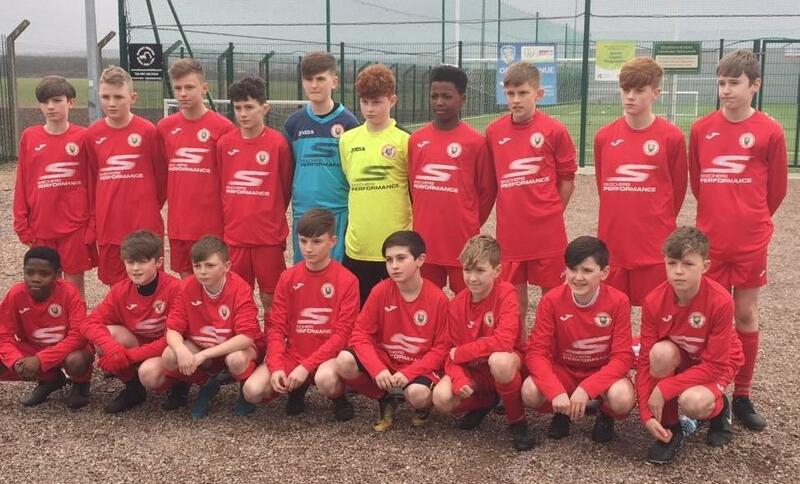 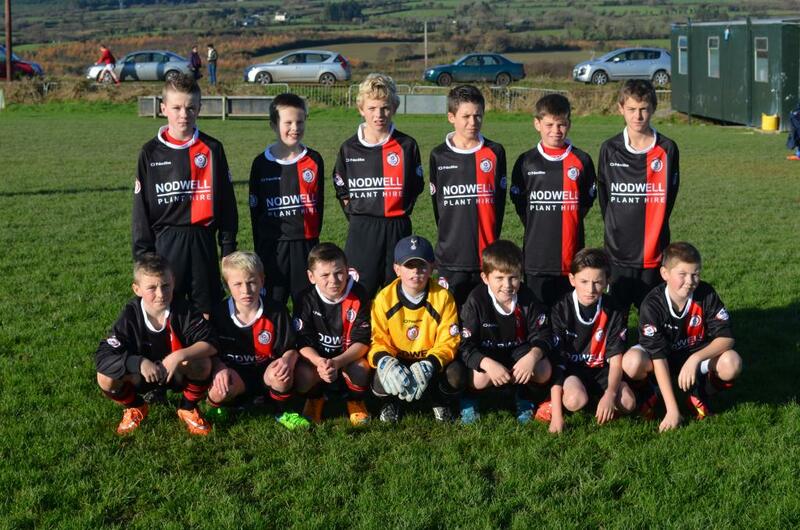 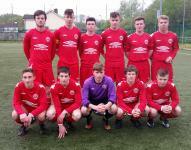 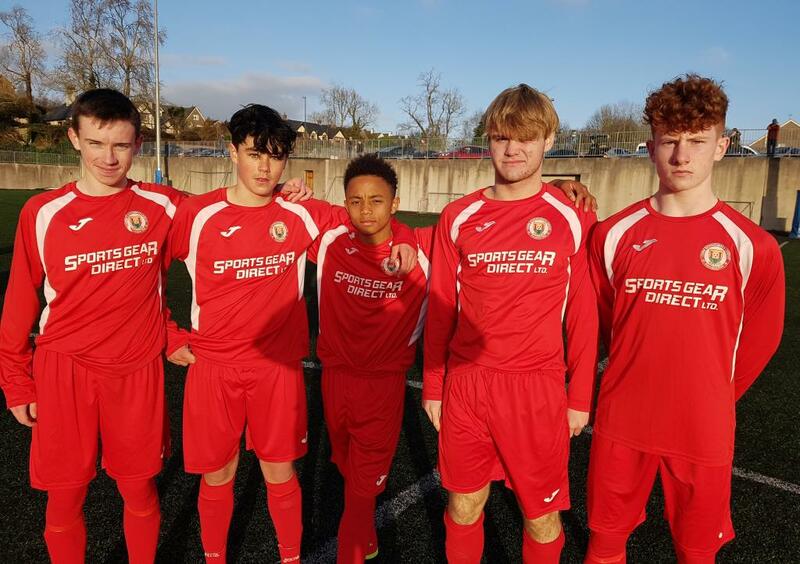 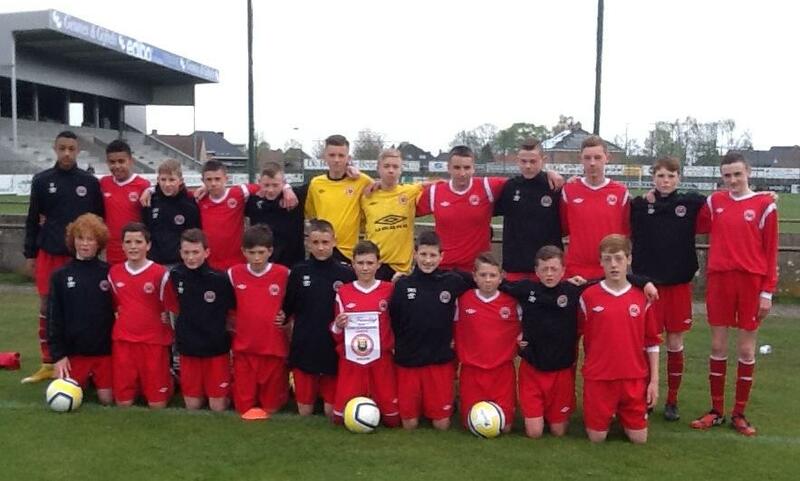 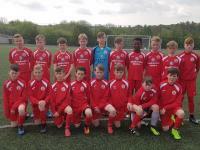 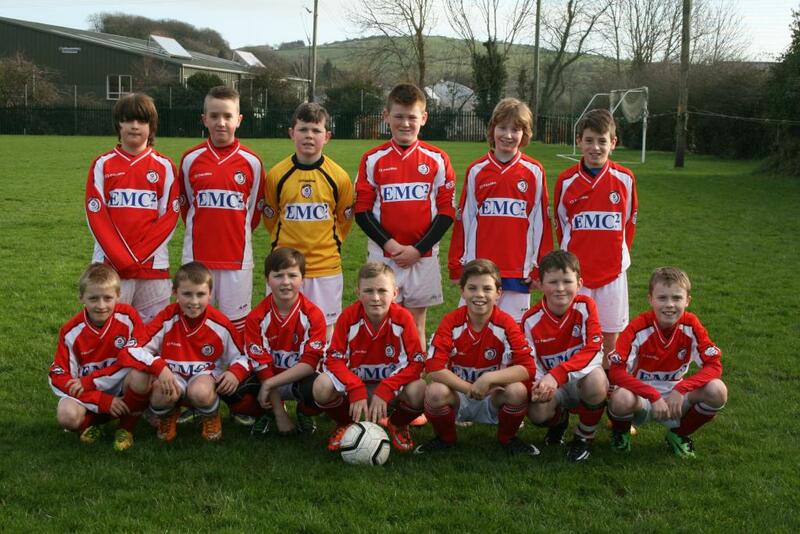 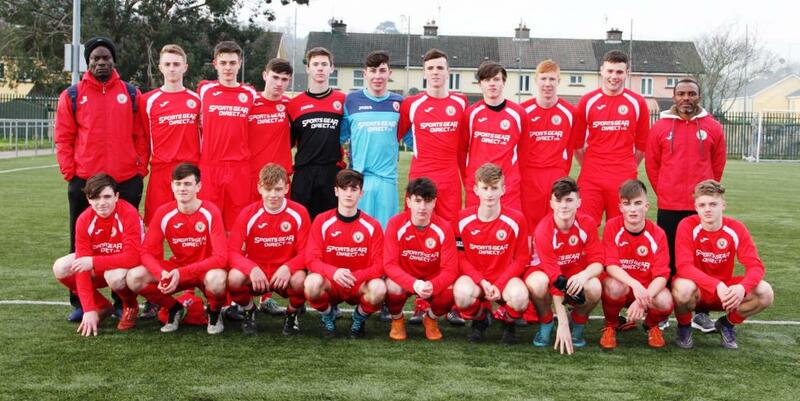 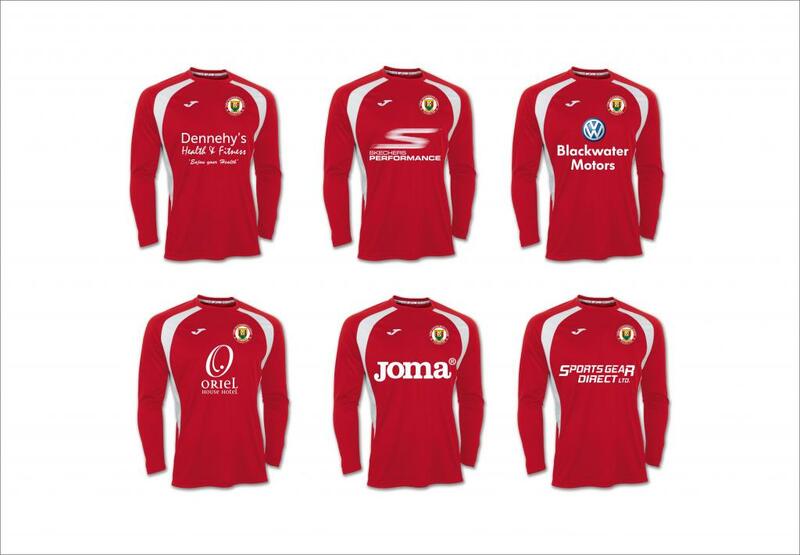 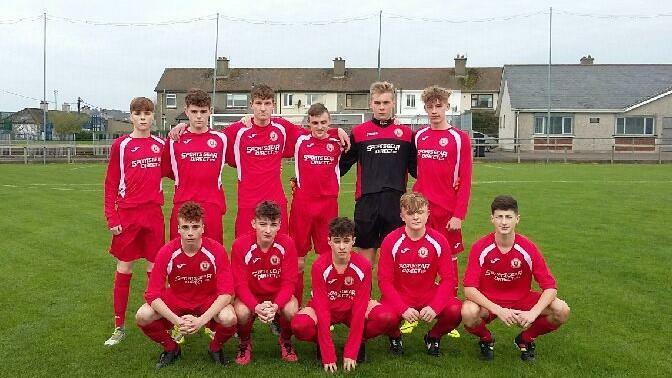 New Cork Red Joma Kit. 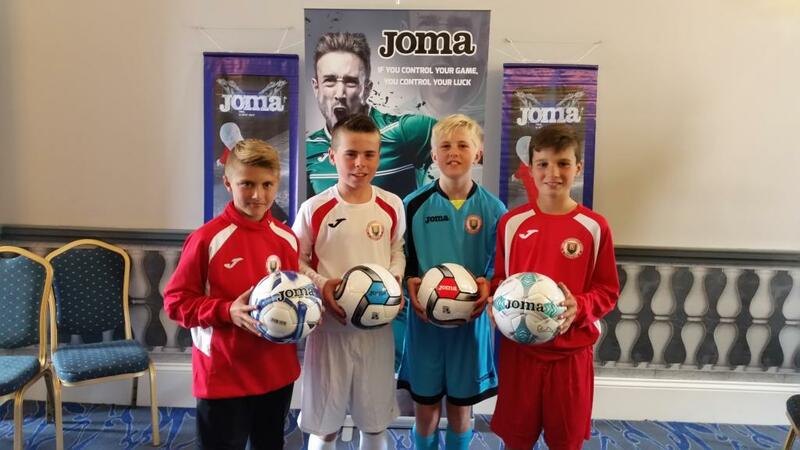 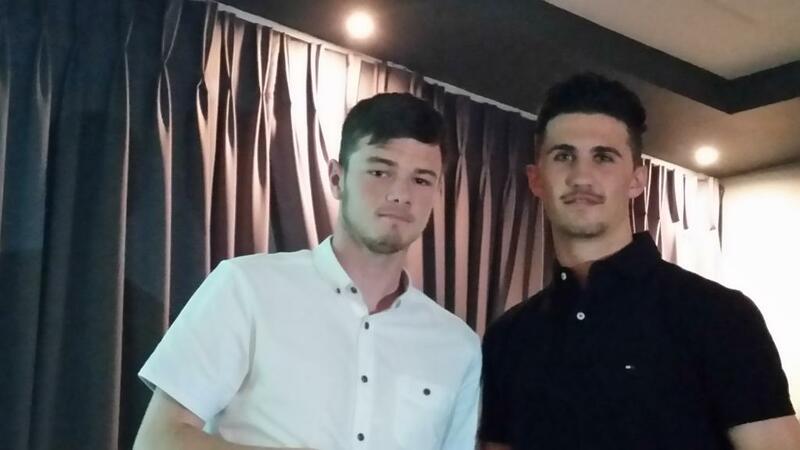 Cork players pictured in their new Joma gear at the launch in the Oriel House Hotel. 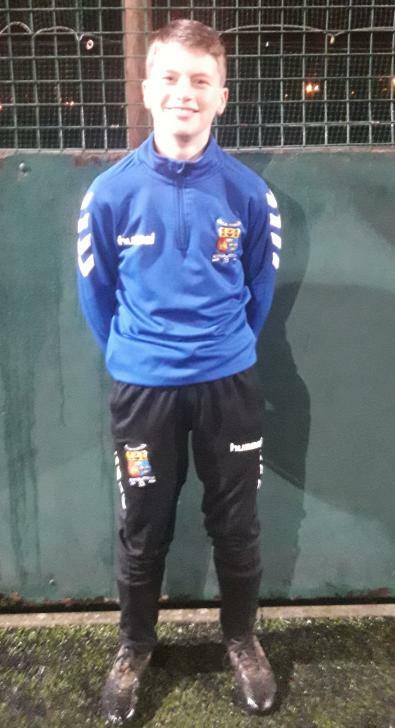 New Cork 1/4 Zip Top and Tracksuit Pants. 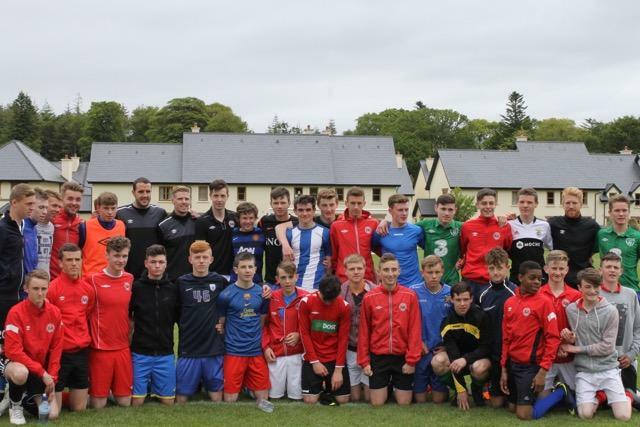 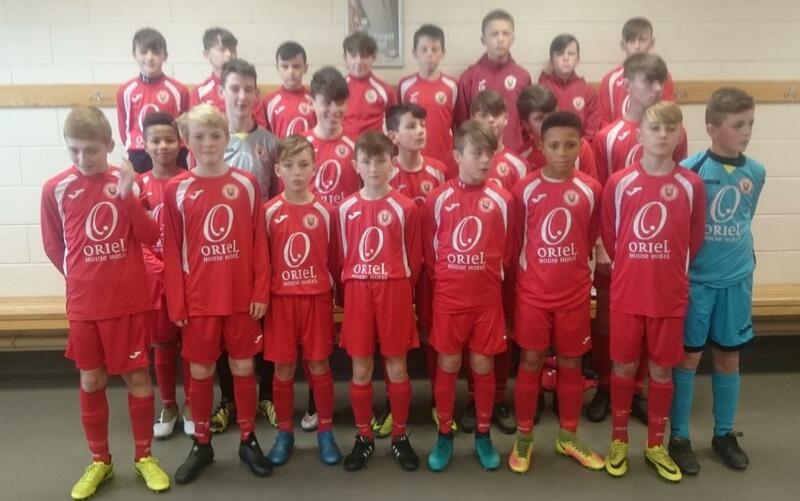 Cork players pictured in the new Cork Joma playing kit at the Oriel House Hotel. 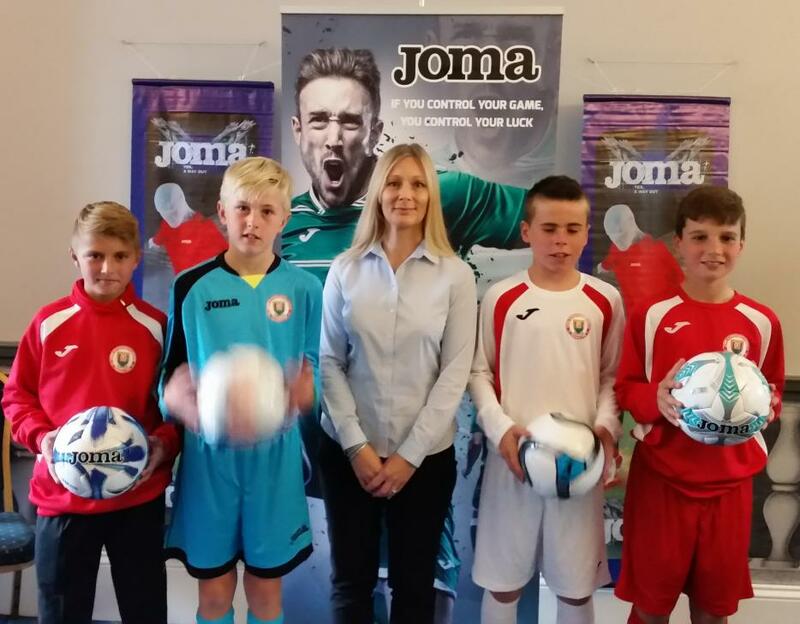 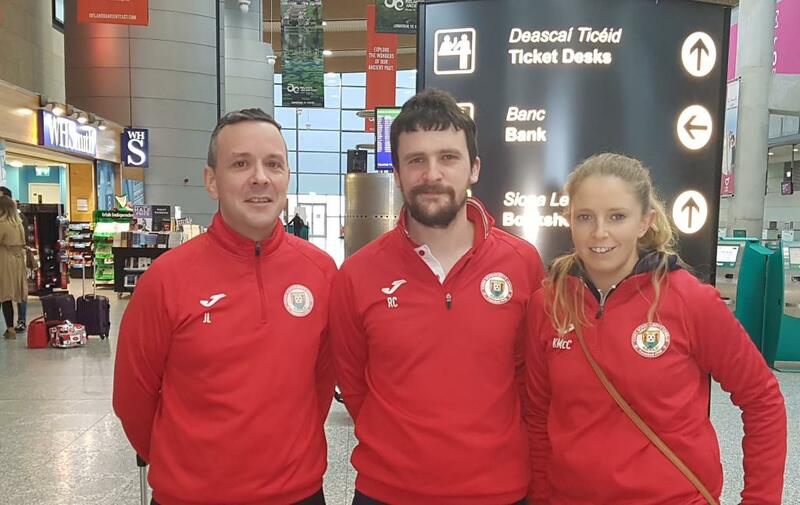 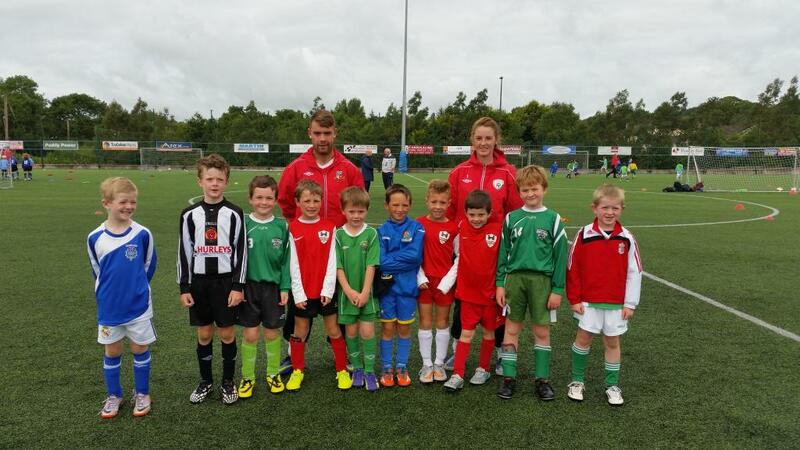 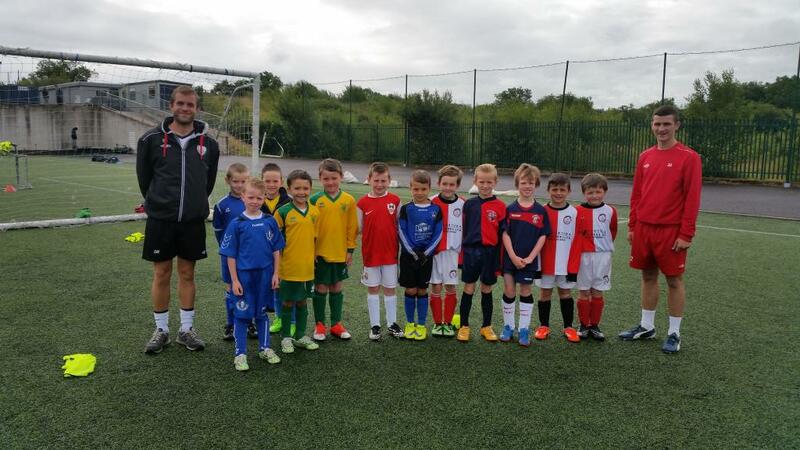 Susanne McNamara, Joma, pictured with Cork players in the new CSL kits. 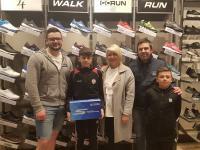 Adrian Ryan, SportsGear Direct, pictured with Cork players Micheál Mullins, Darragh Coakley, Jack O'Keeffe and Mel Deasy. 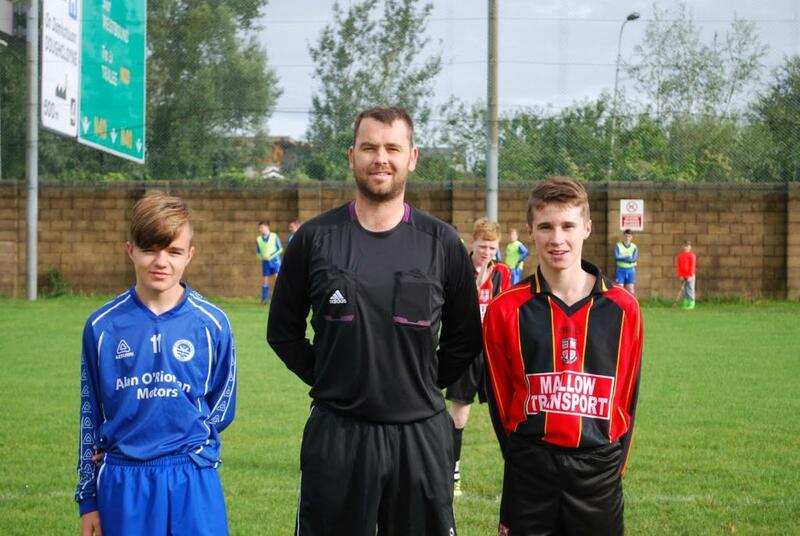 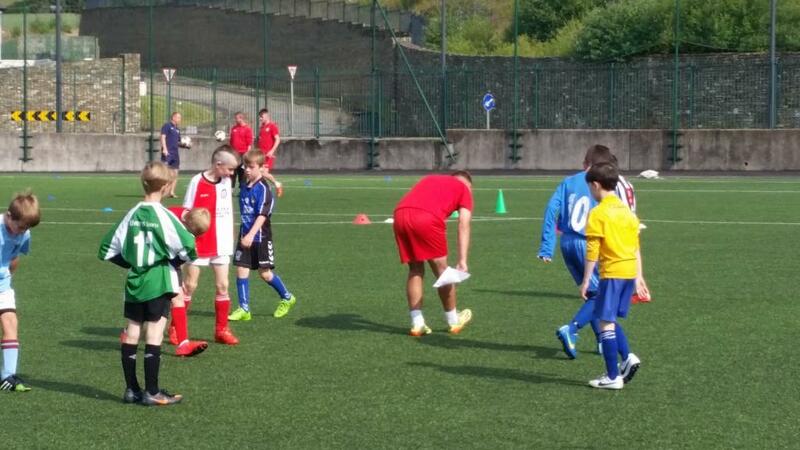 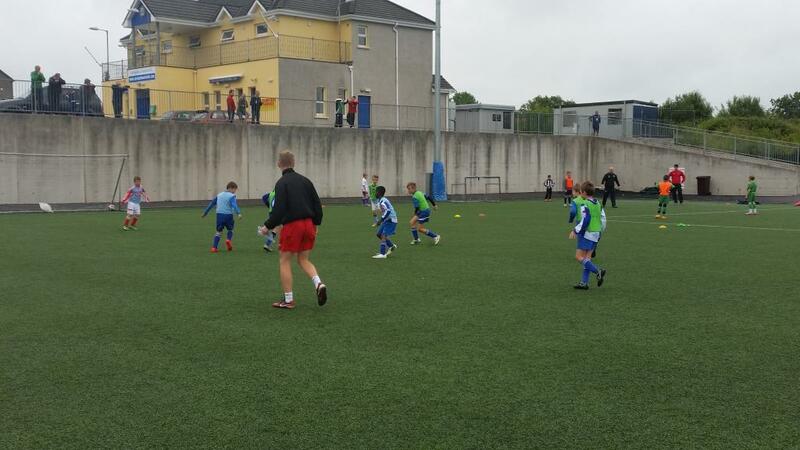 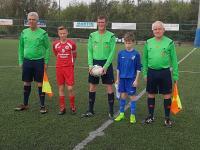 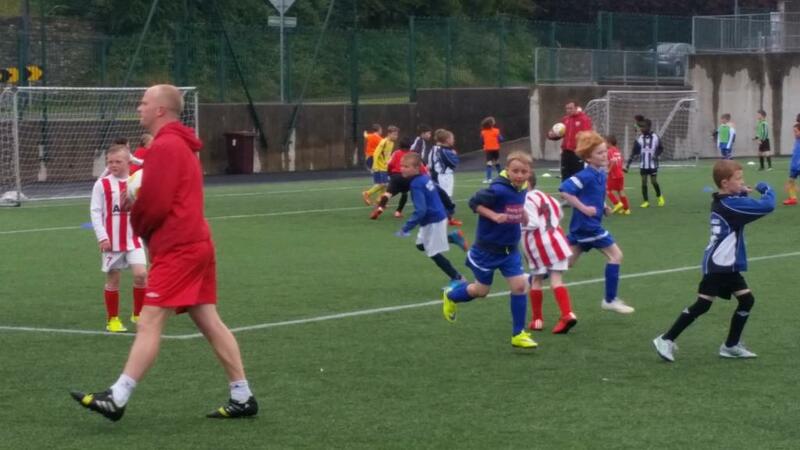 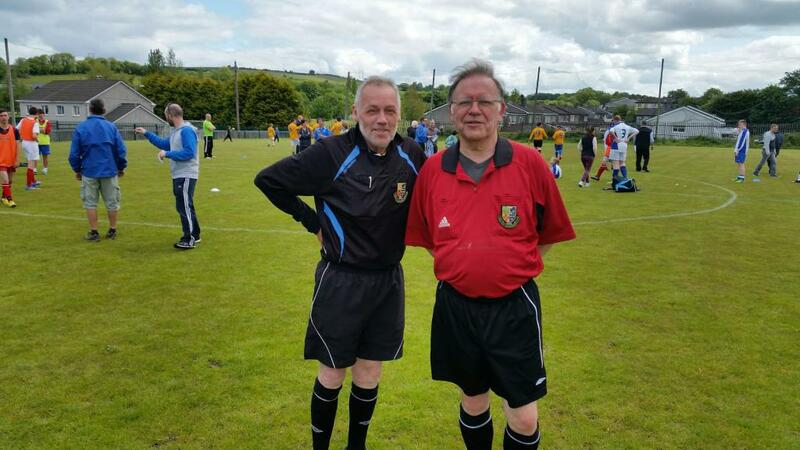 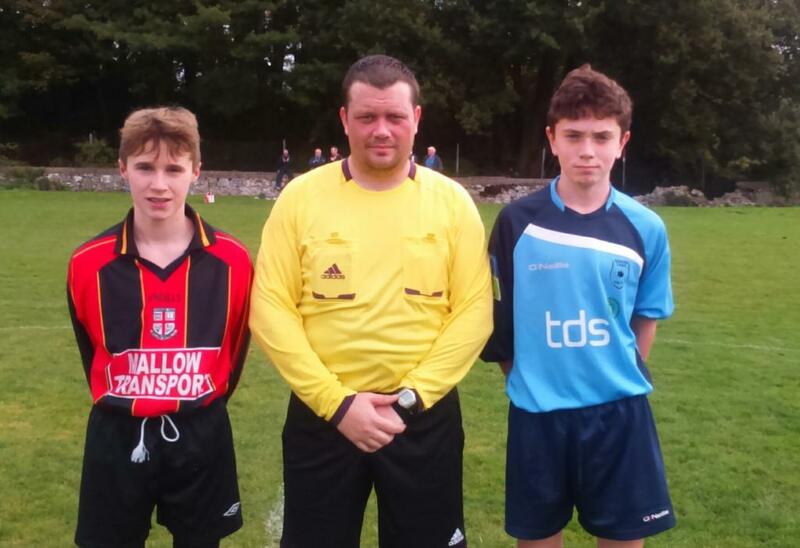 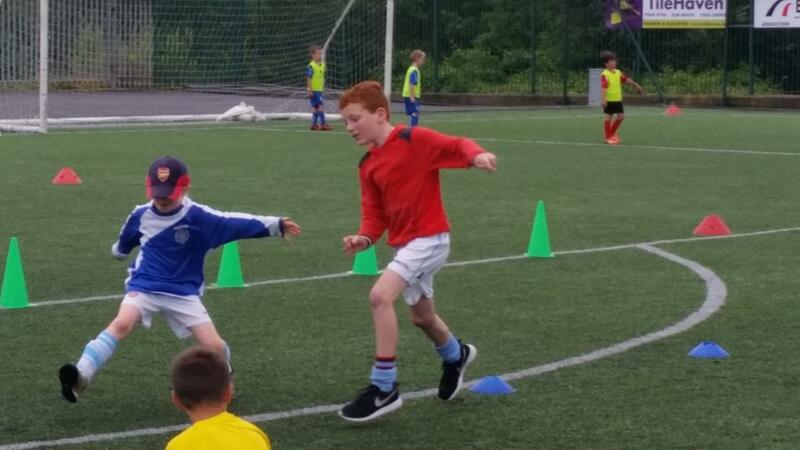 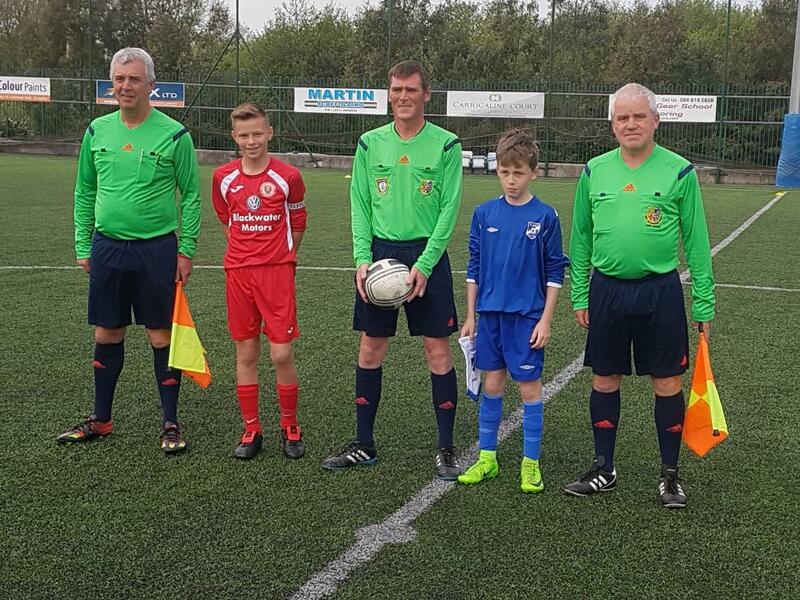 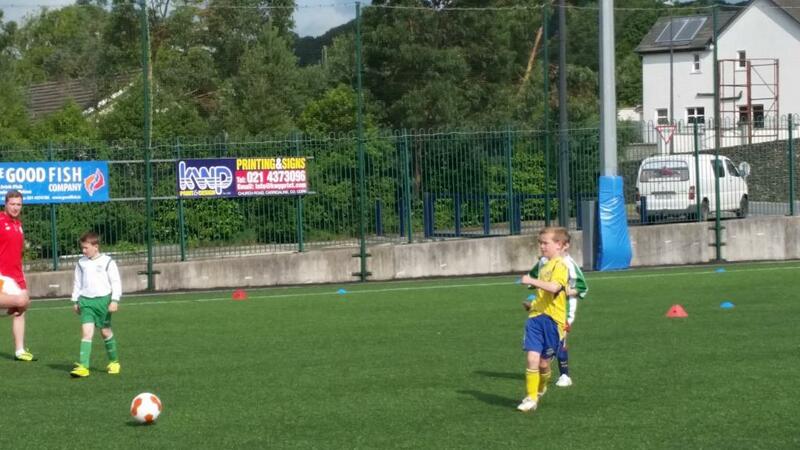 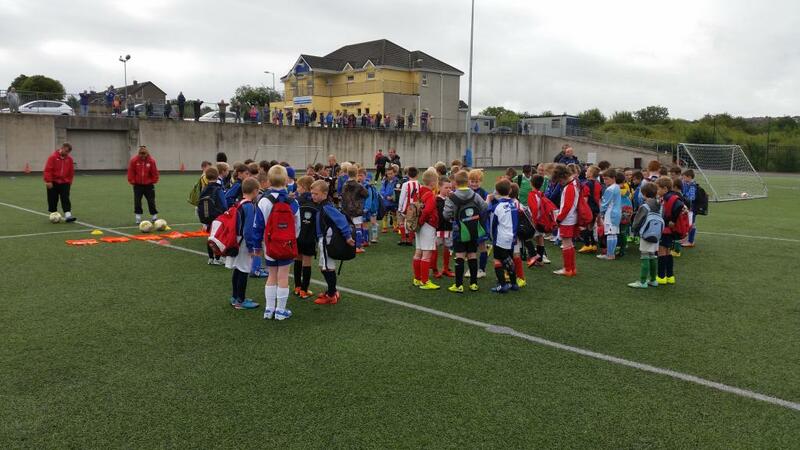 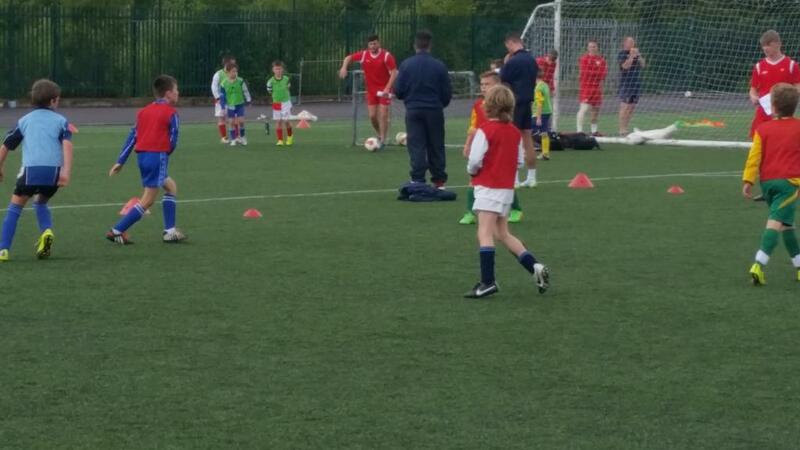 Thanks to Gerry and Noel who gave their time to referee the games at the Cork Football for All Blitz in Leeds. 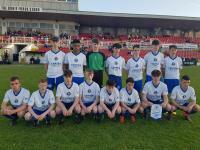 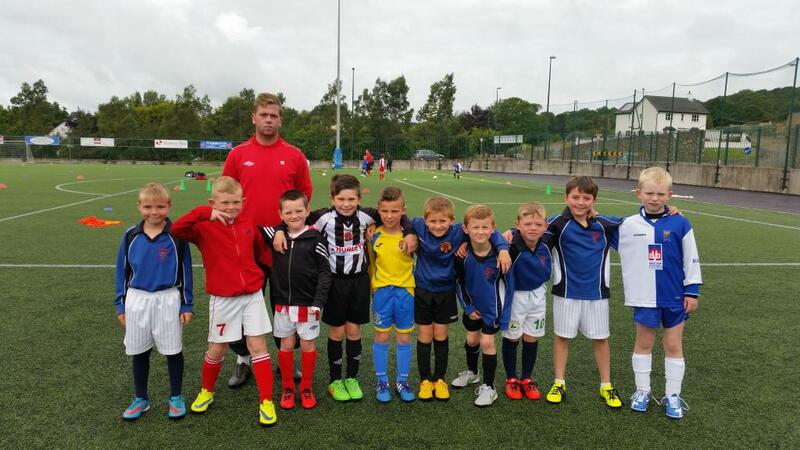 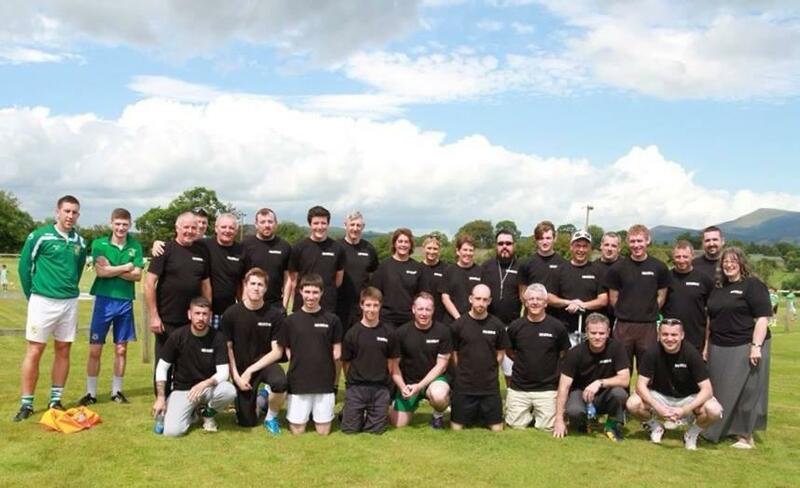 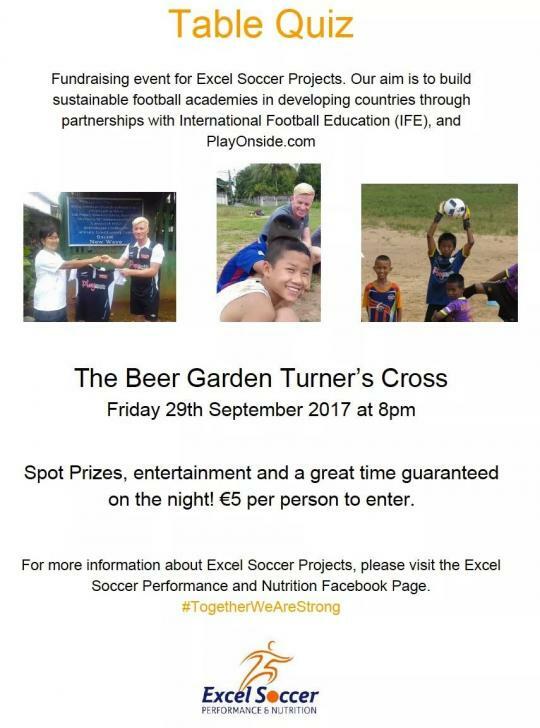 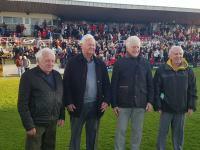 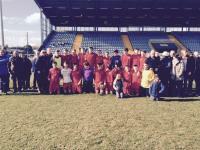 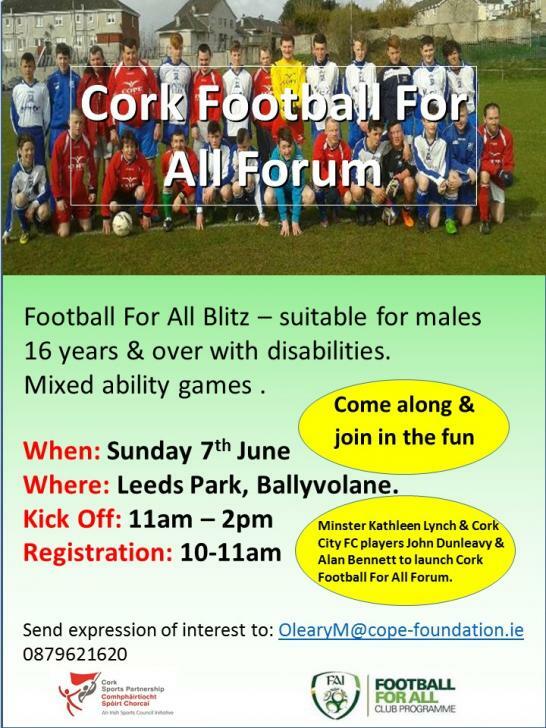 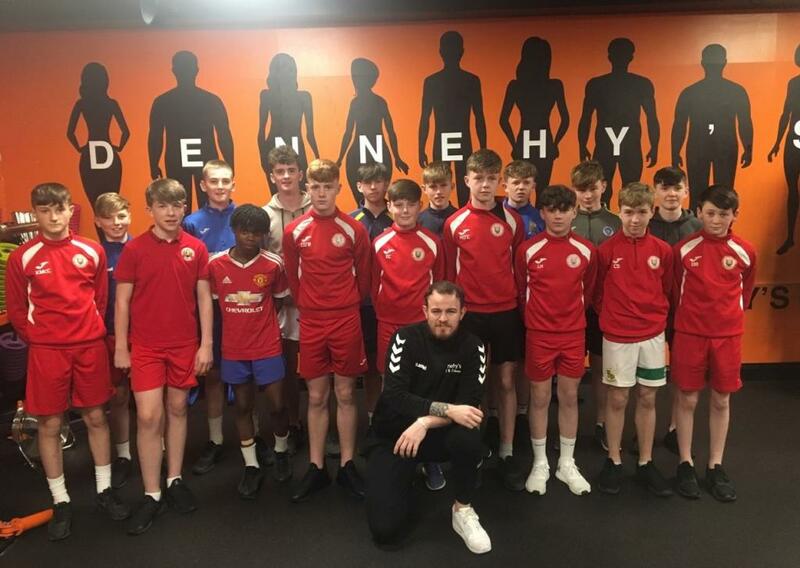 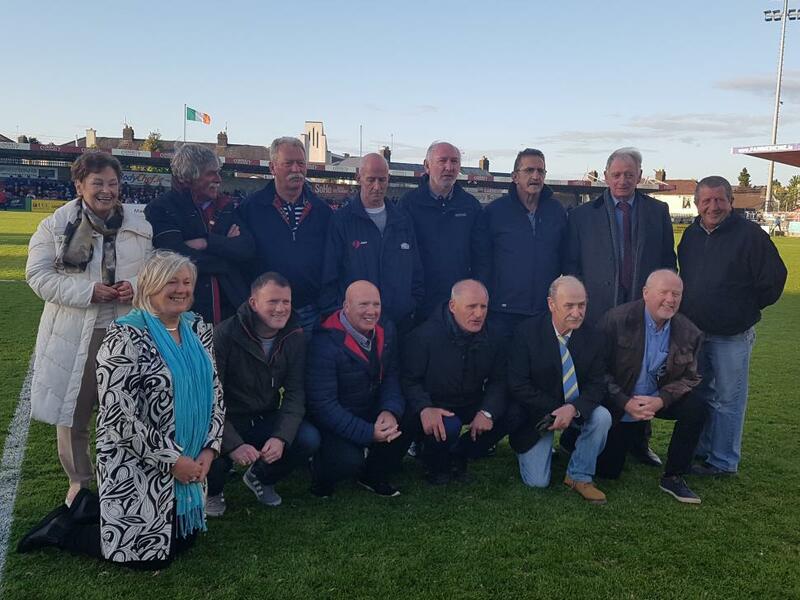 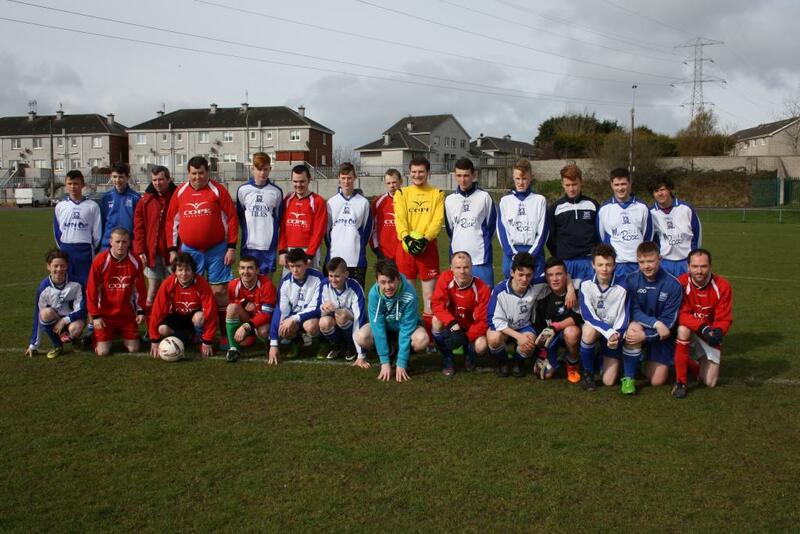 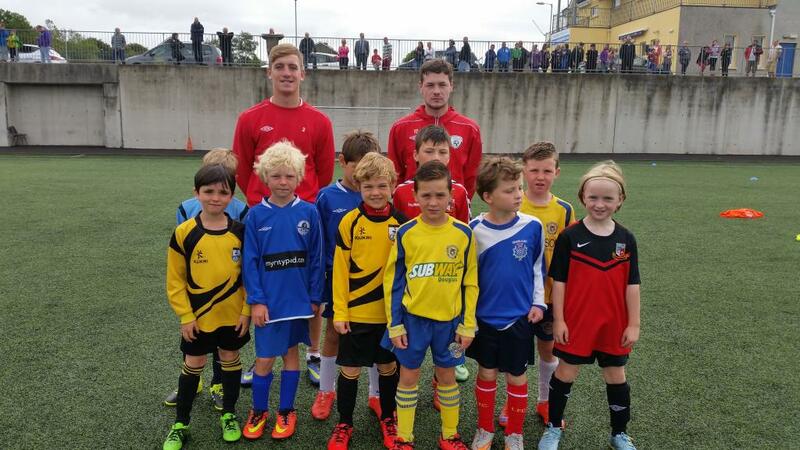 John Dunleavy and Alan Bennett pictured with the players who took part in the Cork Football for All Forum Blitz in Leeds. 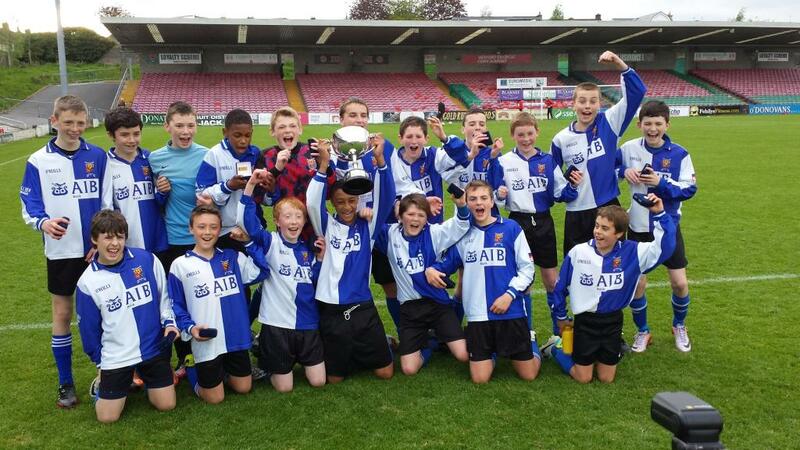 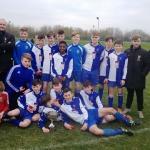 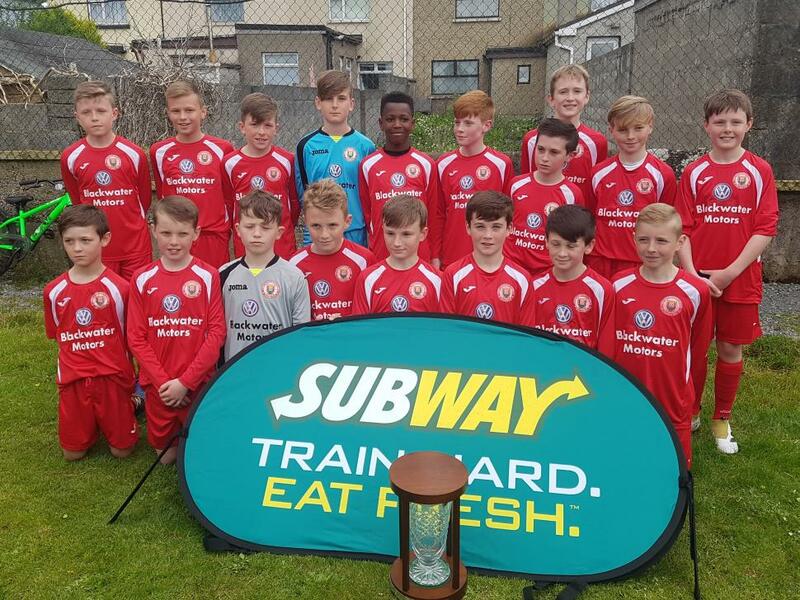 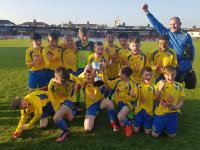 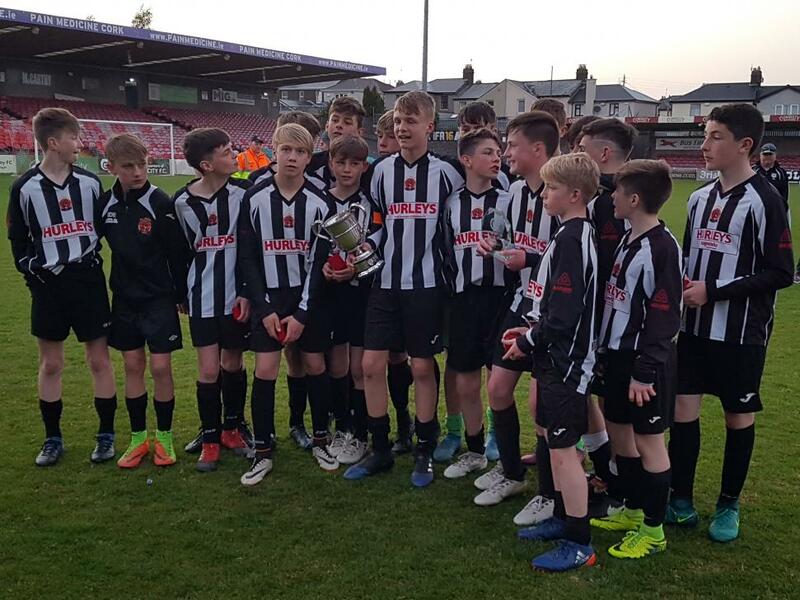 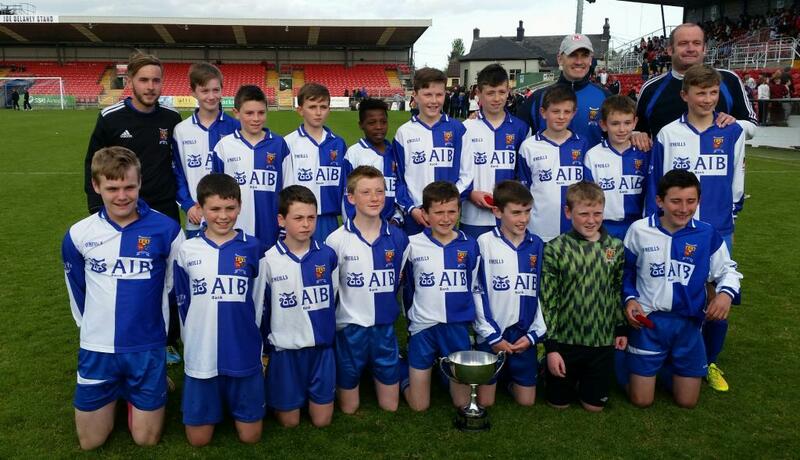 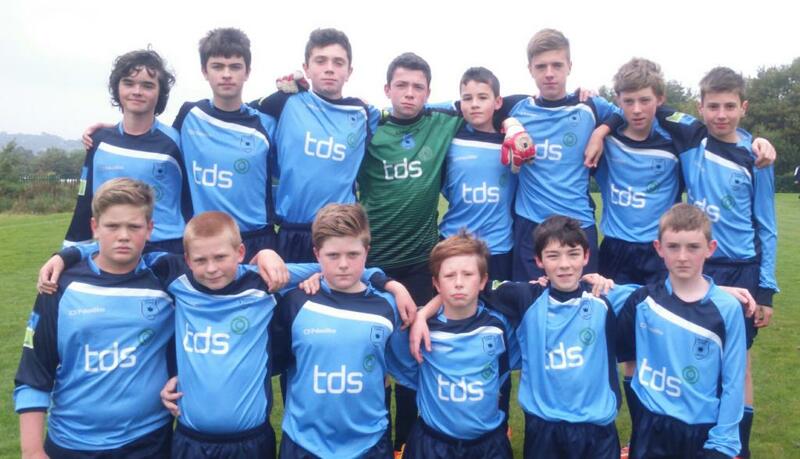 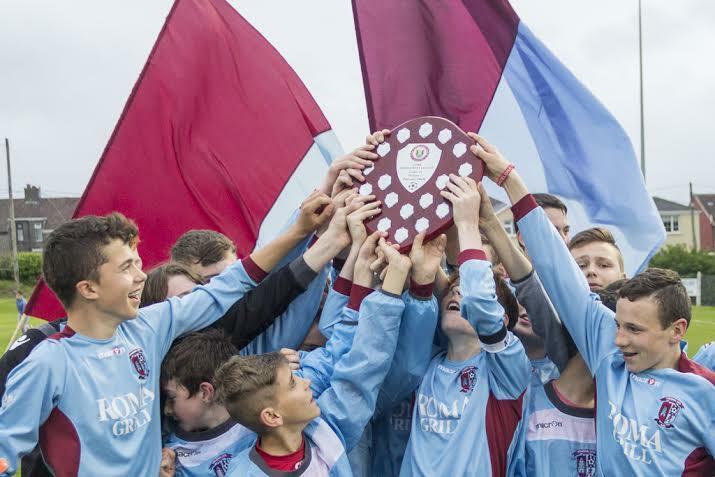 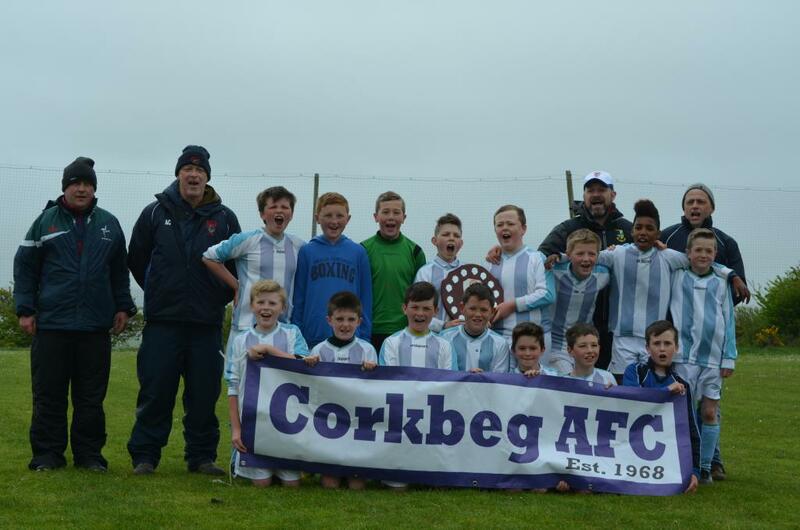 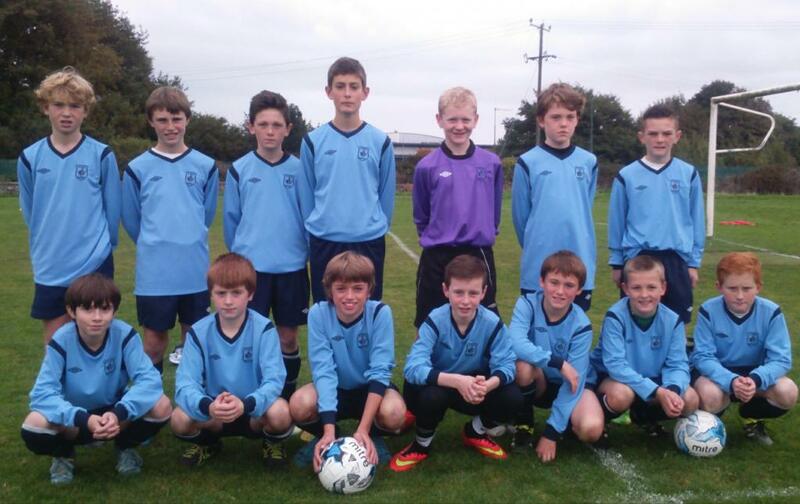 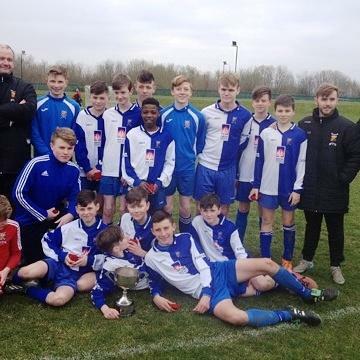 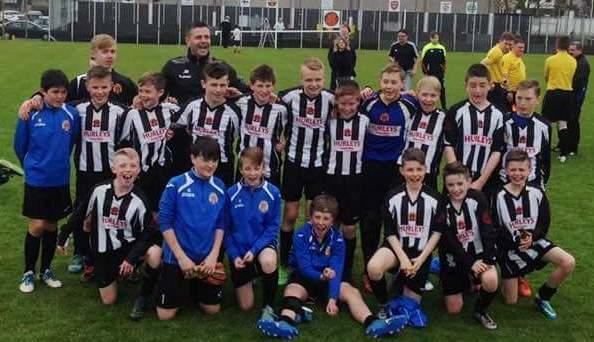 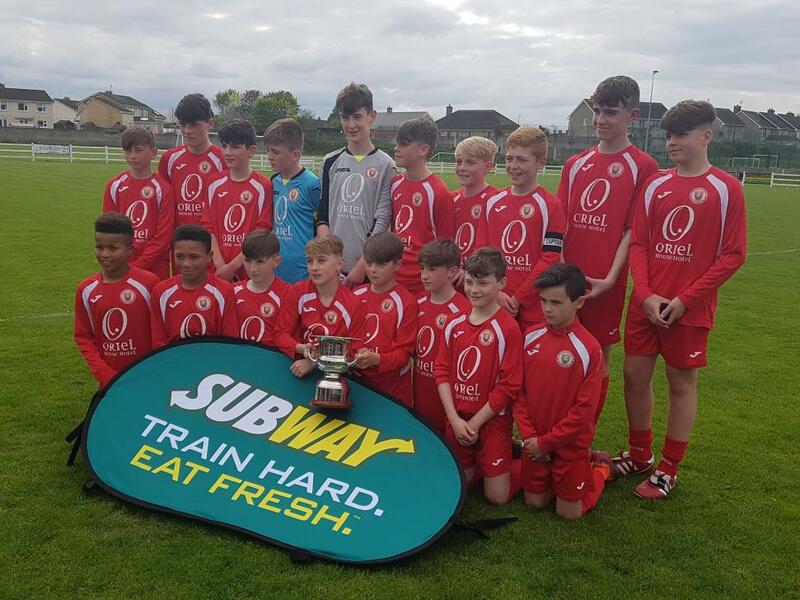 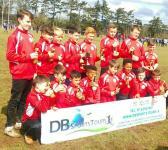 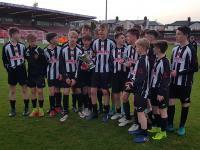 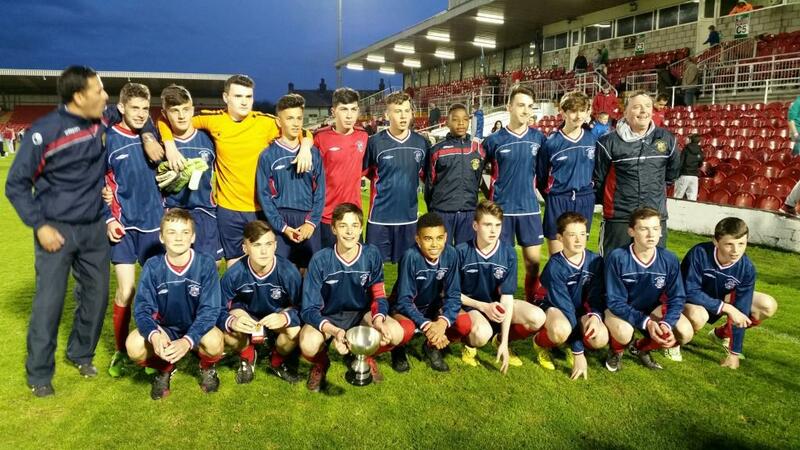 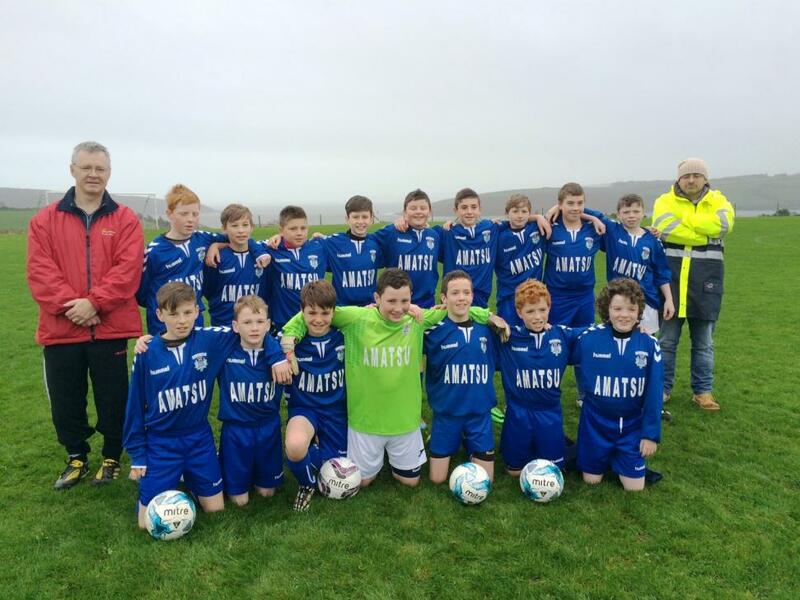 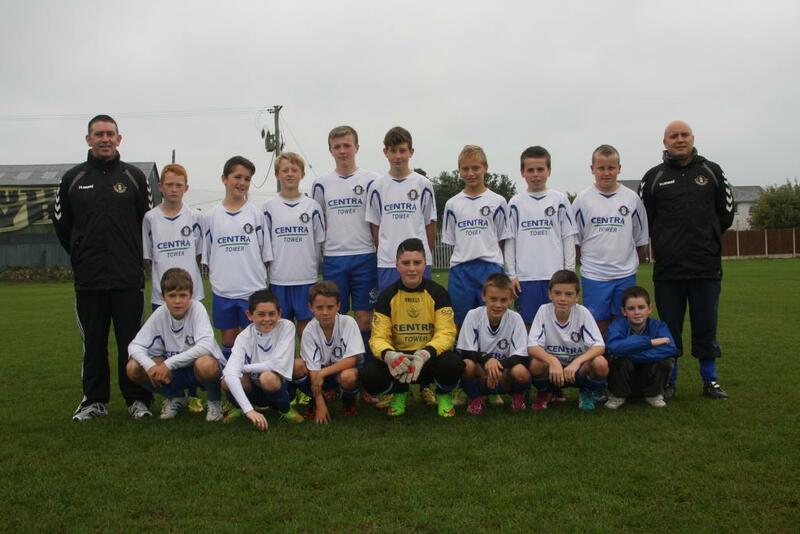 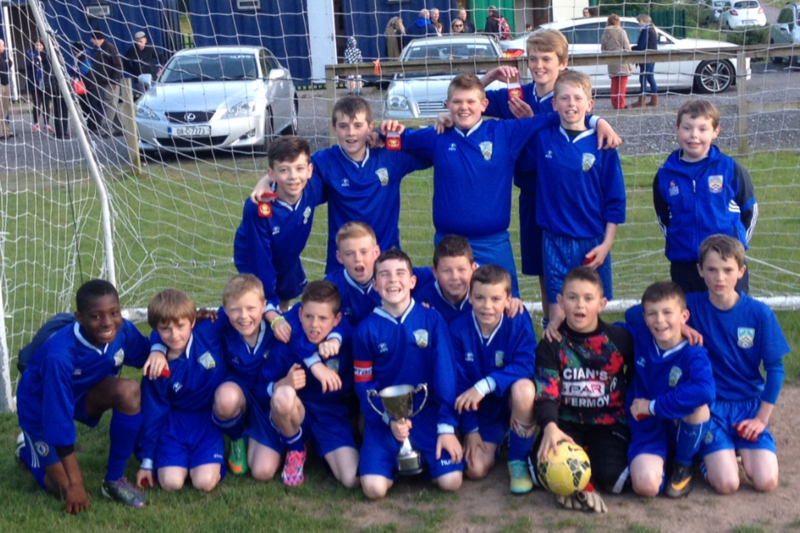 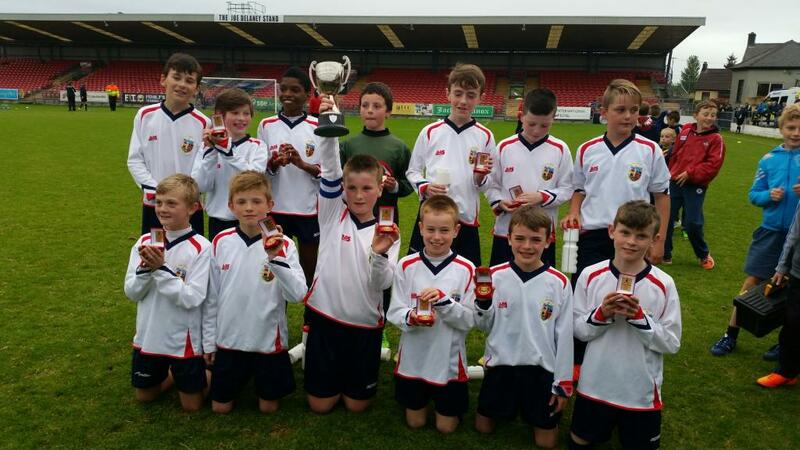 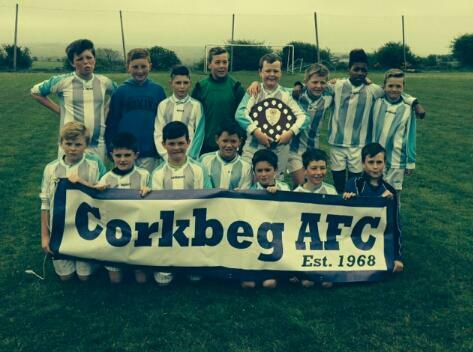 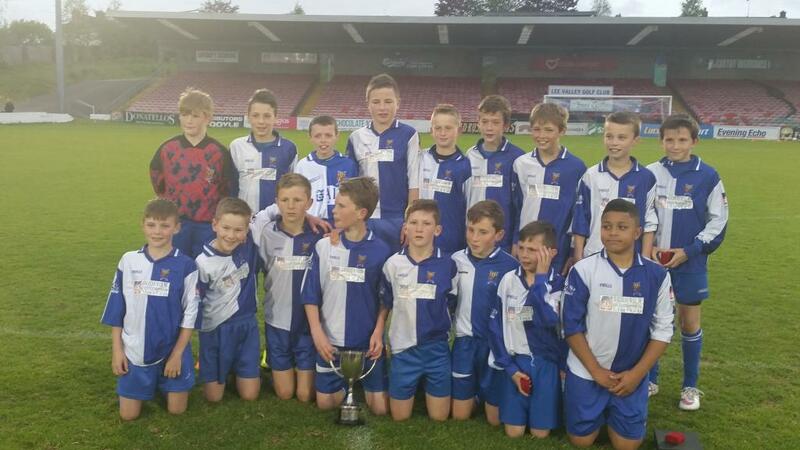 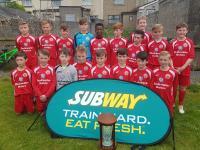 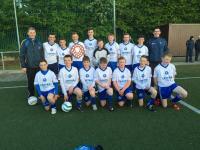 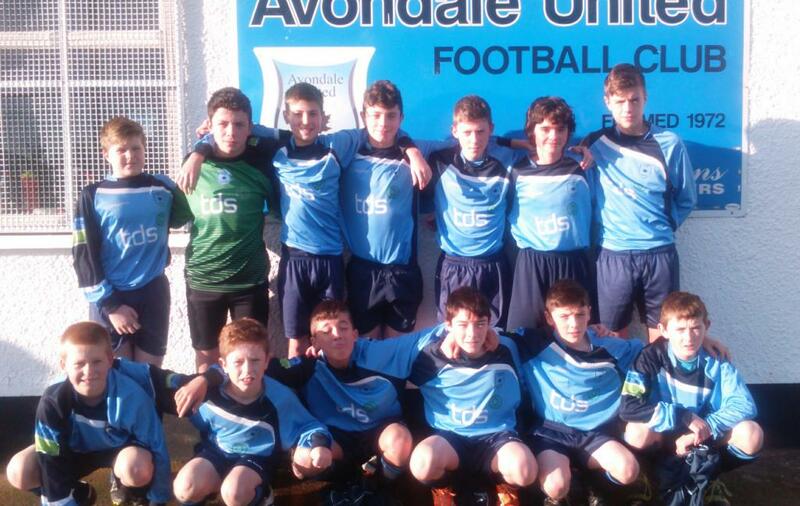 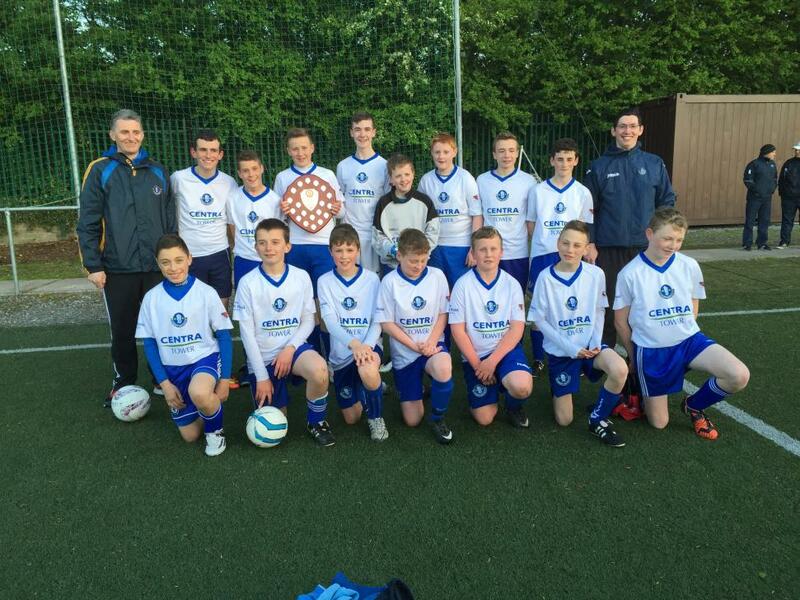 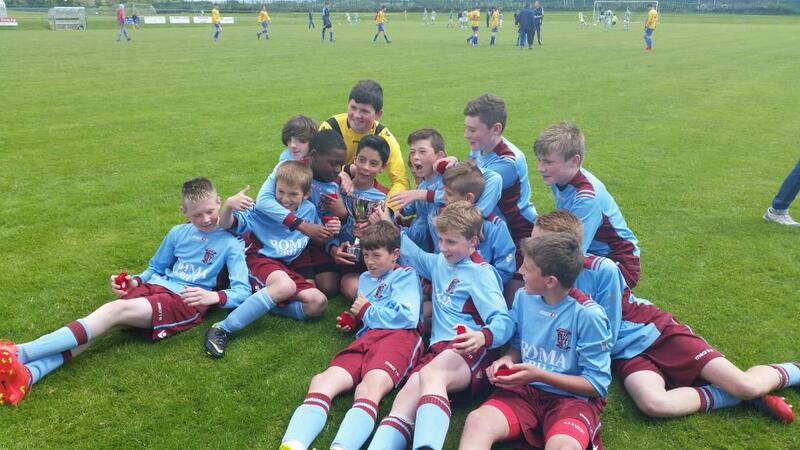 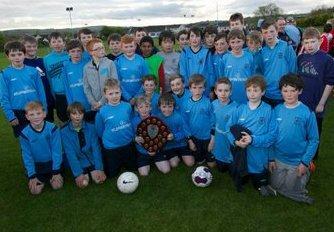 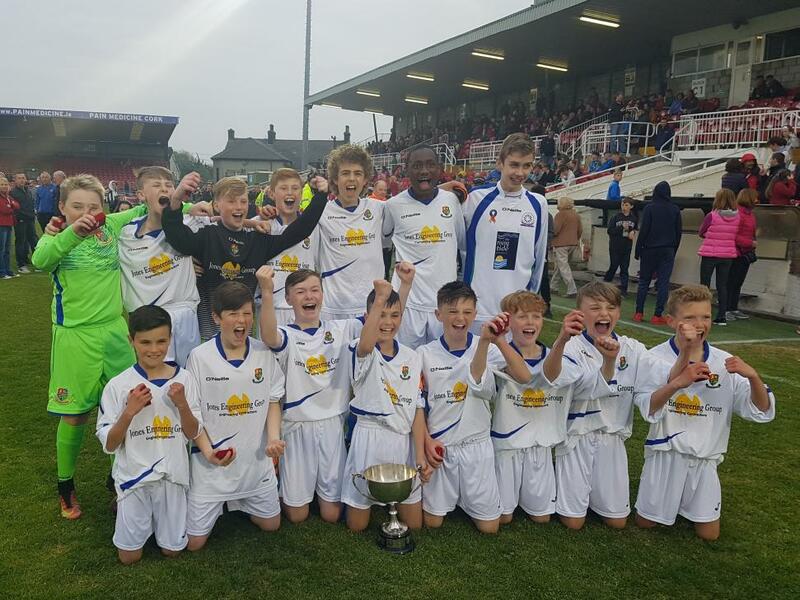 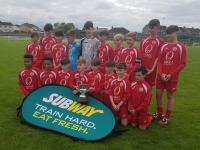 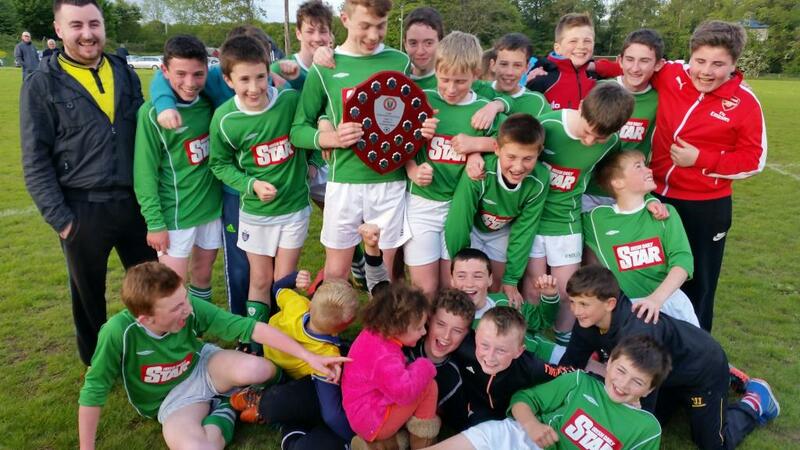 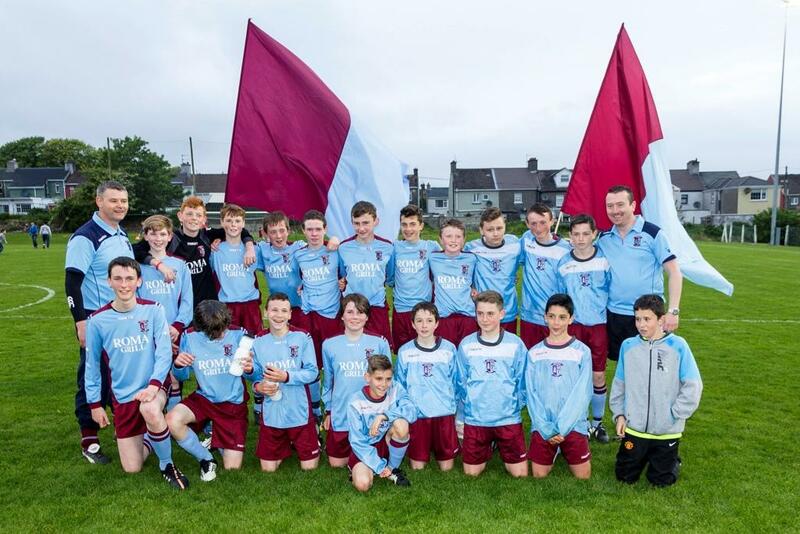 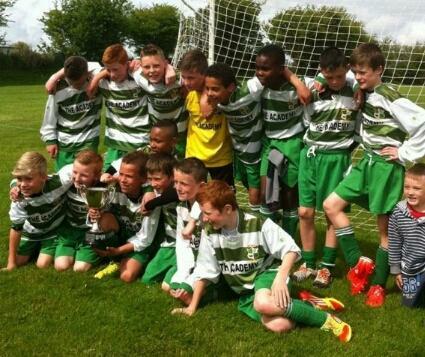 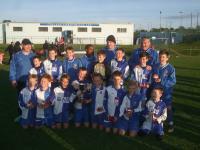 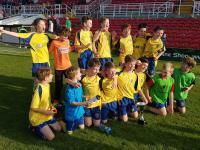 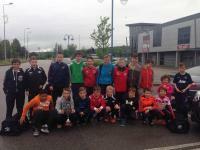 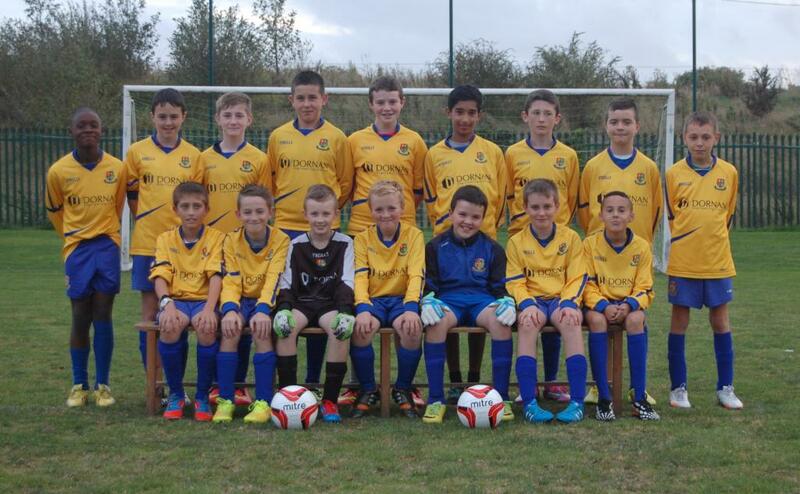 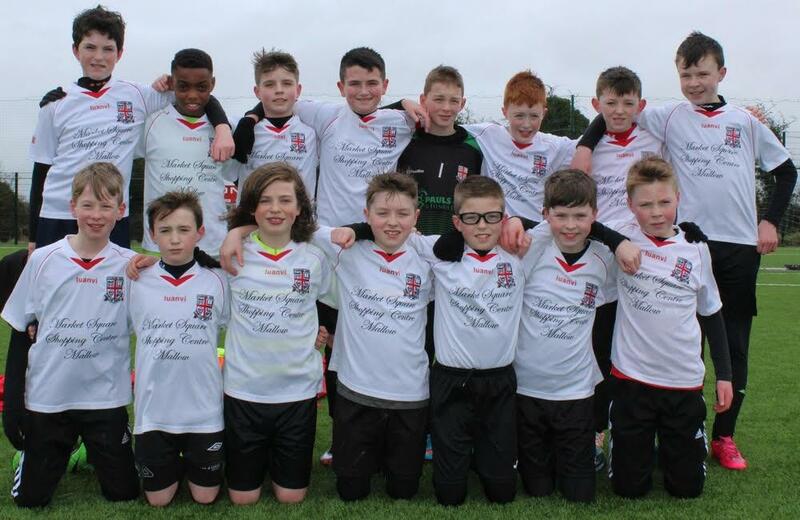 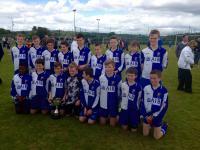 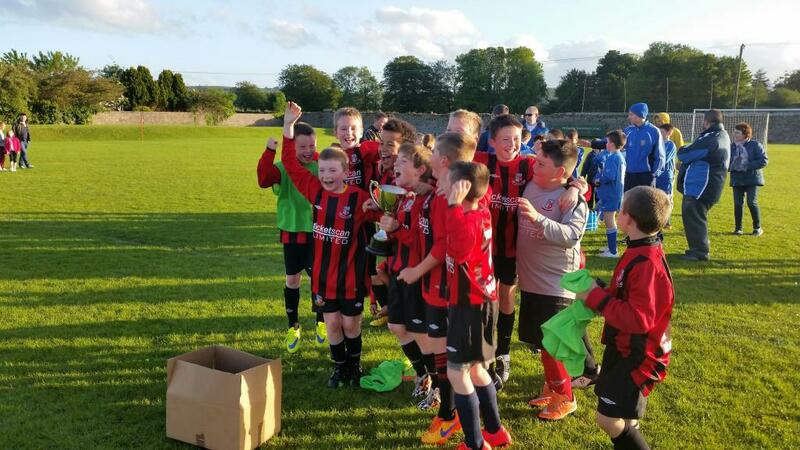 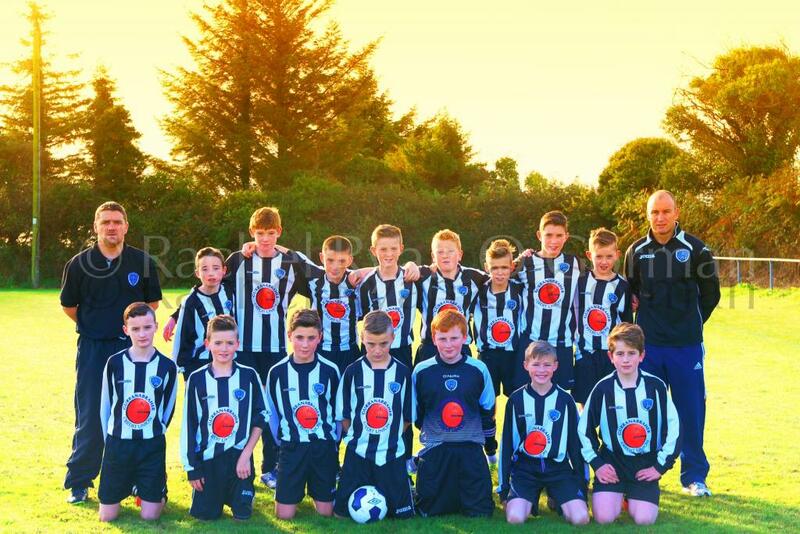 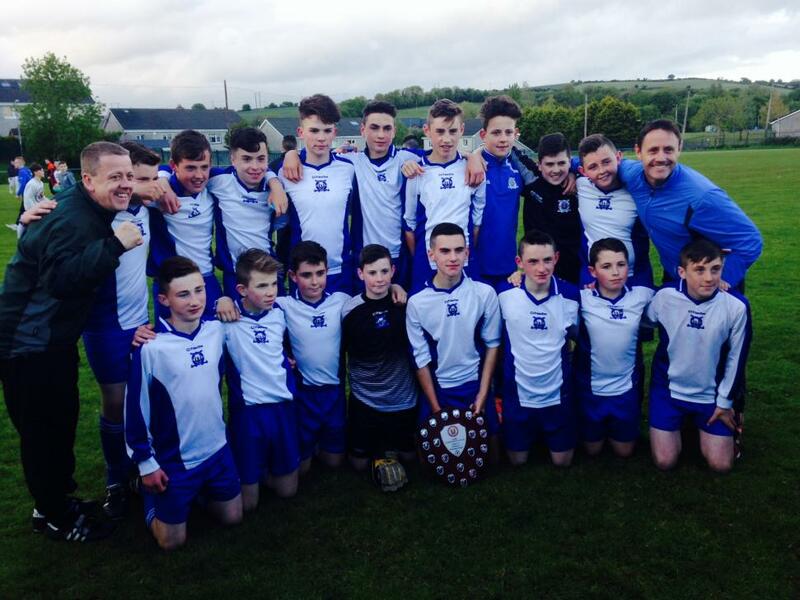 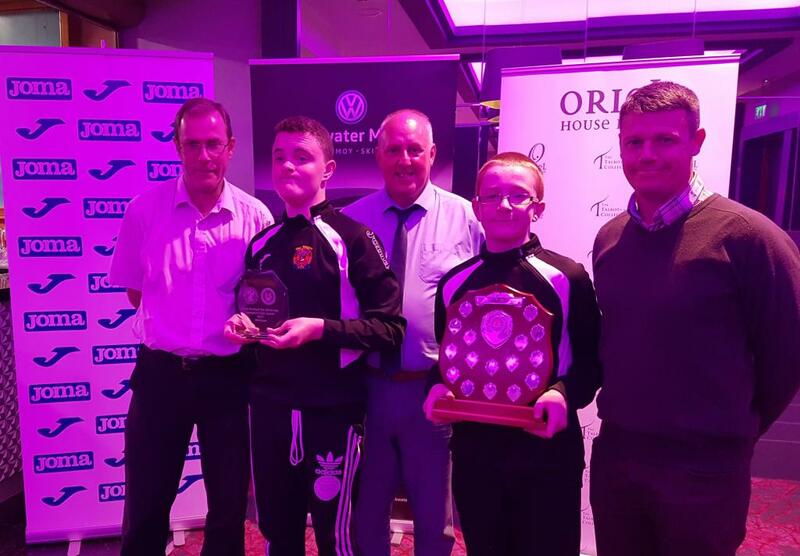 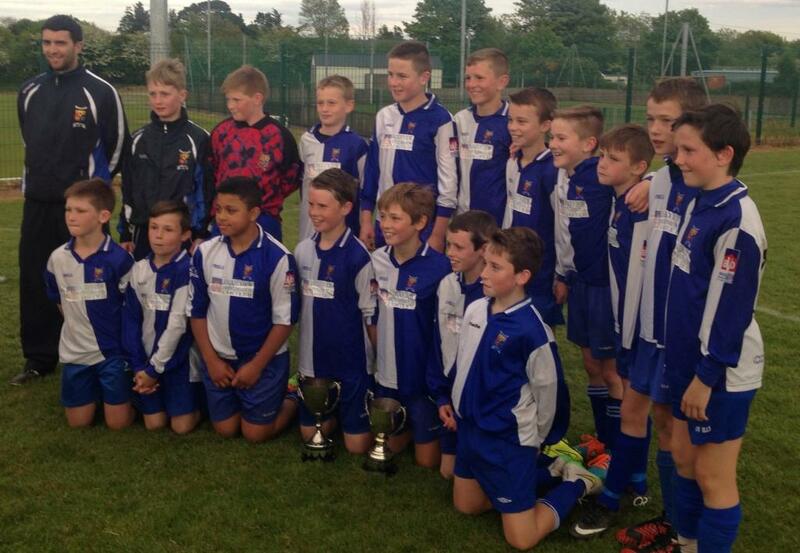 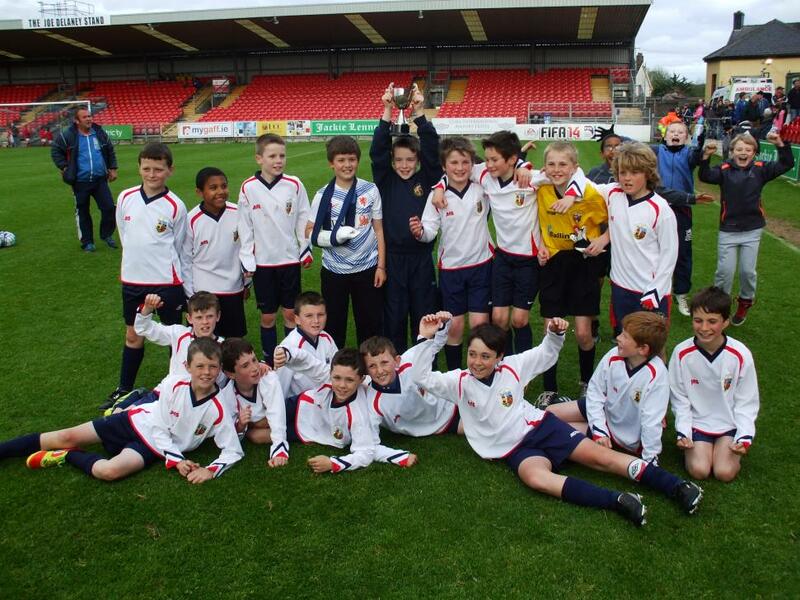 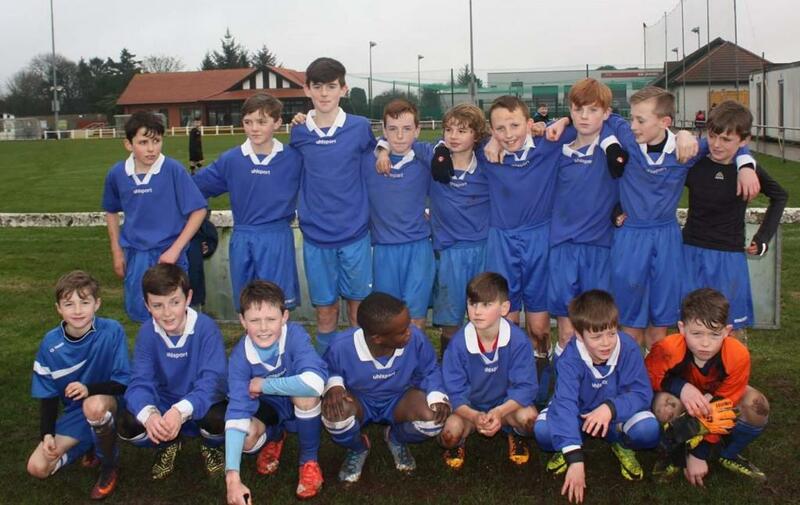 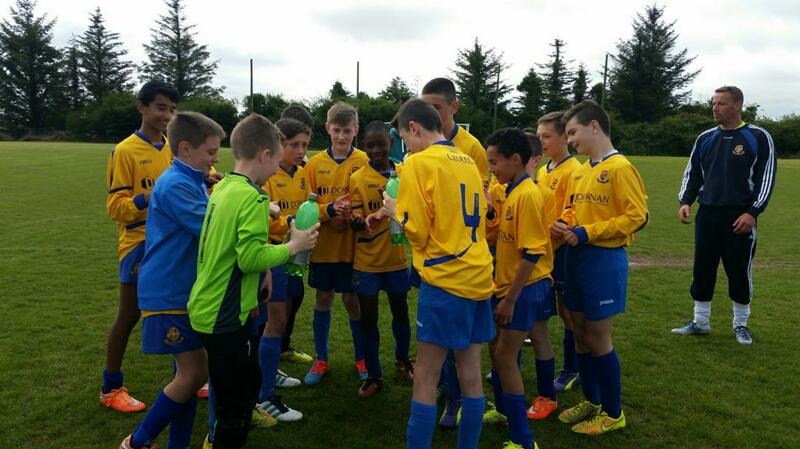 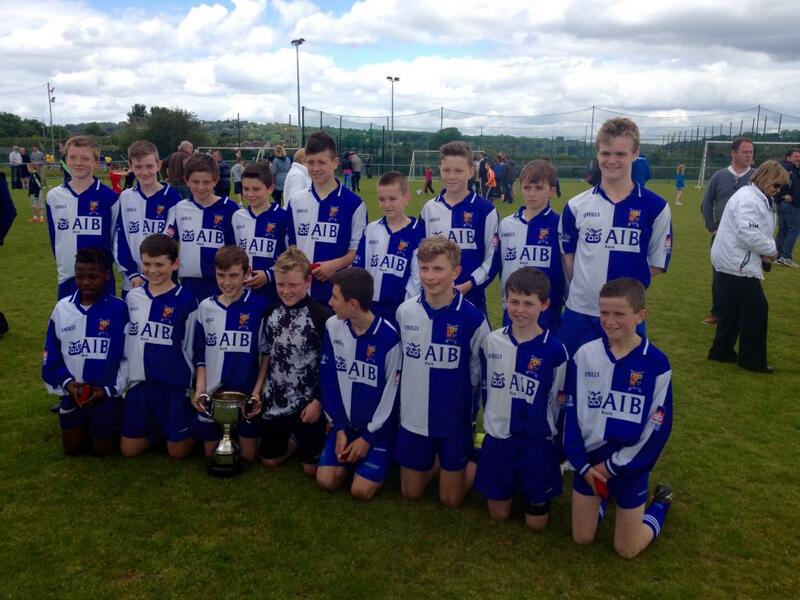 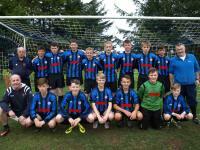 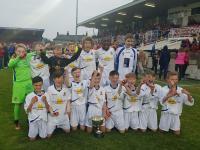 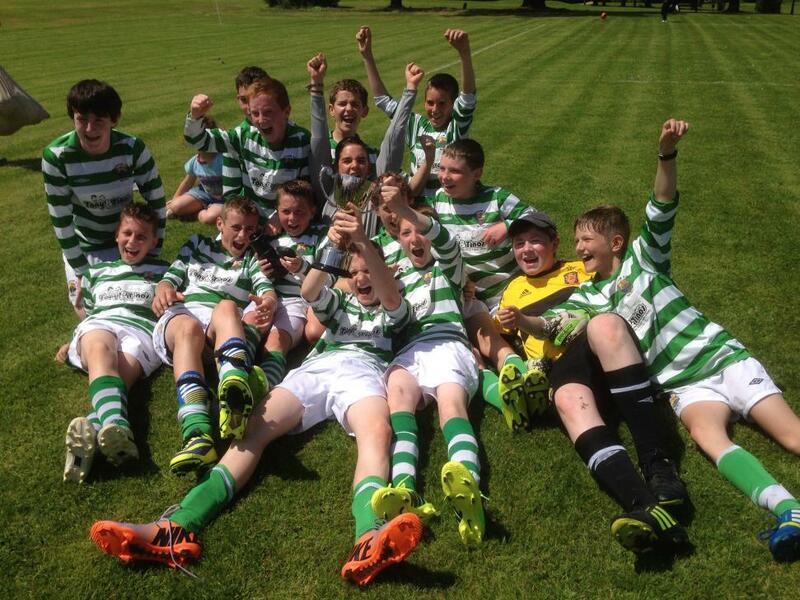 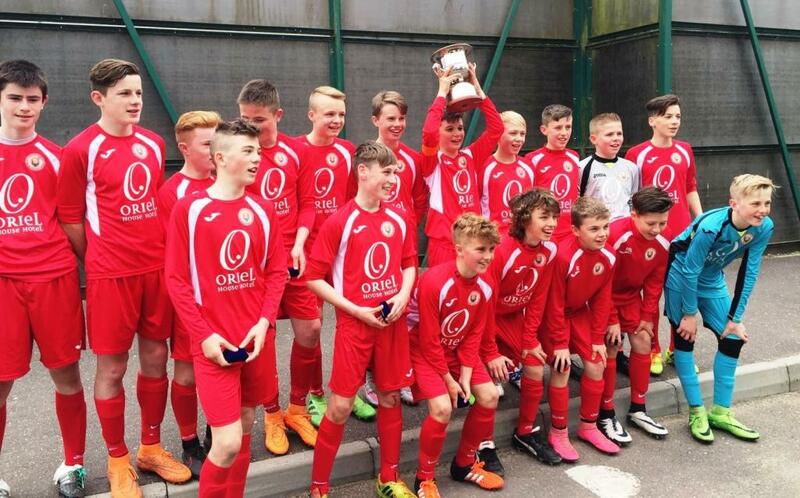 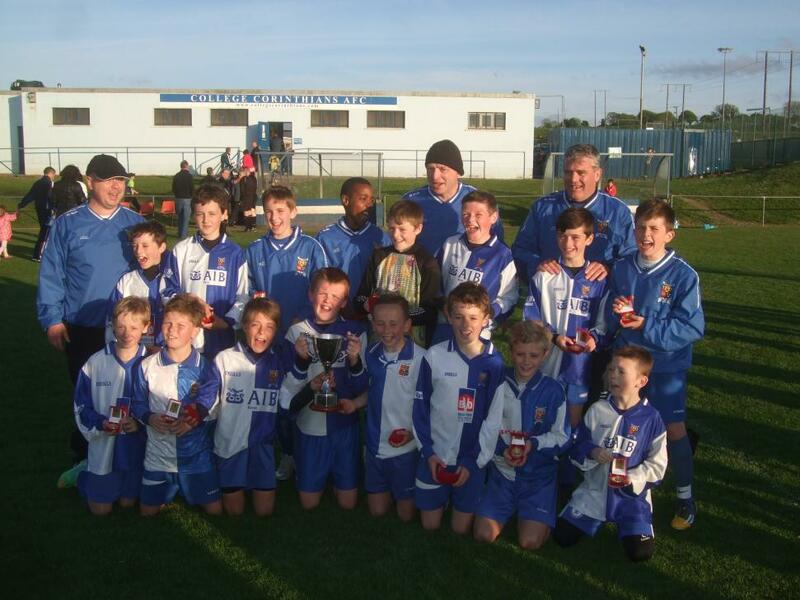 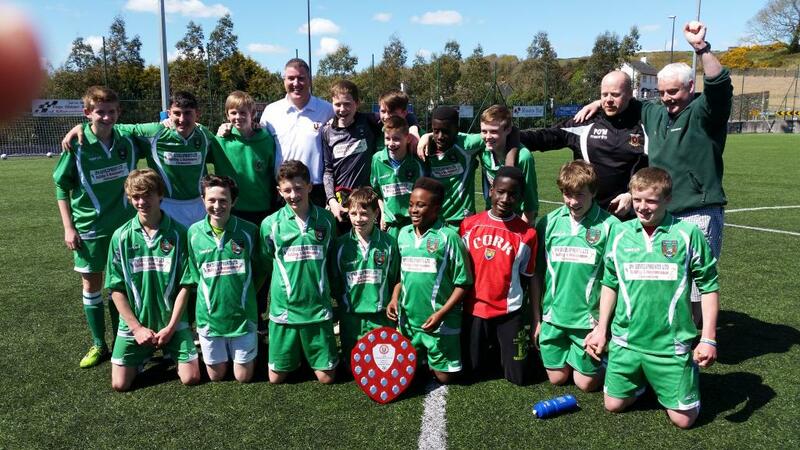 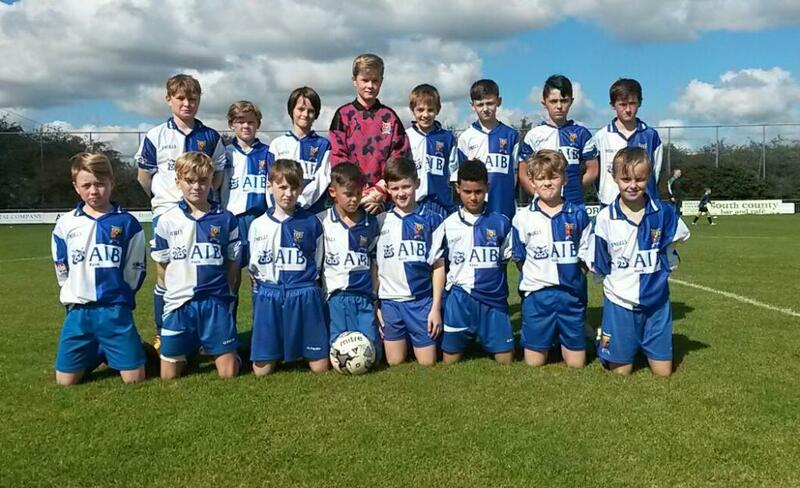 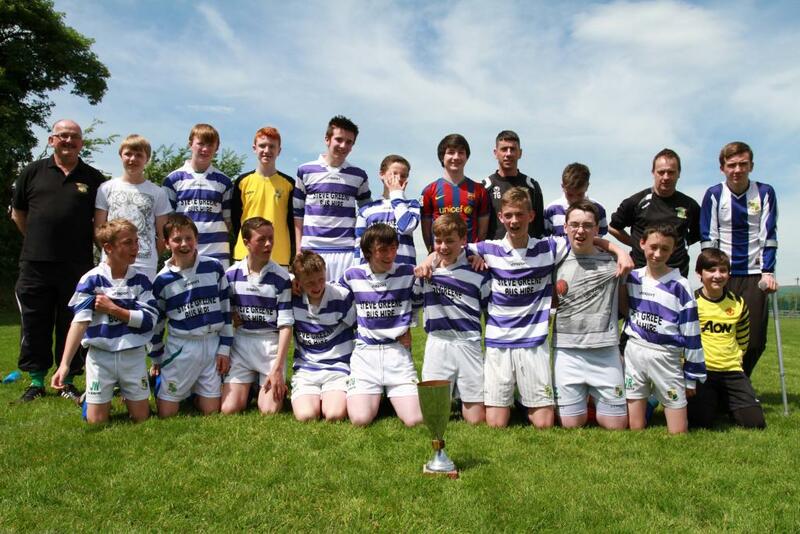 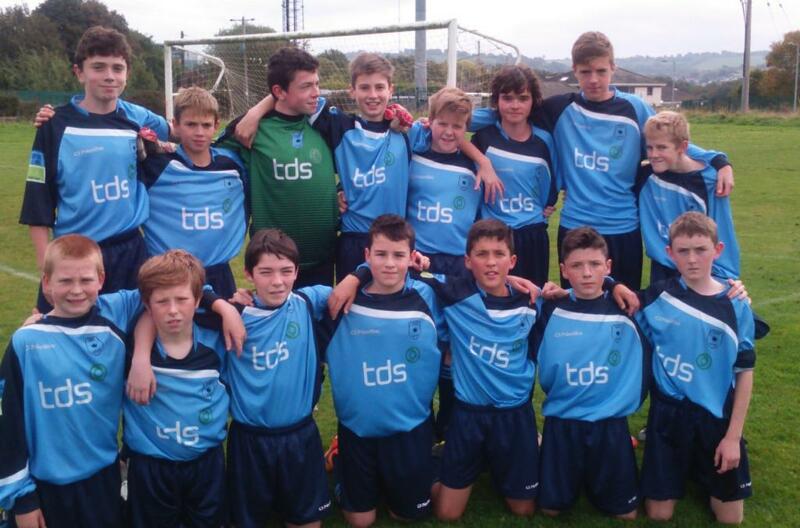 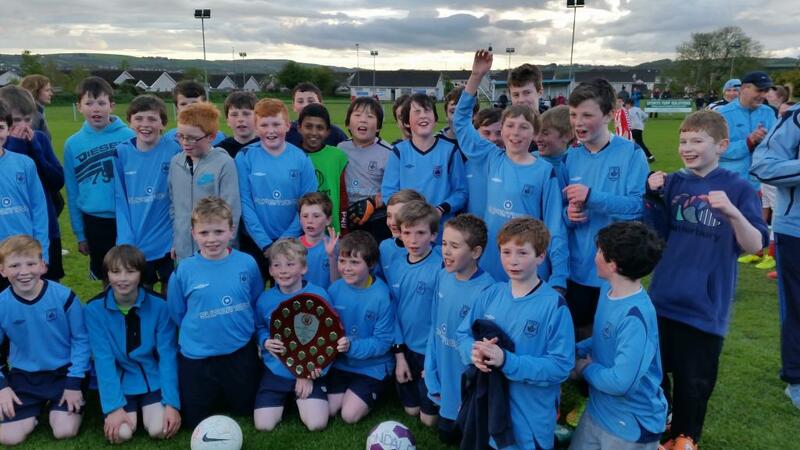 Corinthian Boys with the Roy Keane U13 Premier trophy after their playoff with Blarney. 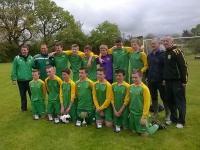 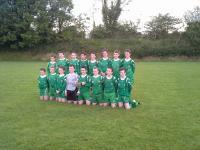 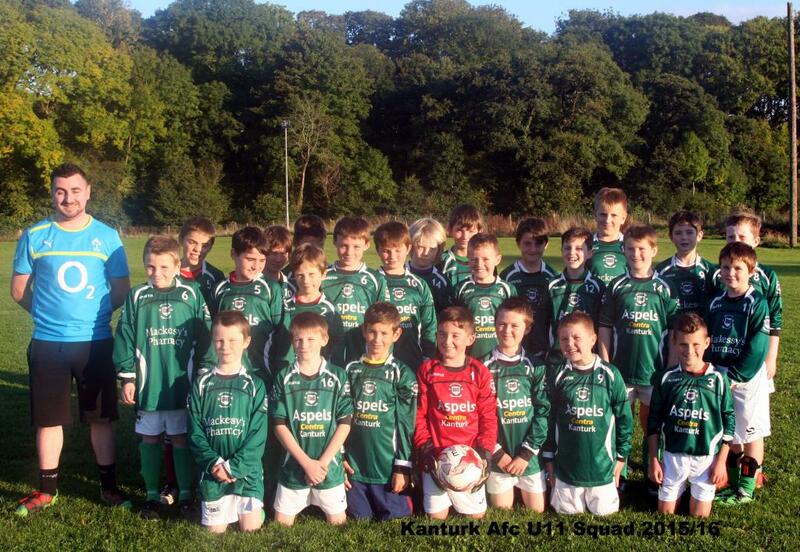 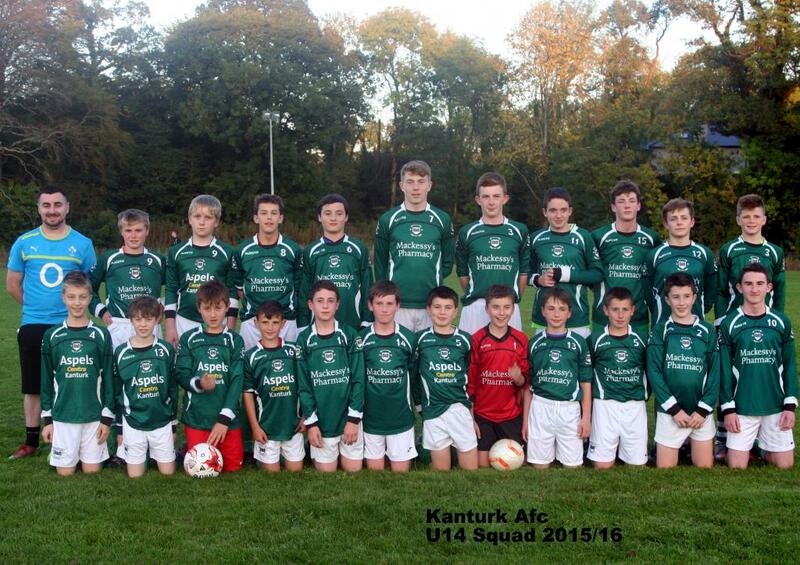 Kanturk with their trophy after the game v Watergrasshill. 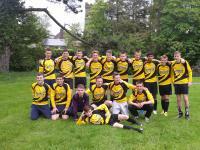 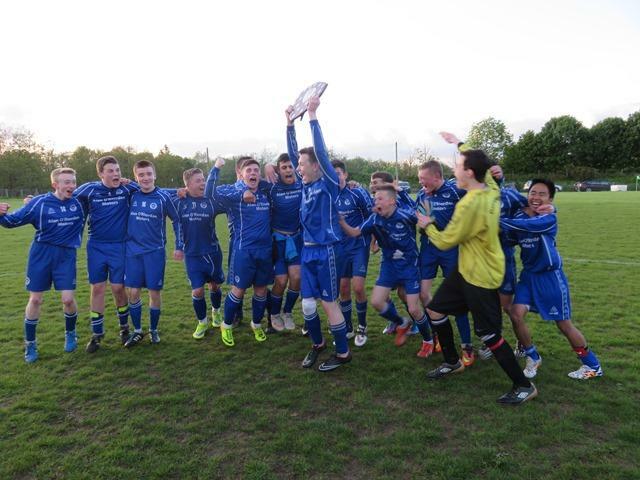 Innishvilla pictured after their win over Richmond when they clinched the league title. 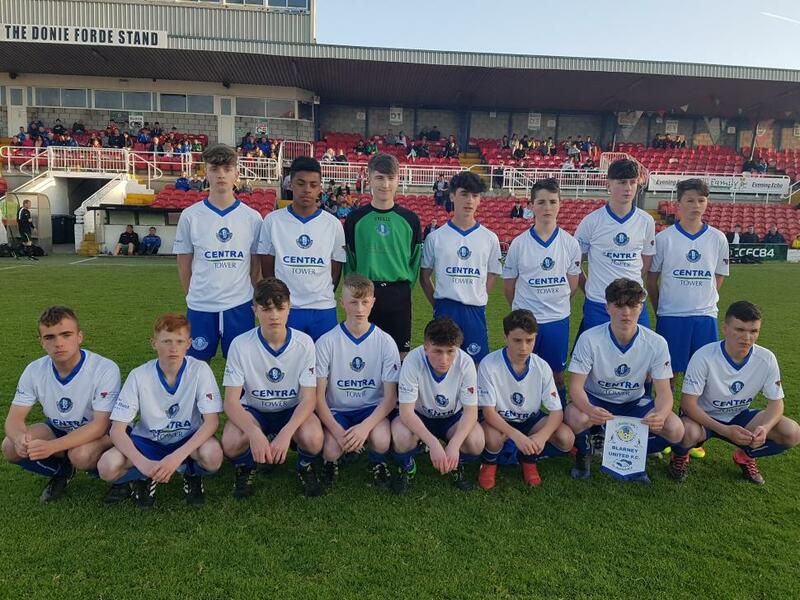 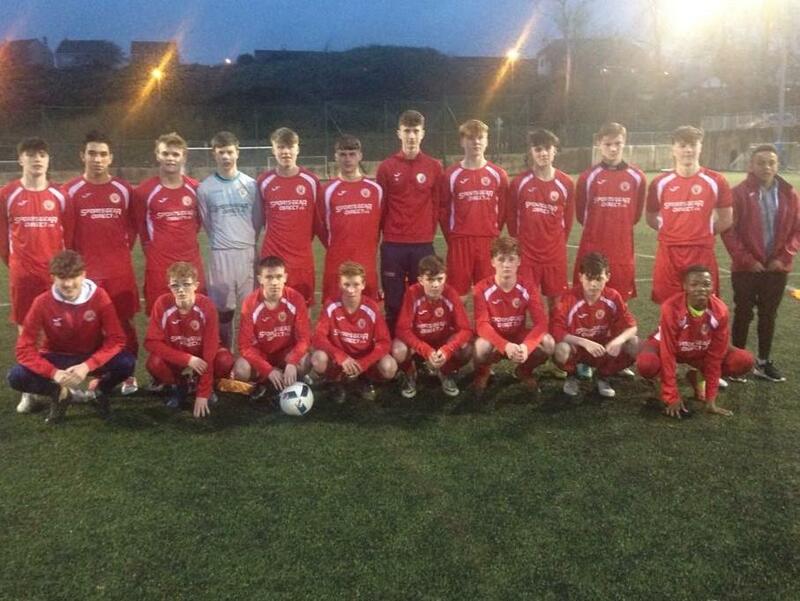 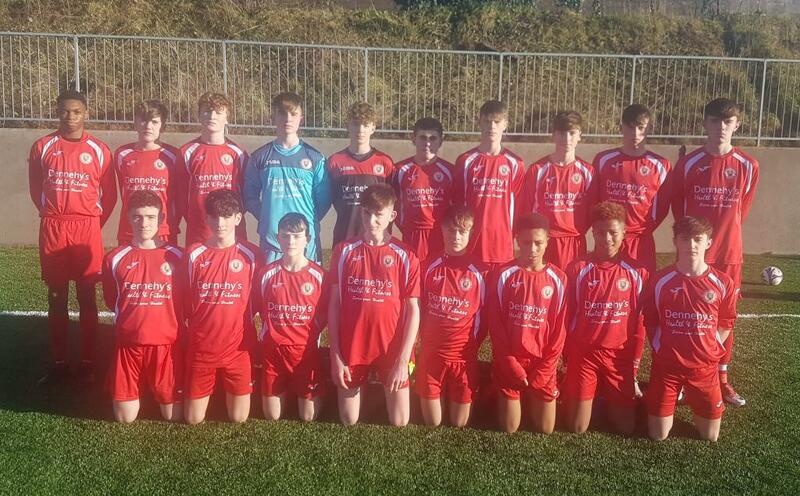 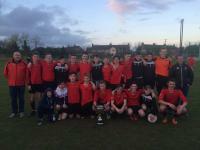 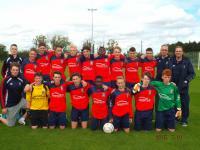 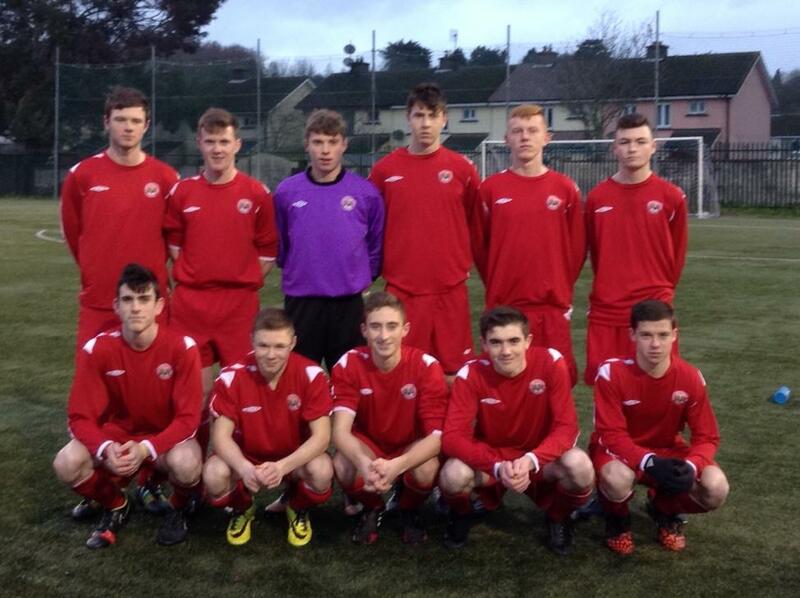 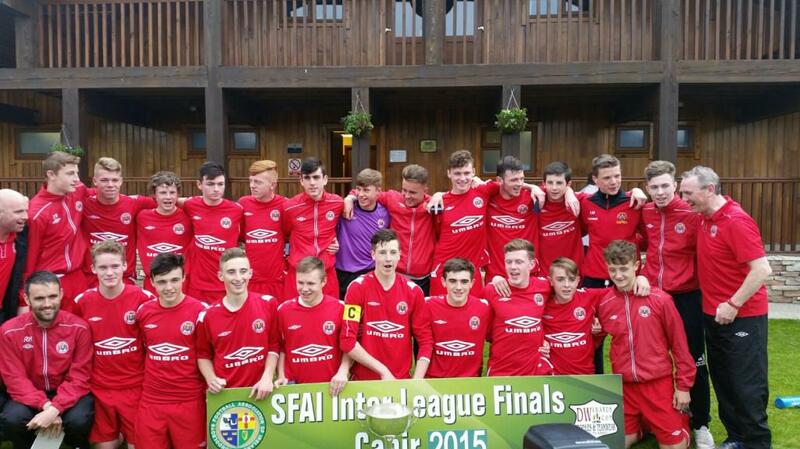 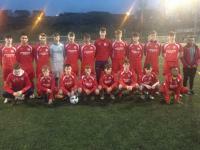 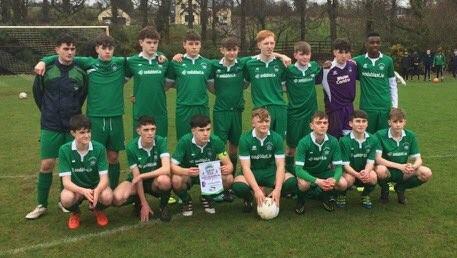 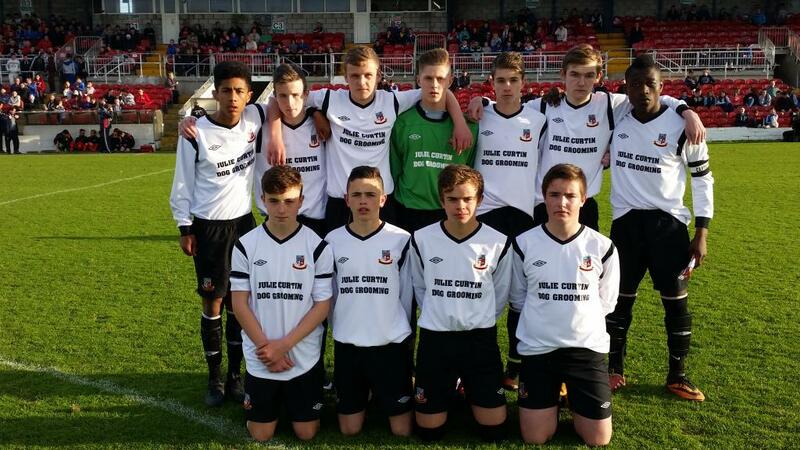 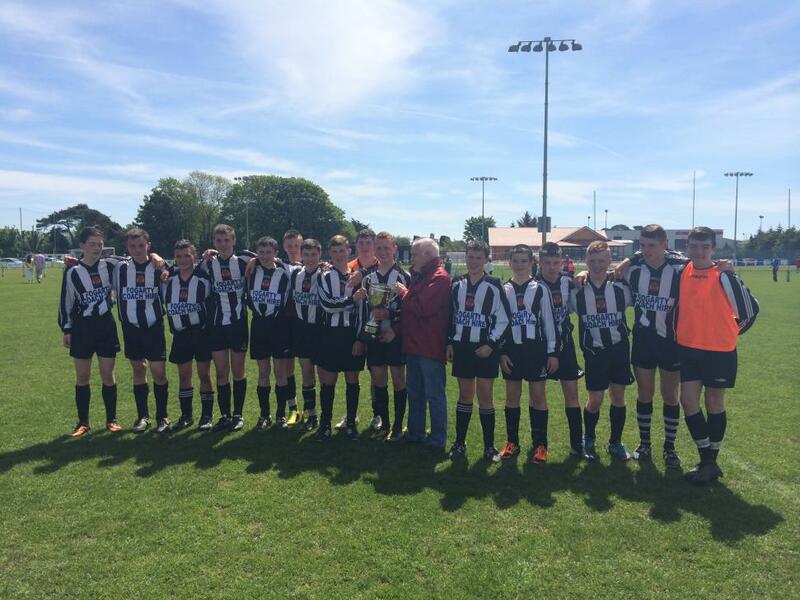 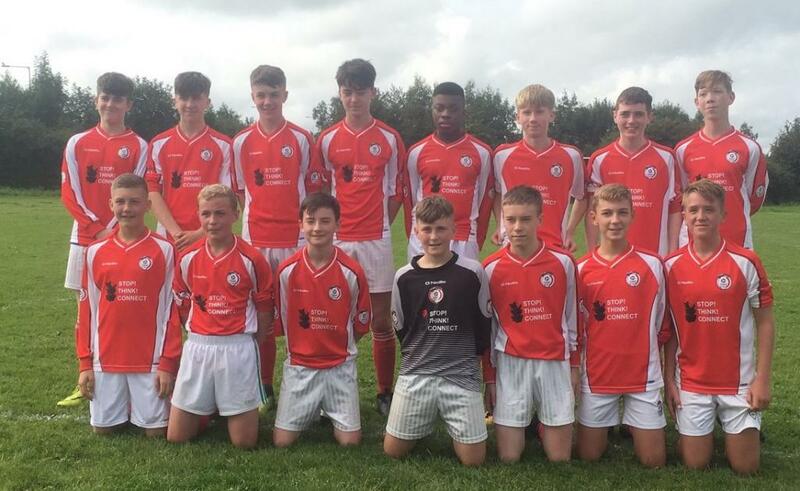 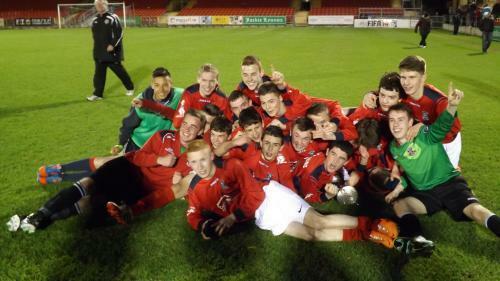 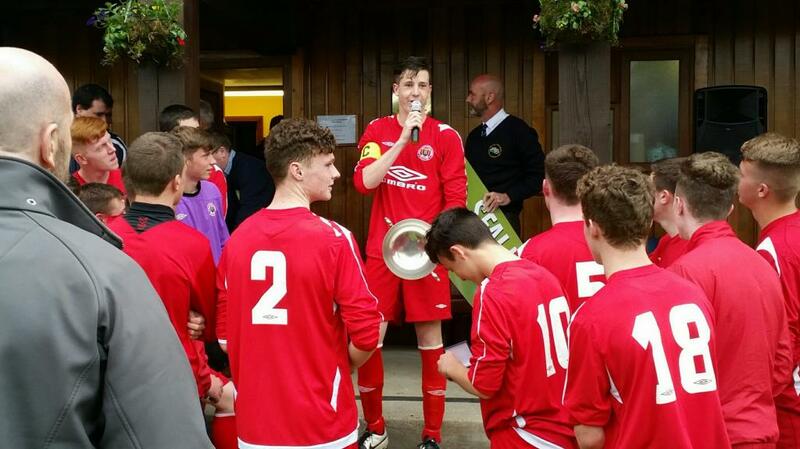 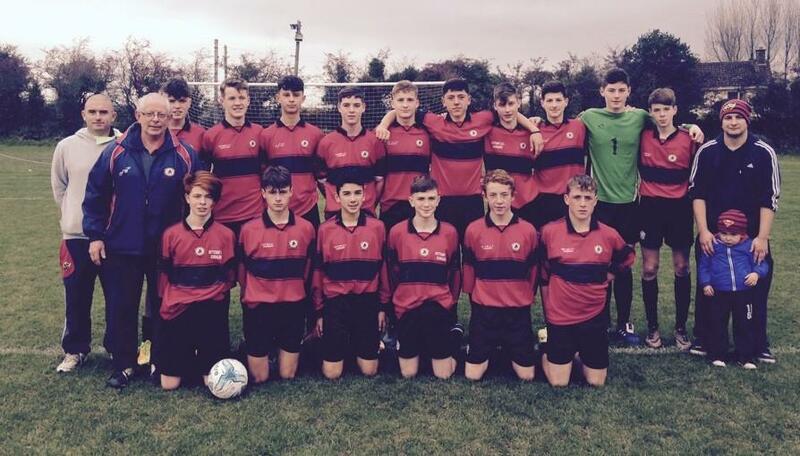 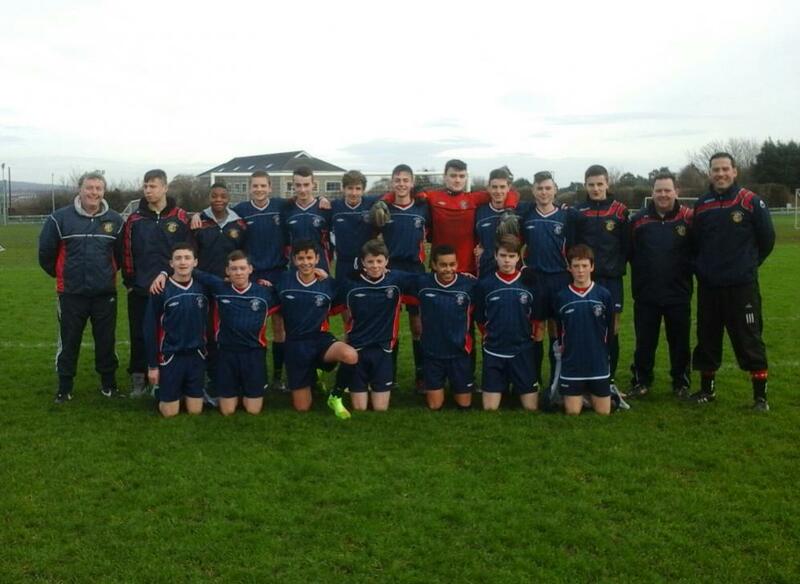 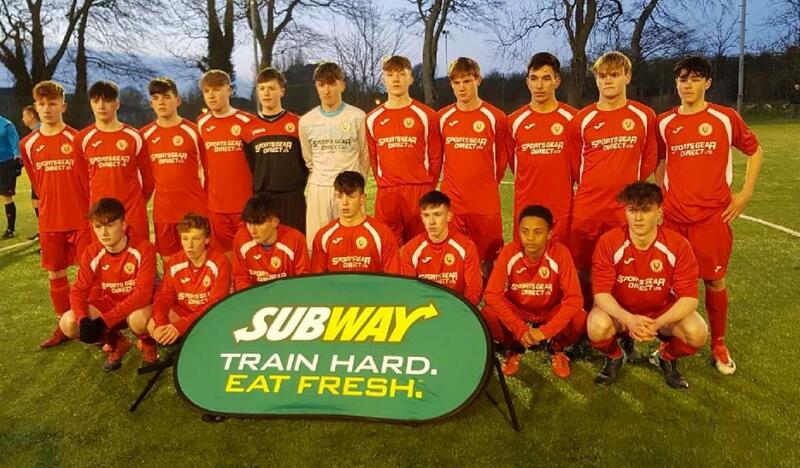 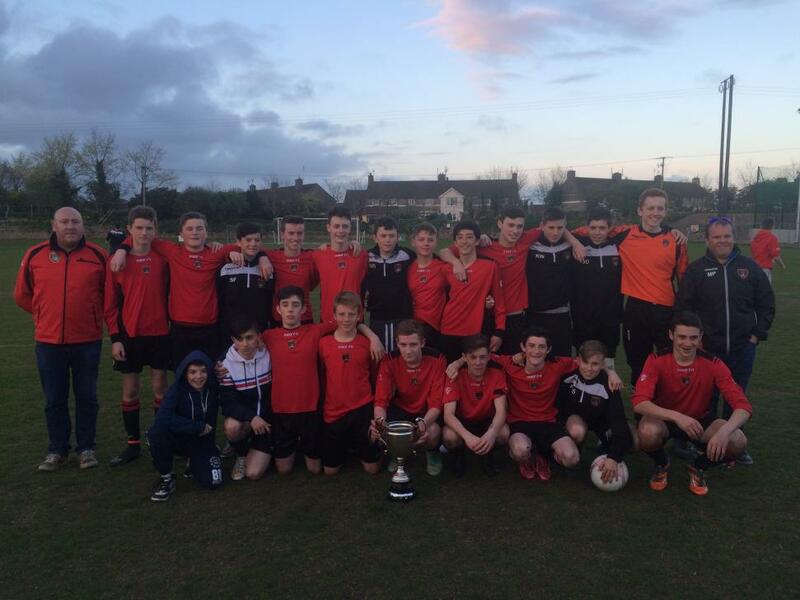 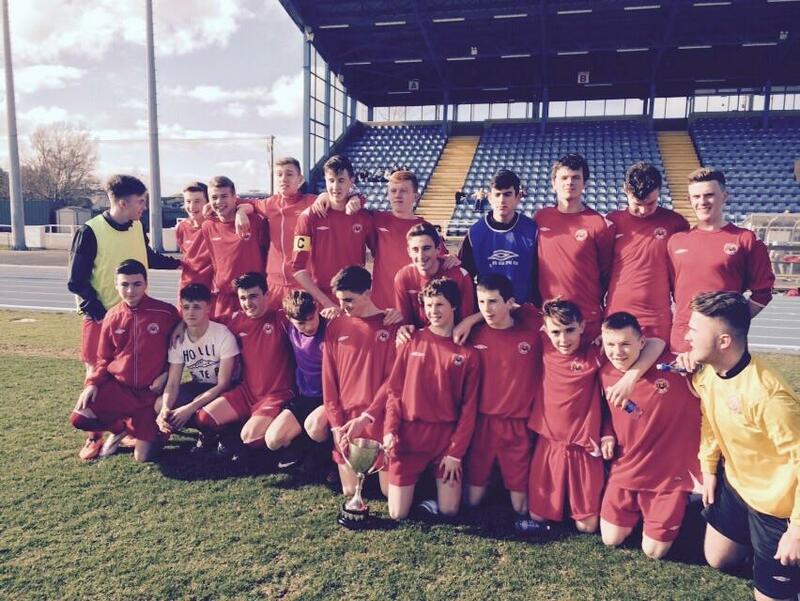 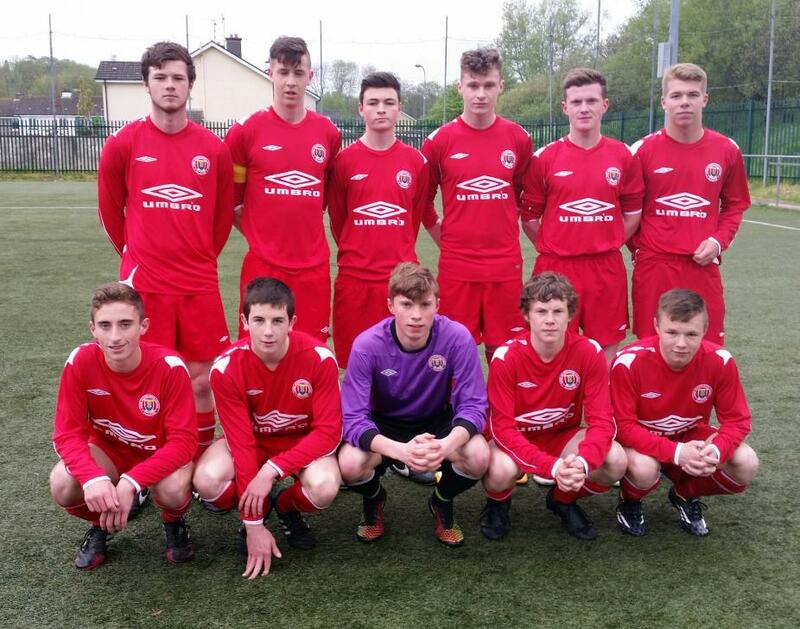 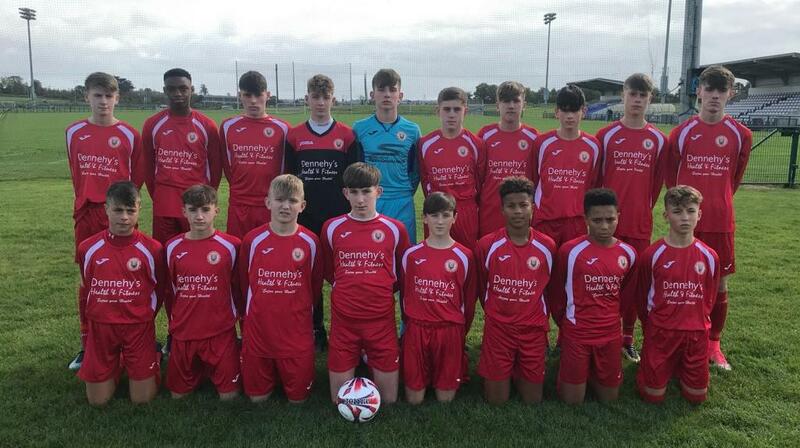 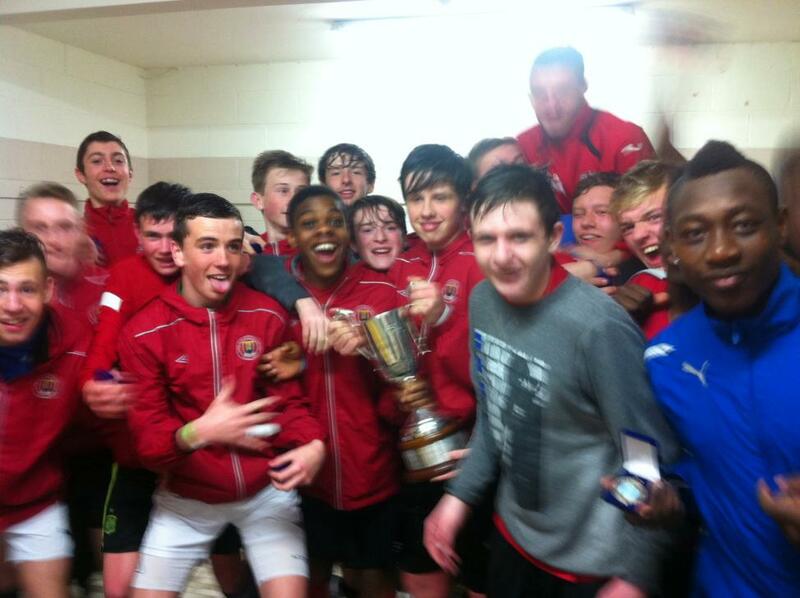 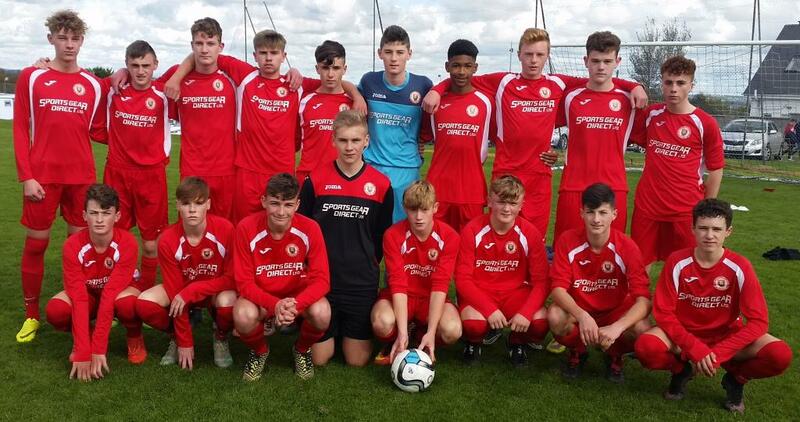 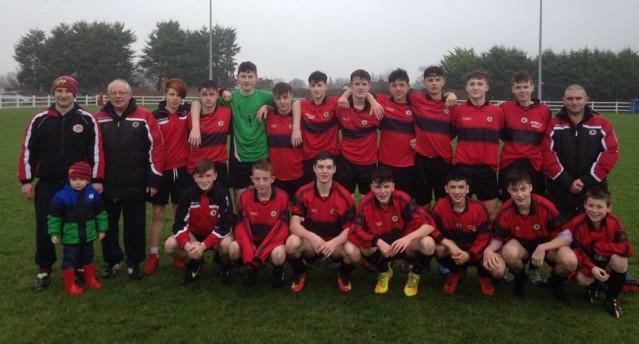 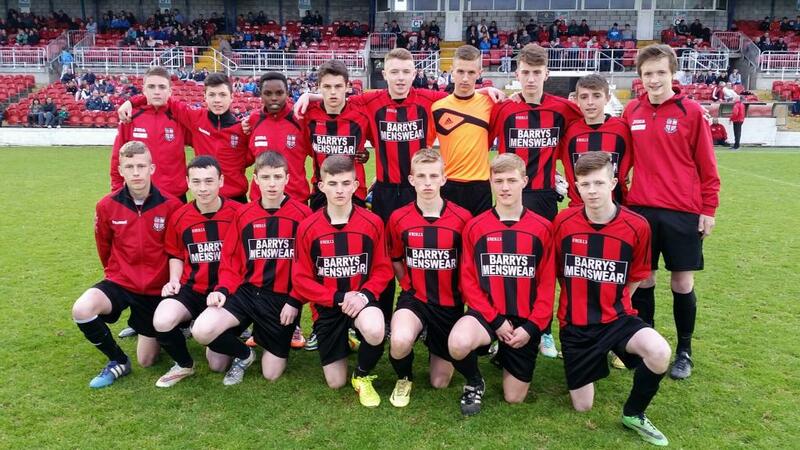 Cork U16s following their win over NDSL in the All Ireland Inter League Final. 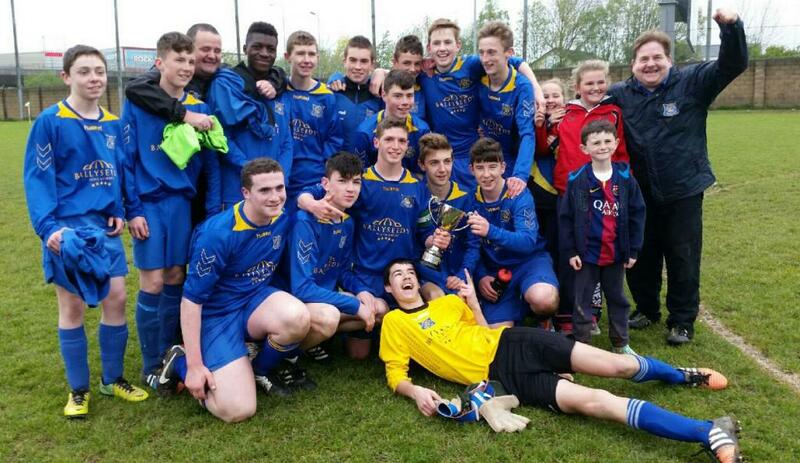 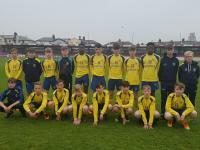 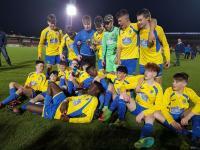 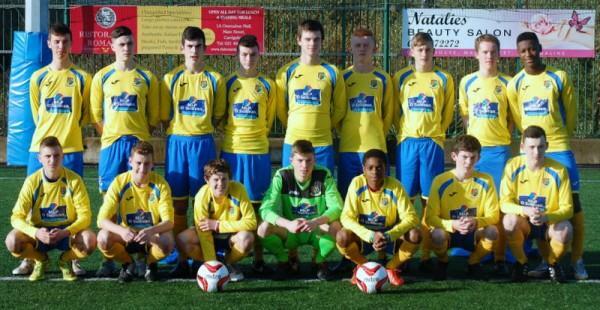 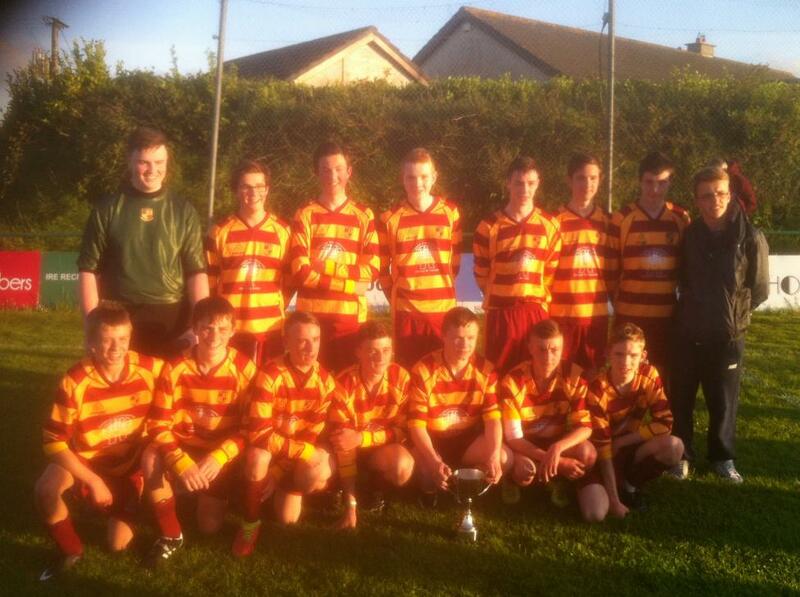 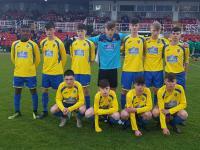 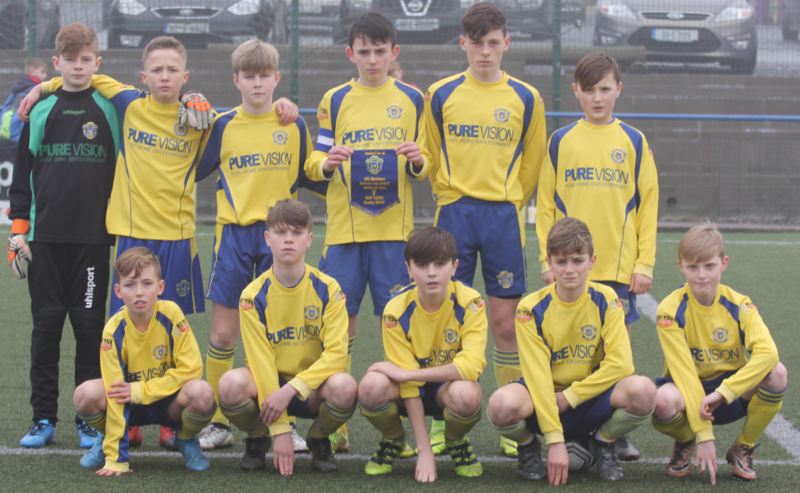 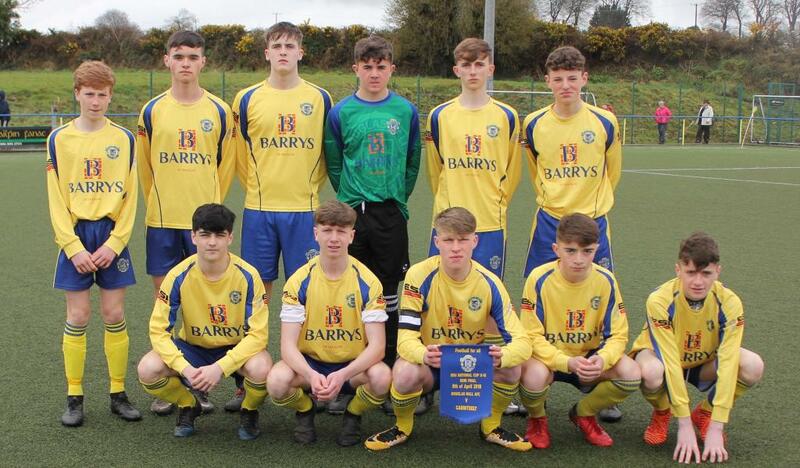 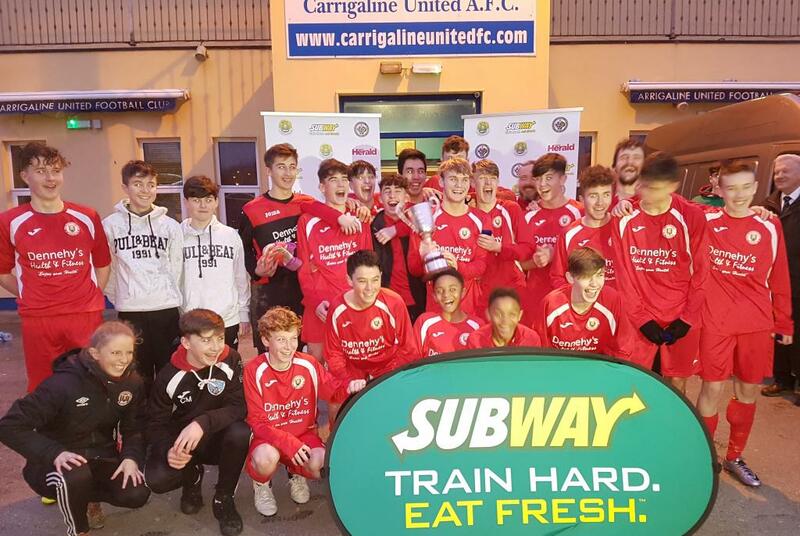 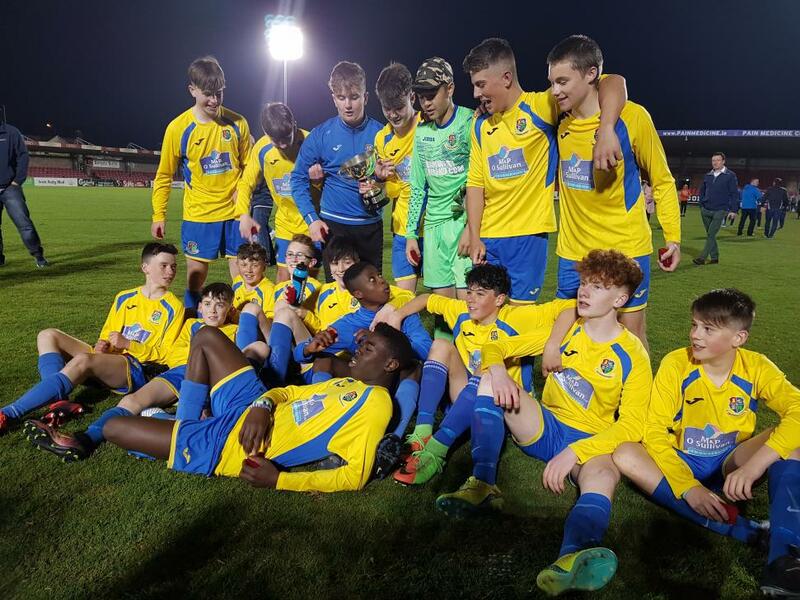 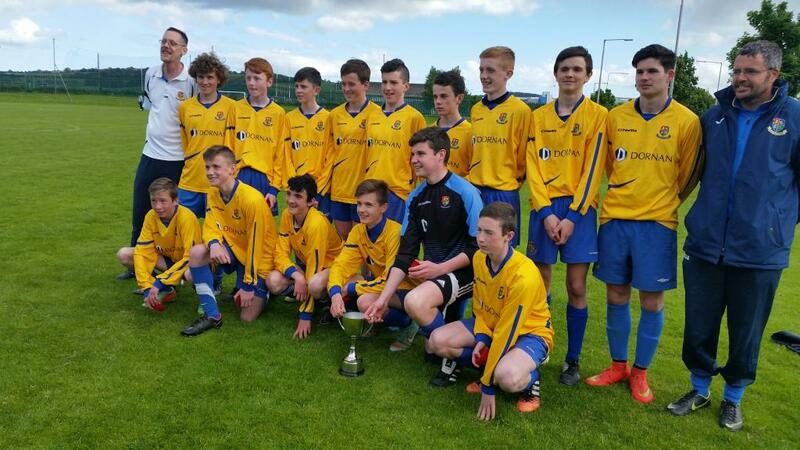 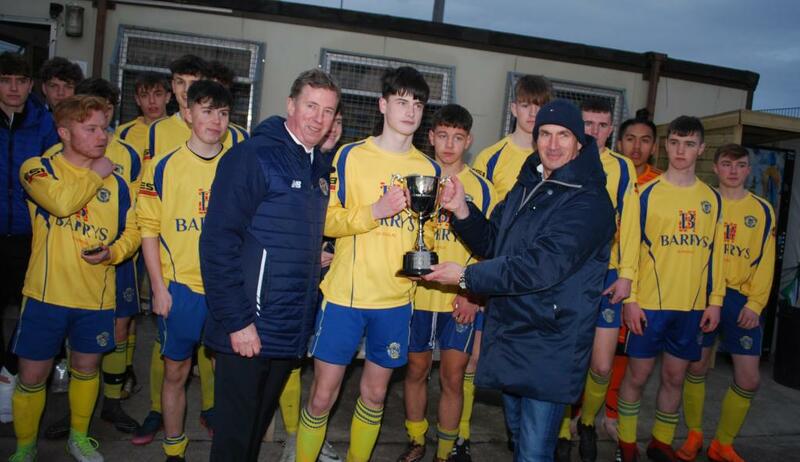 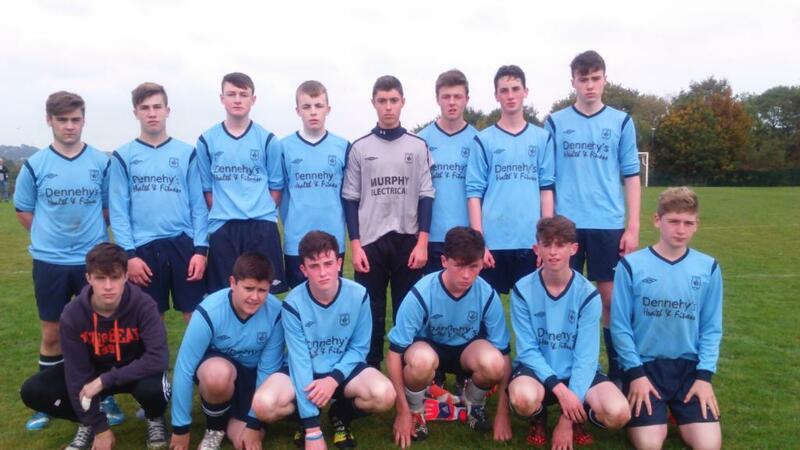 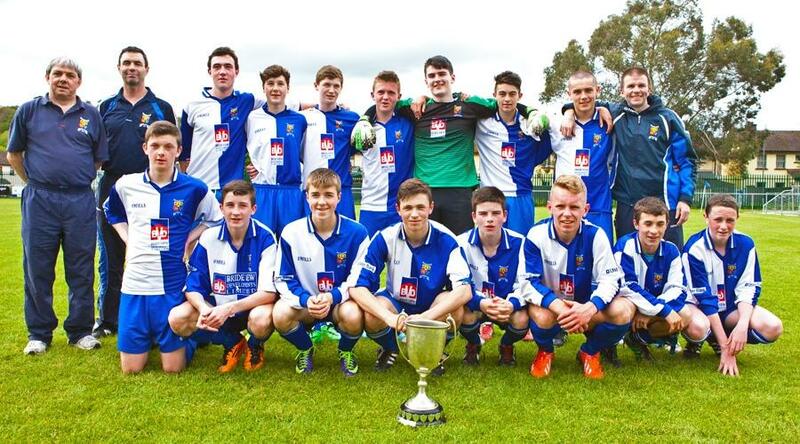 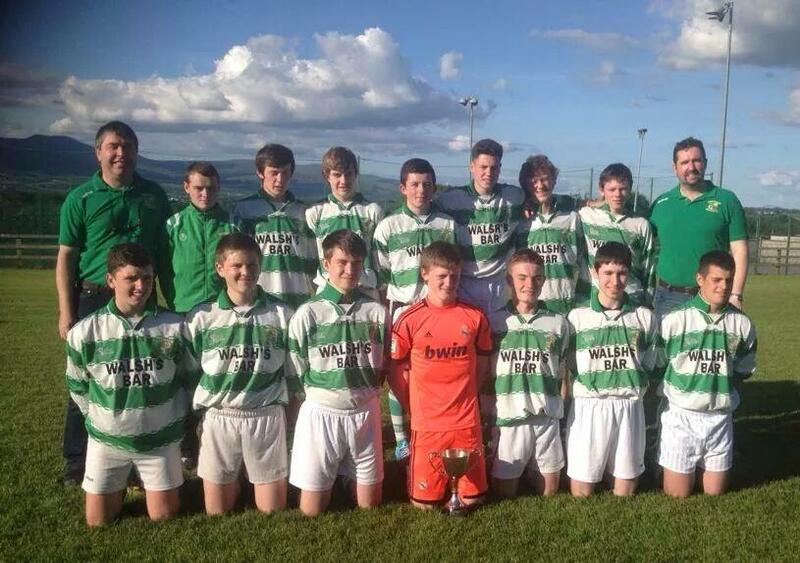 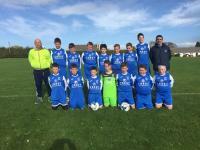 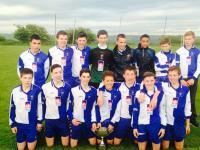 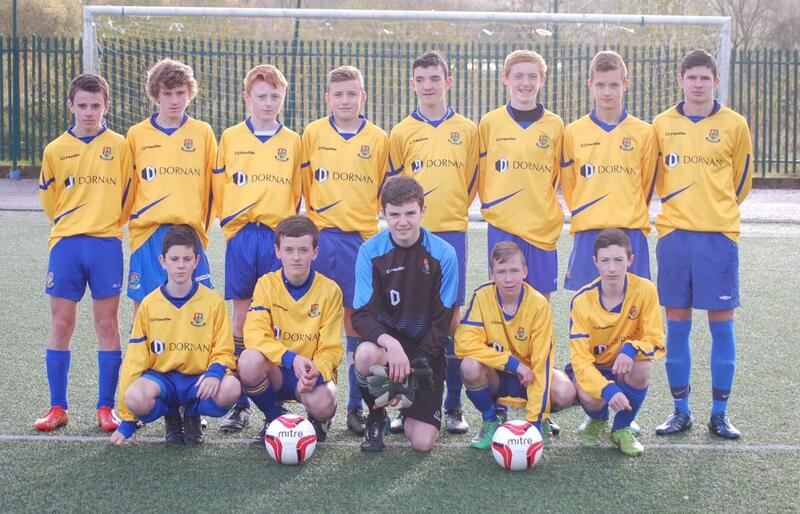 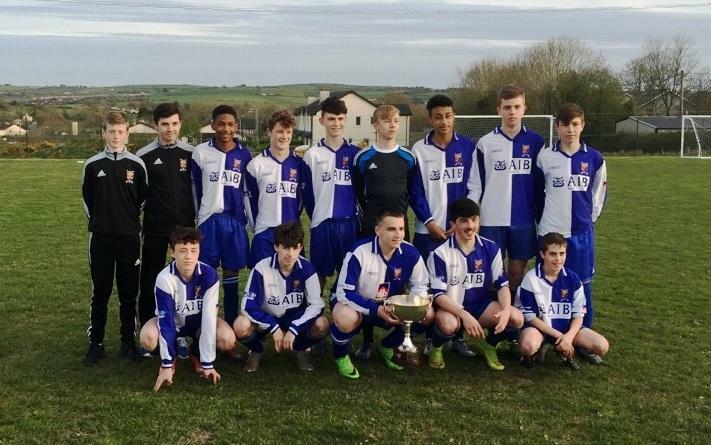 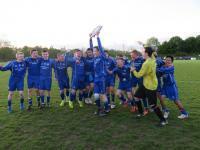 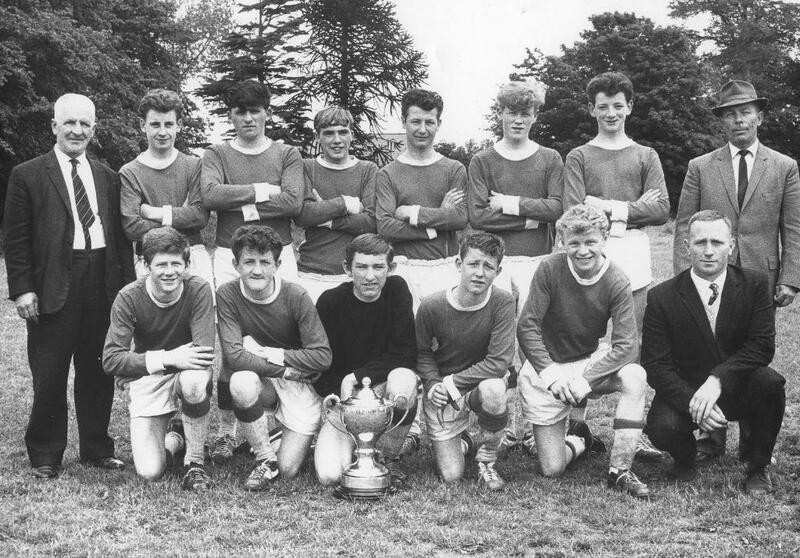 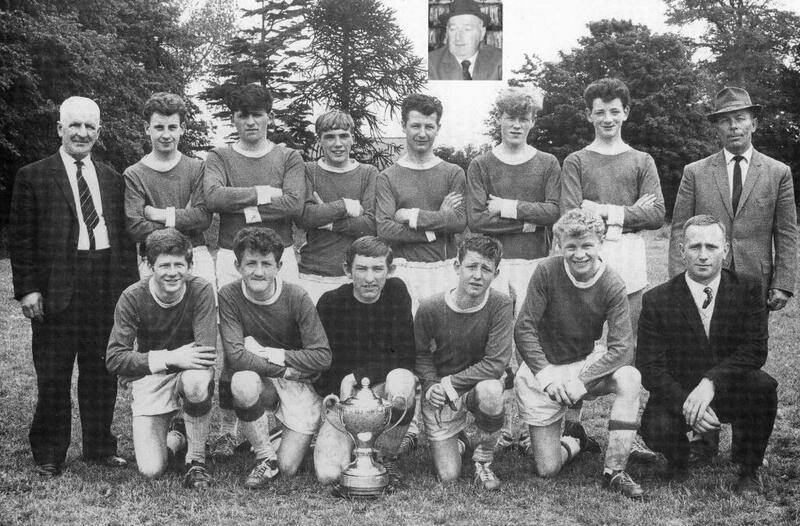 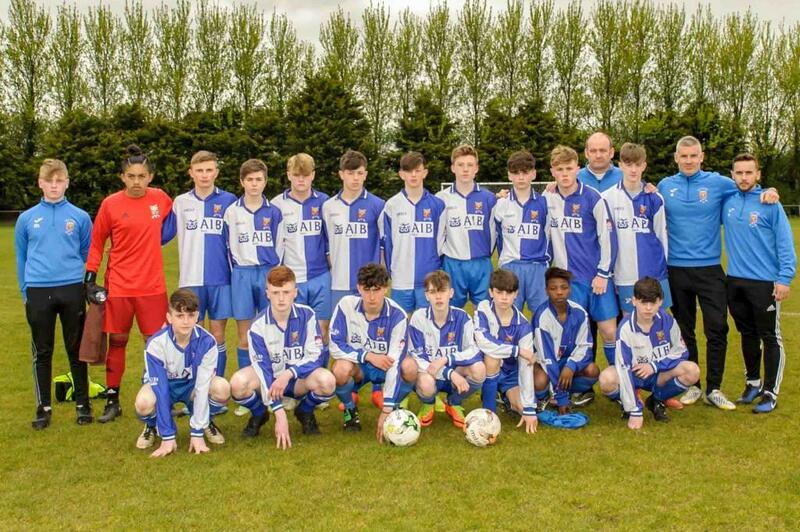 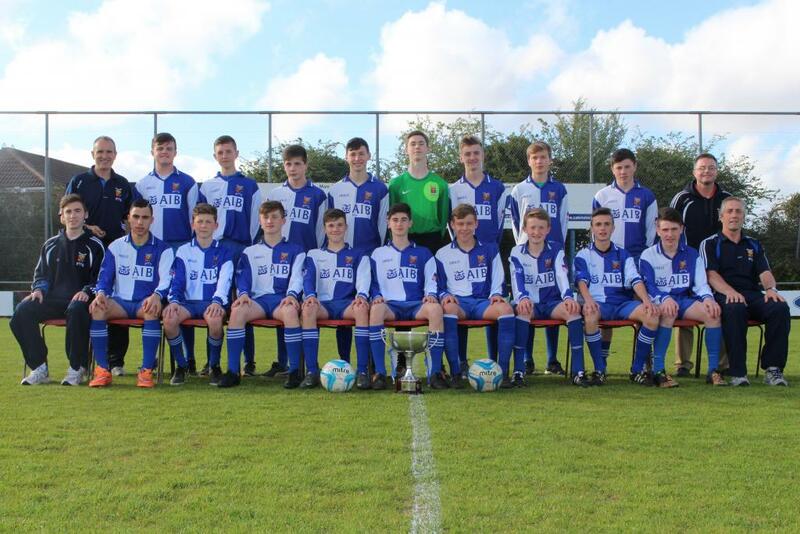 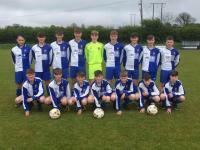 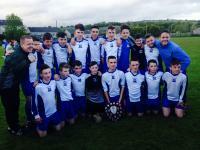 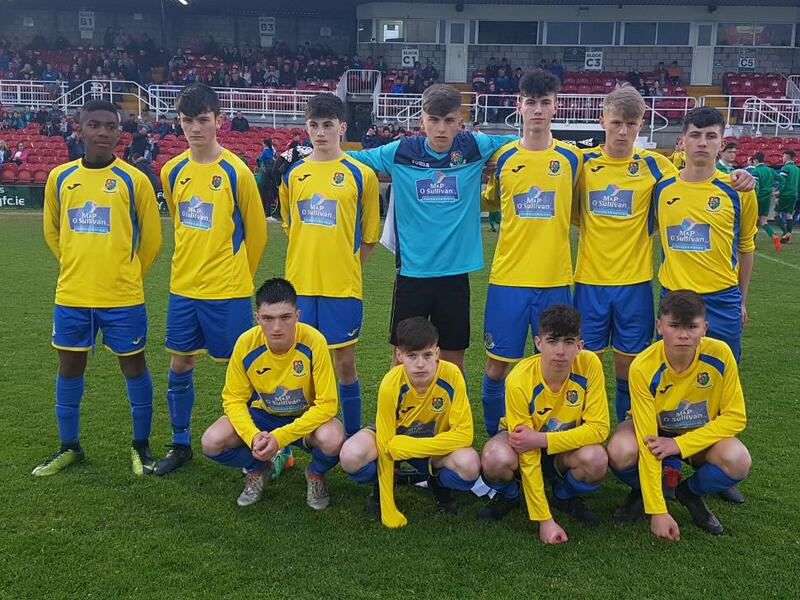 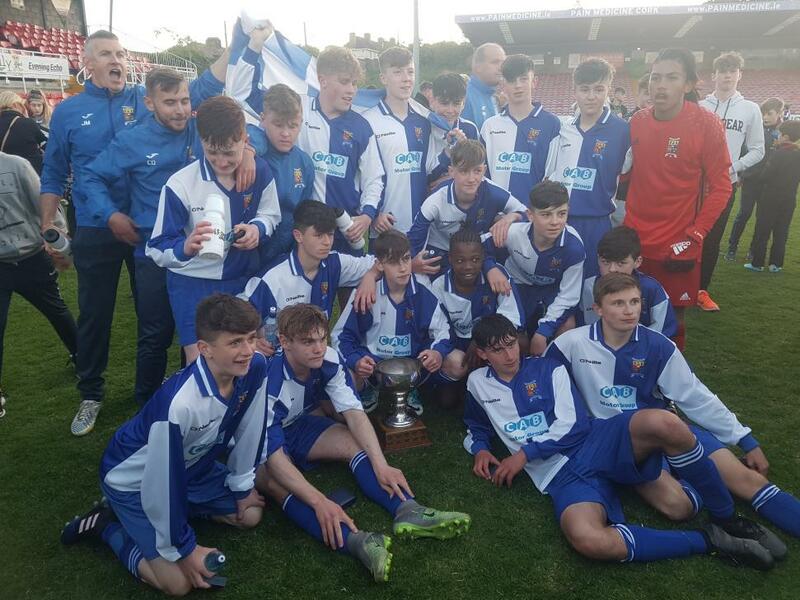 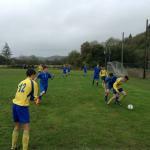 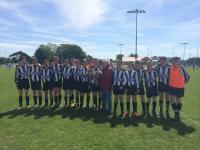 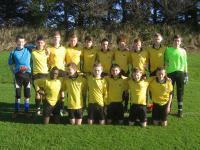 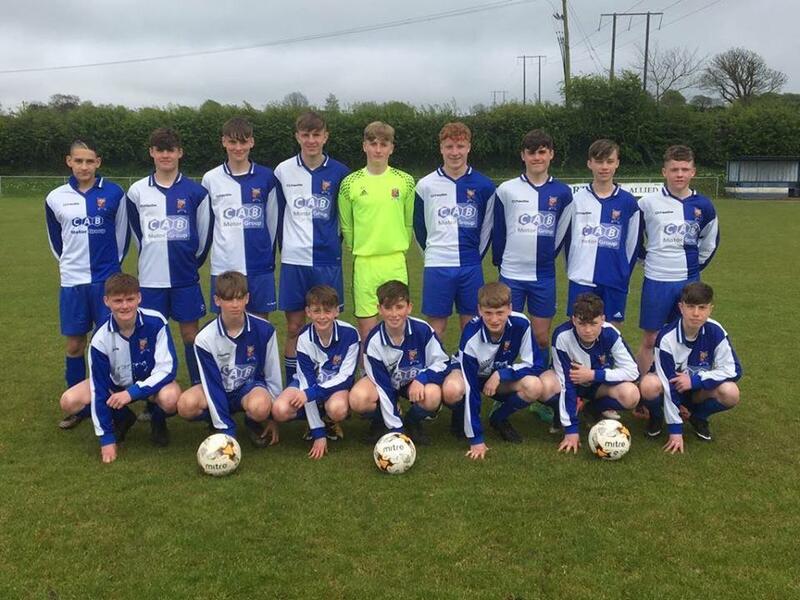 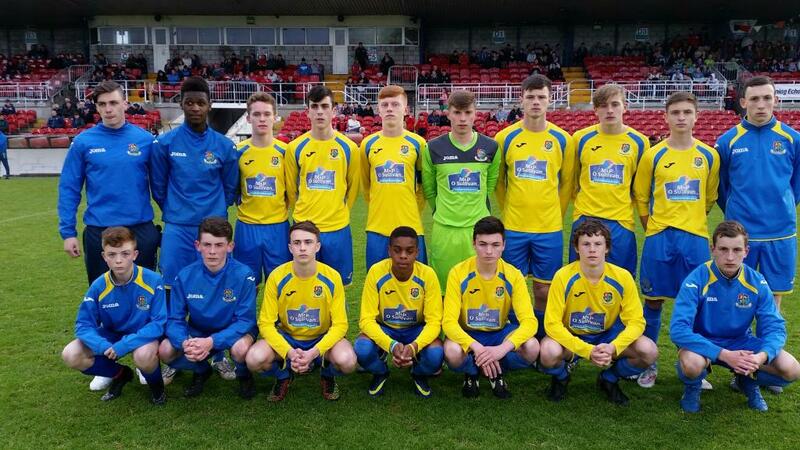 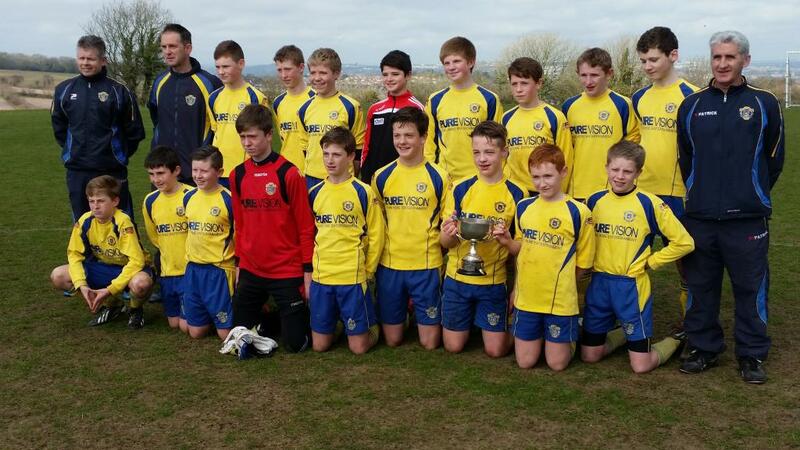 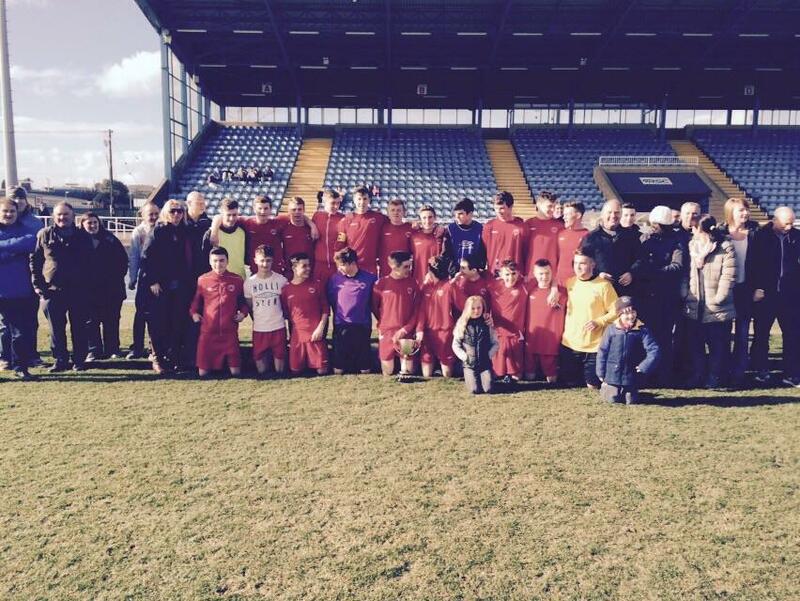 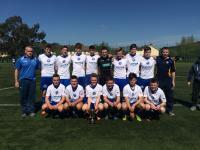 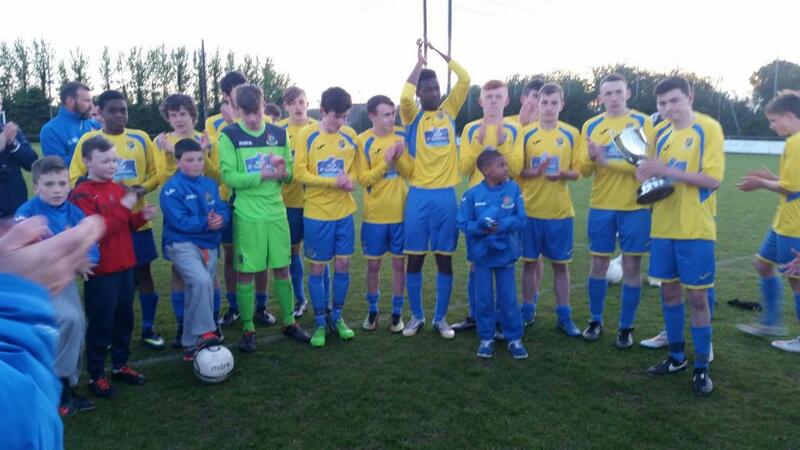 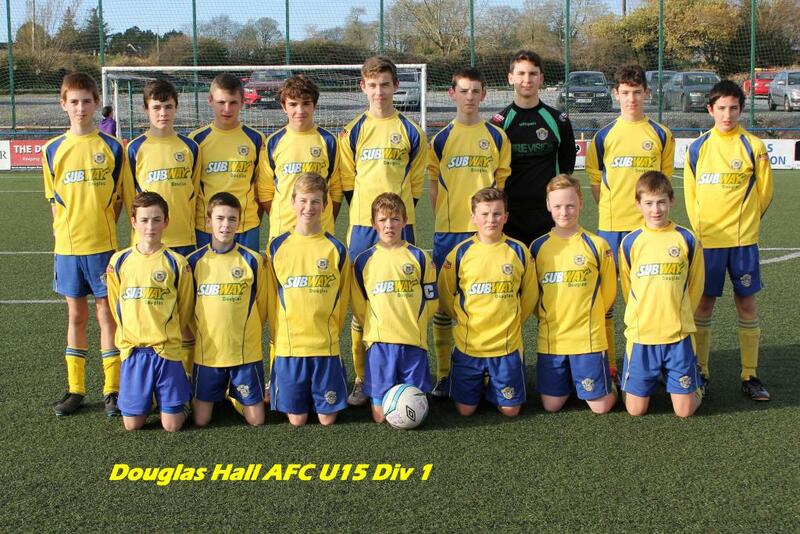 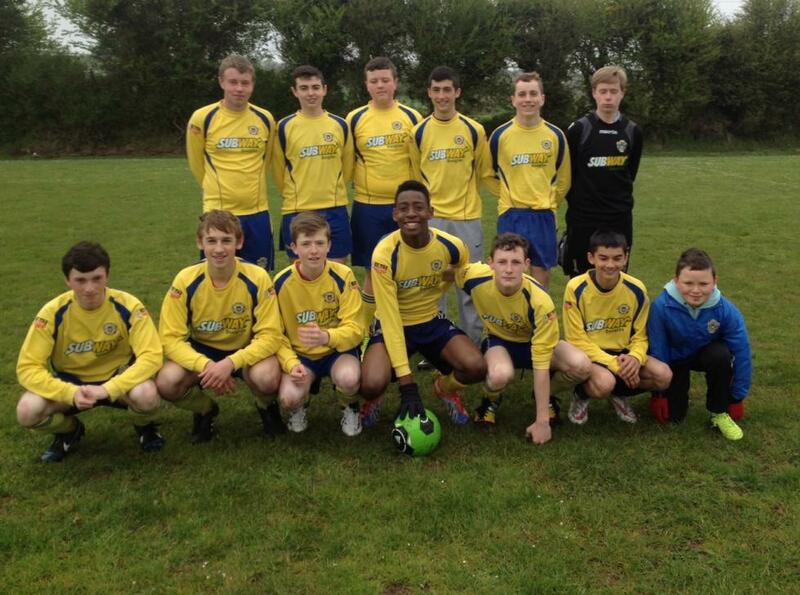 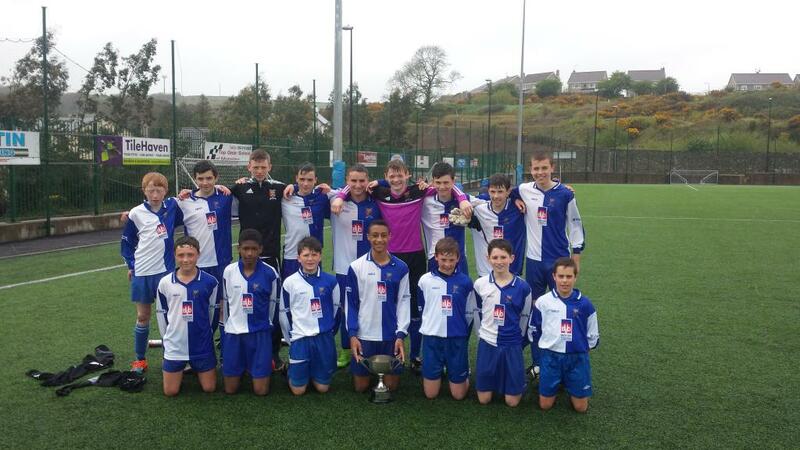 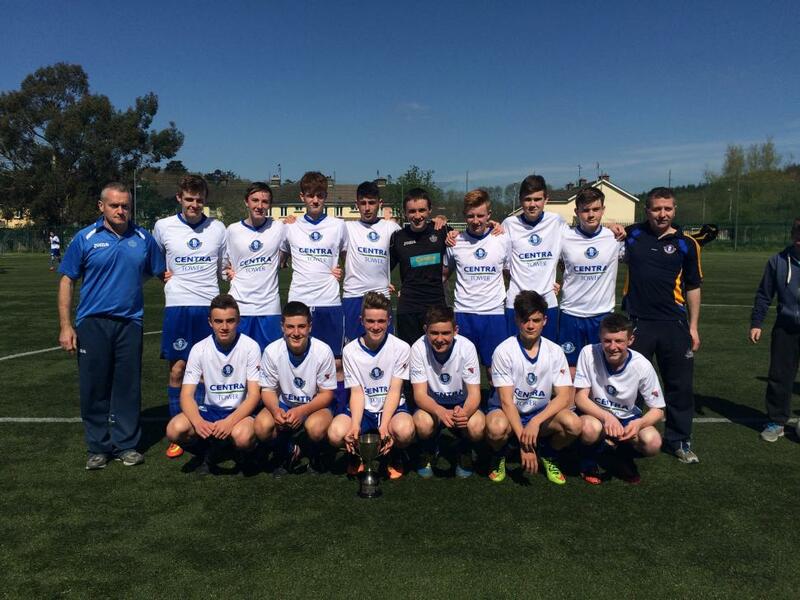 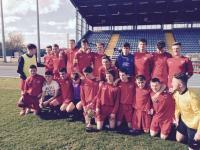 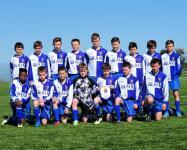 Carrigaline United who completed the U16 Double with their Cup win over Mallow. 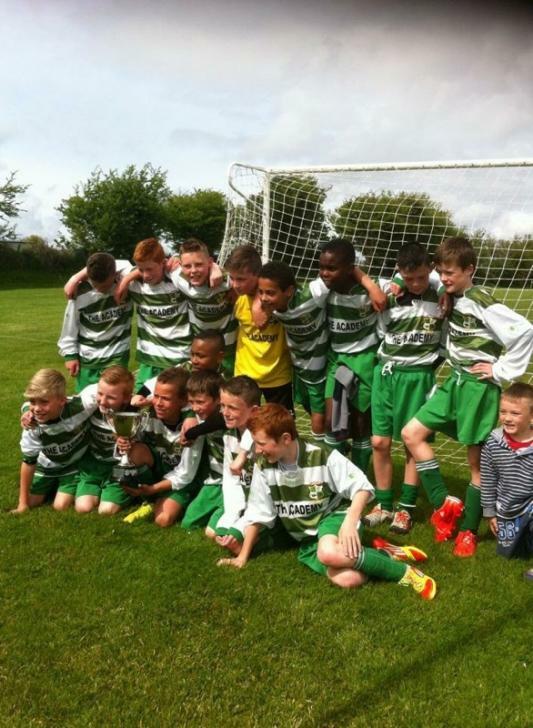 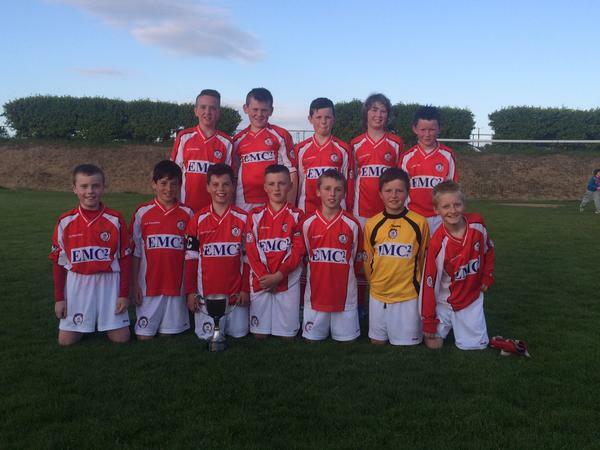 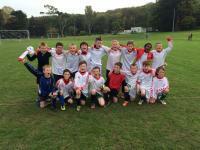 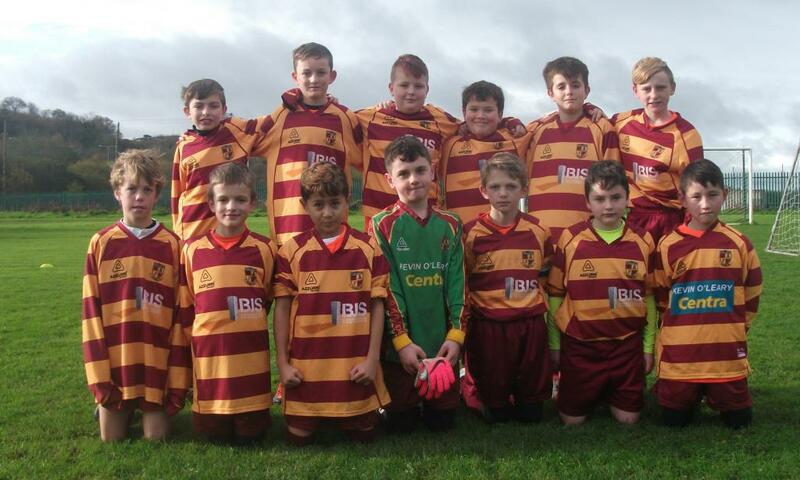 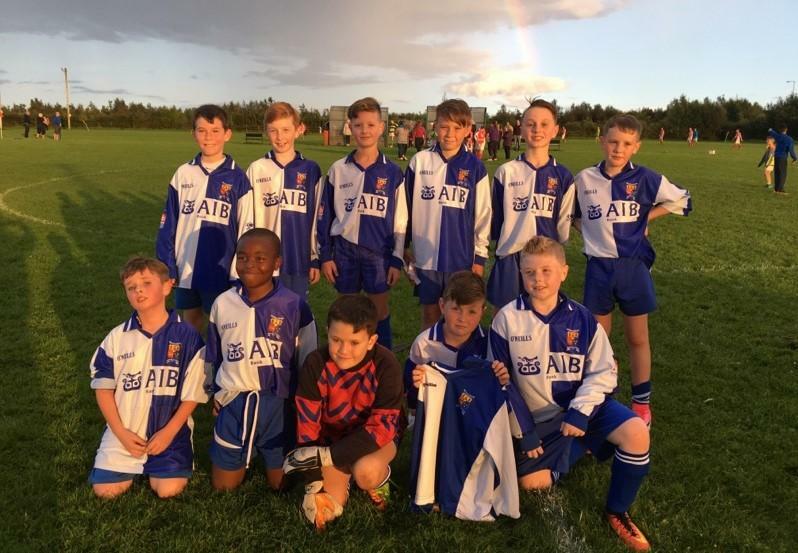 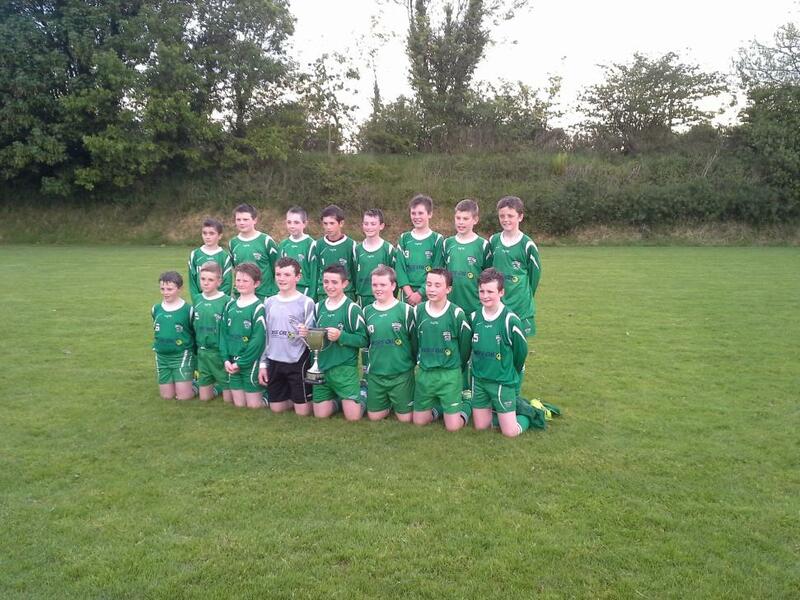 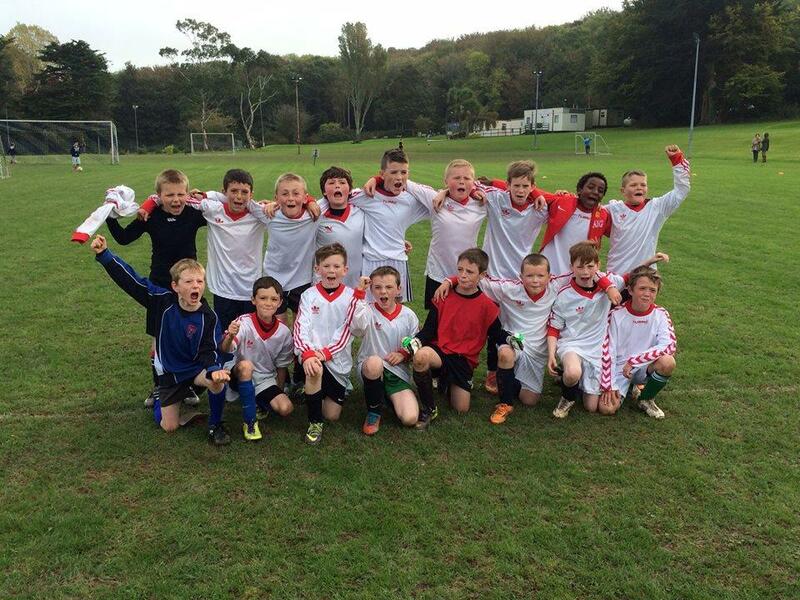 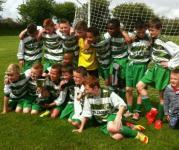 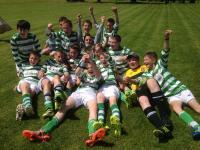 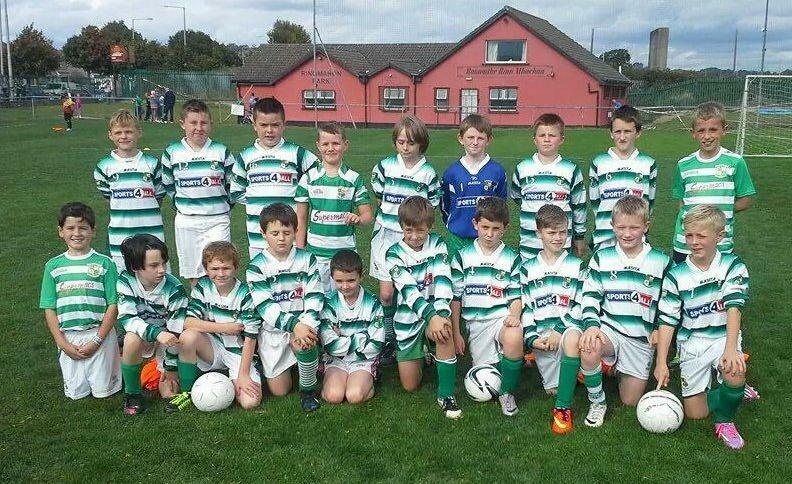 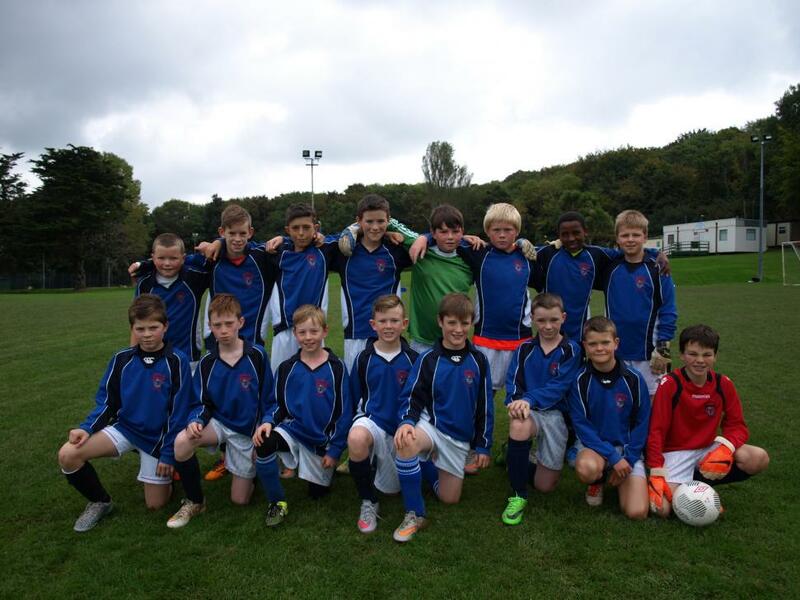 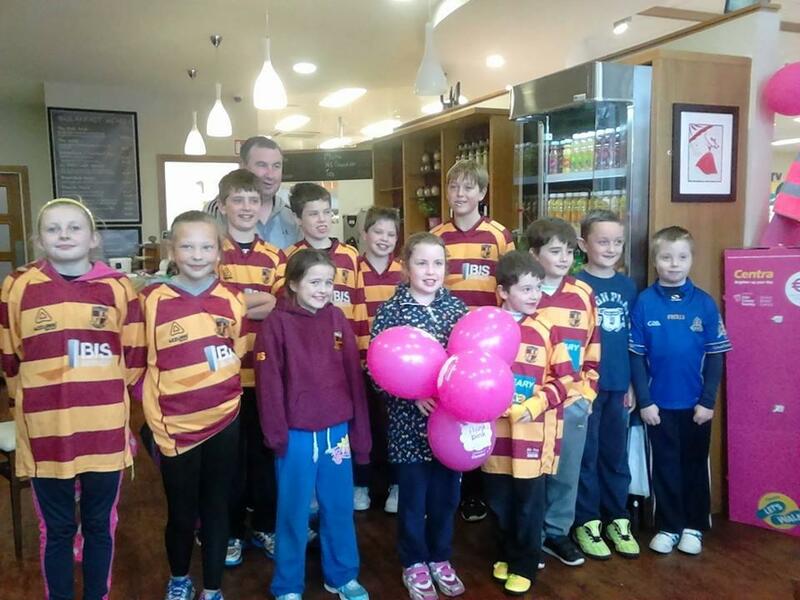 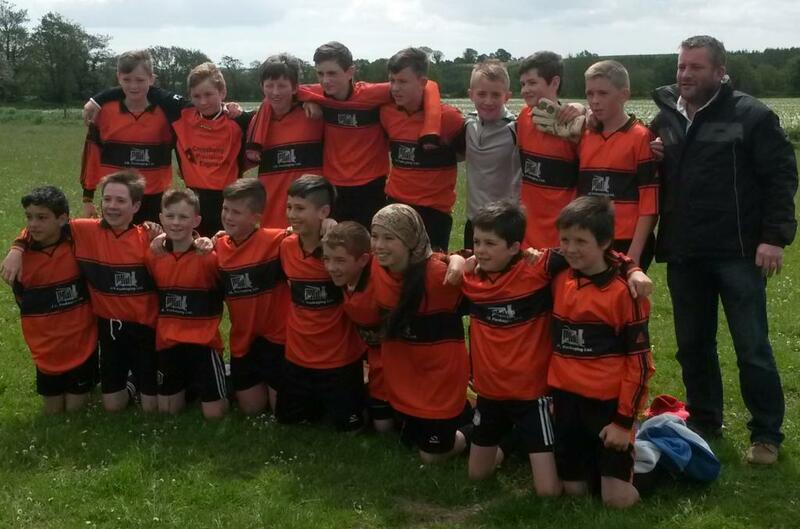 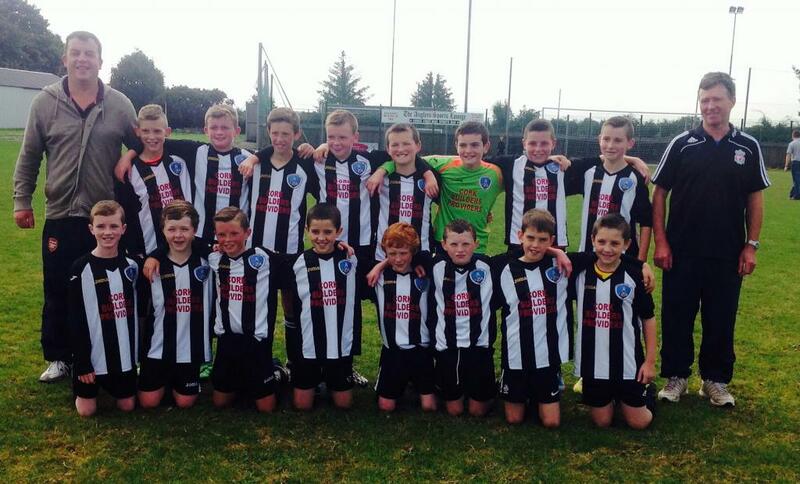 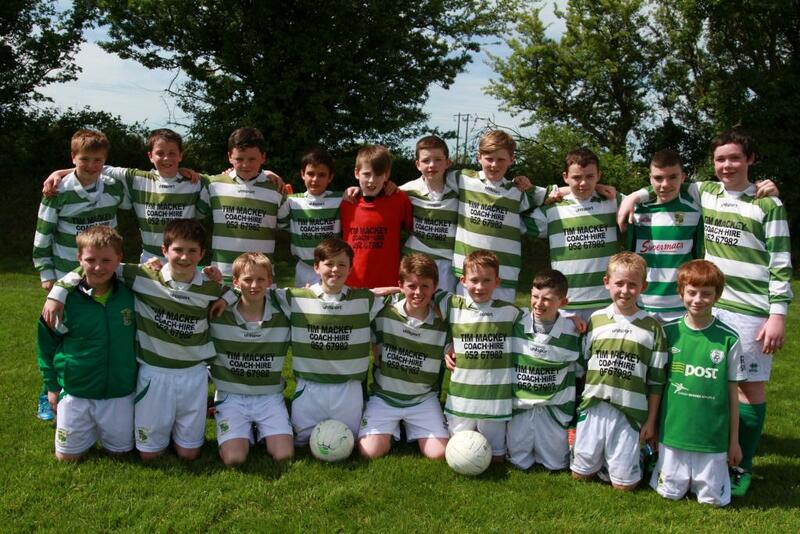 Ballincollig U12s with the 12D2 trophy after their game in Park. 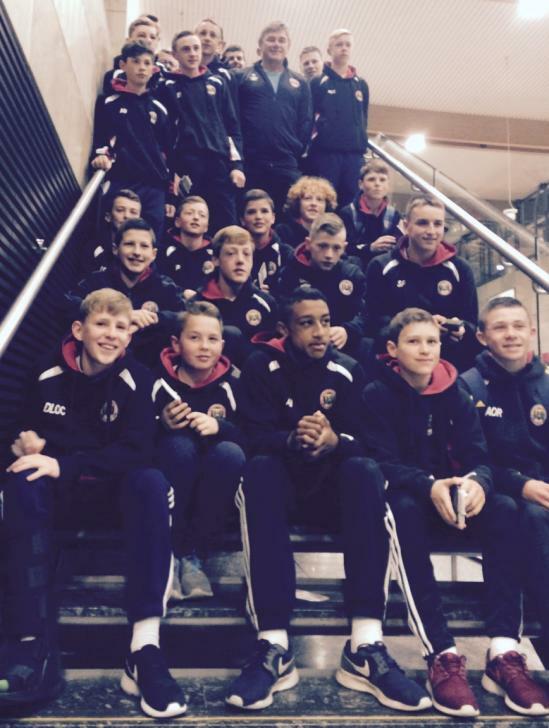 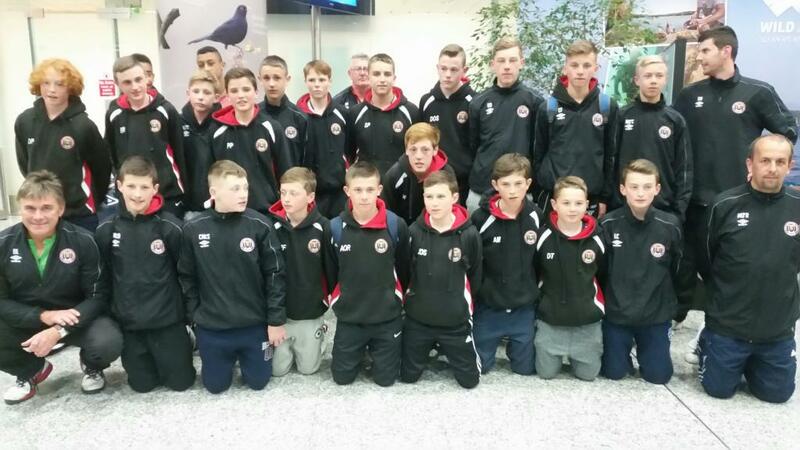 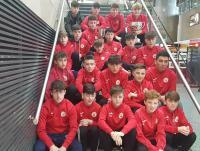 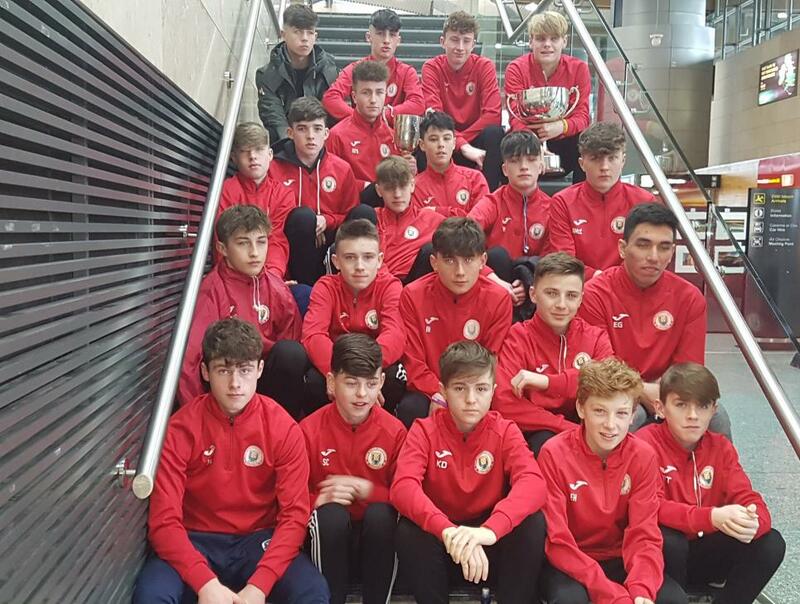 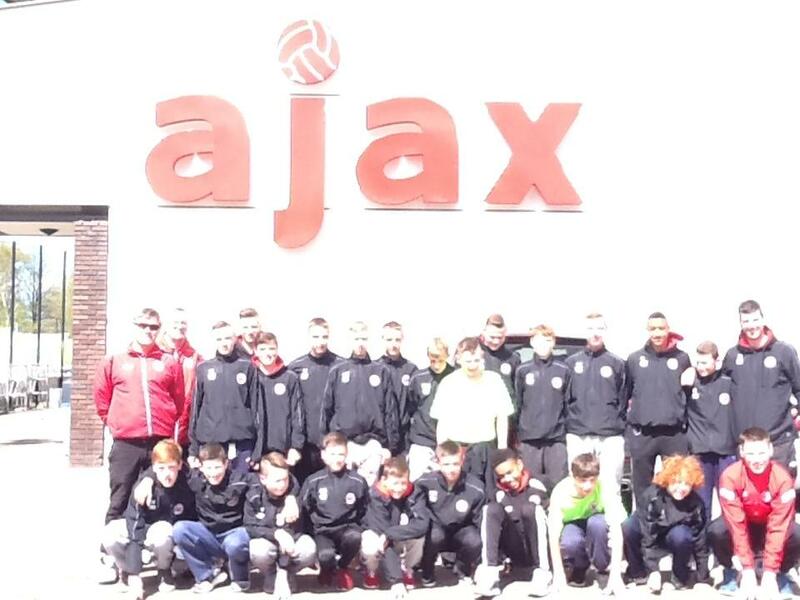 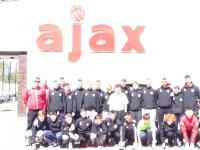 Cork U14 Squad pictued in Cork Airport on arrival from Amsterdam tonight. 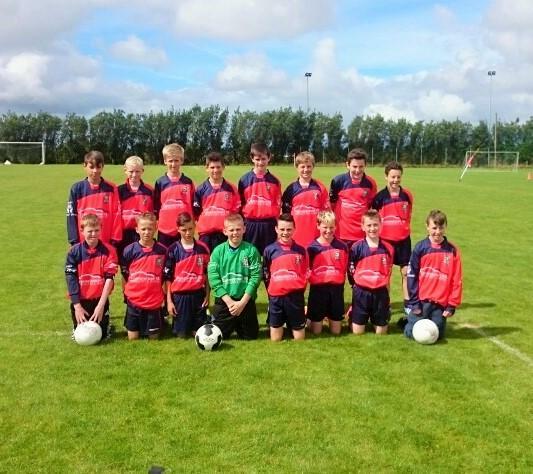 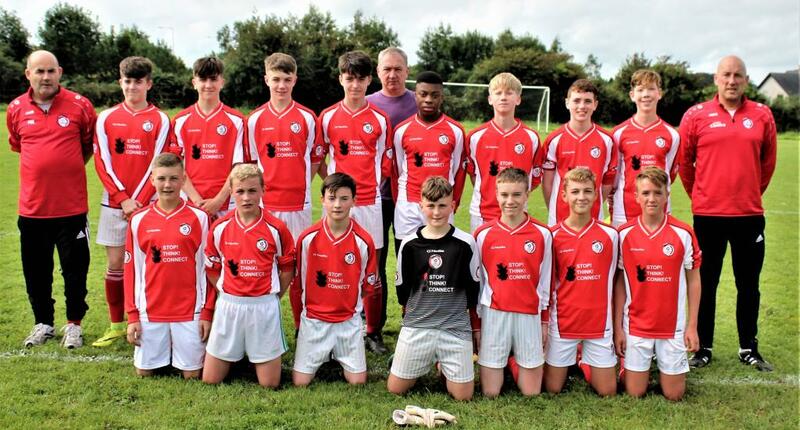 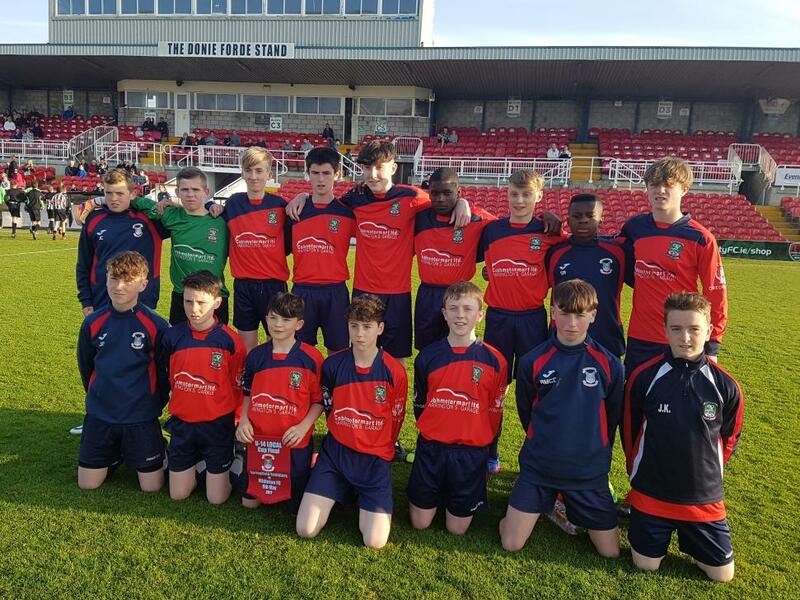 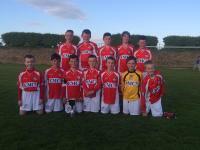 Cork U13s who beat Kerry 4-3. 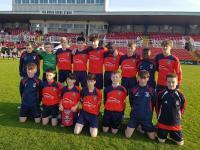 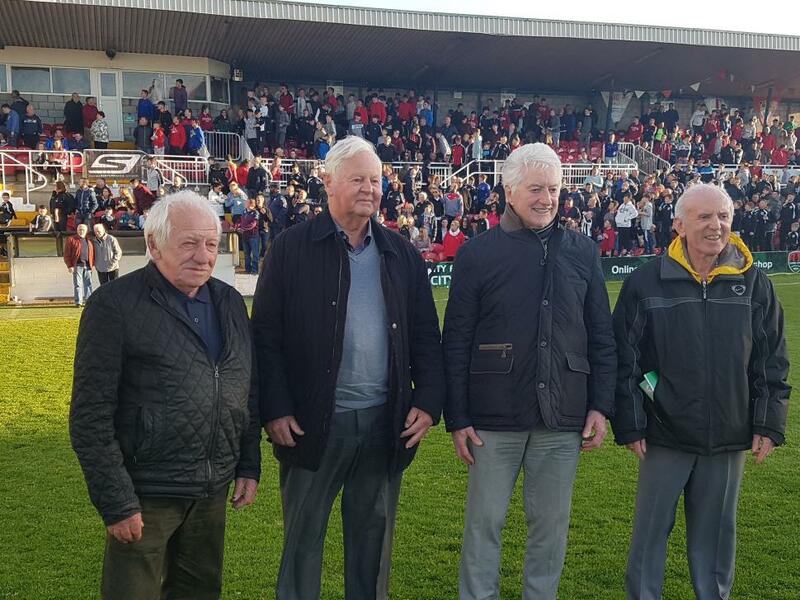 Cork squad who beat Kerry 5-1. 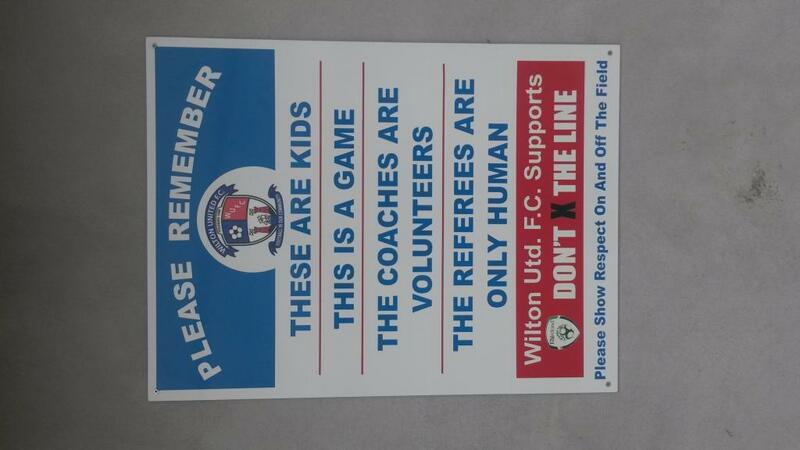 The sign says it all really! 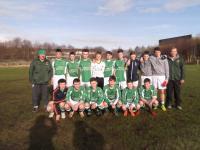 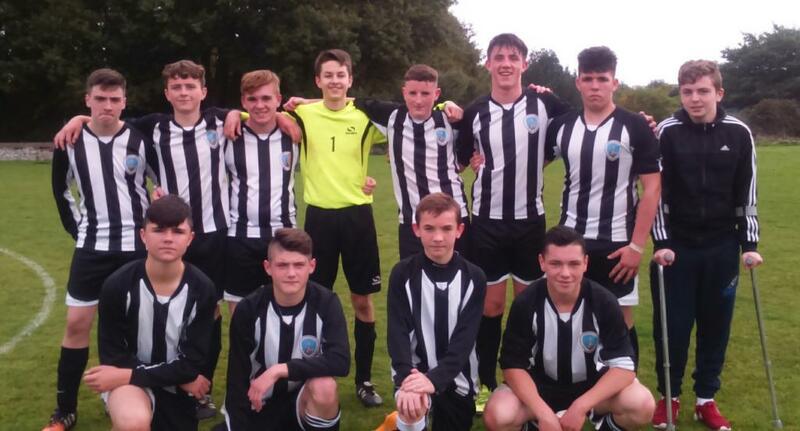 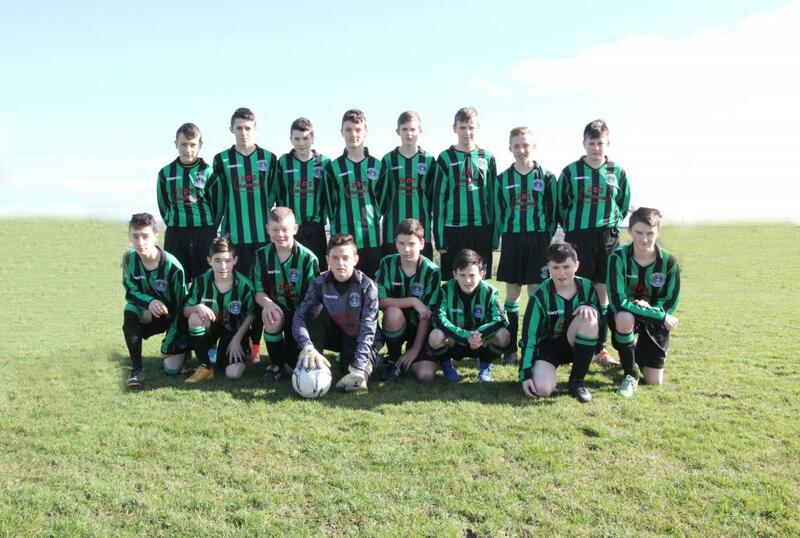 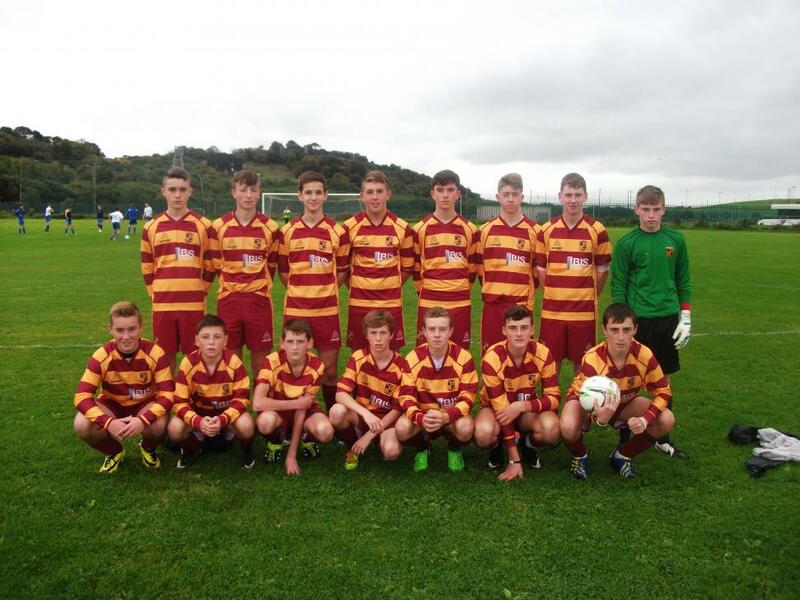 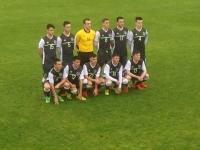 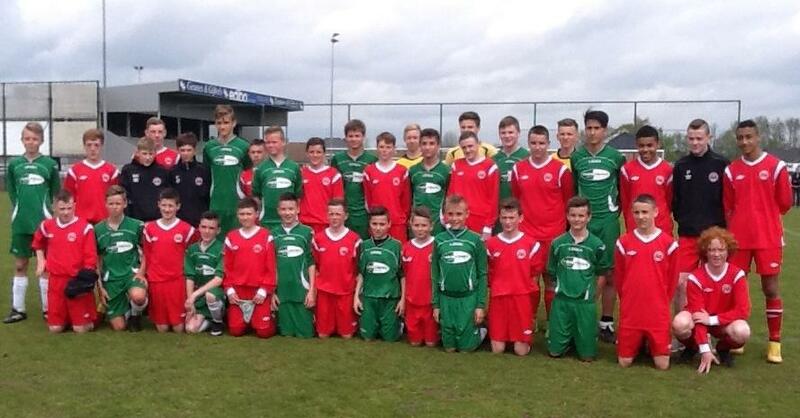 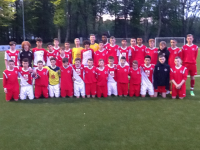 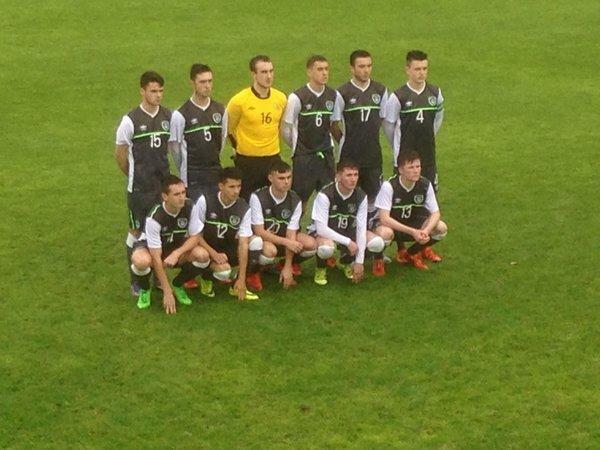 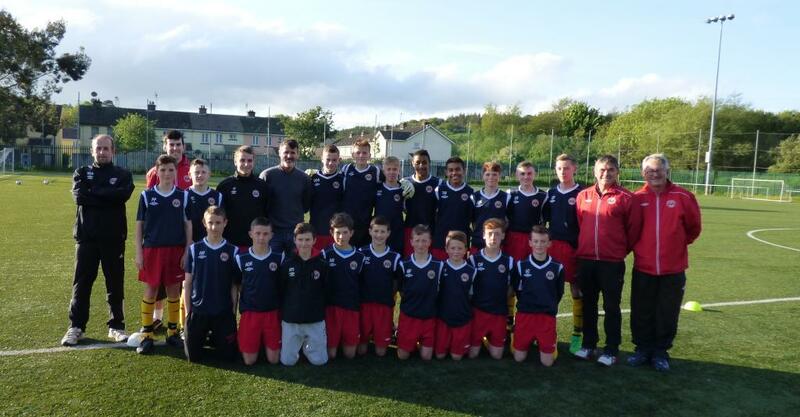 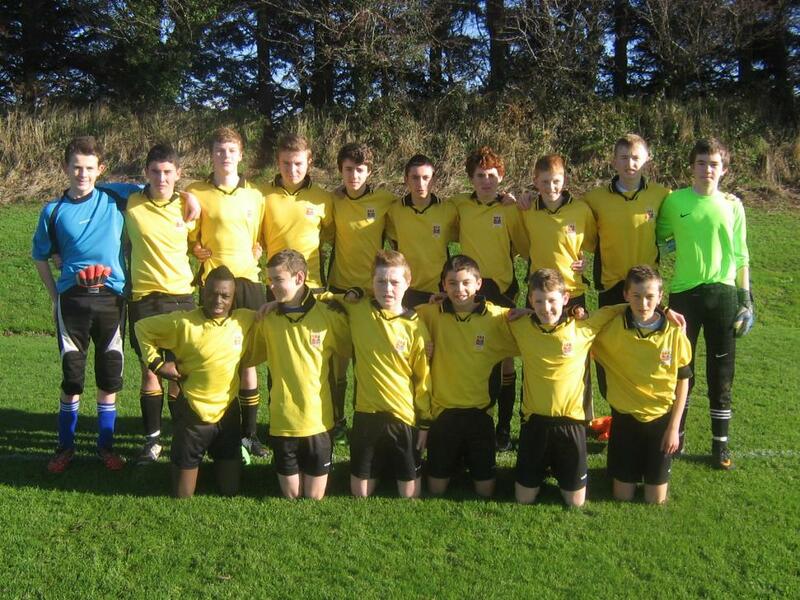 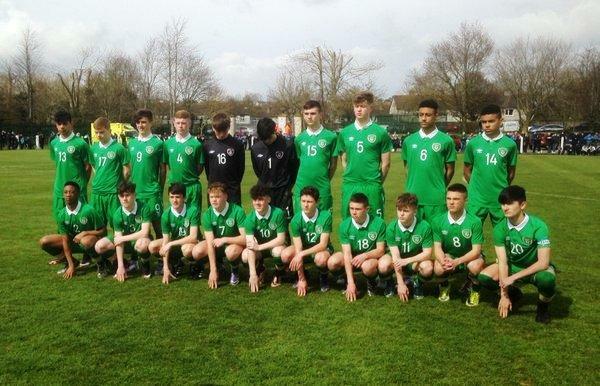 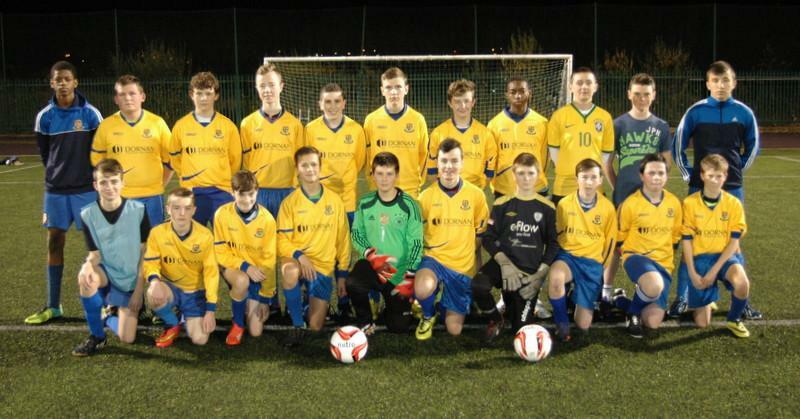 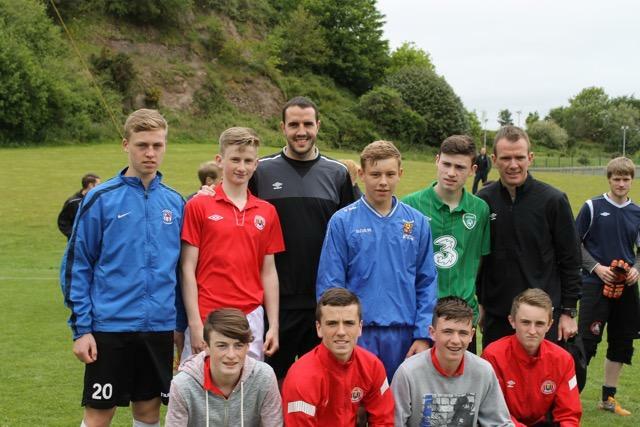 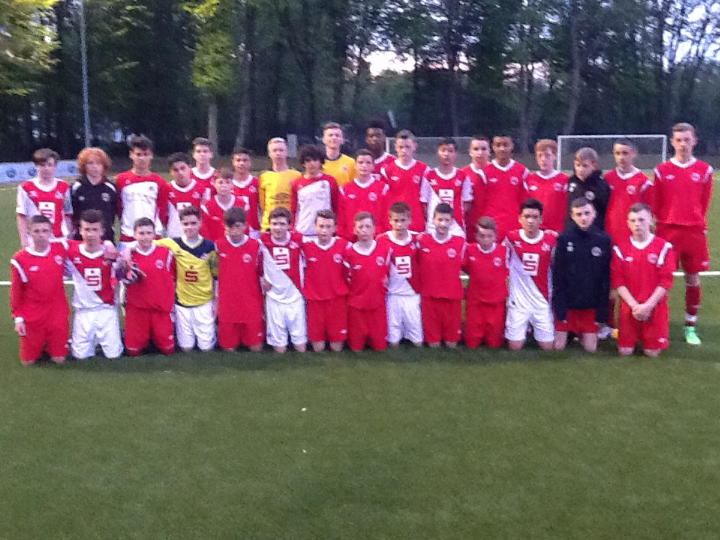 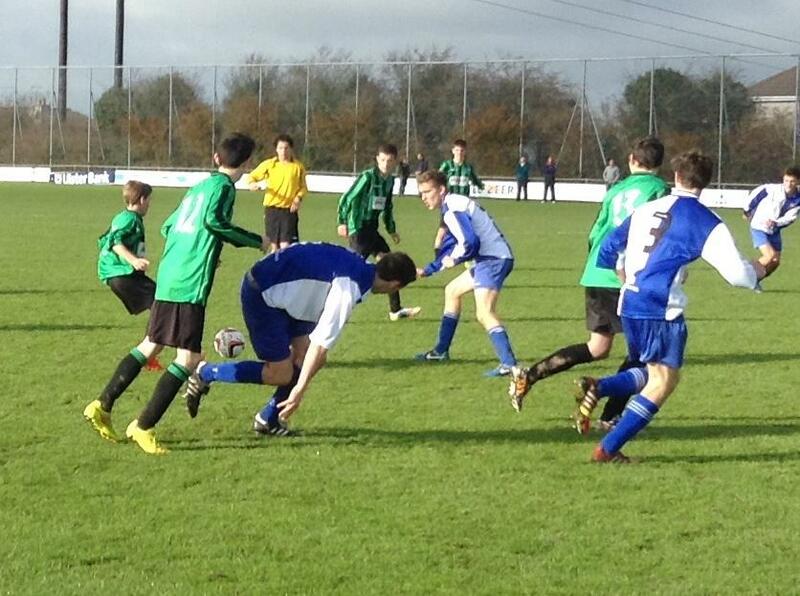 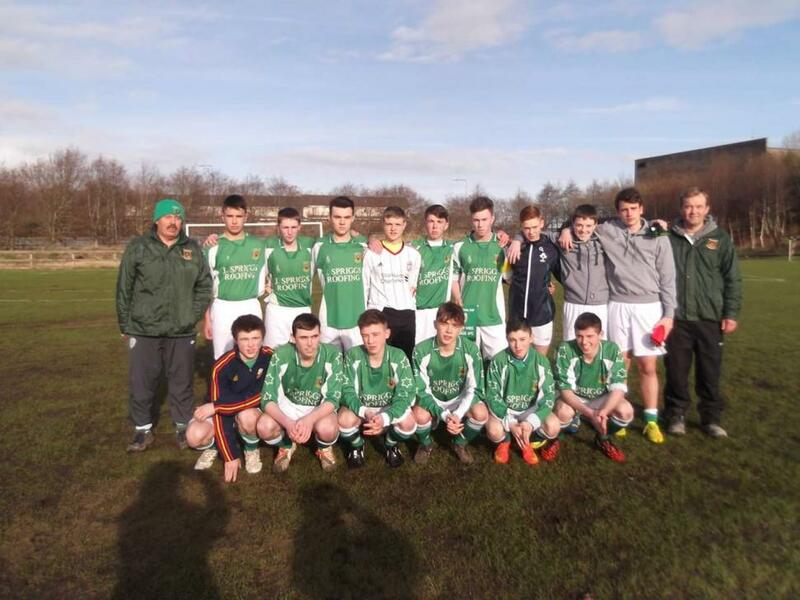 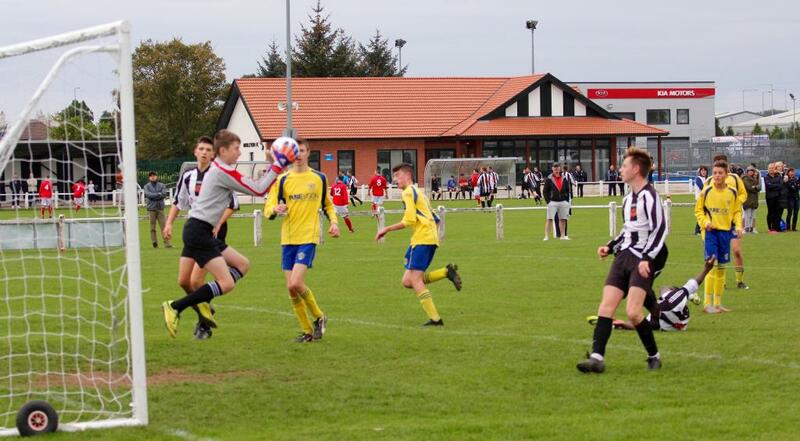 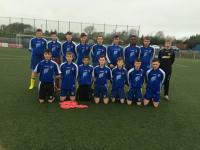 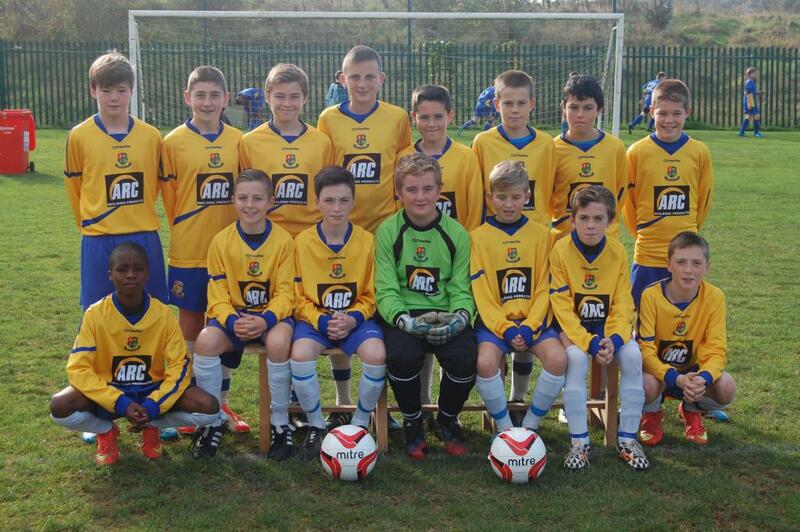 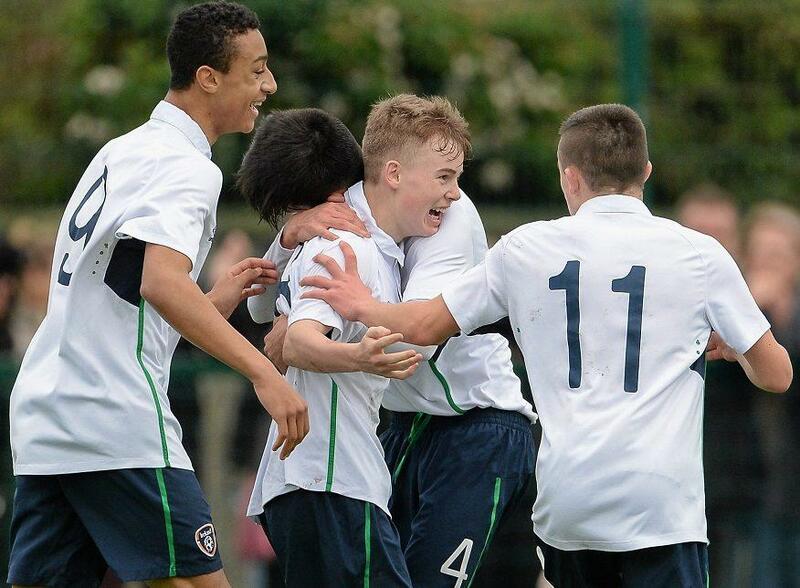 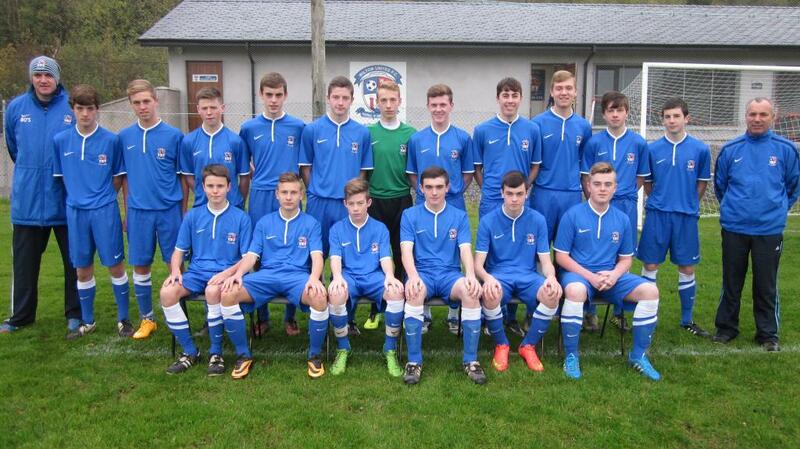 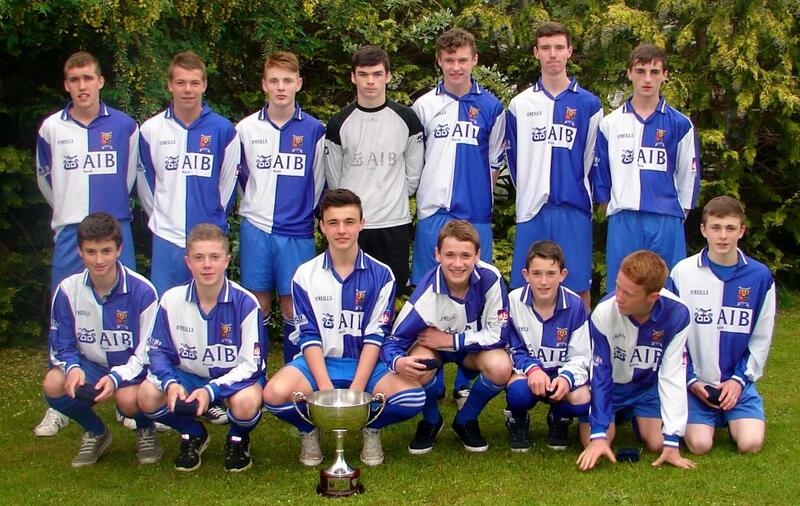 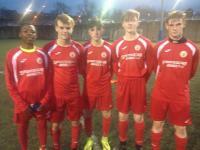 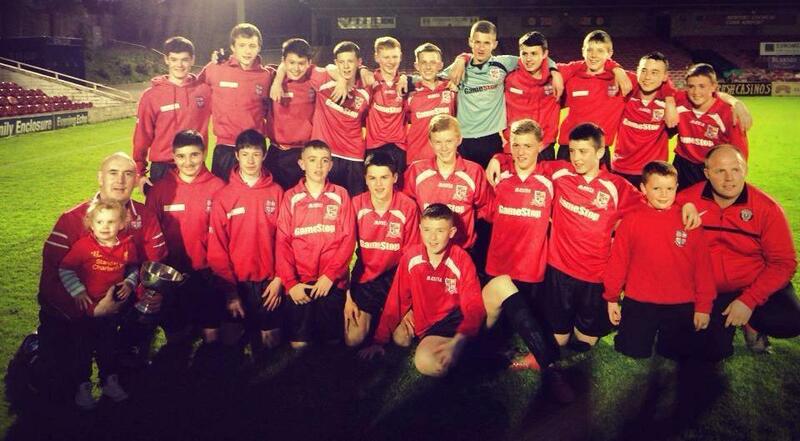 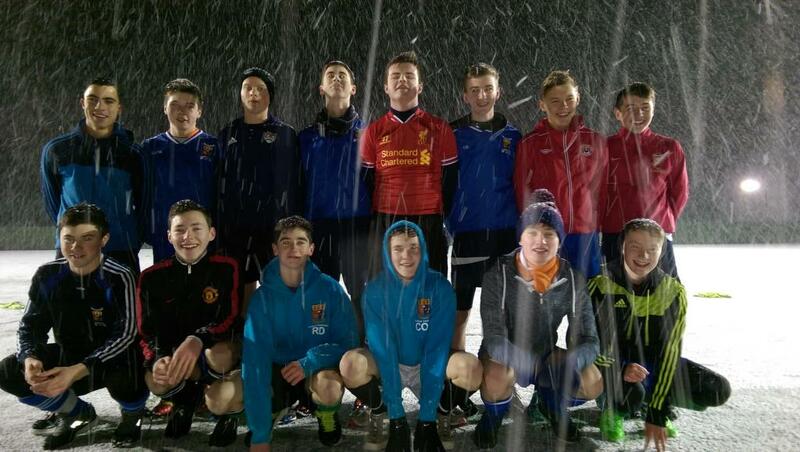 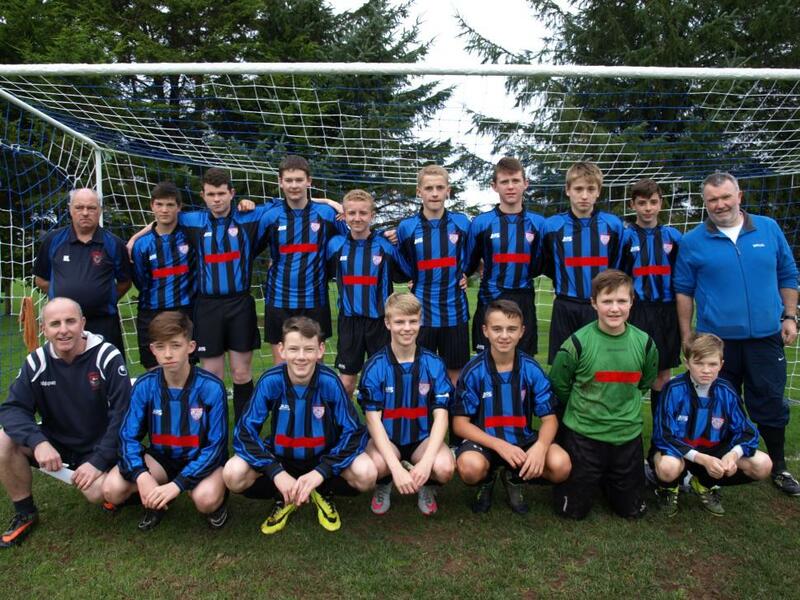 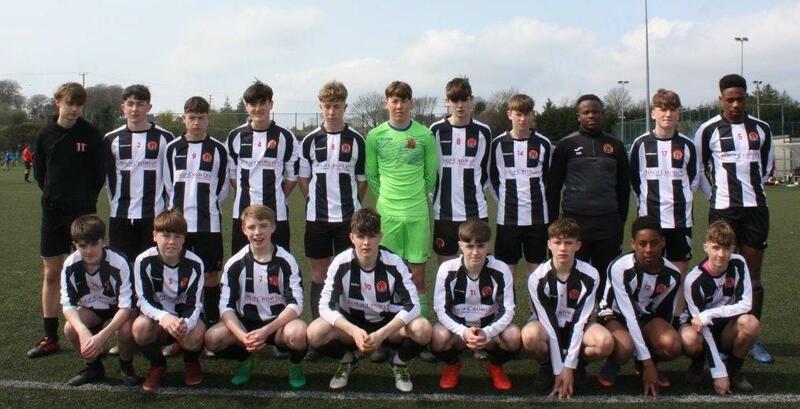 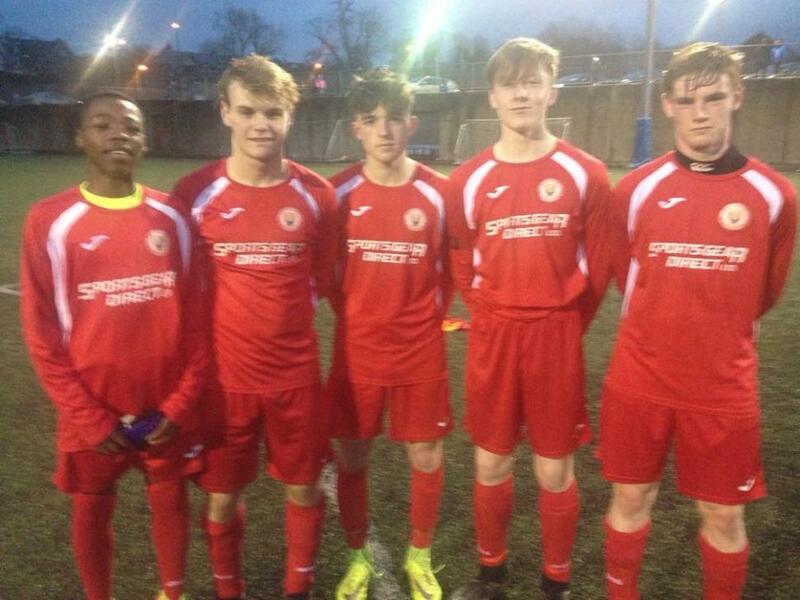 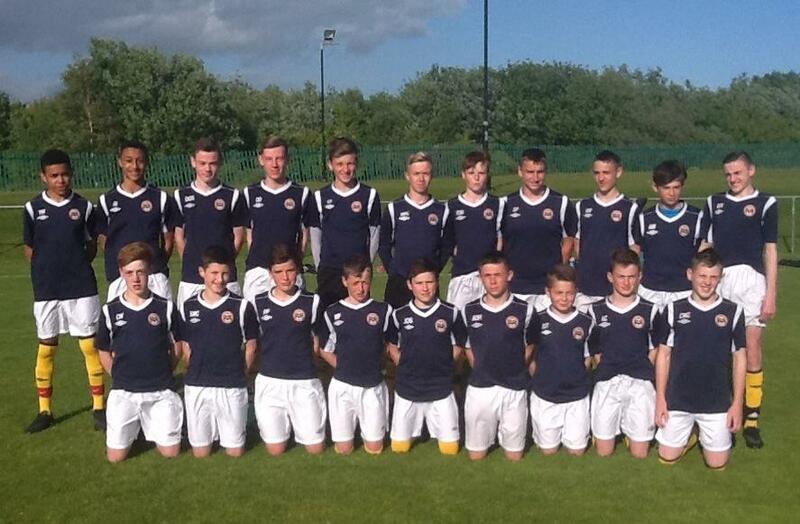 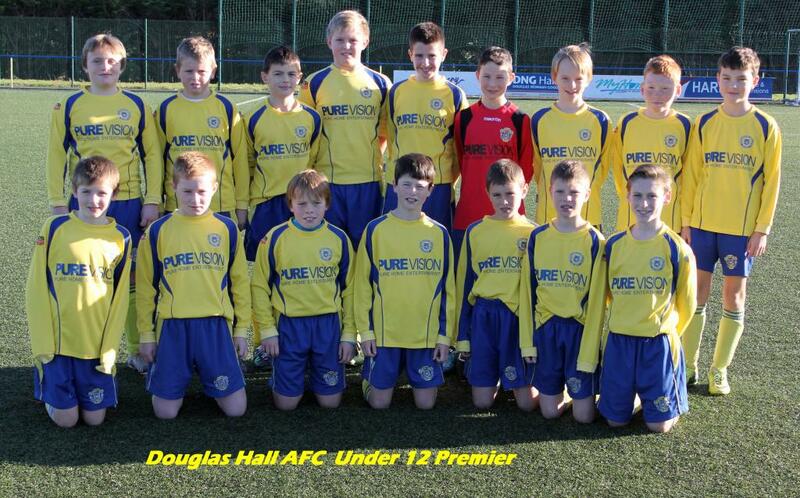 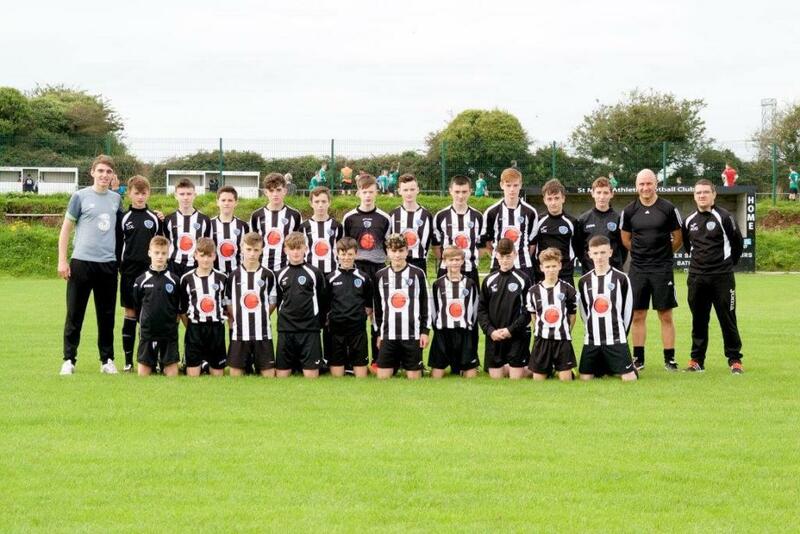 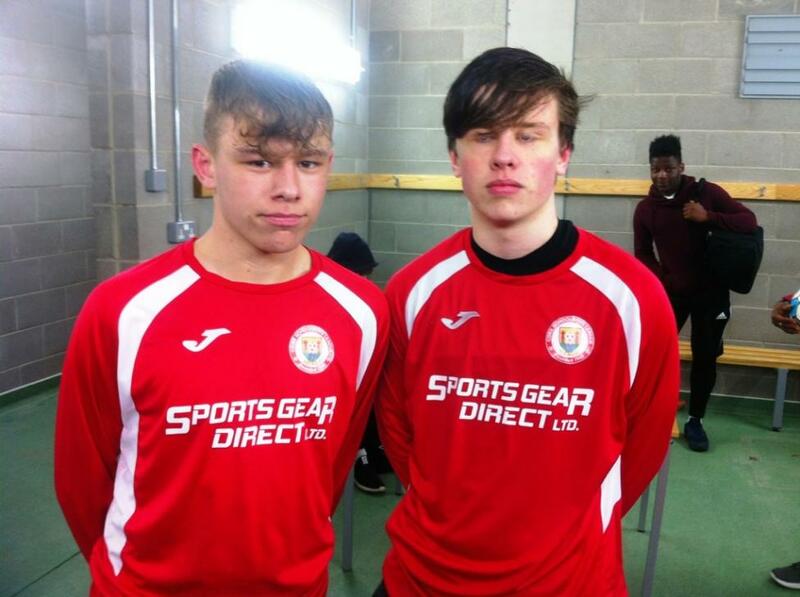 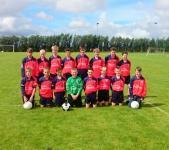 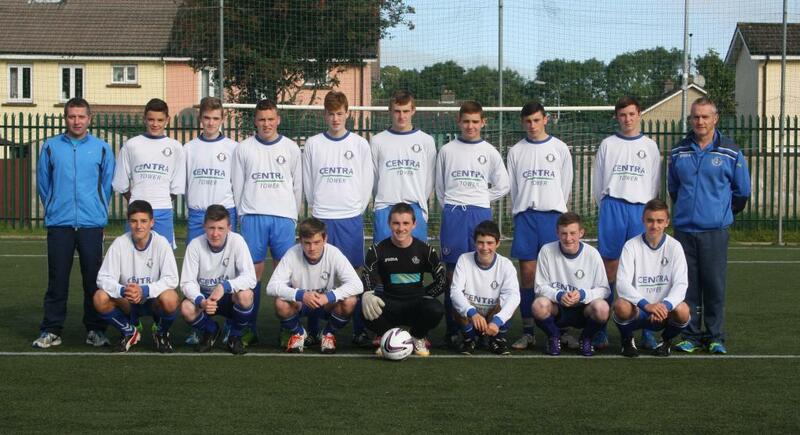 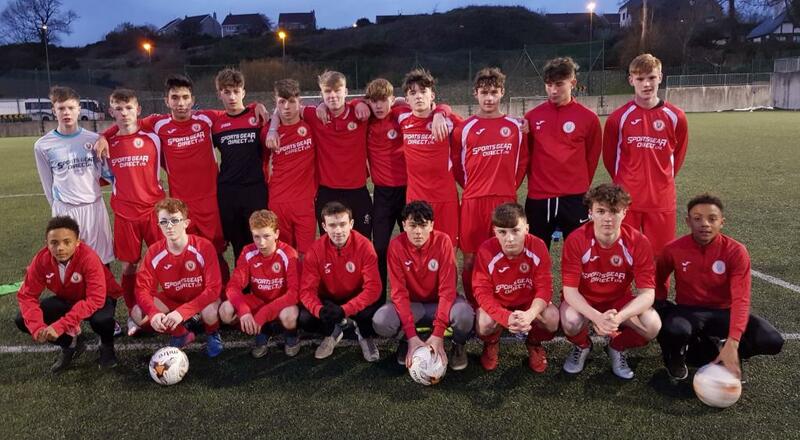 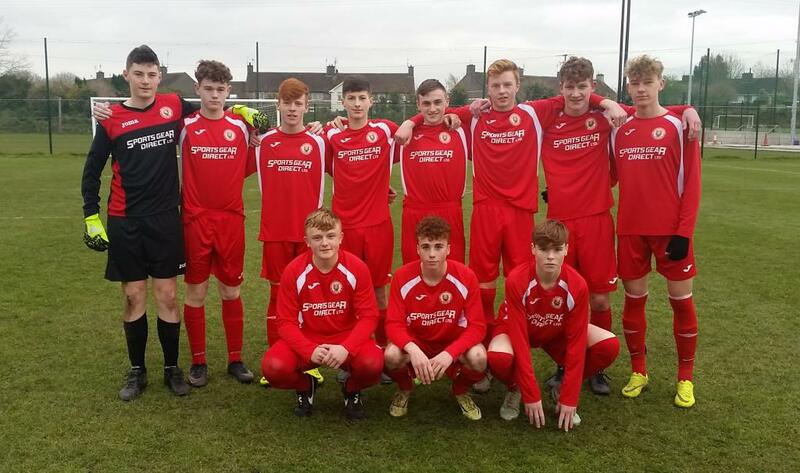 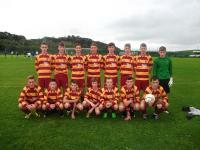 Passage U16s who played in the Nat Cup last 32. 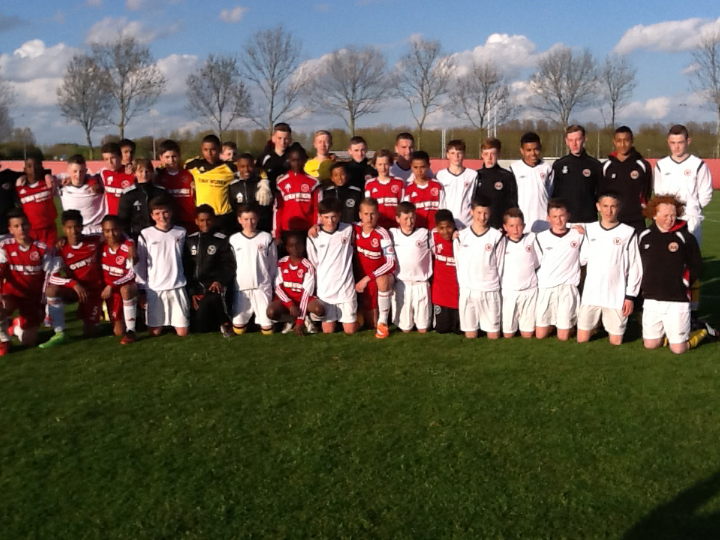 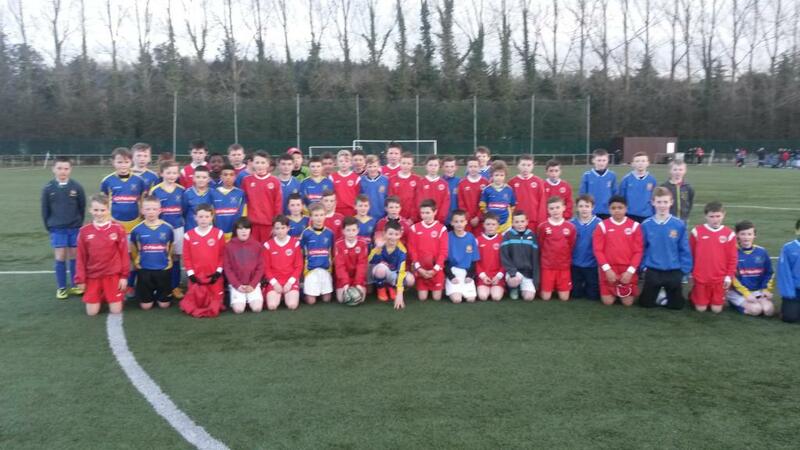 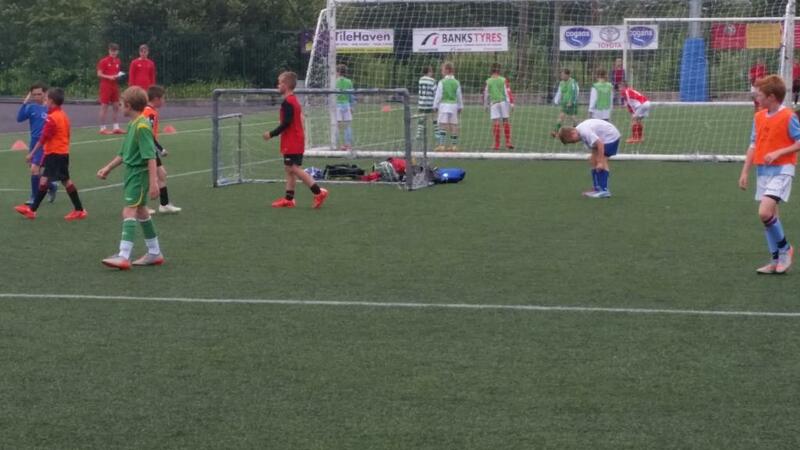 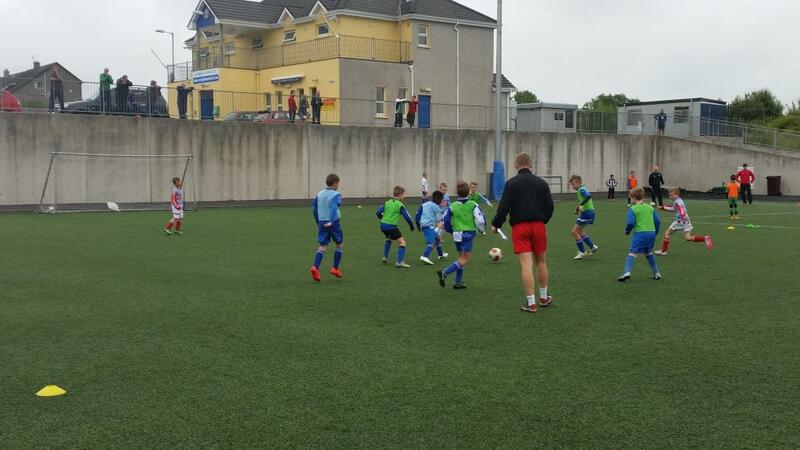 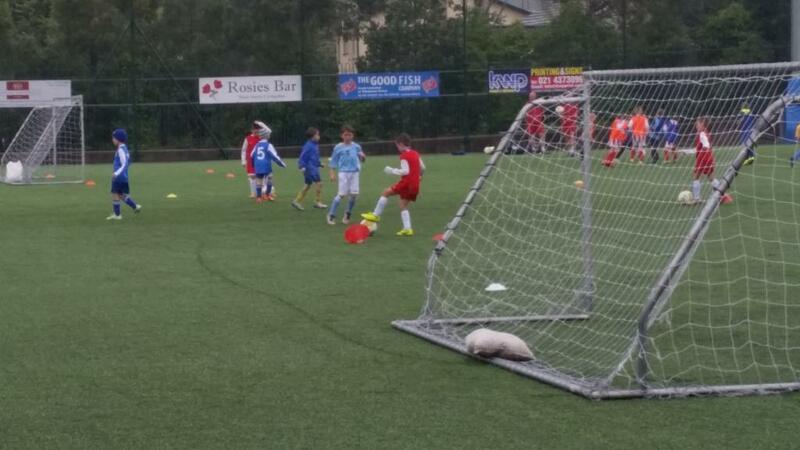 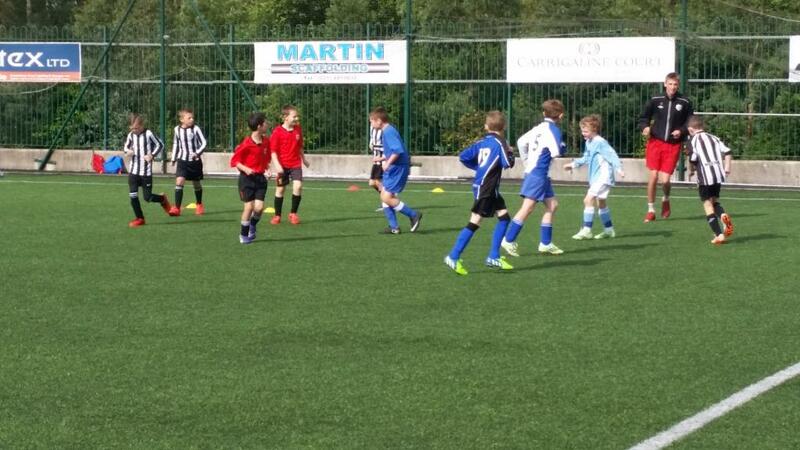 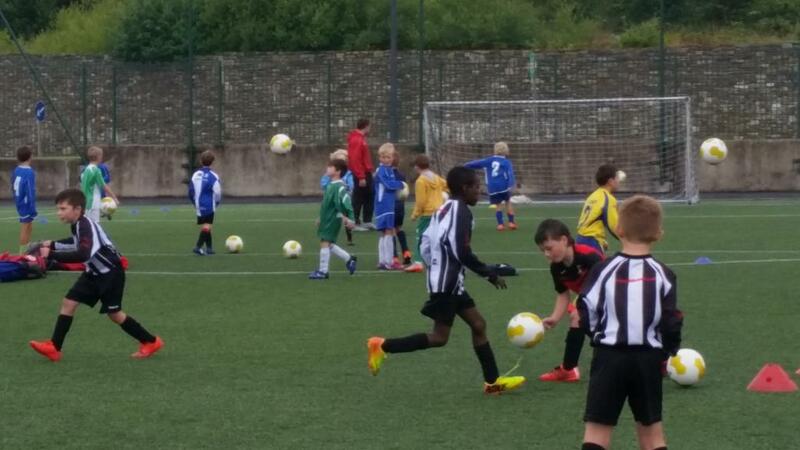 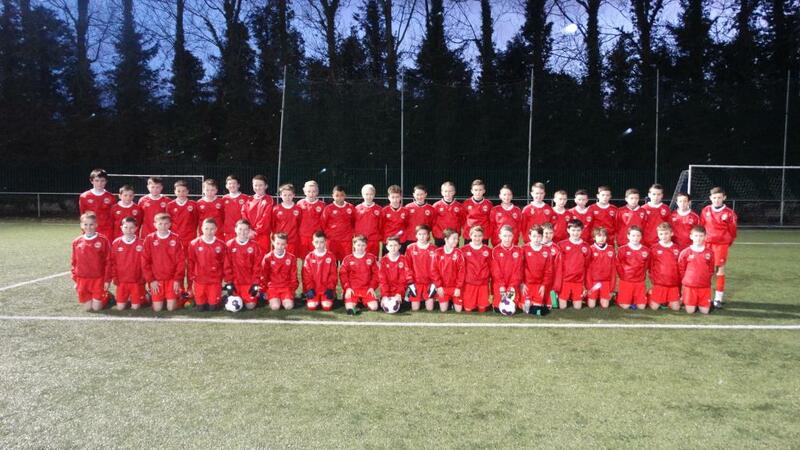 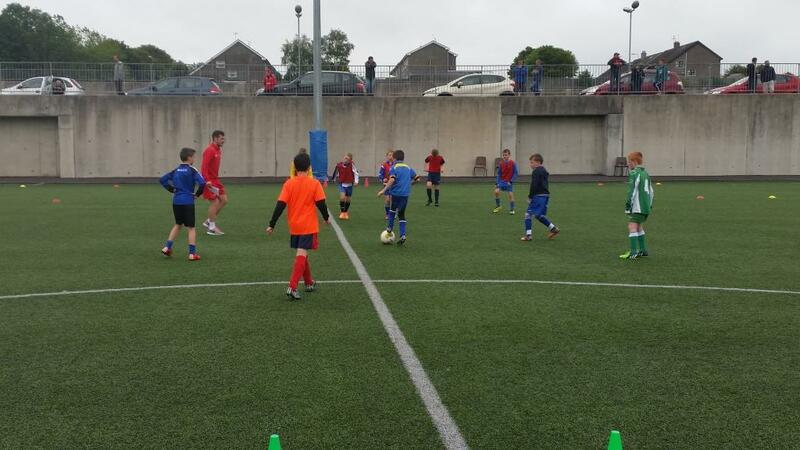 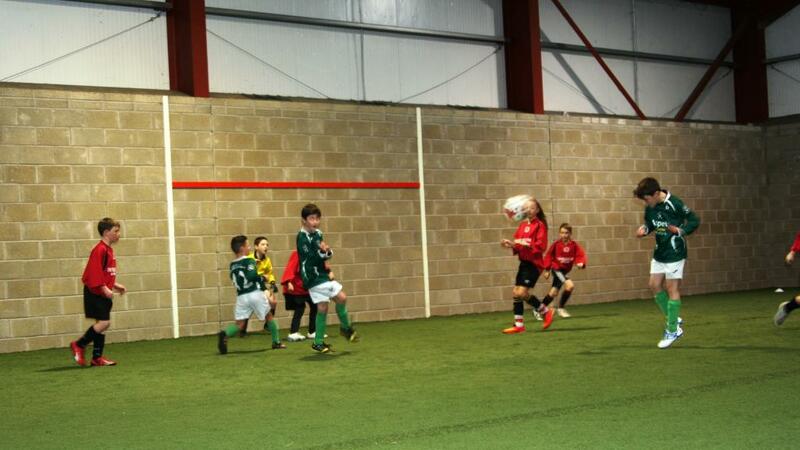 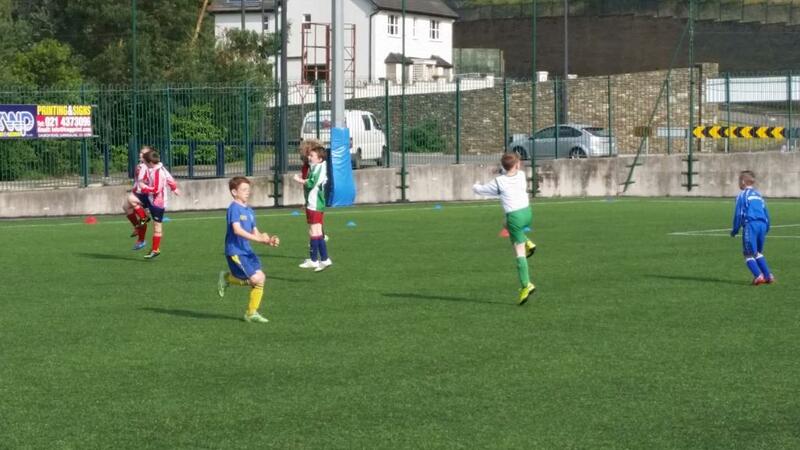 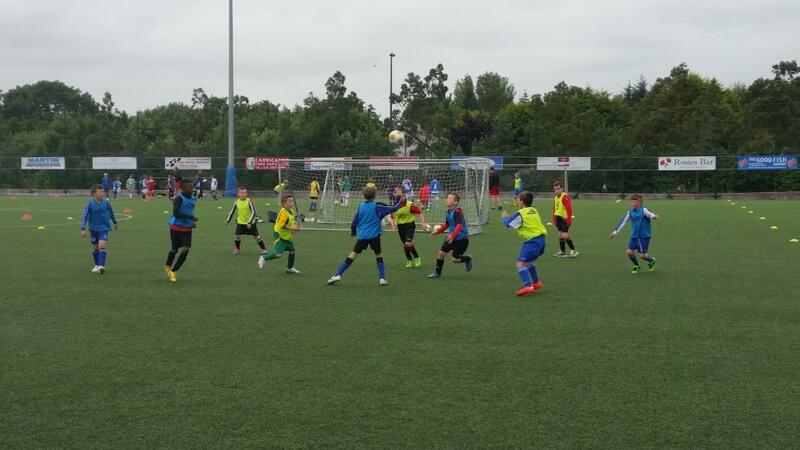 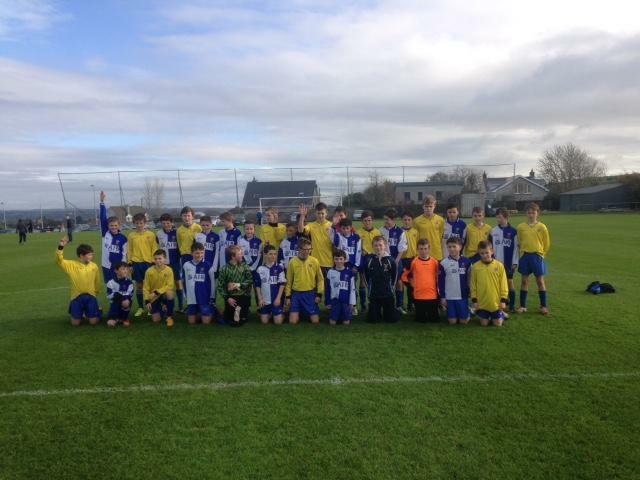 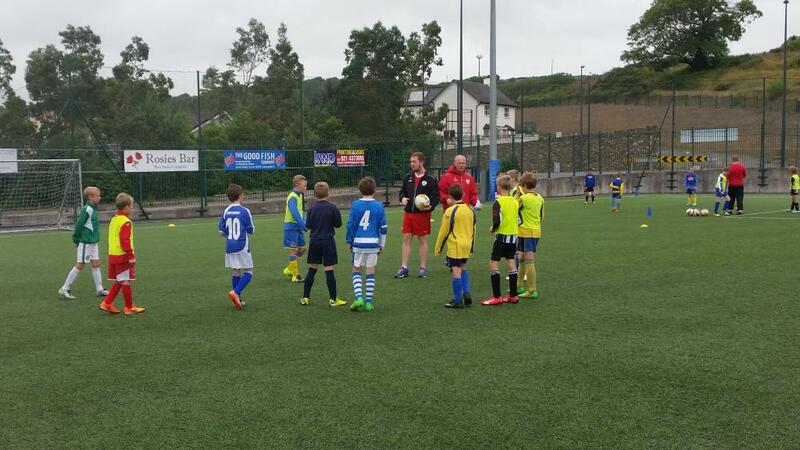 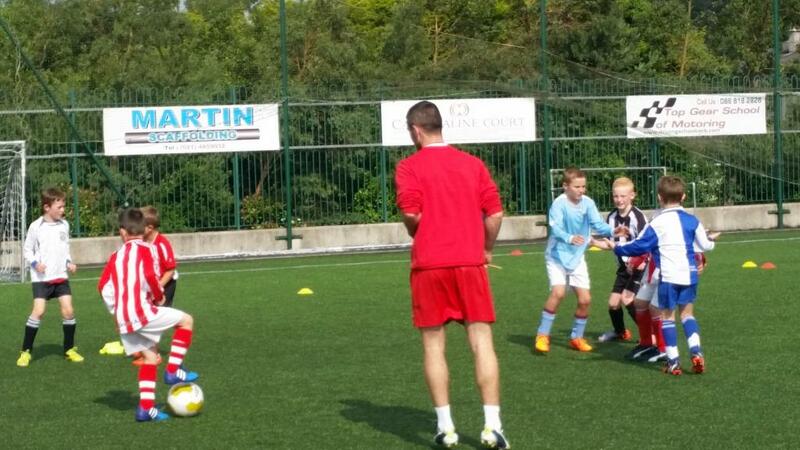 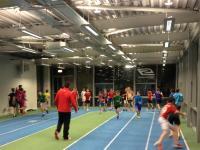 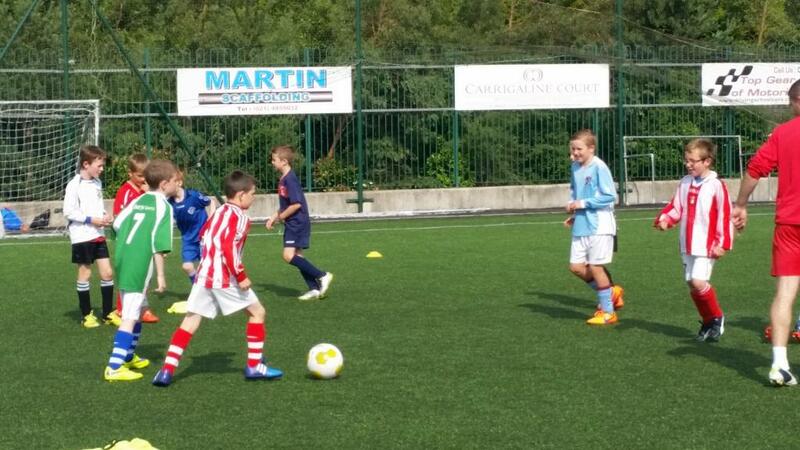 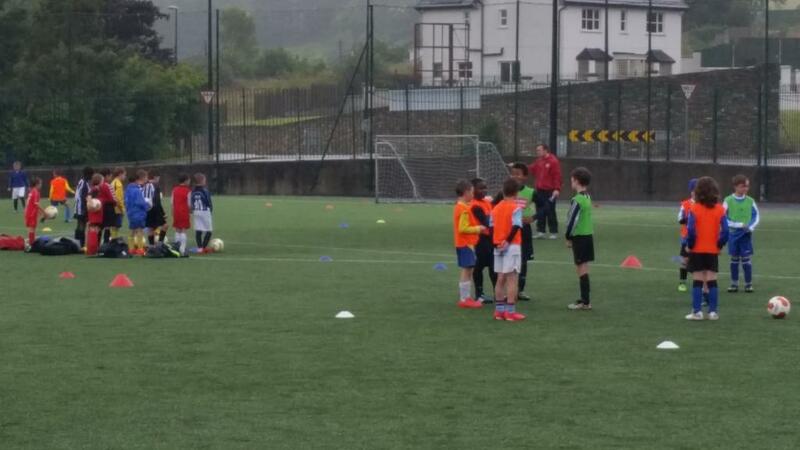 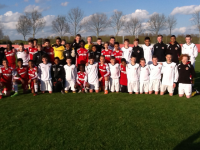 Cork U13 Squad v Limerick Co.
Cork U12 Squad v Limerick Co.
Cork U12 Squad in Mardyke Arena session. 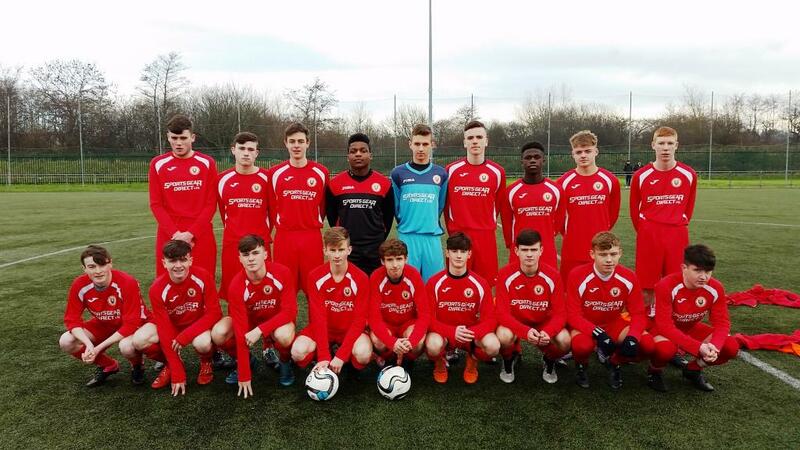 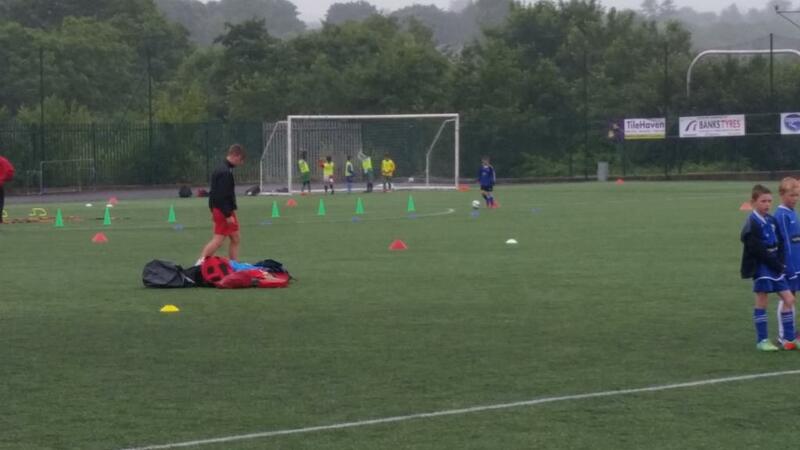 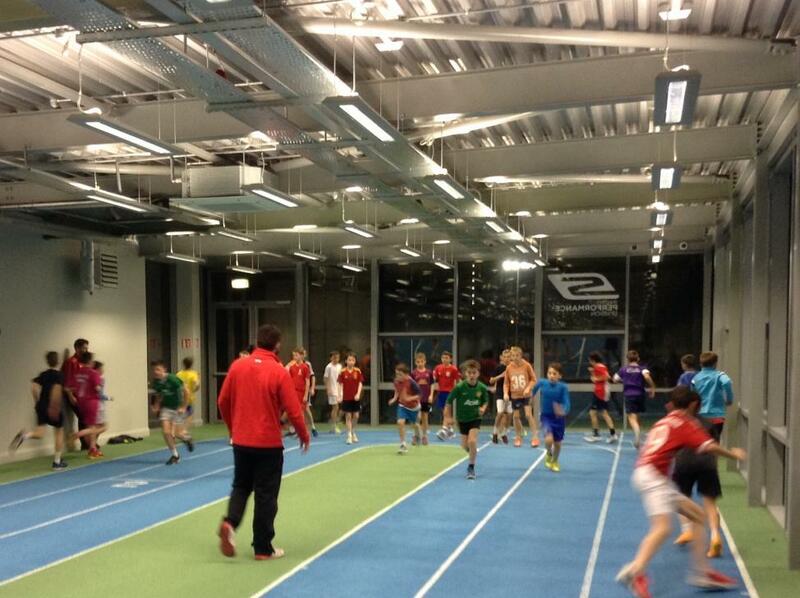 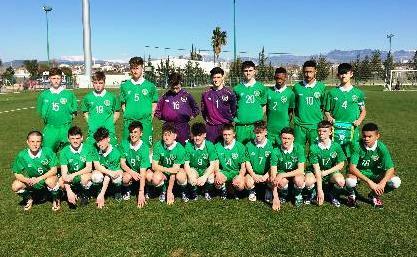 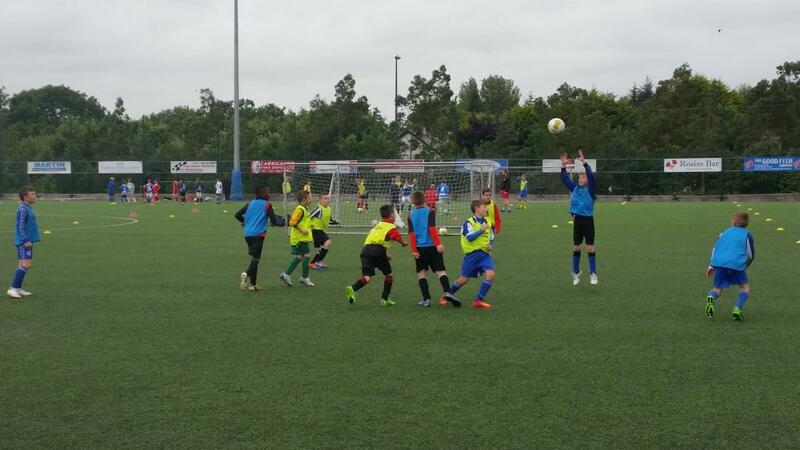 Cork U16s training in the excellent facilities of Cope Foundation in Montenotte. 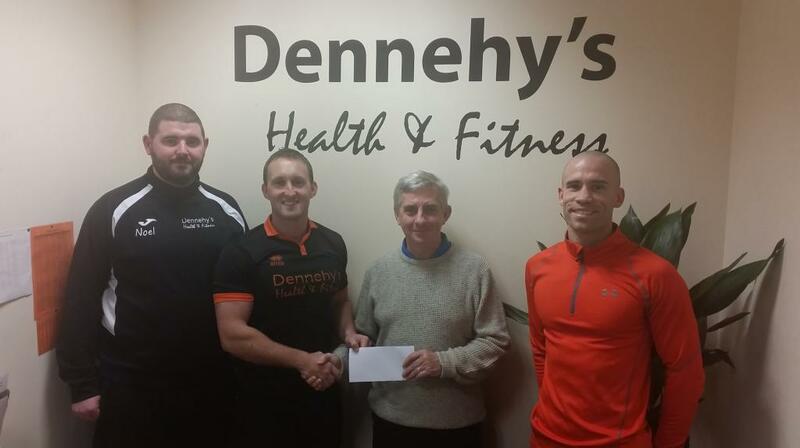 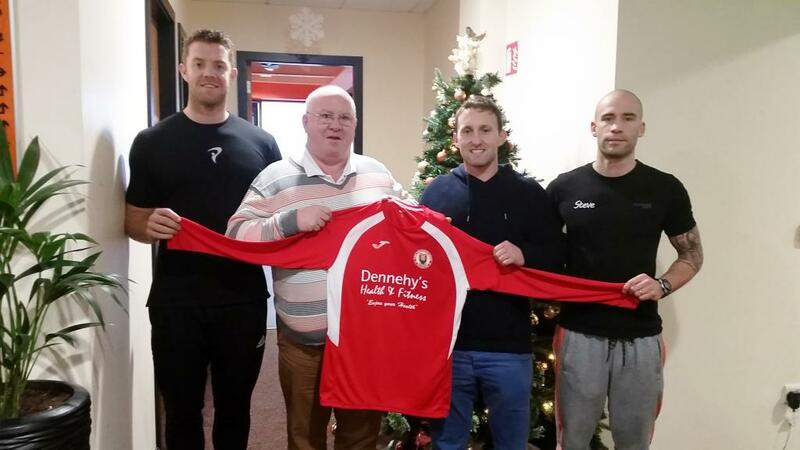 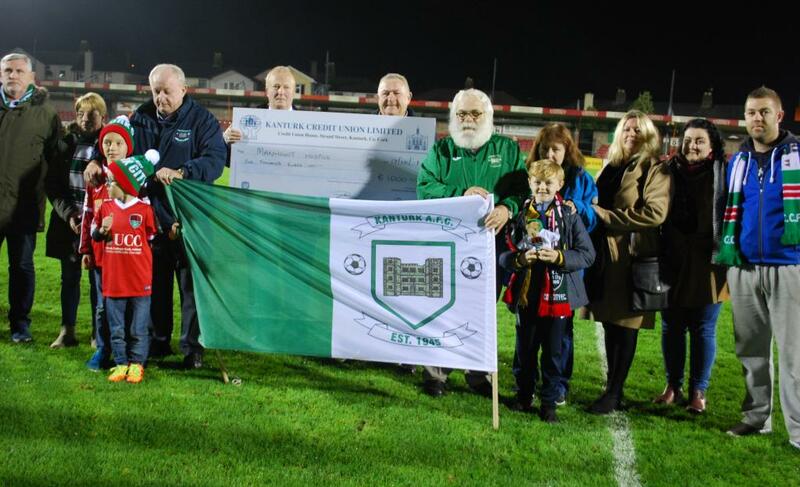 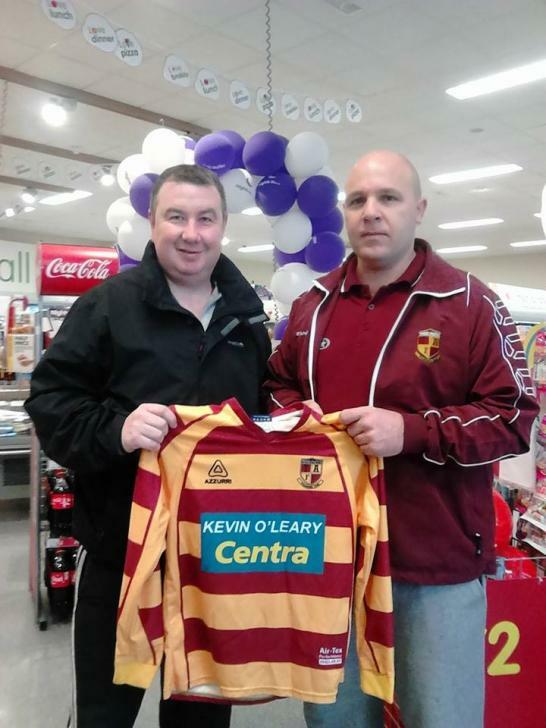 Tony Gubbins of Tramore Athletic being presented with club jerseys by Paul Walsh. 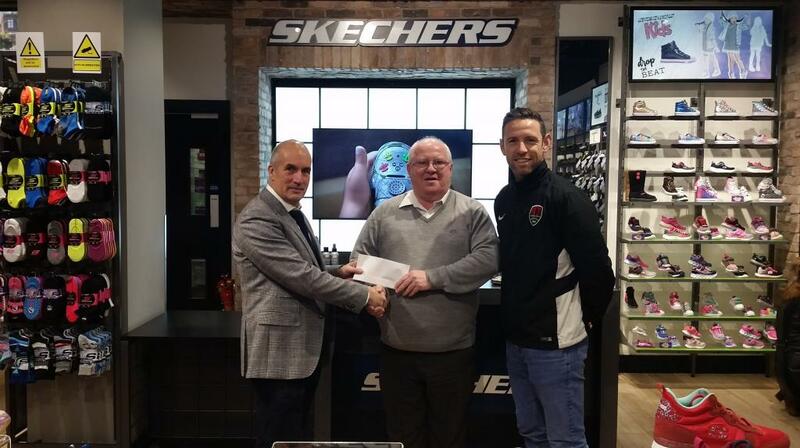 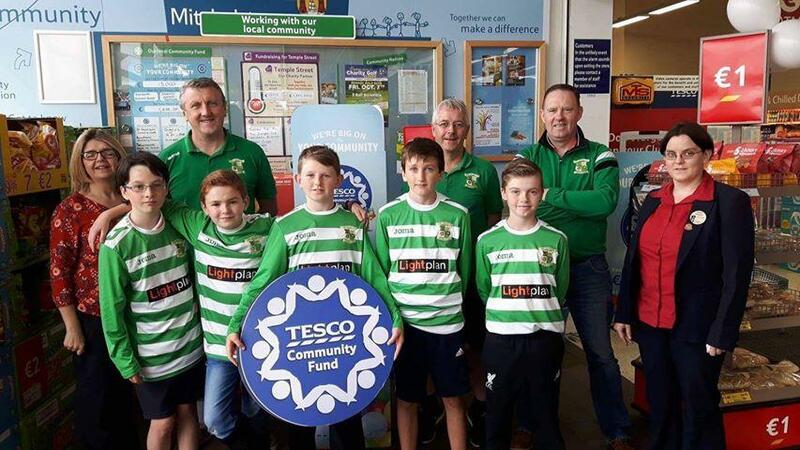 Tramore Athletic Treasurer, Paul O'Sullivan, making a donation from the club on the recent charity walk in aid of breast cancer. 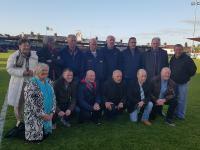 Pictured are the group of Tramore Athletic players, supporters and friends who participated in a charity walk on November 1 in aid of breast cancer. 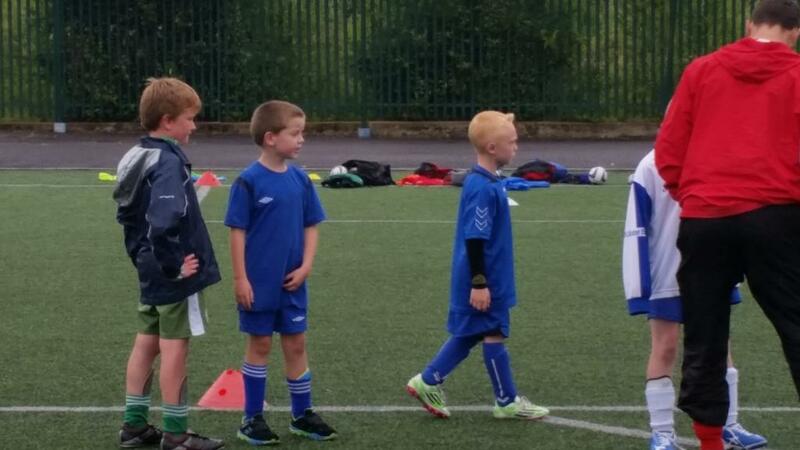 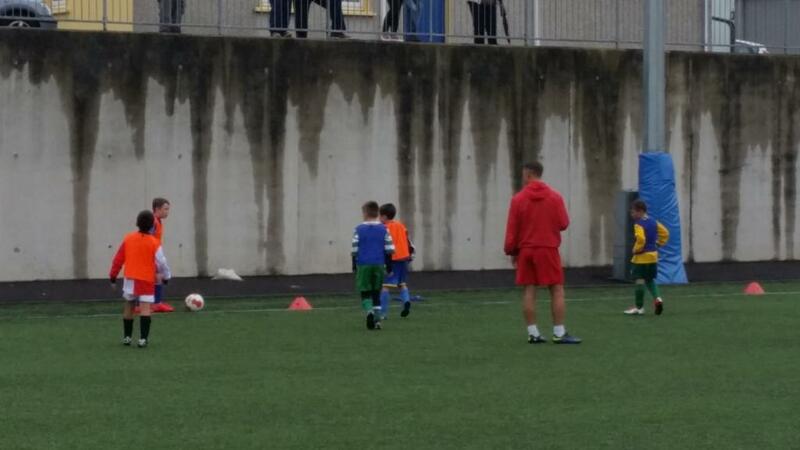 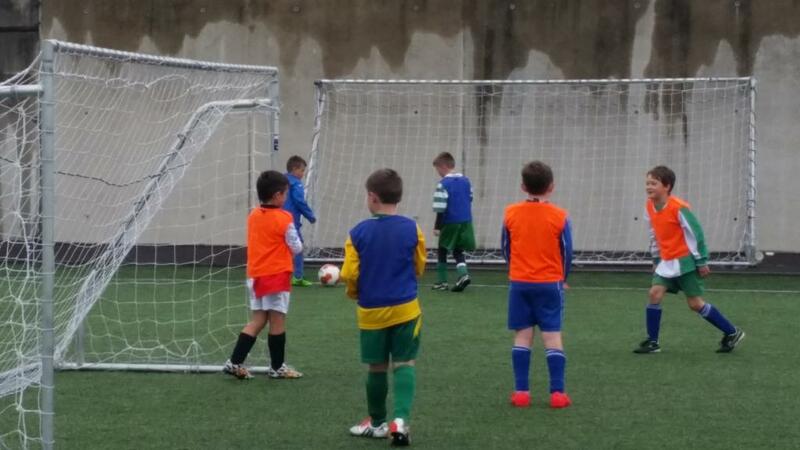 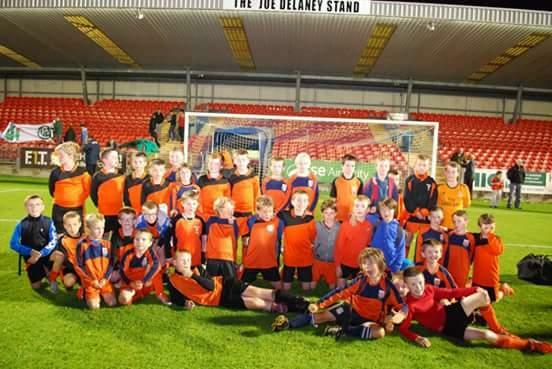 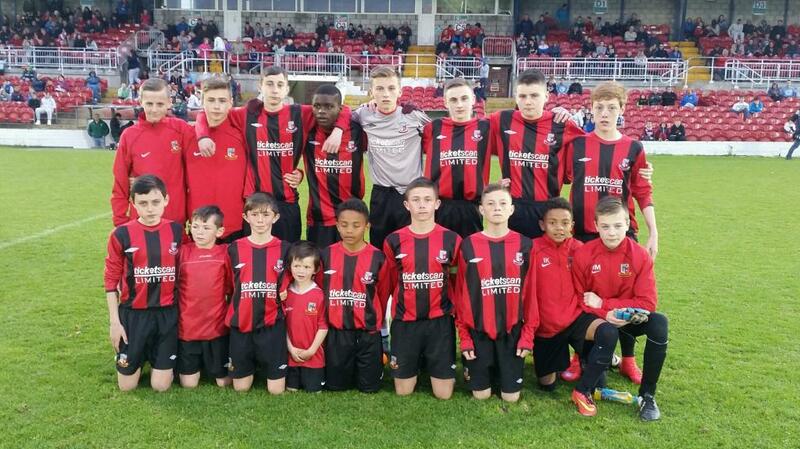 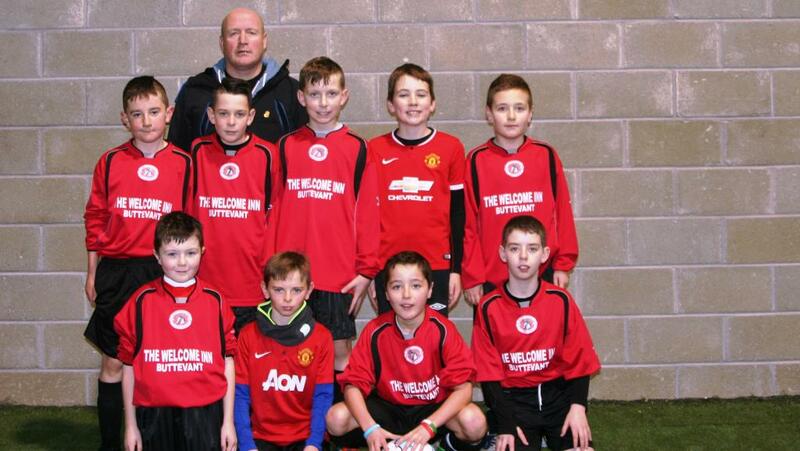 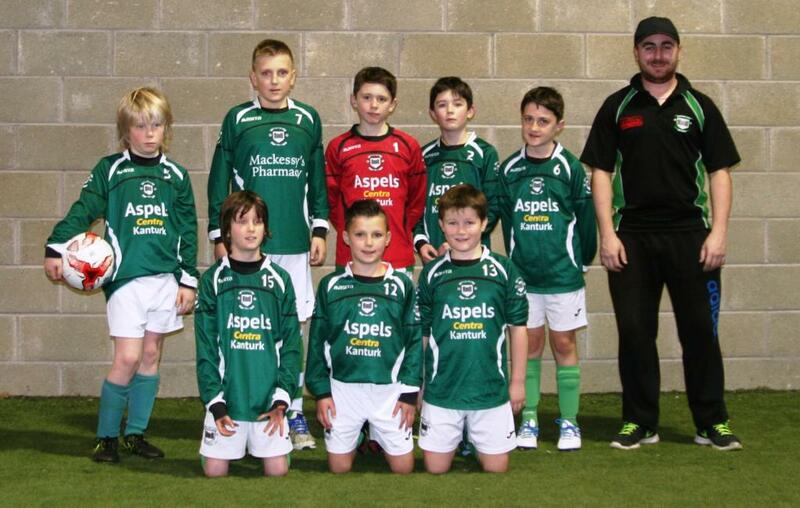 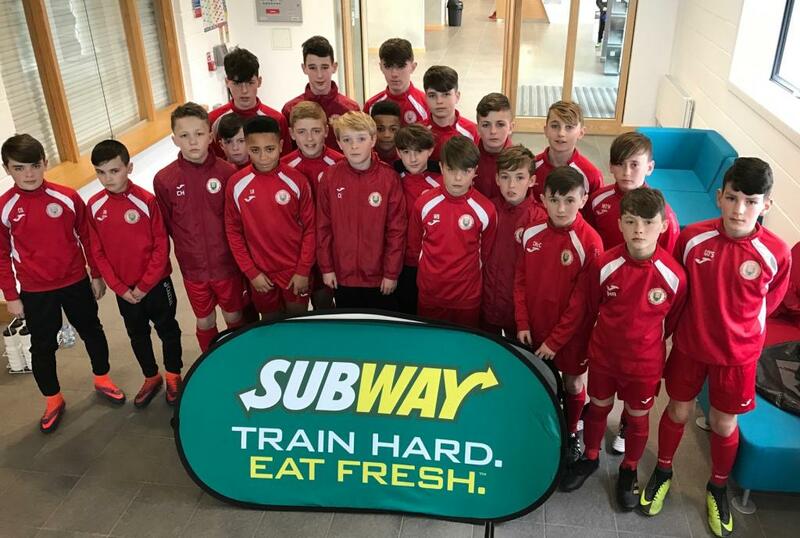 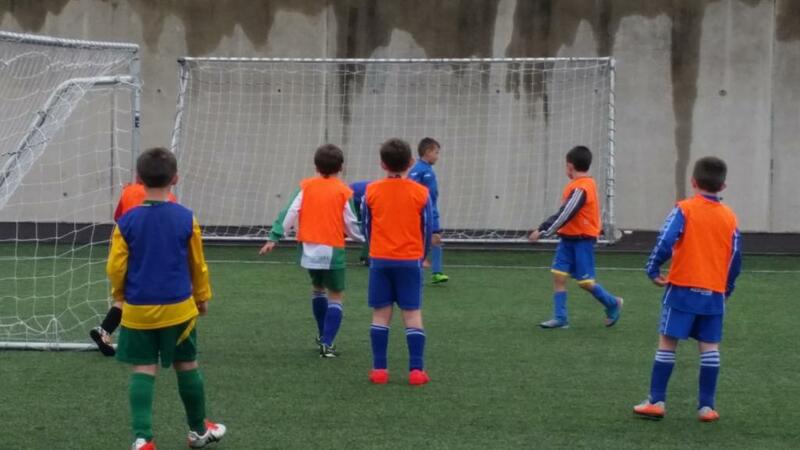 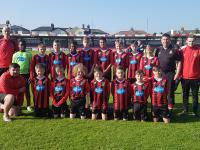 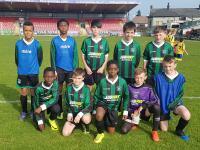 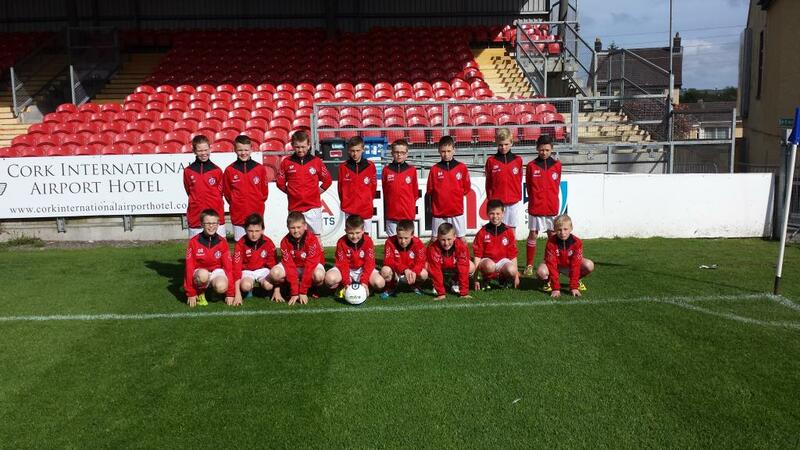 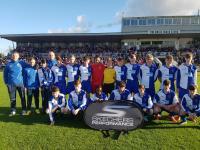 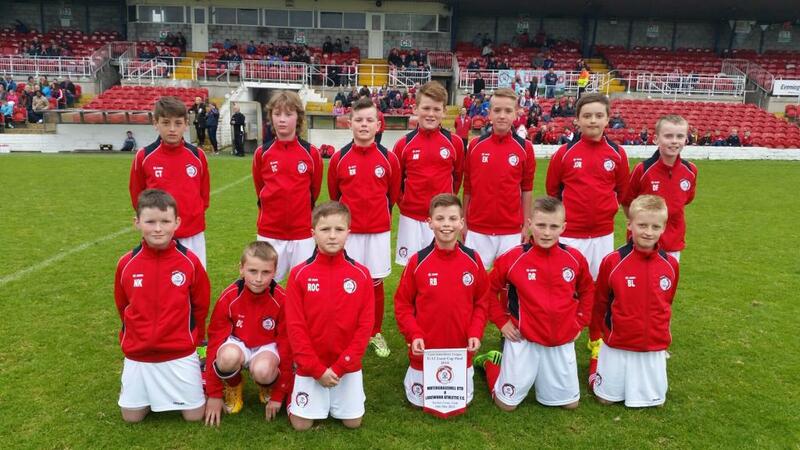 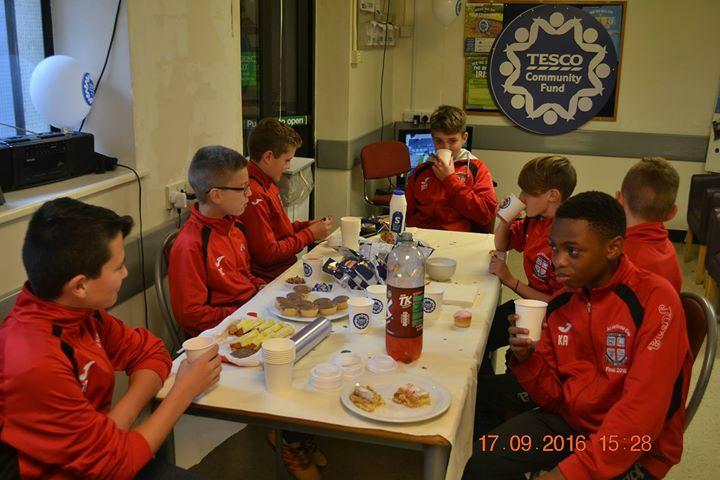 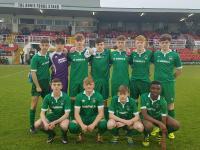 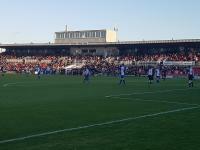 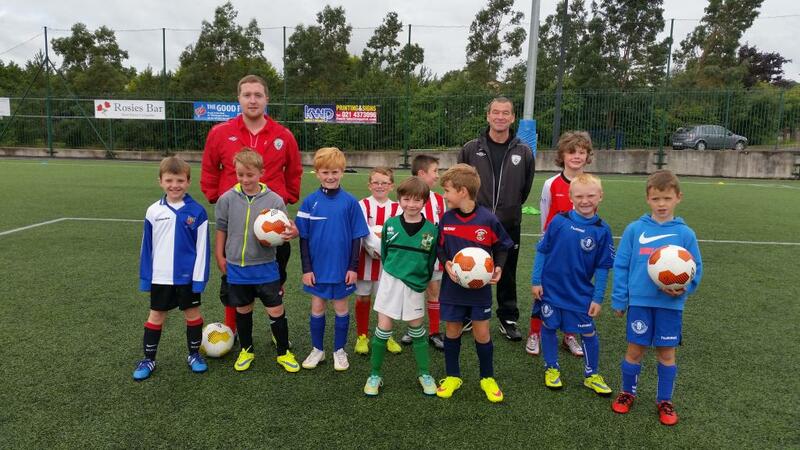 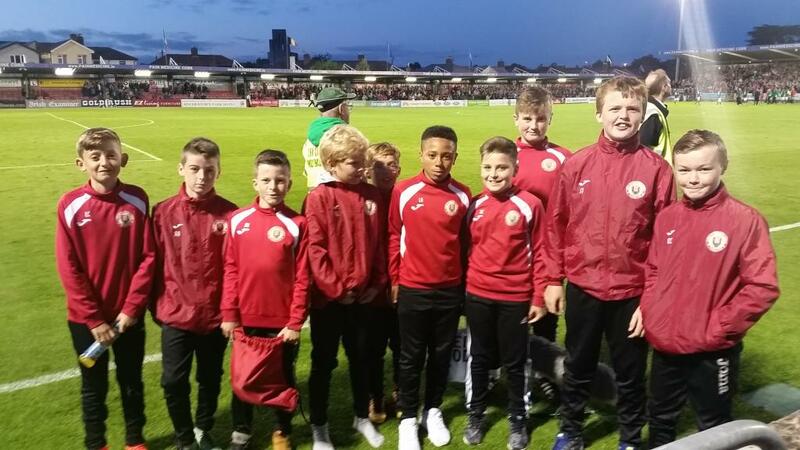 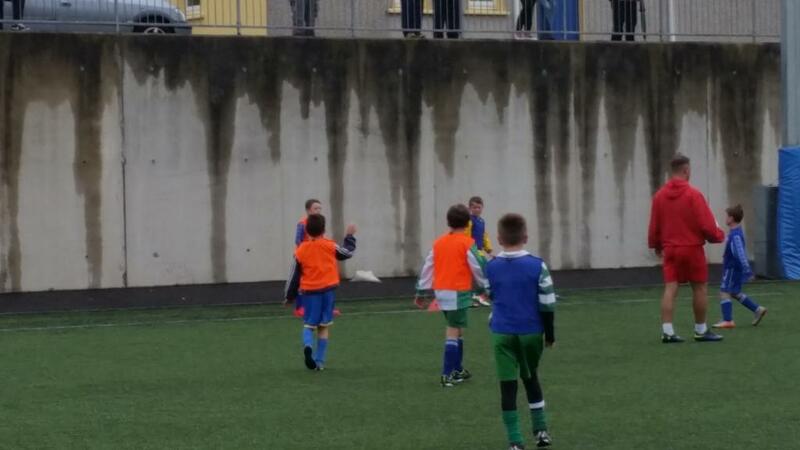 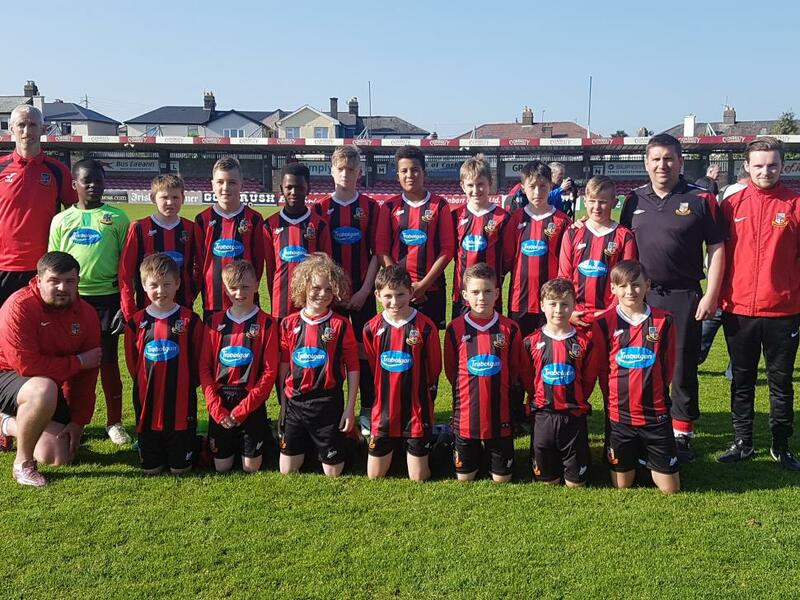 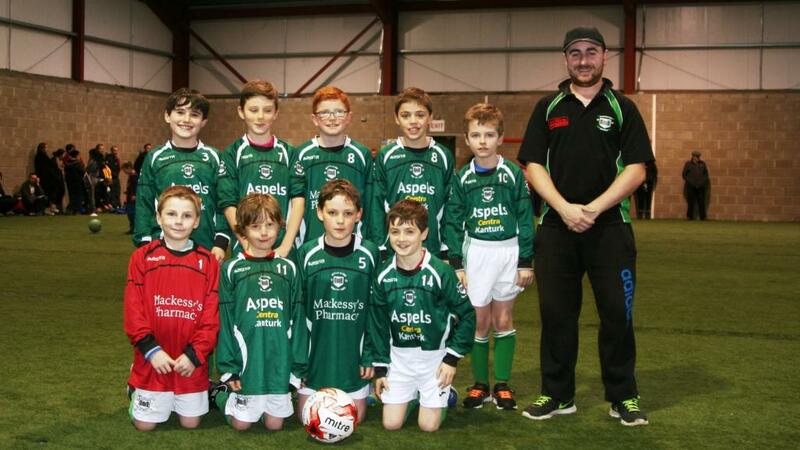 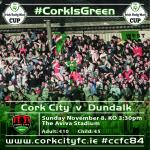 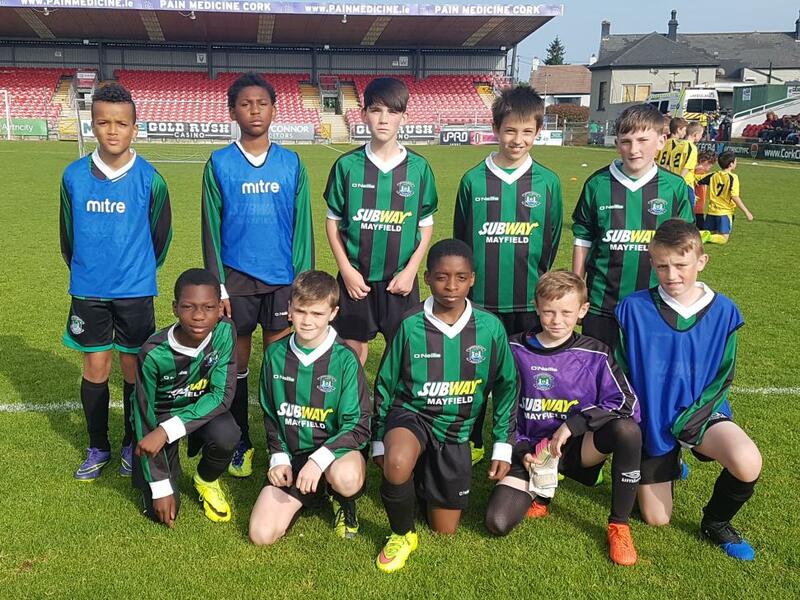 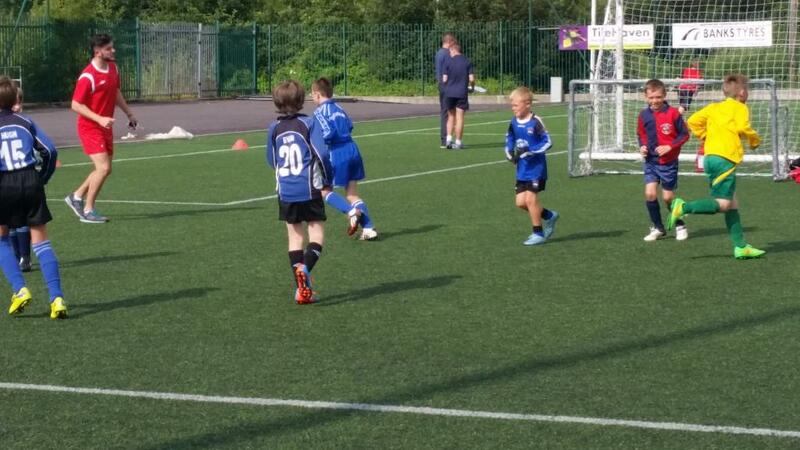 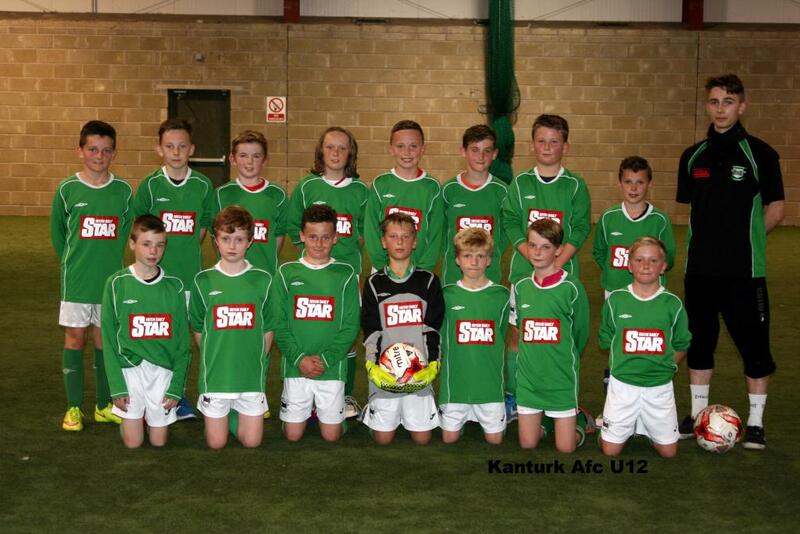 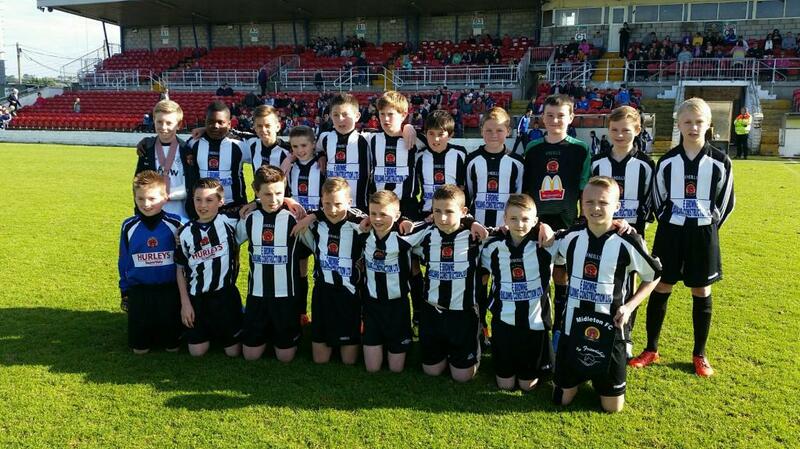 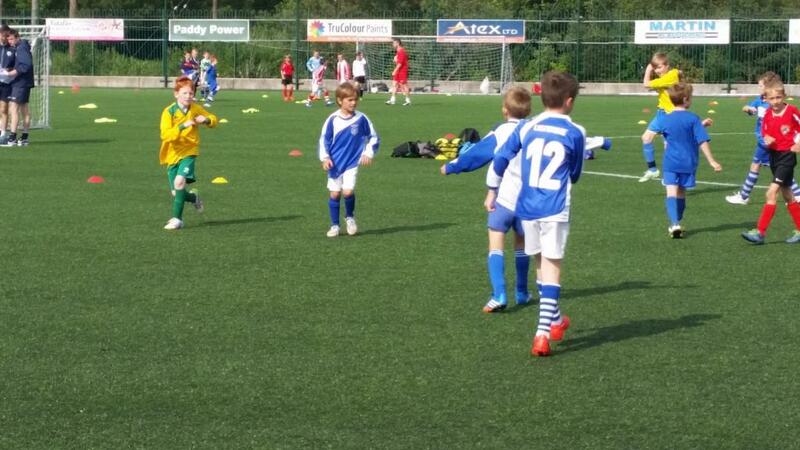 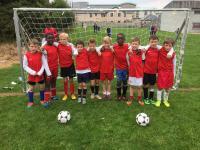 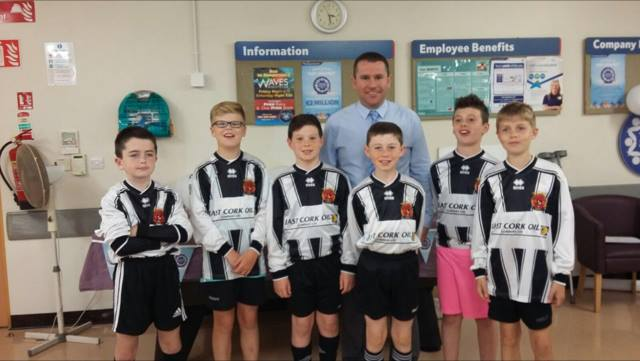 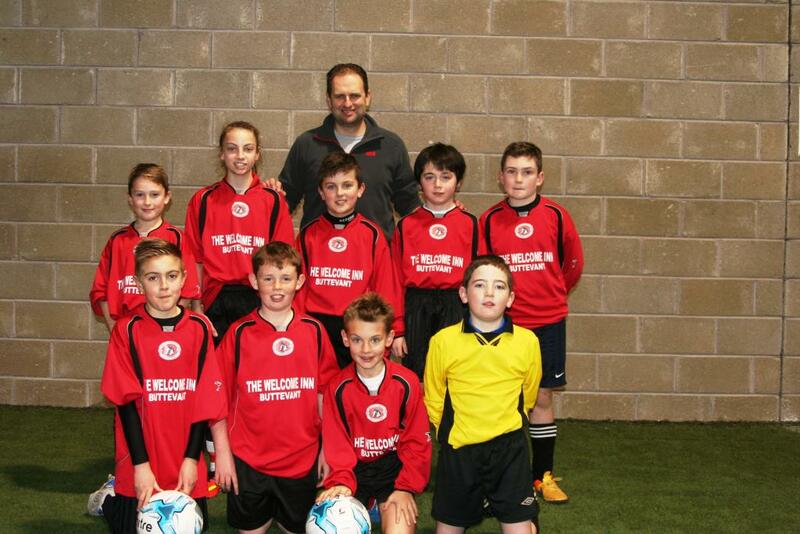 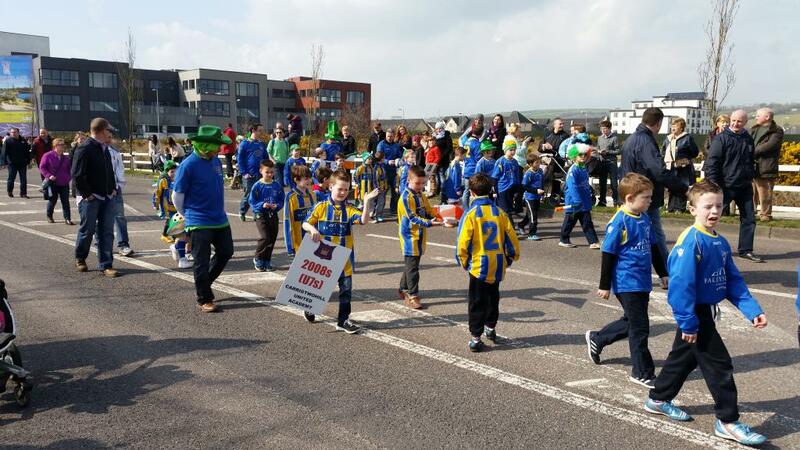 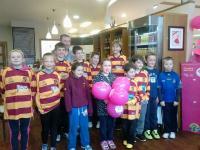 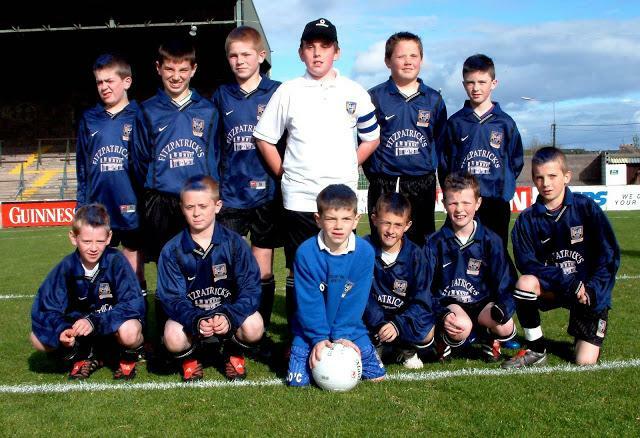 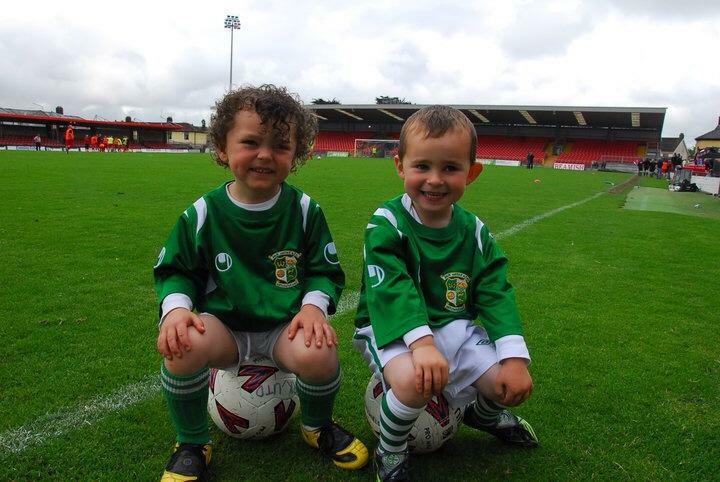 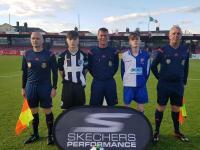 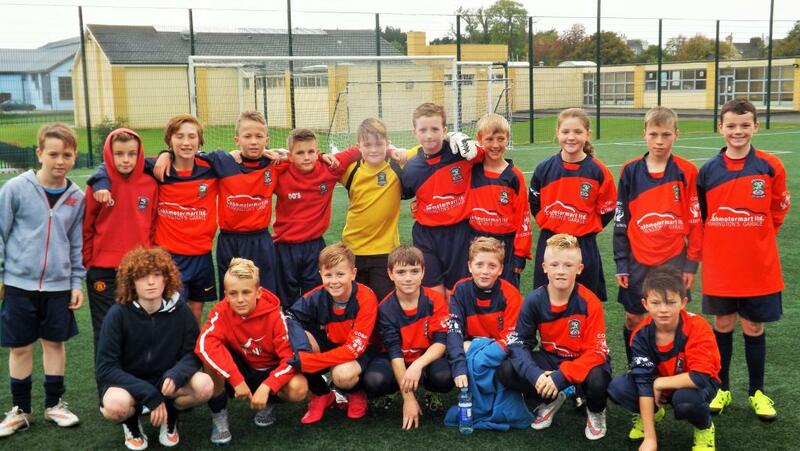 Park United Ballboys at Turners Cross.